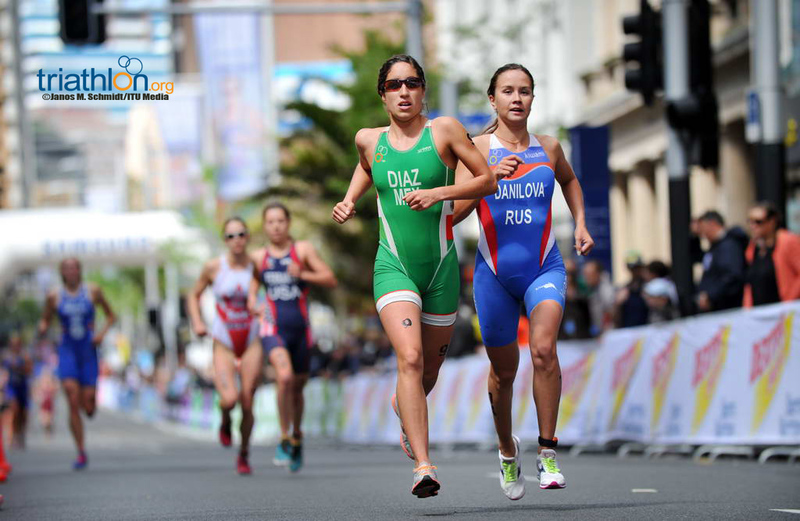 World Championship action will blast into high gear on Saturday 20 October when the Under23 women toe the start line in hunt of a world title. 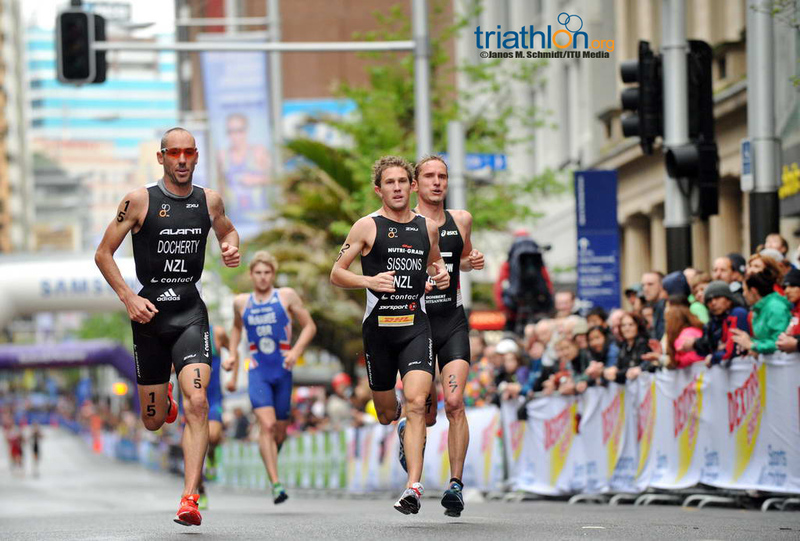 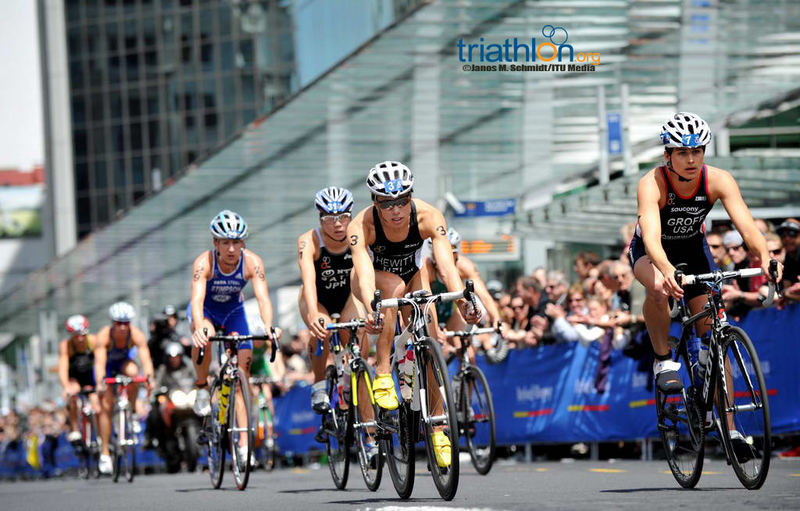 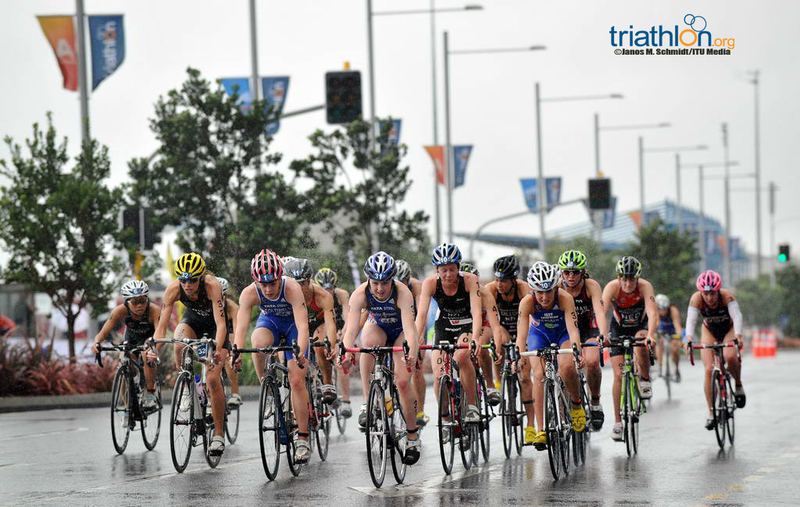 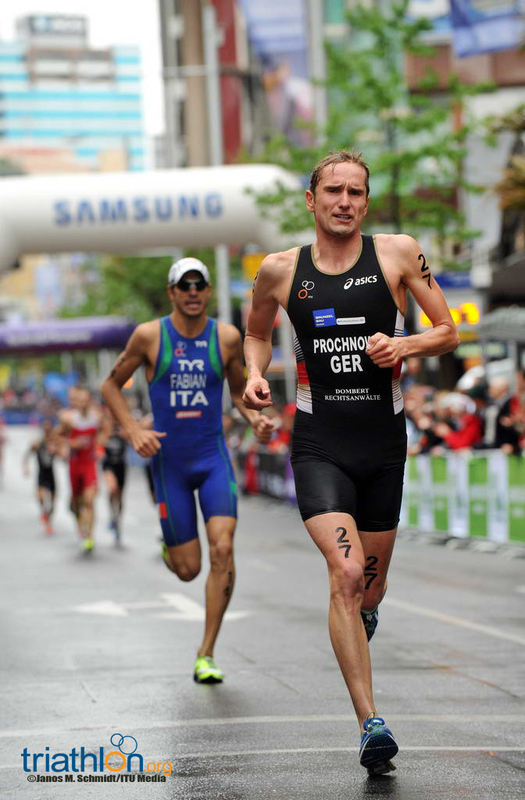 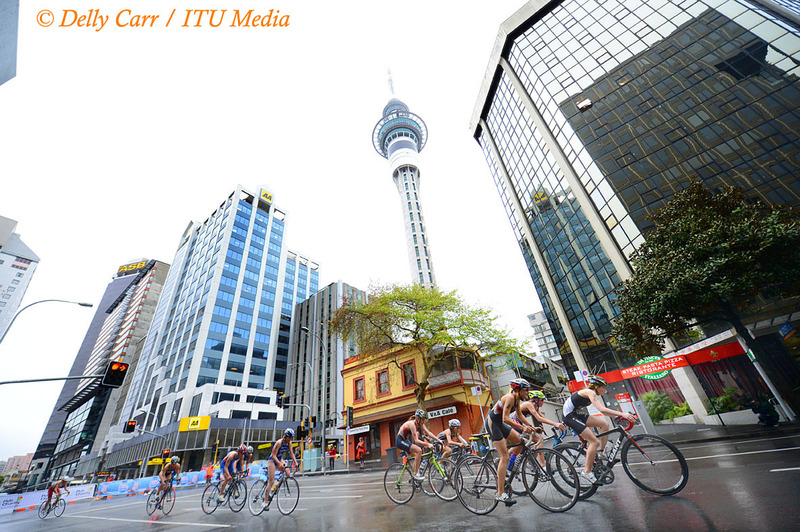 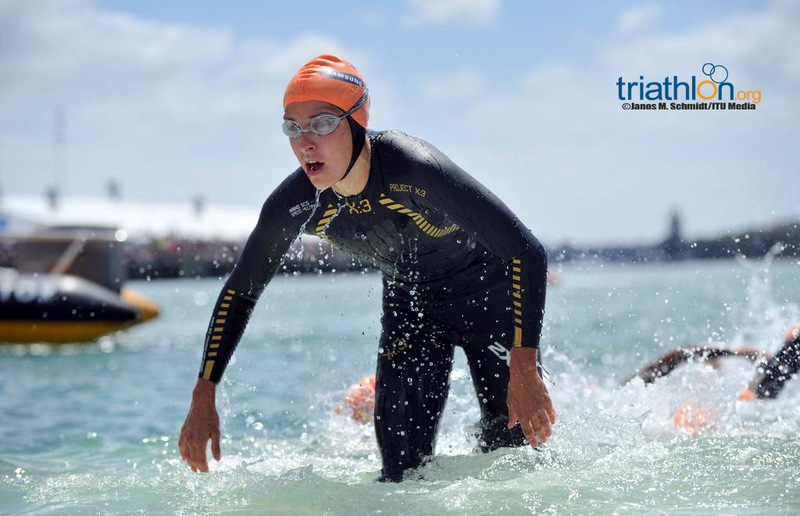 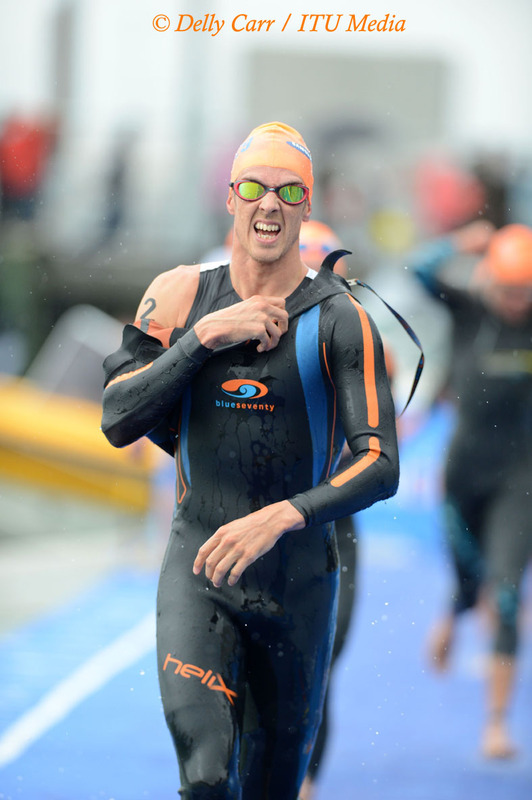 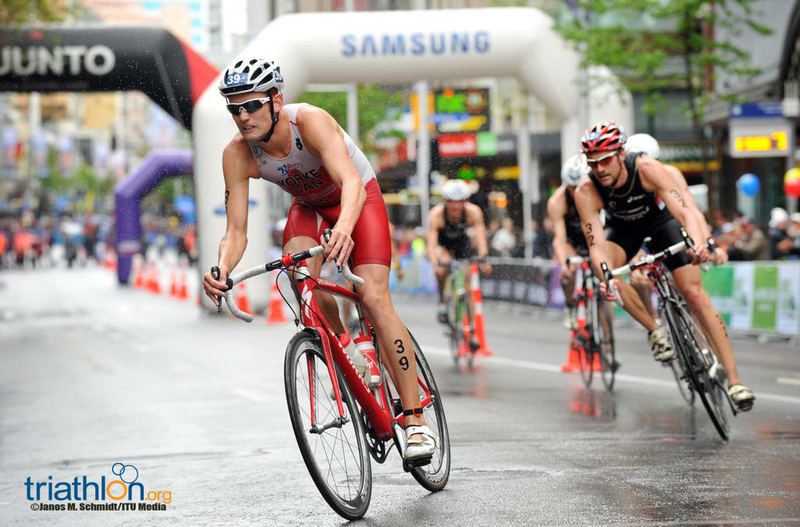 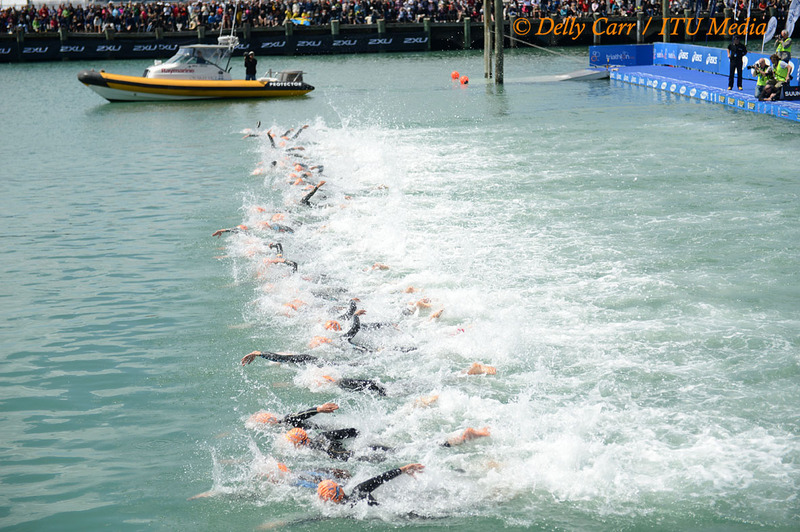 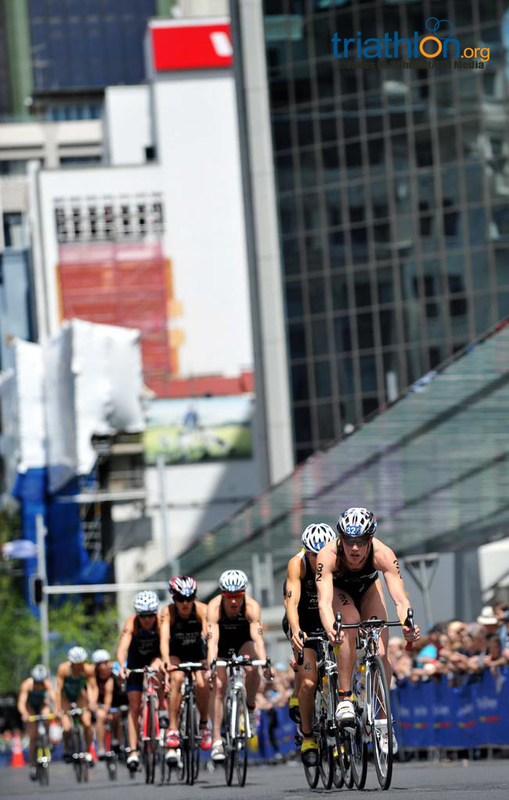 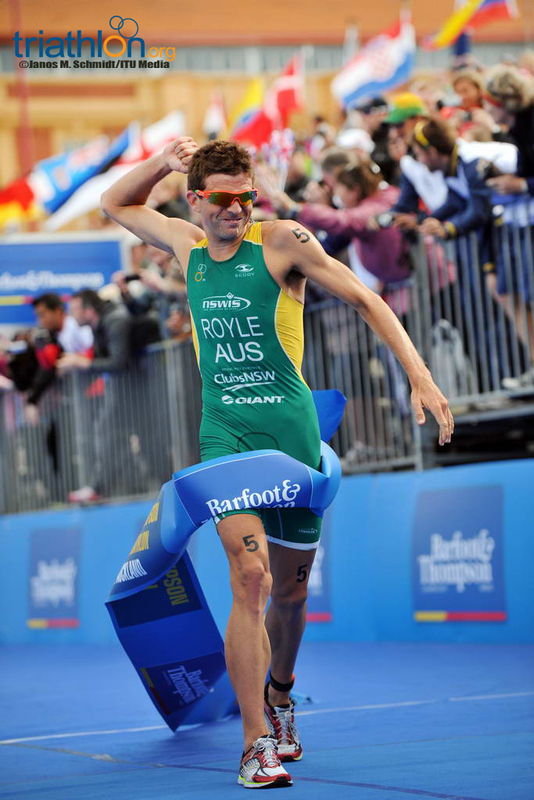 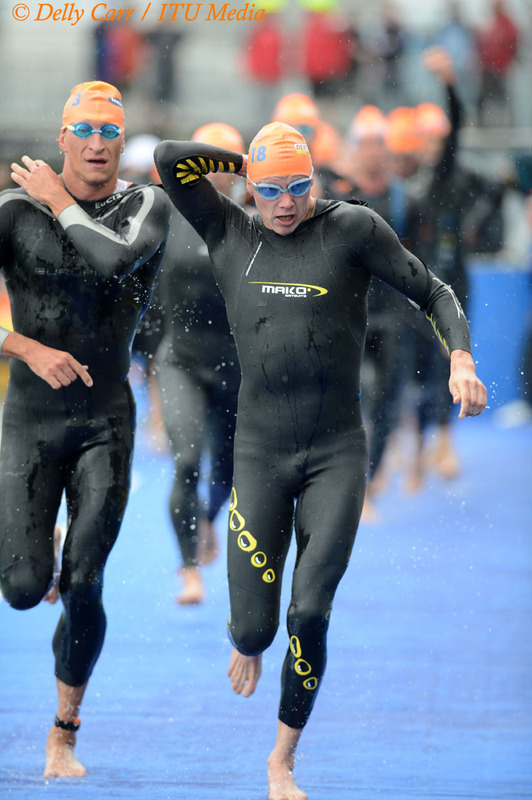 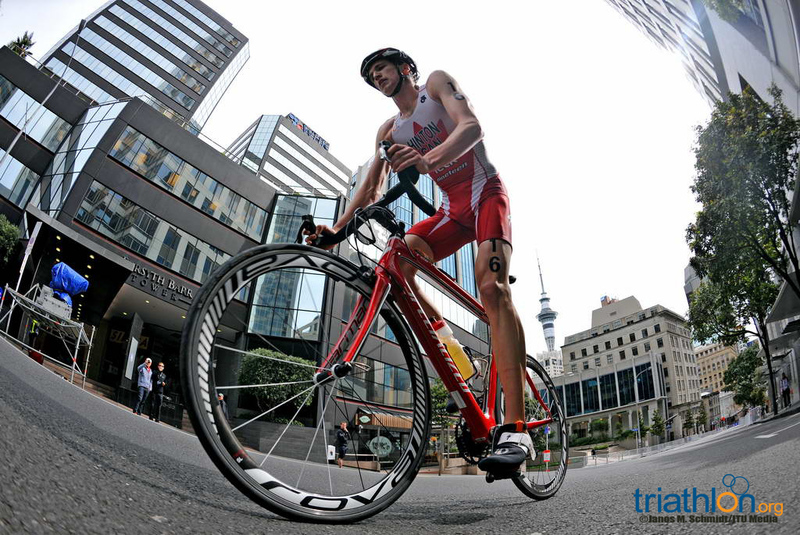 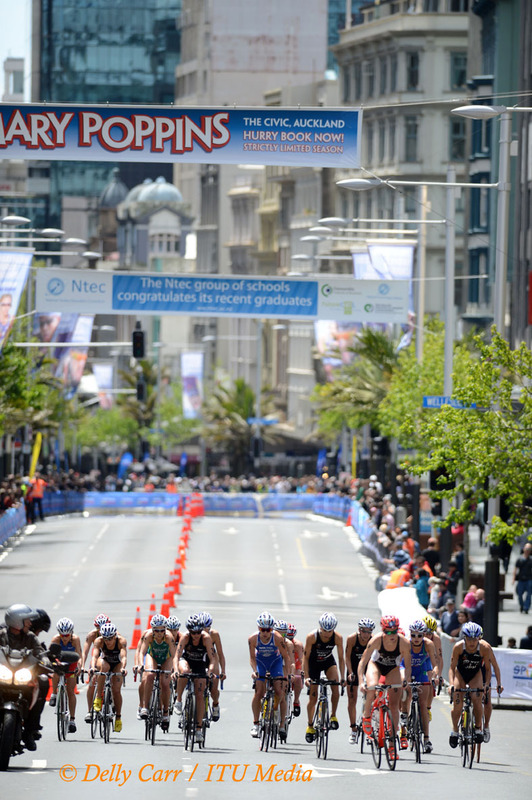 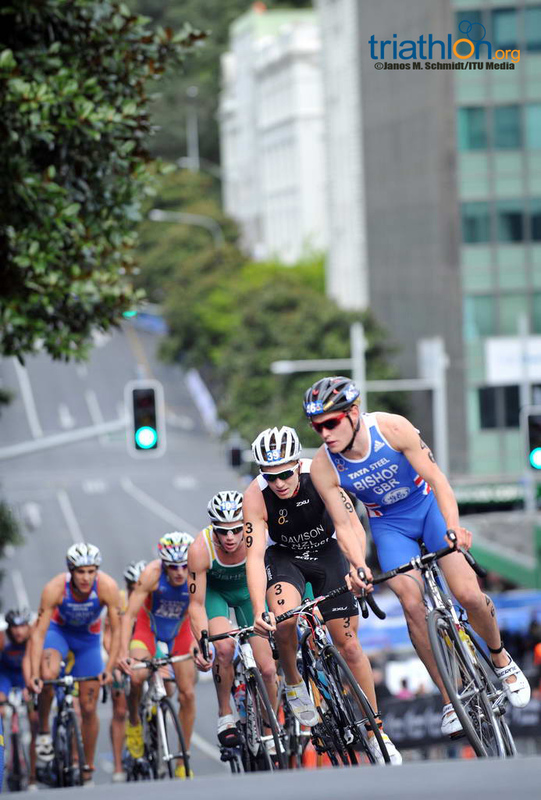 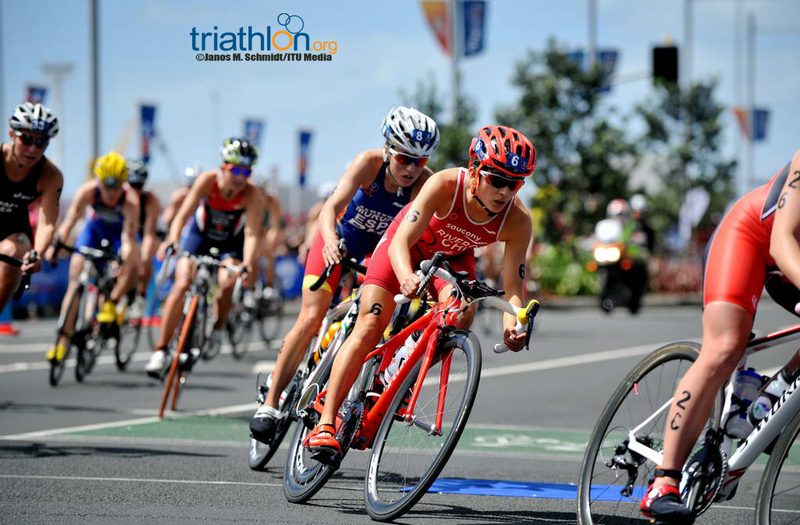 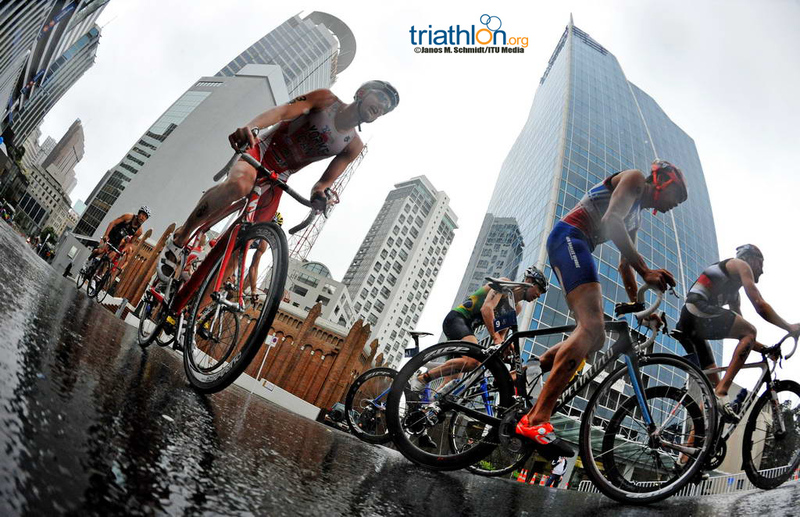 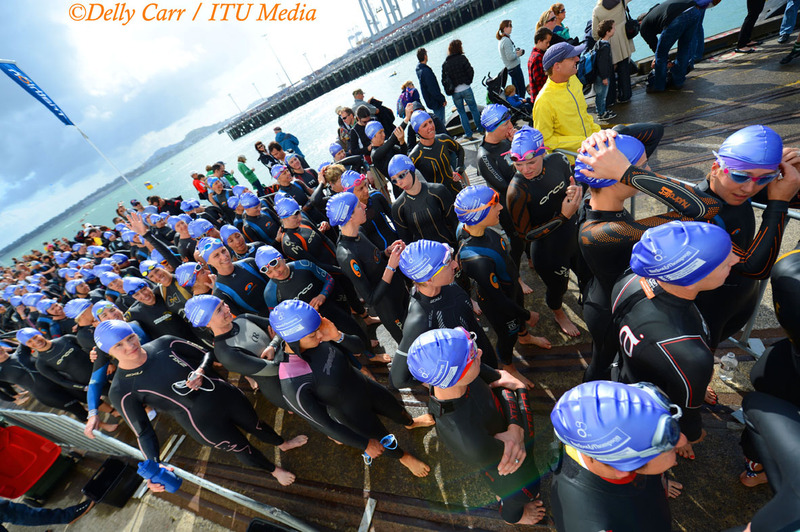 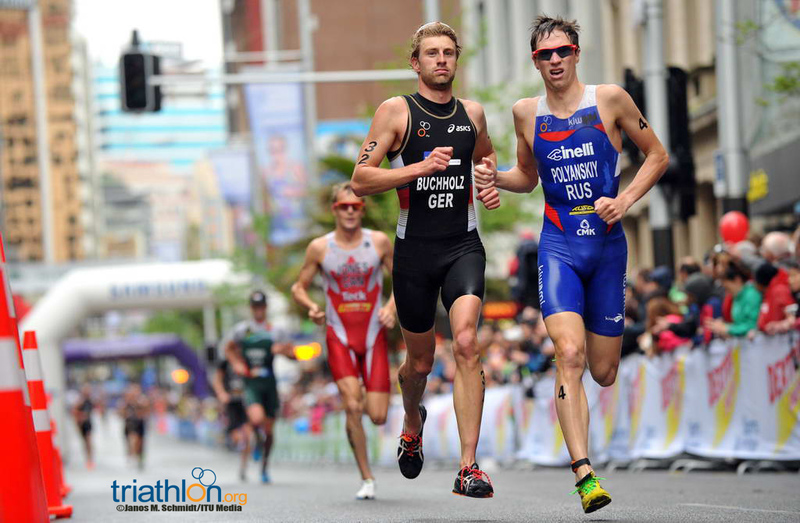 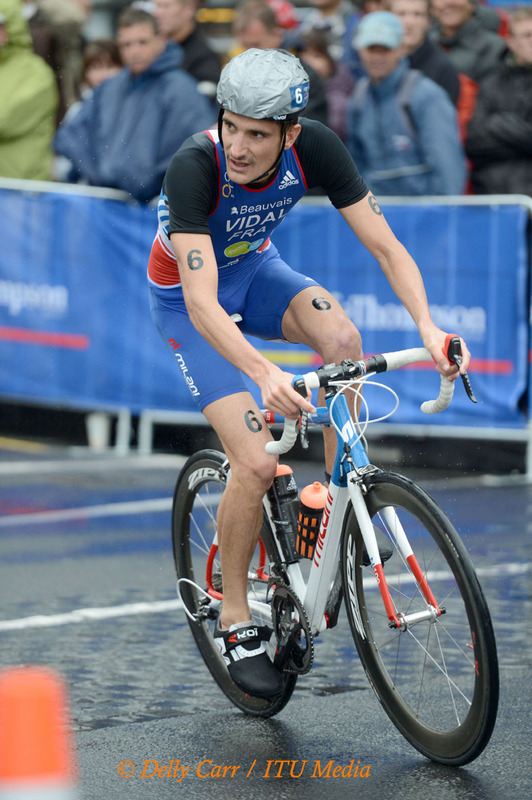 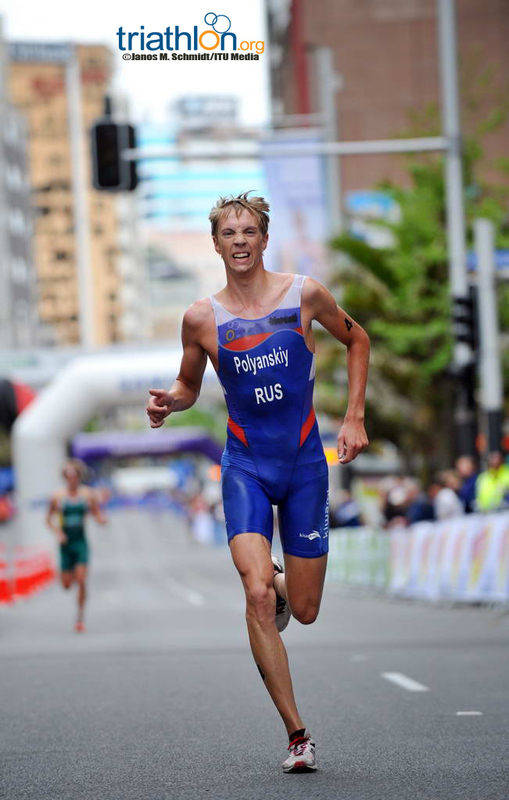 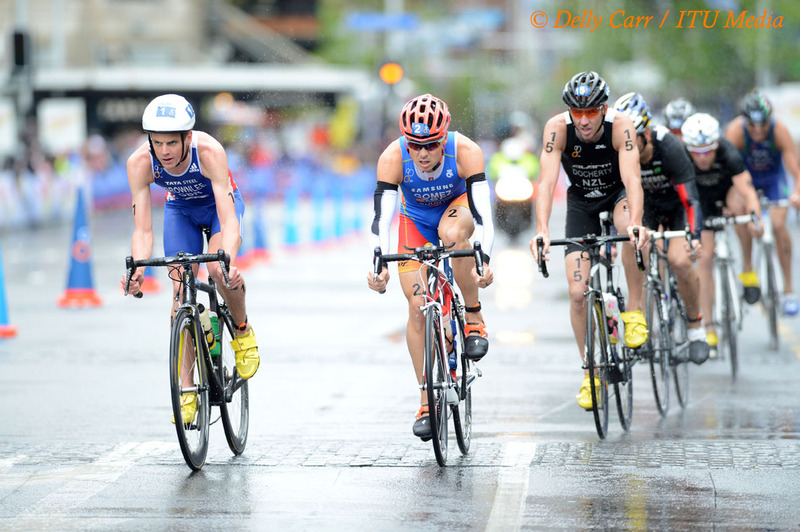 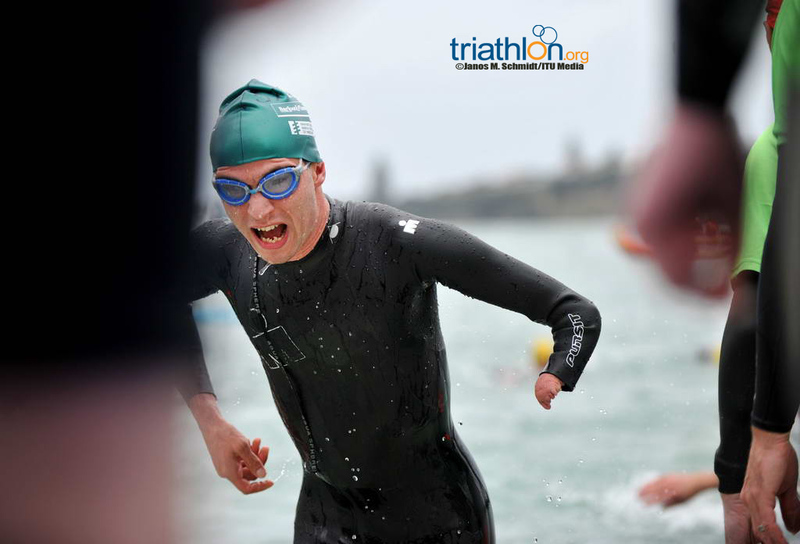 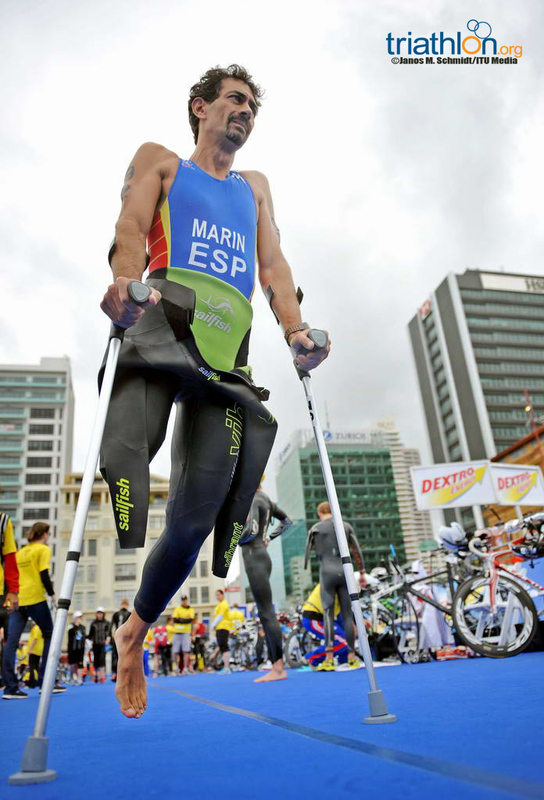 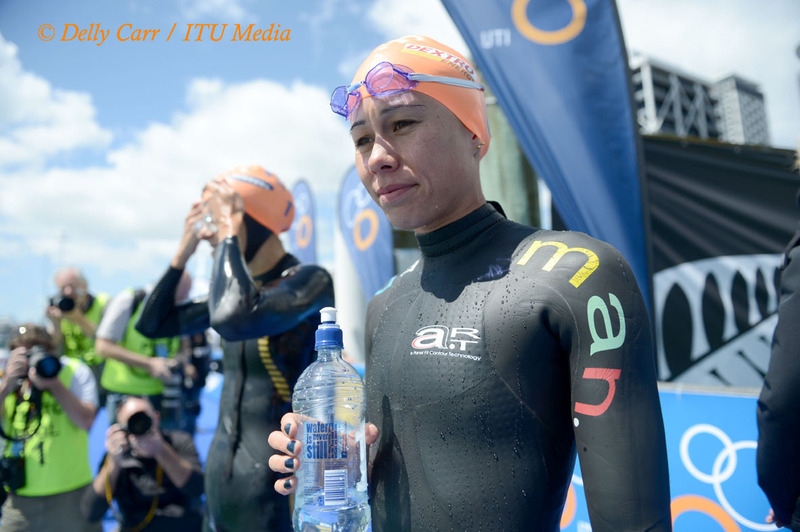 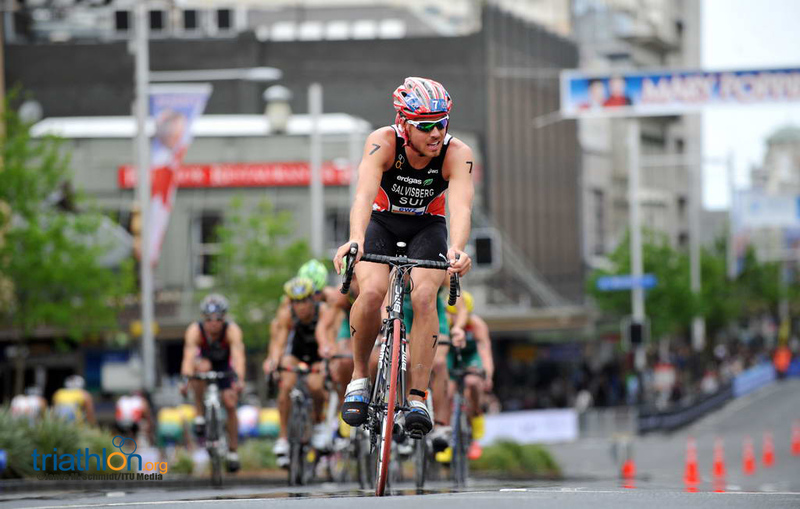 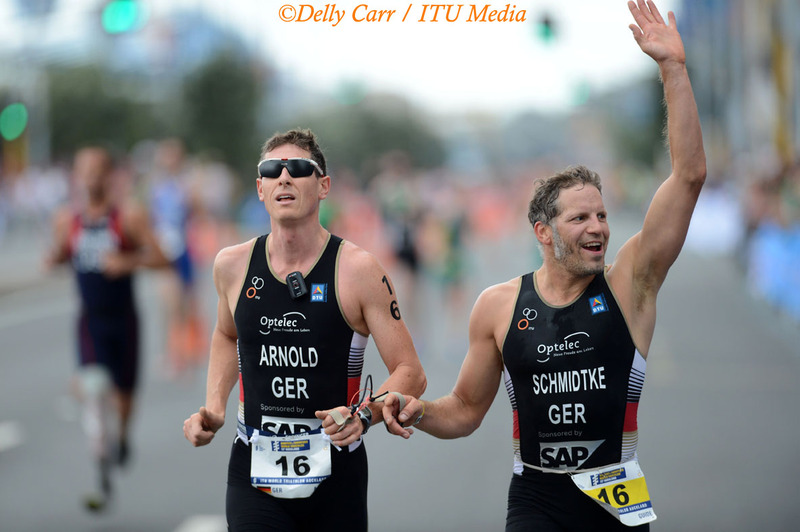 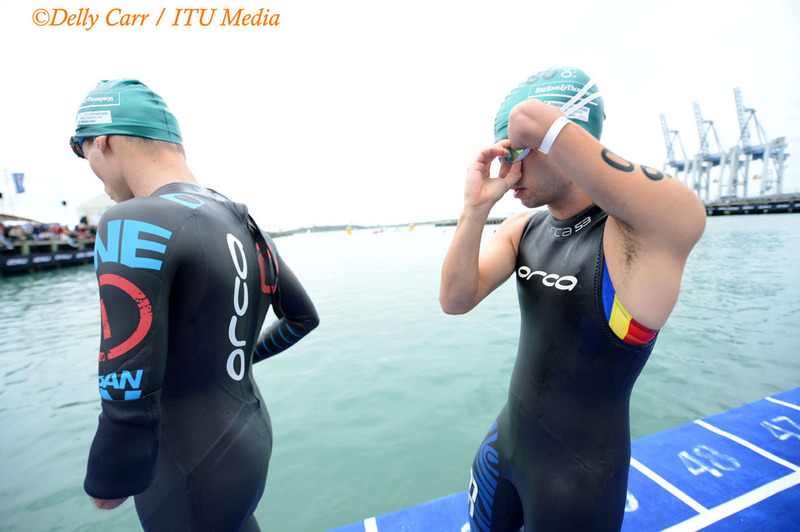 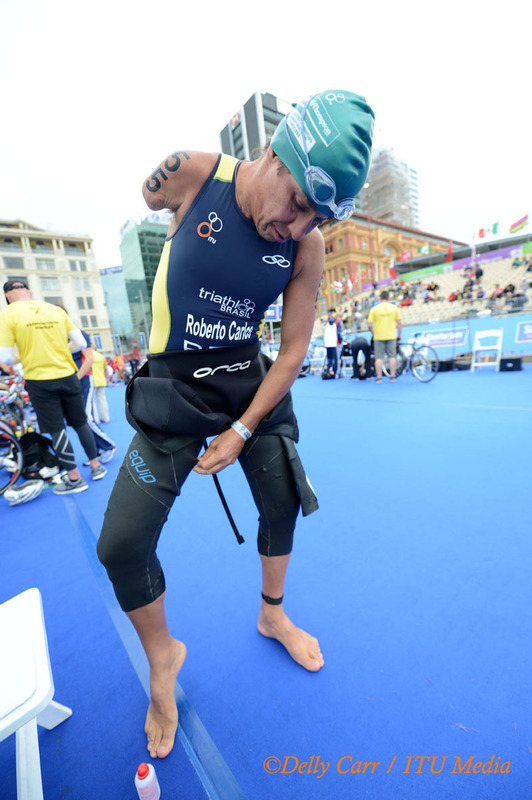 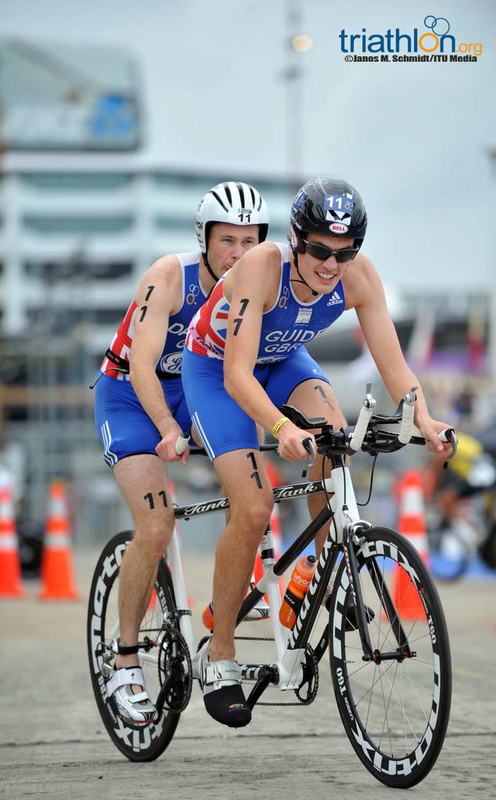 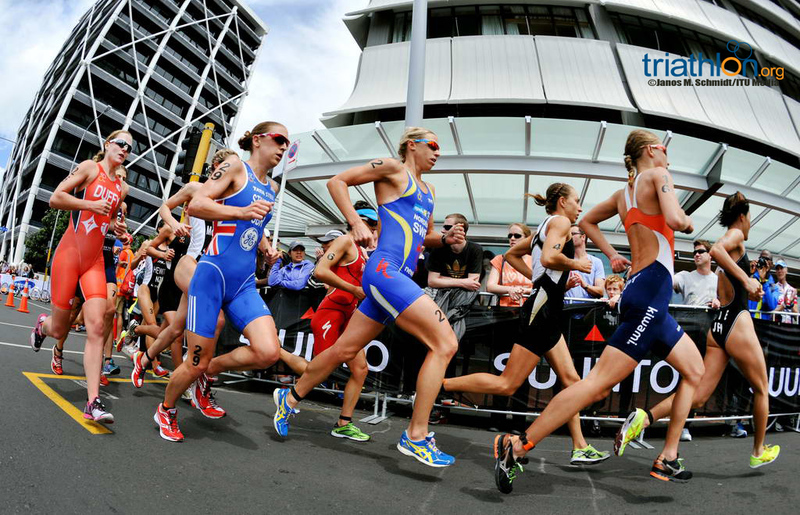 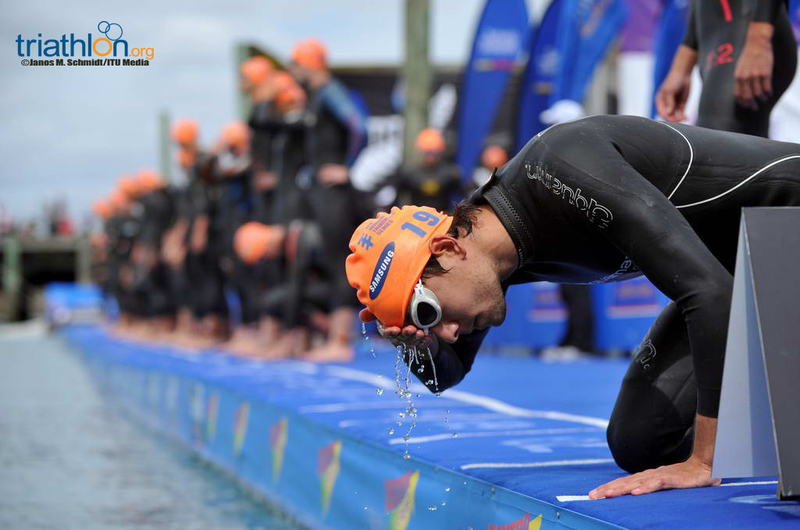 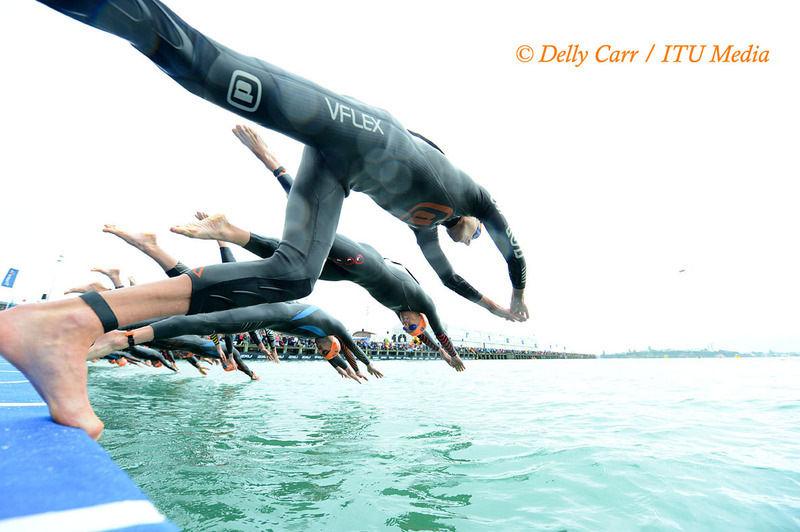 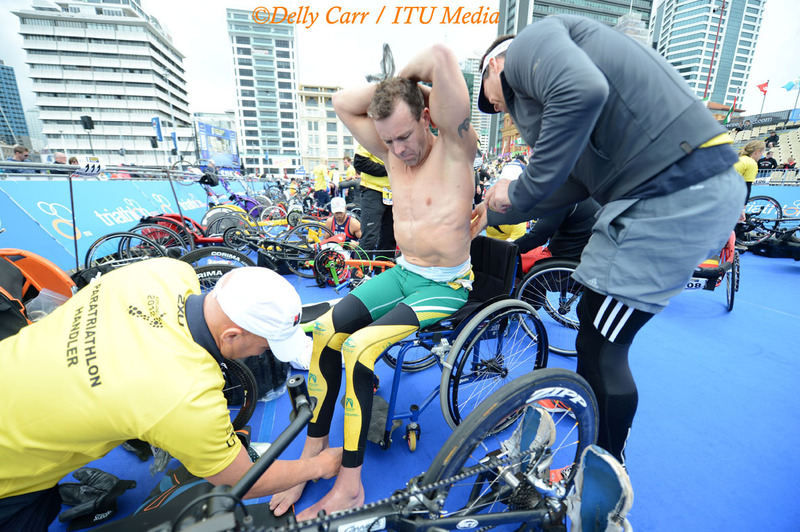 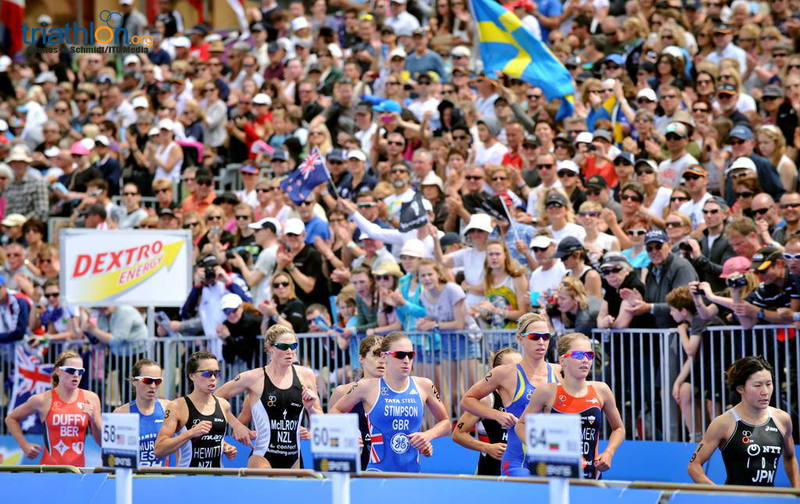 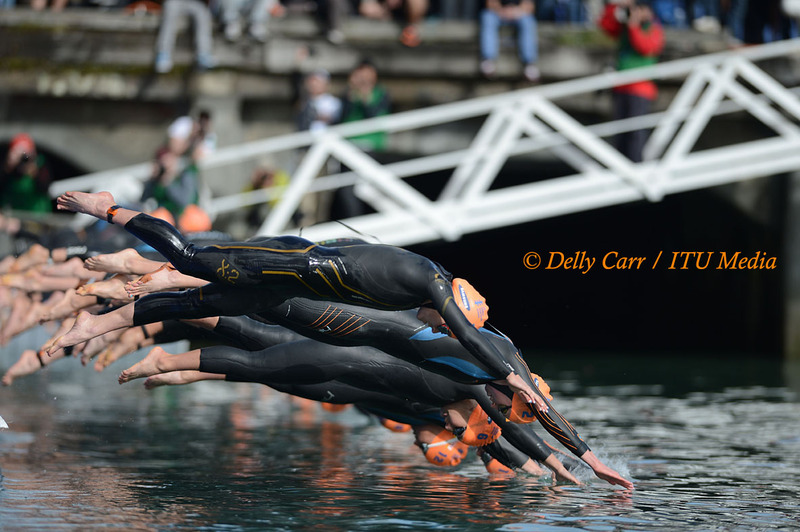 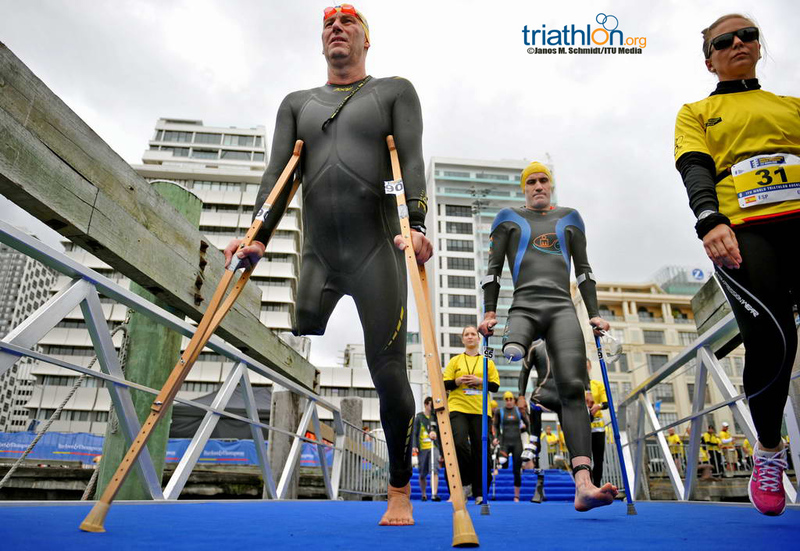 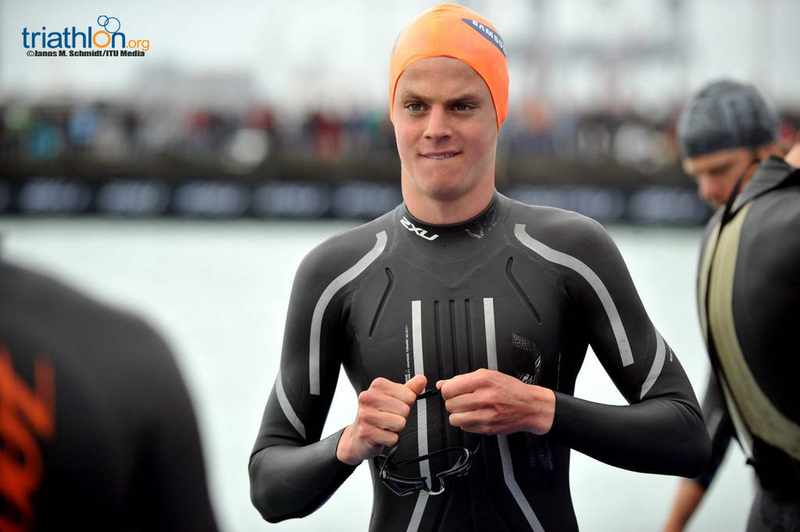 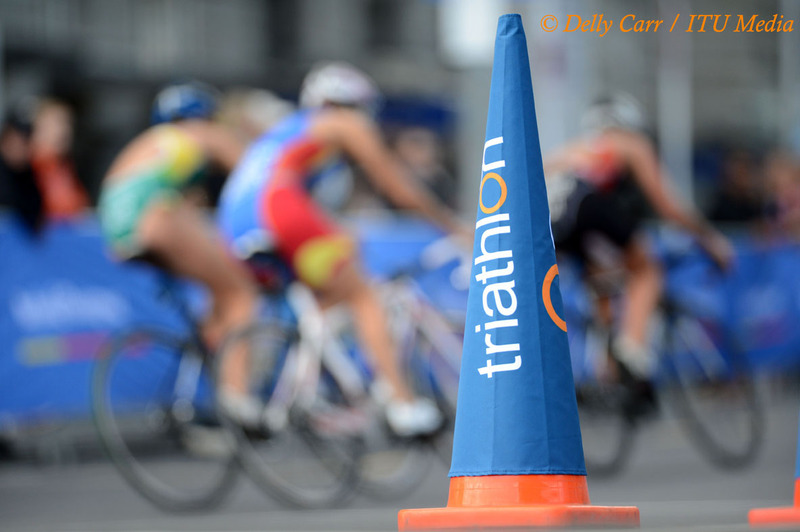 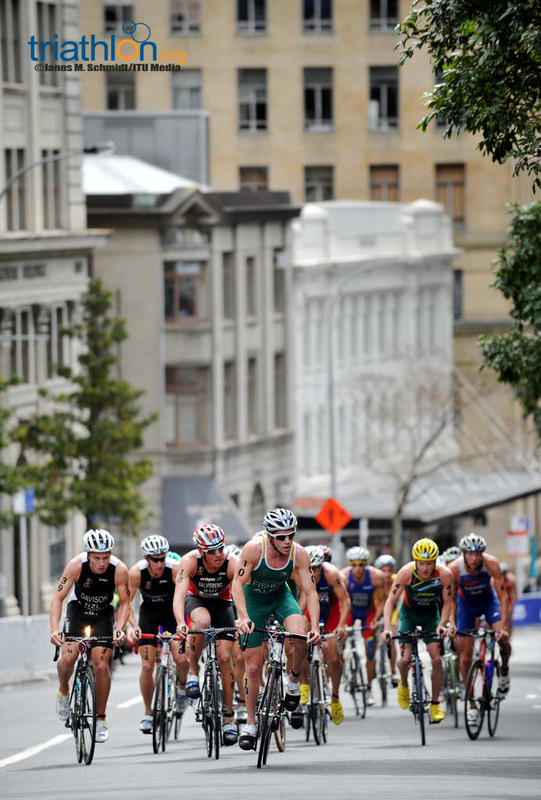 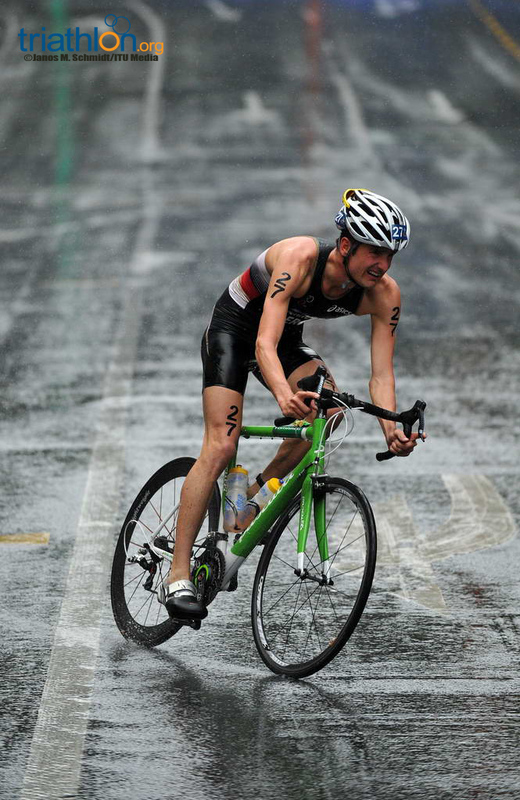 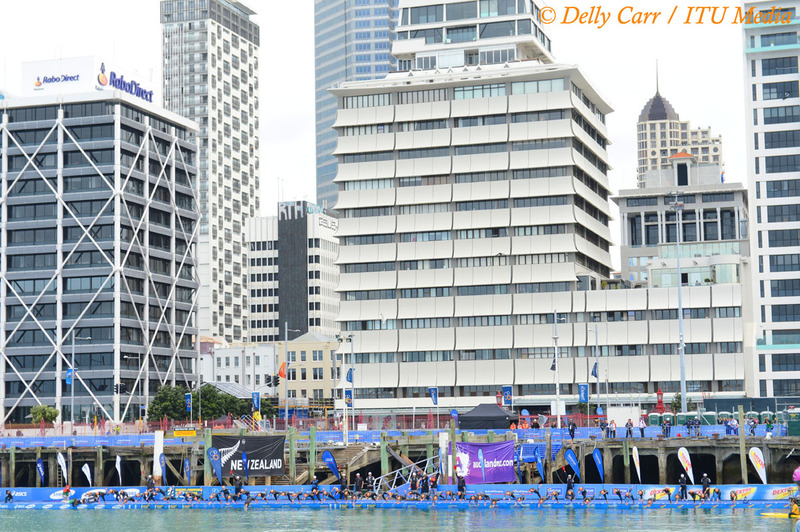 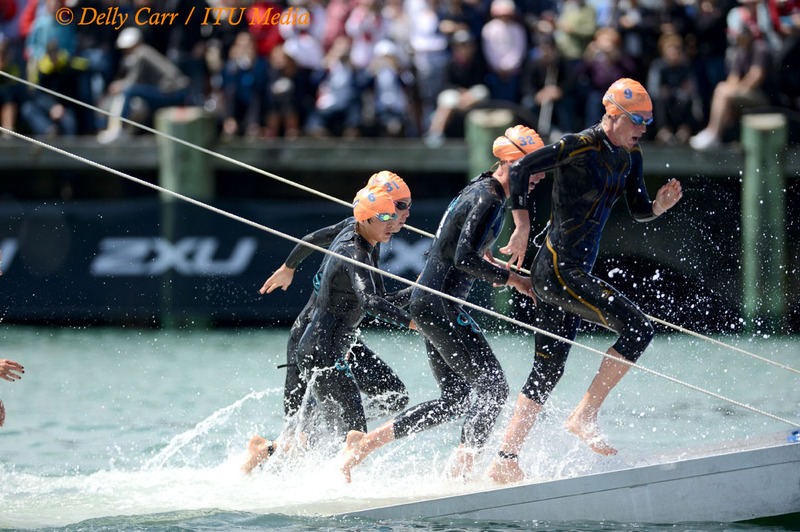 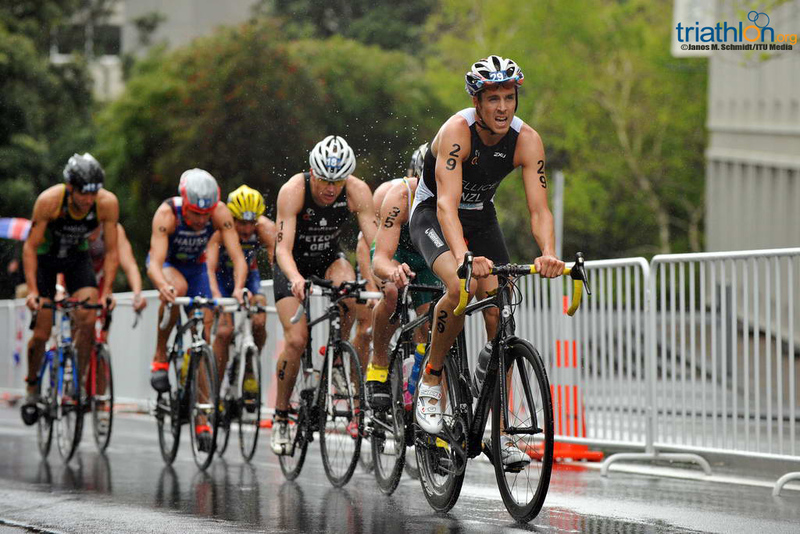 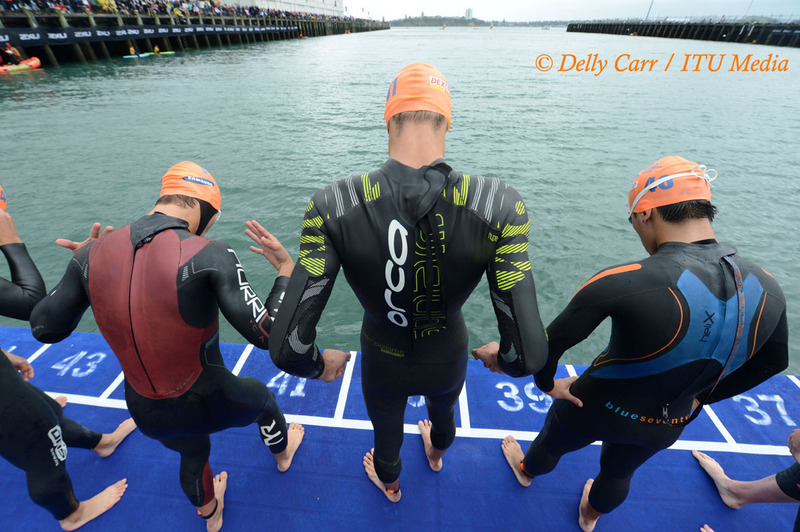 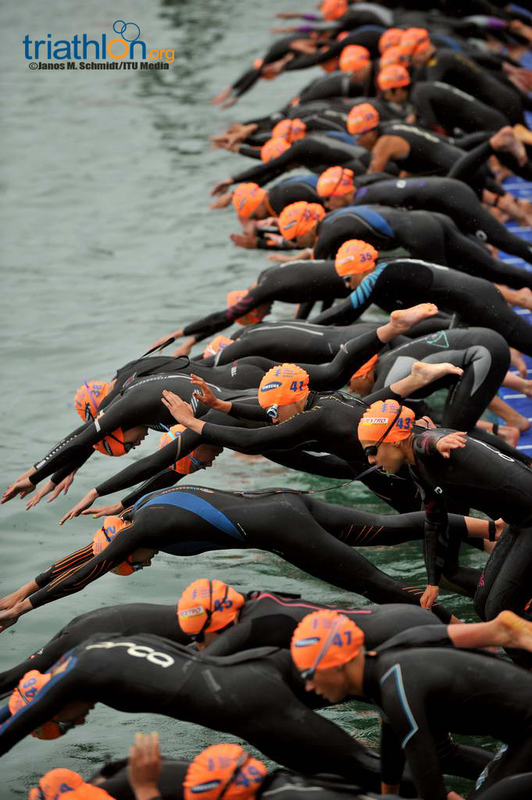 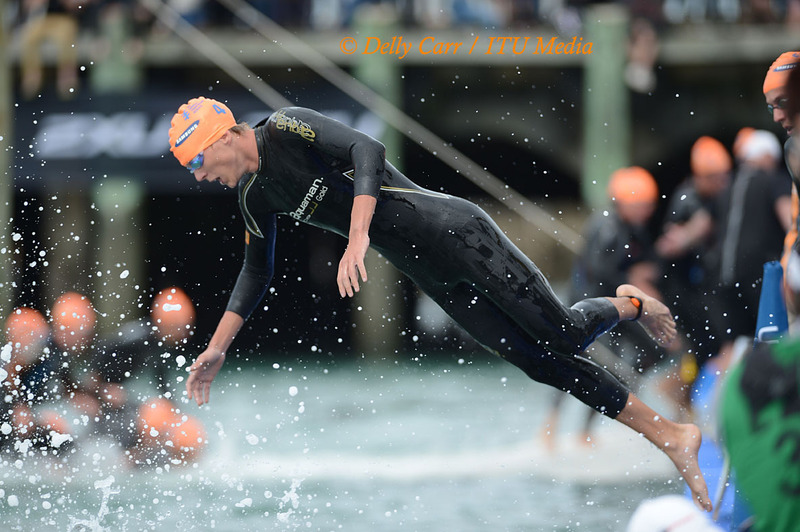 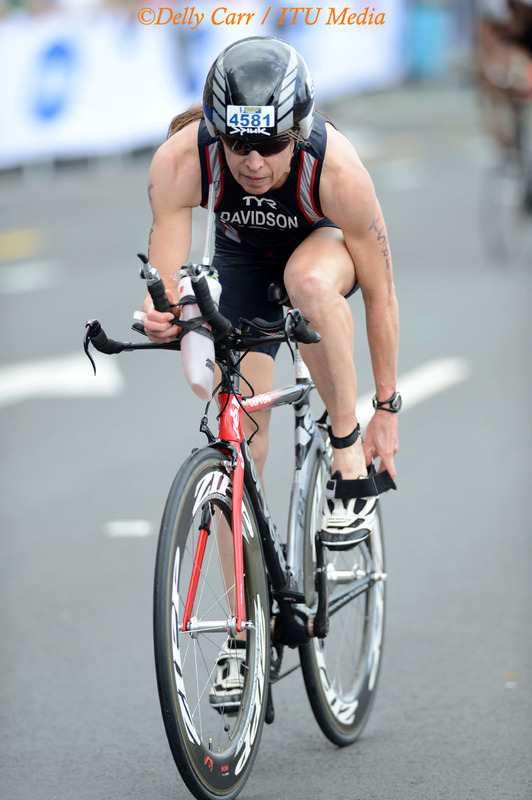 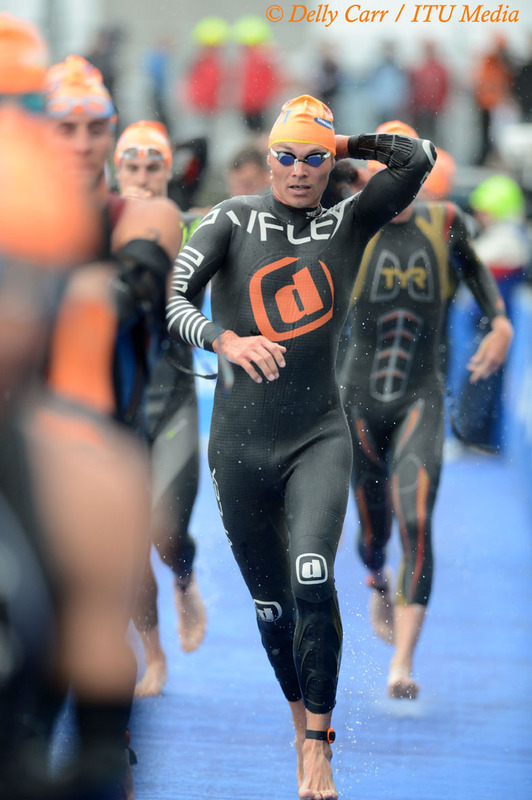 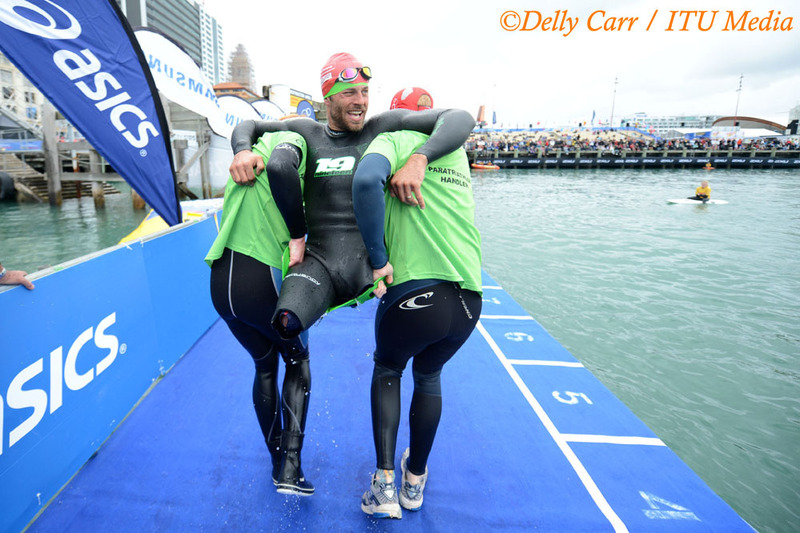 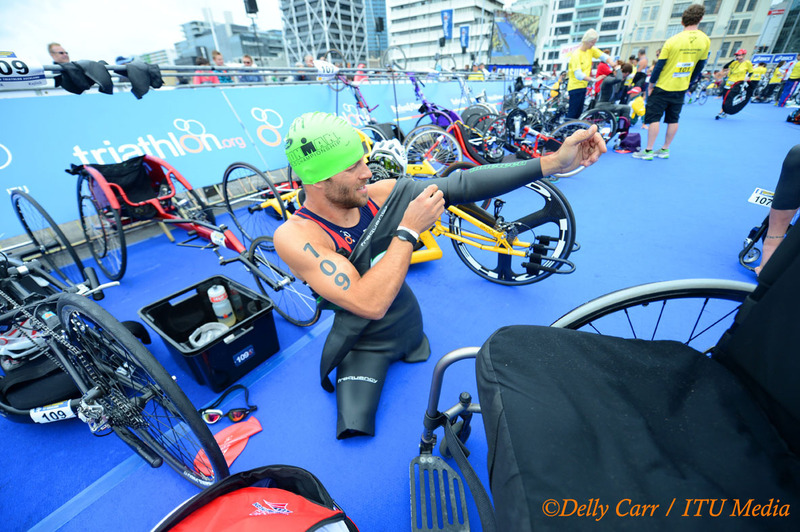 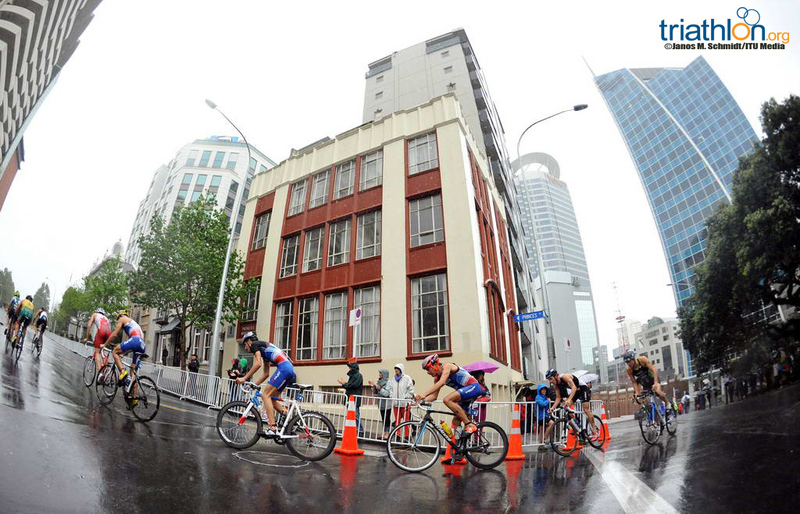 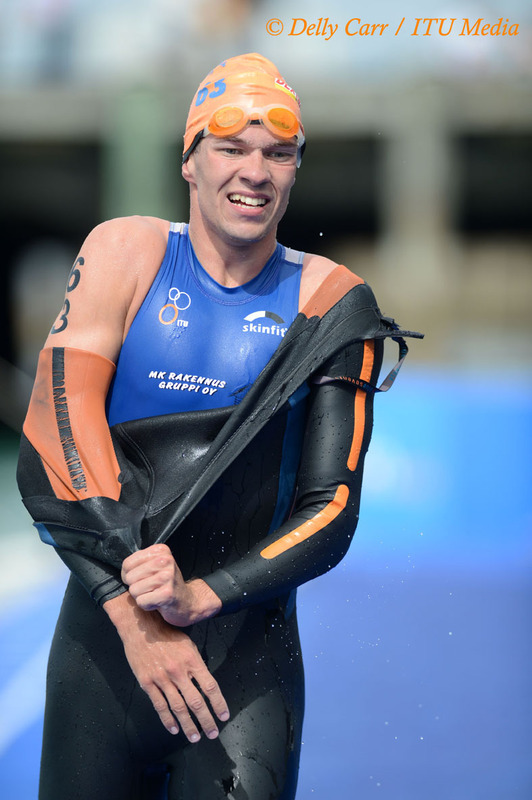 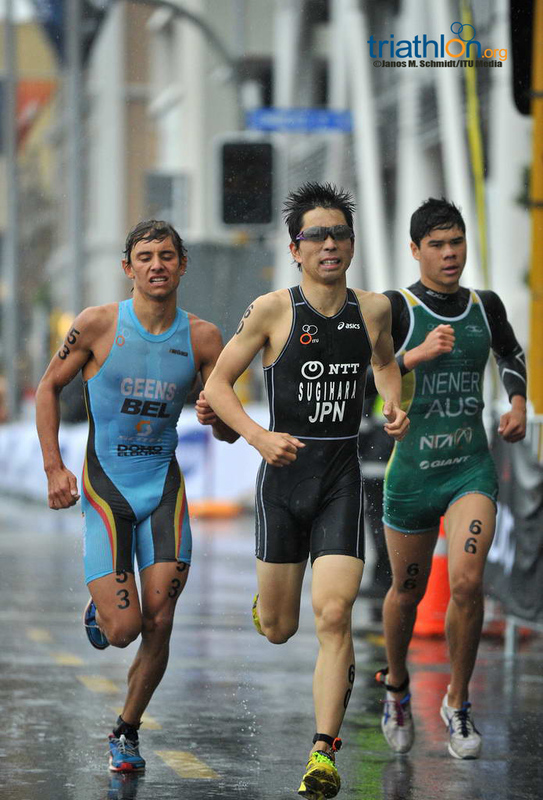 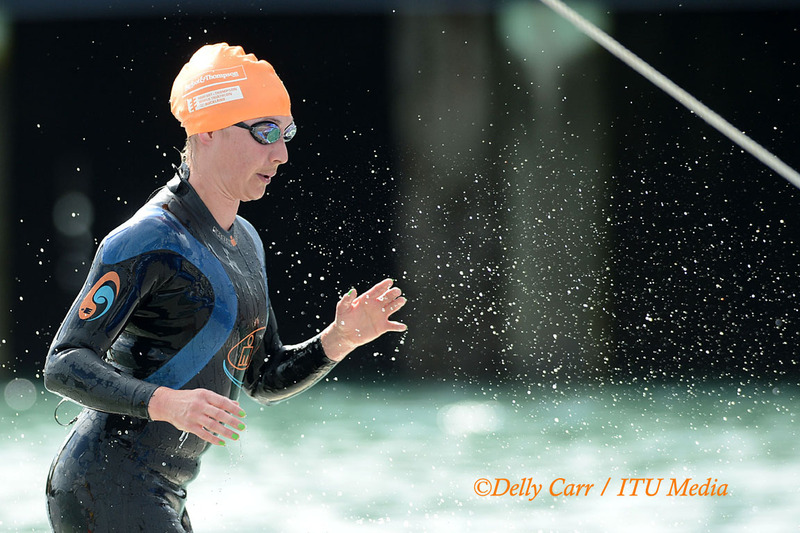 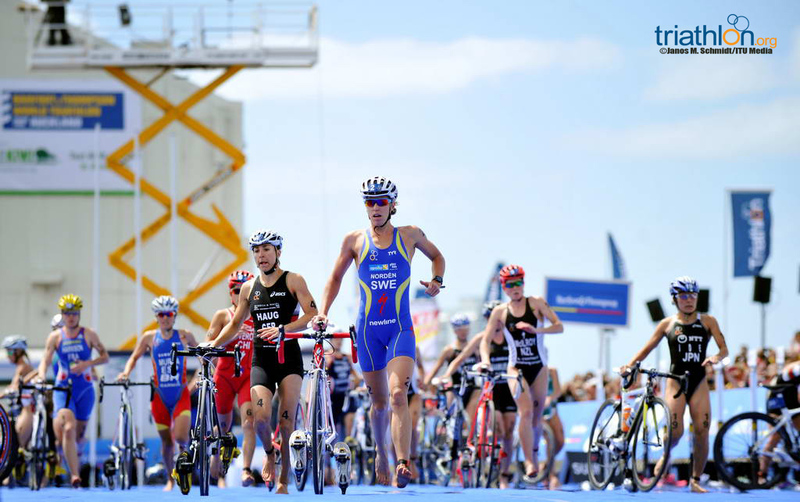 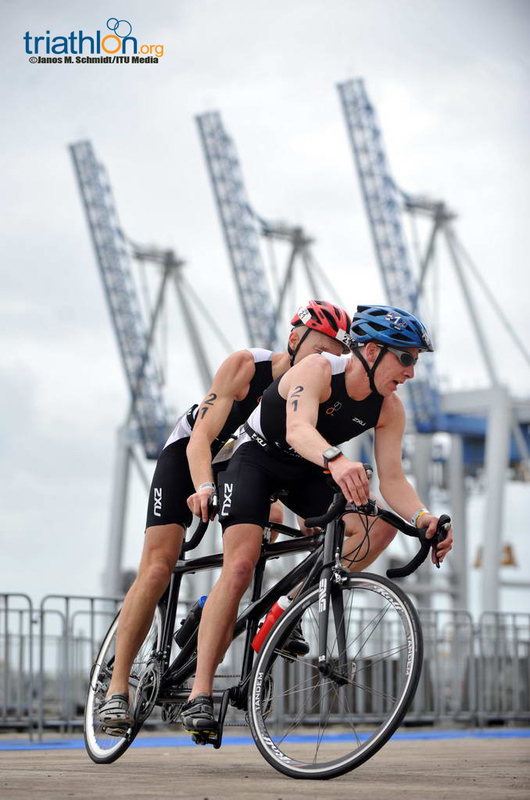 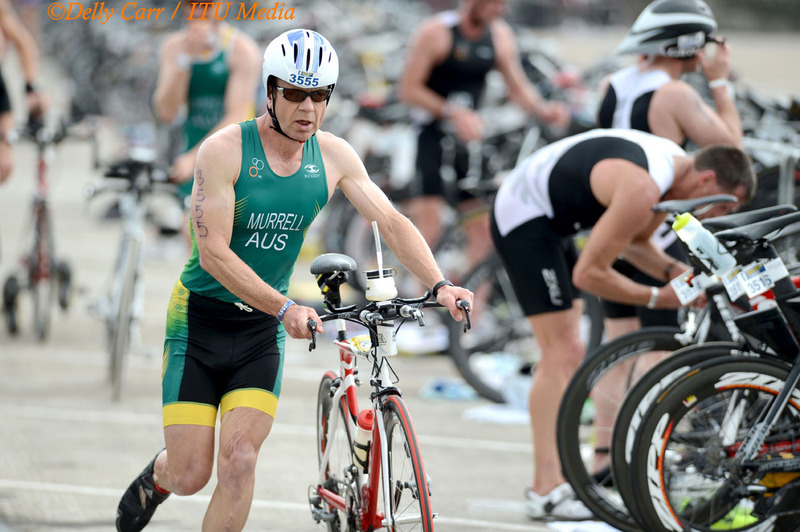 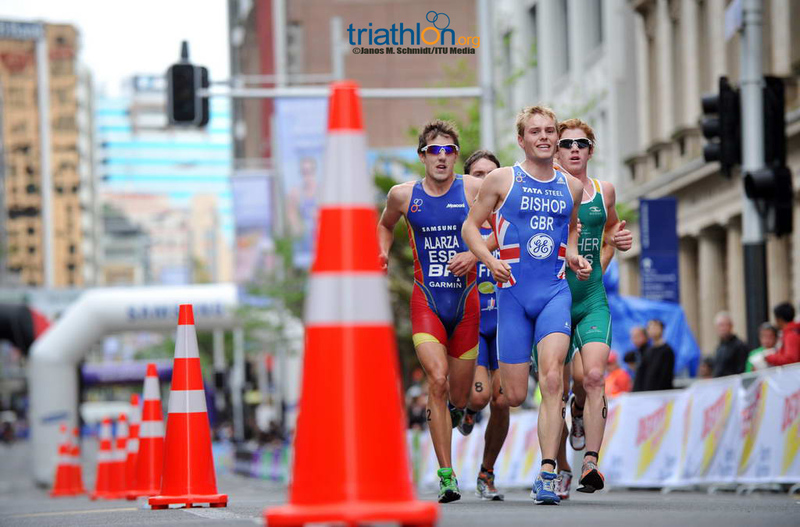 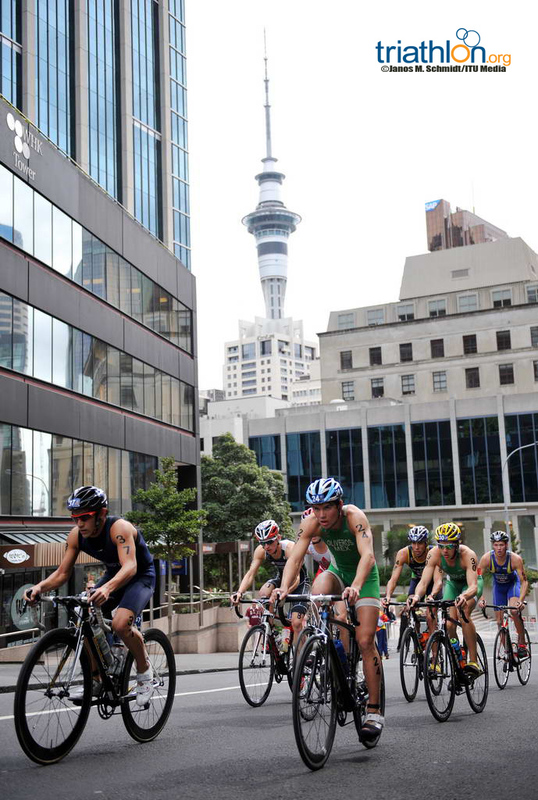 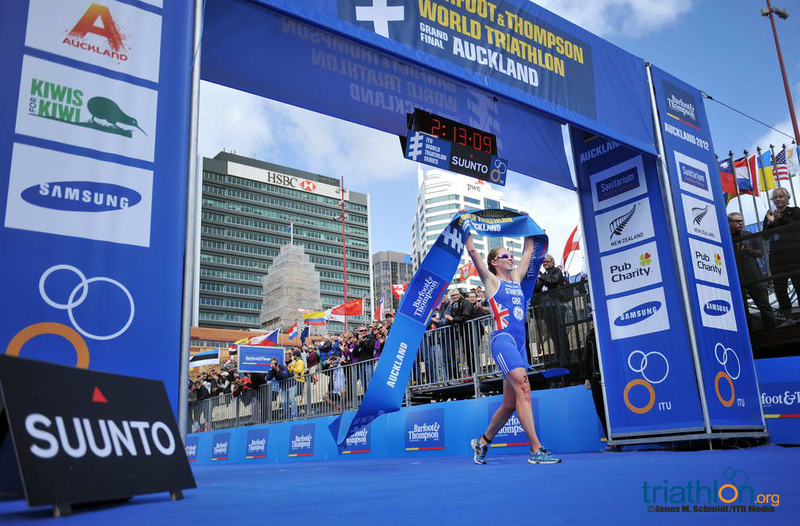 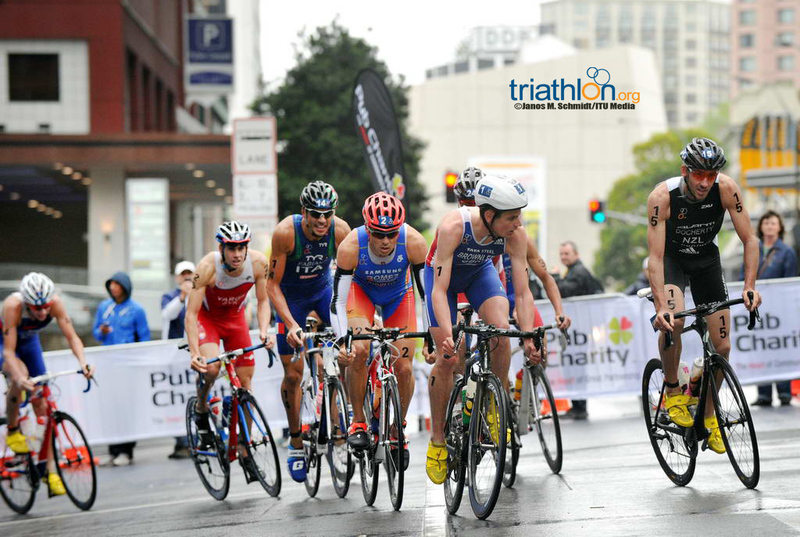 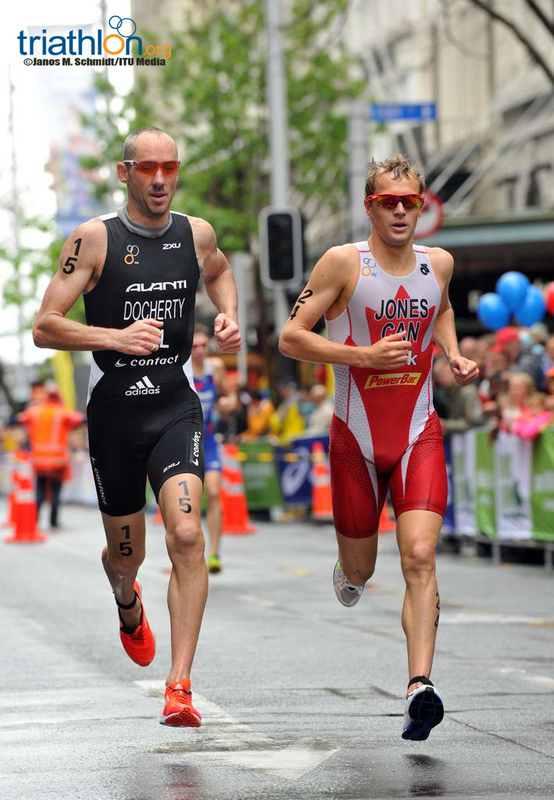 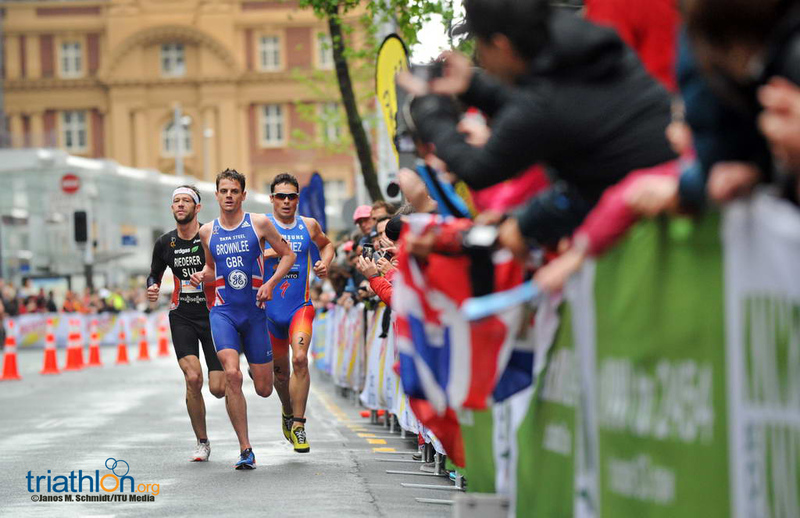 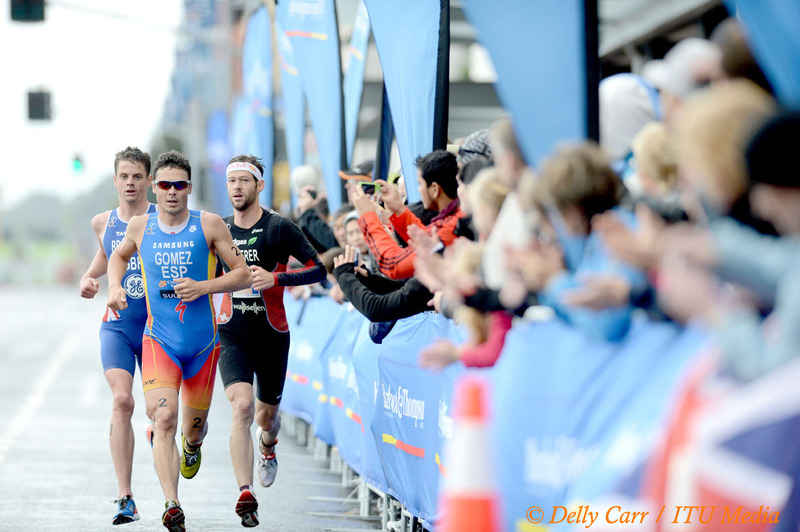 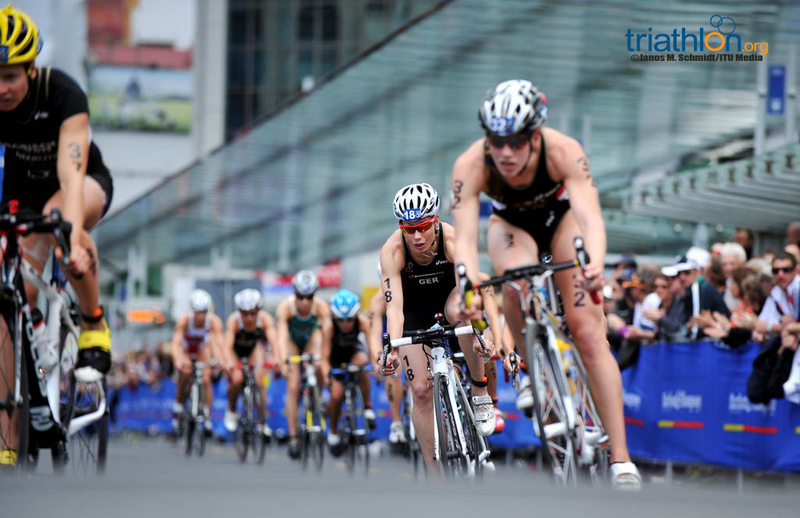 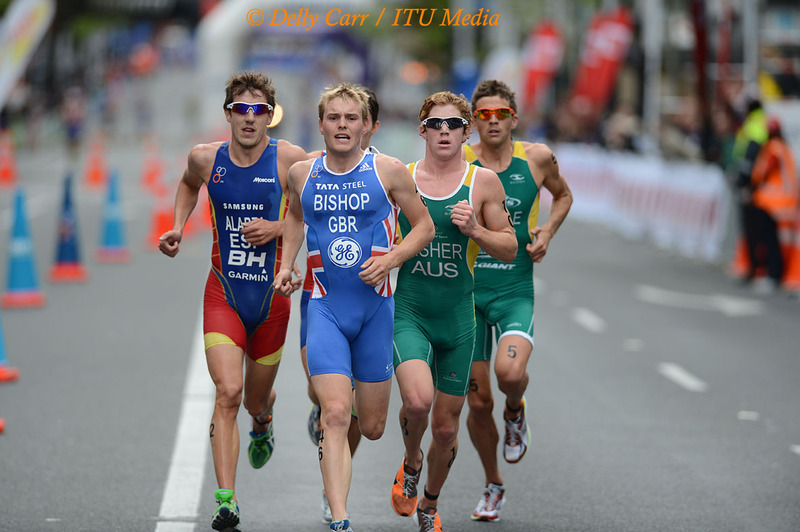 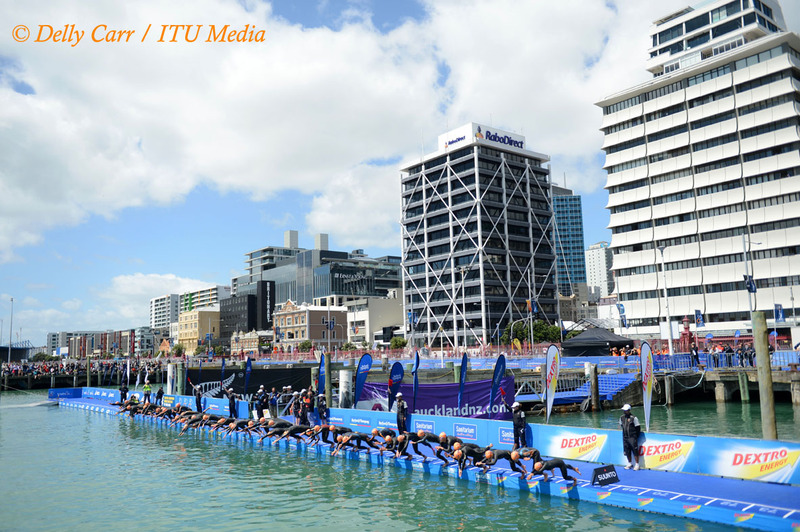 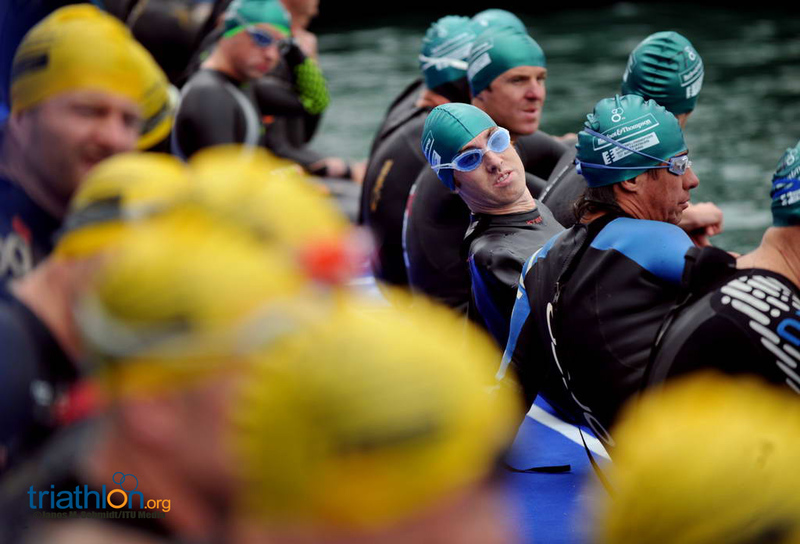 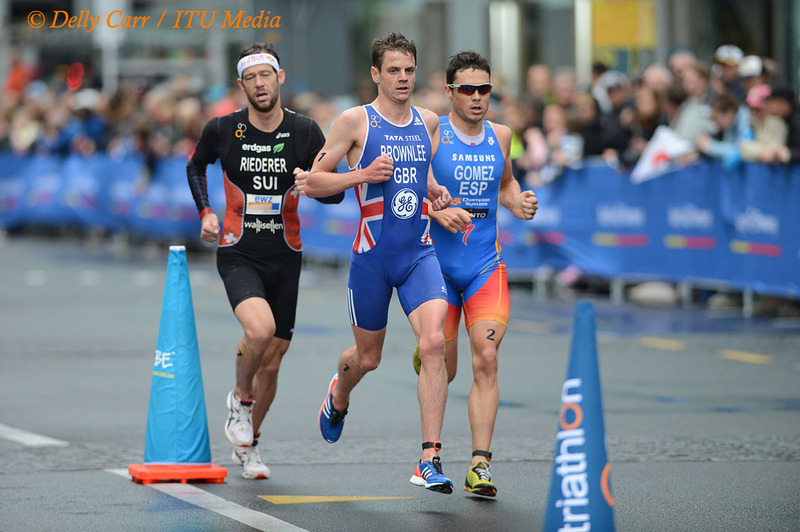 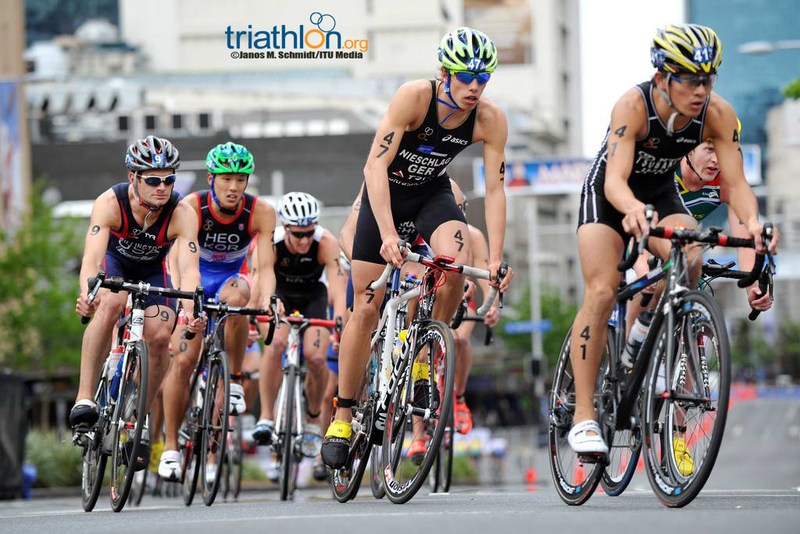 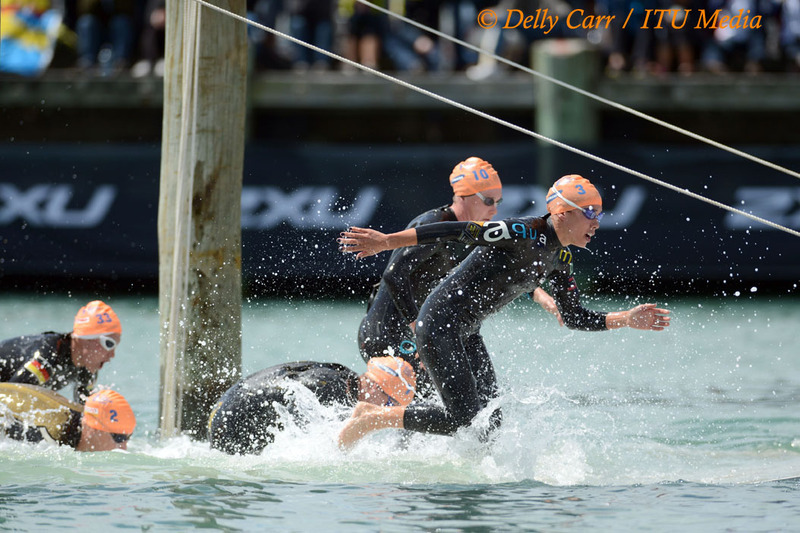 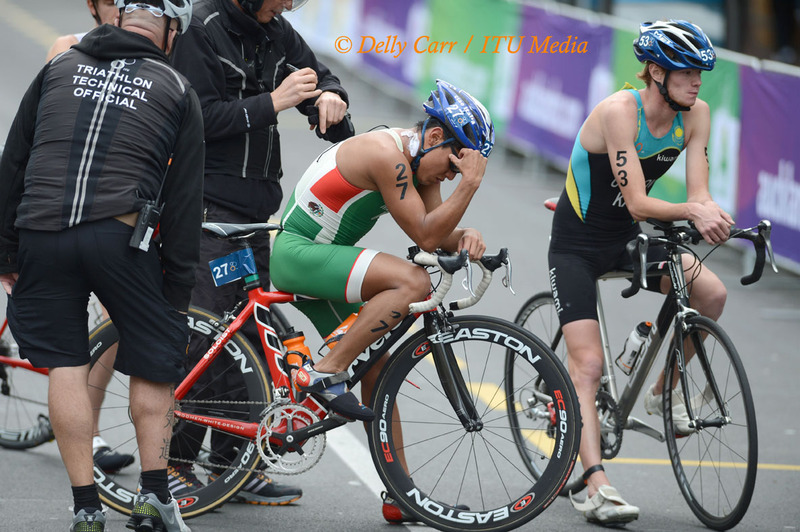 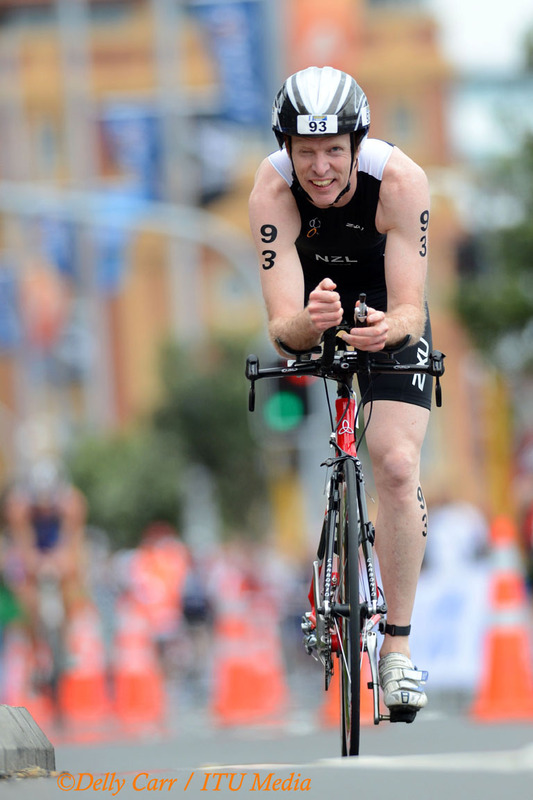 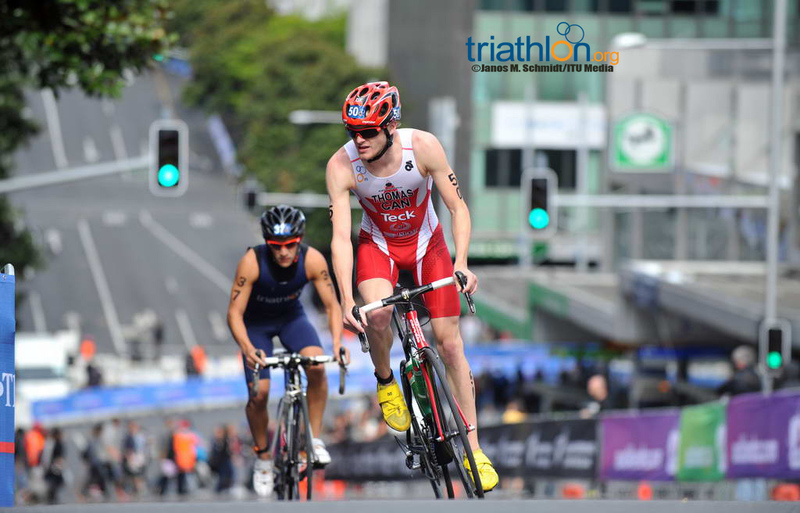 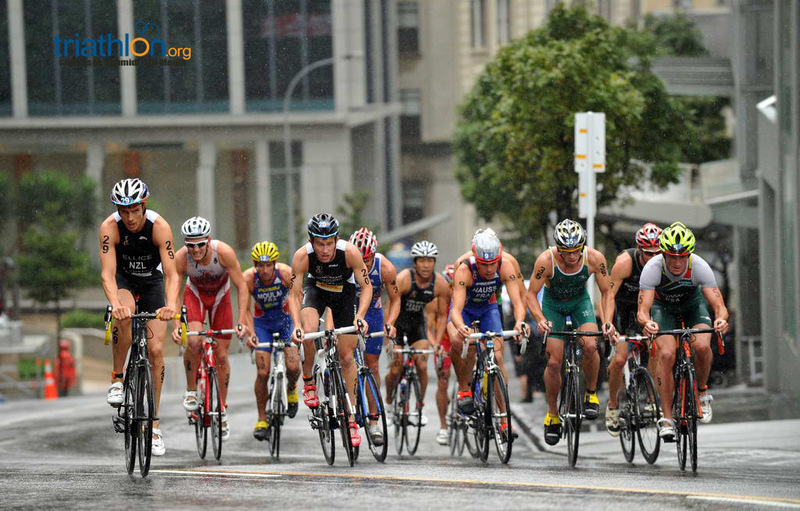 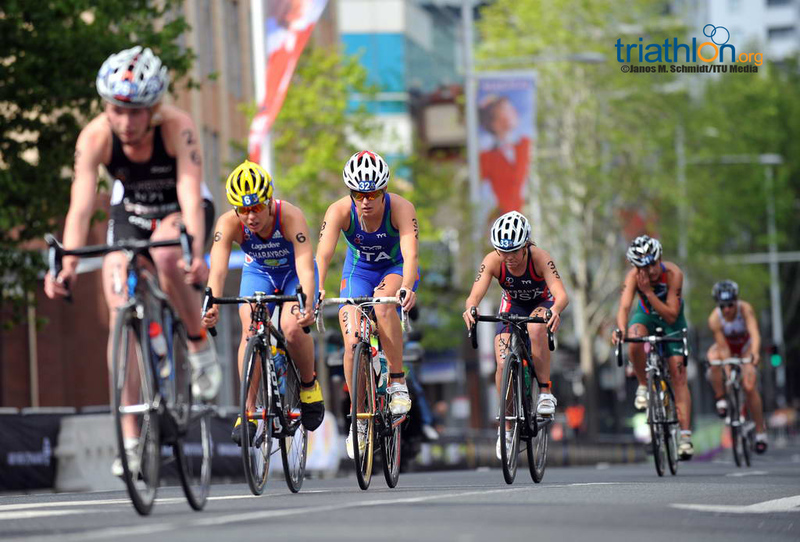 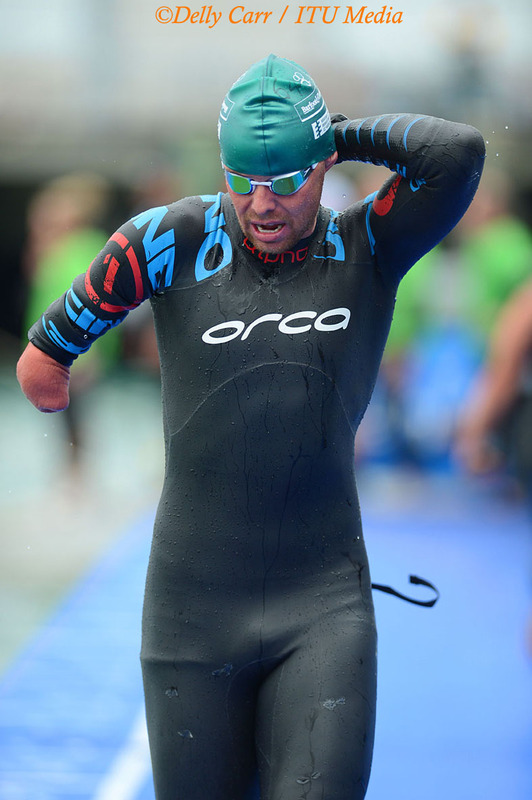 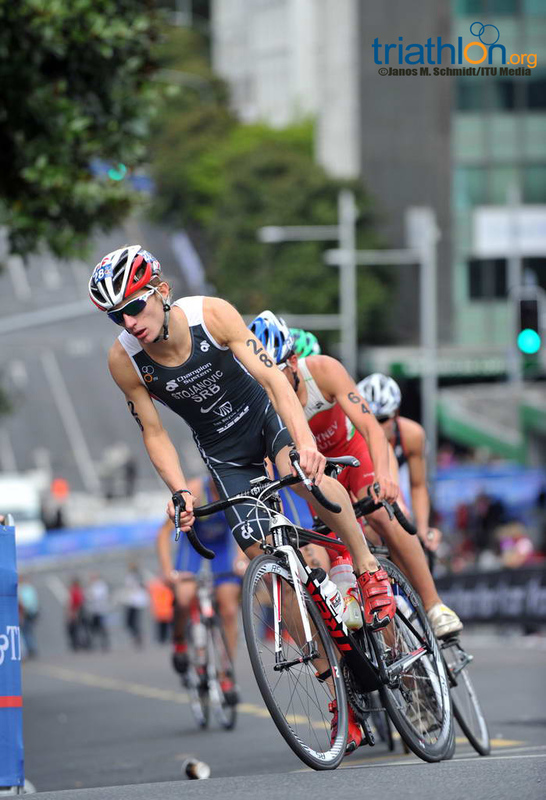 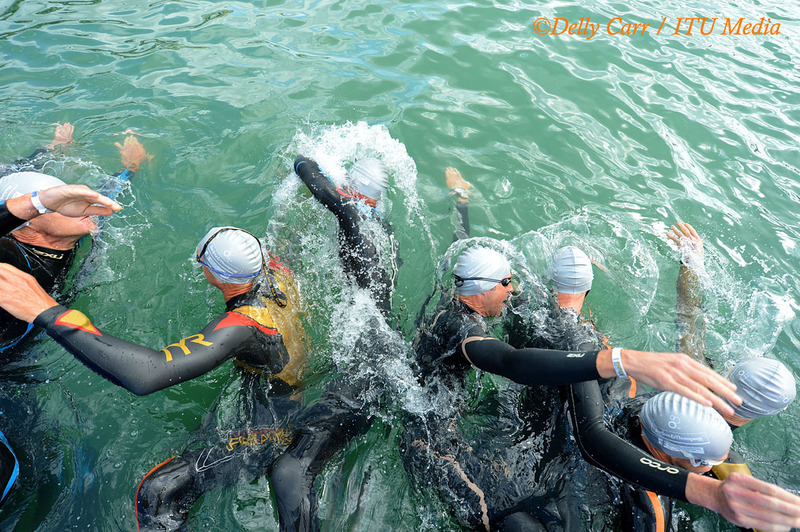 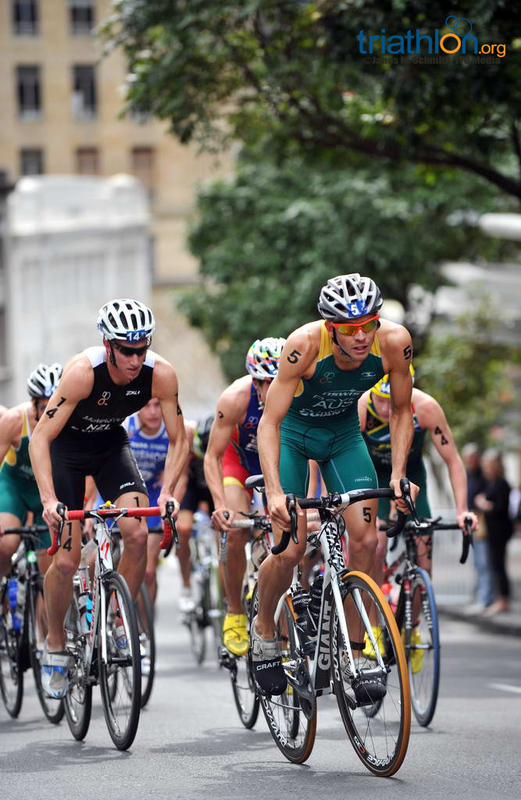 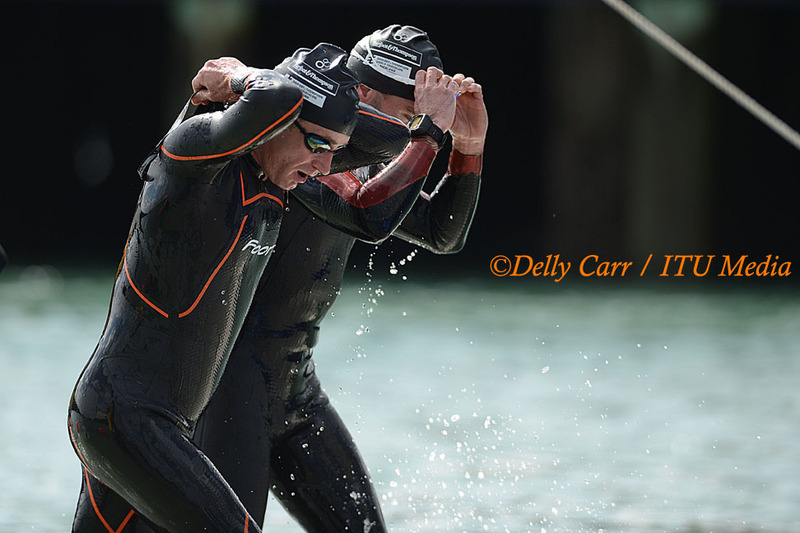 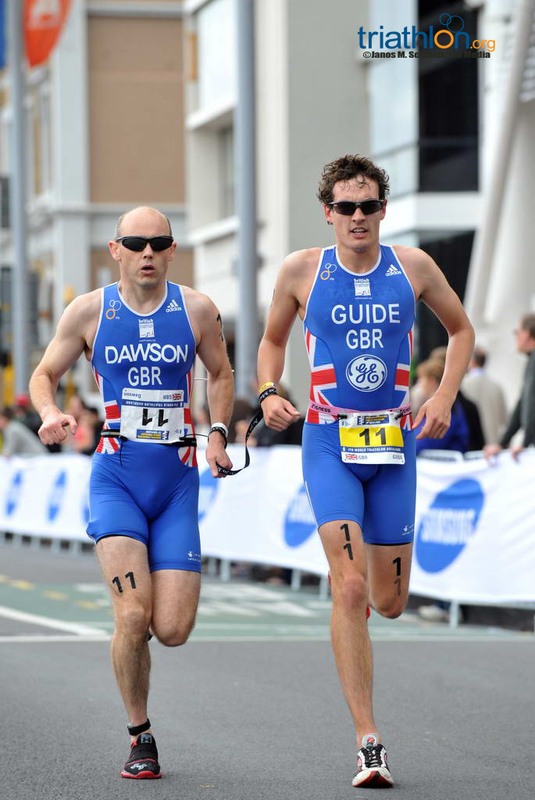 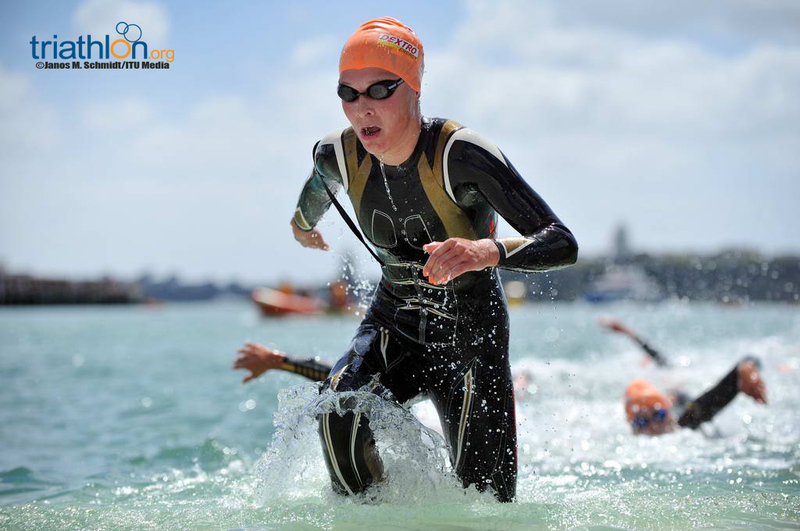 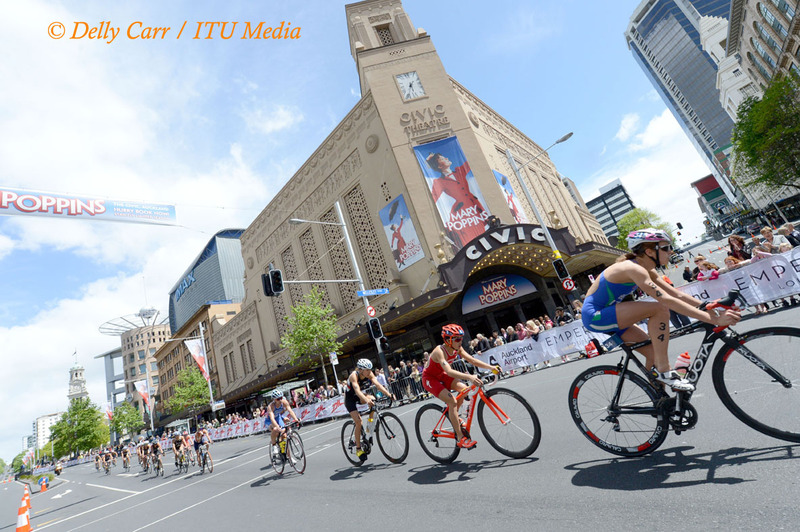 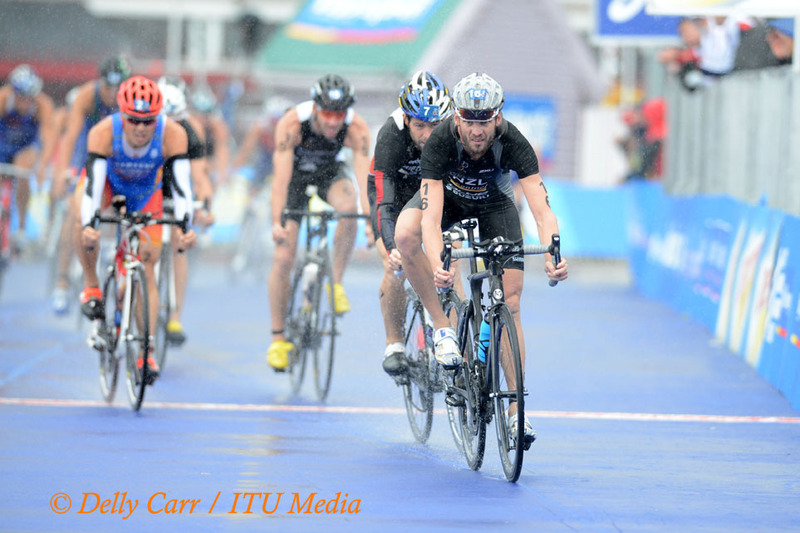 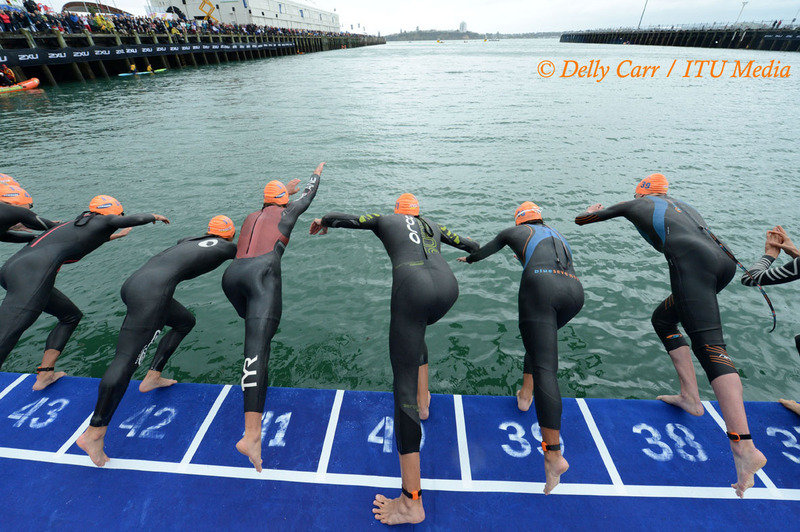 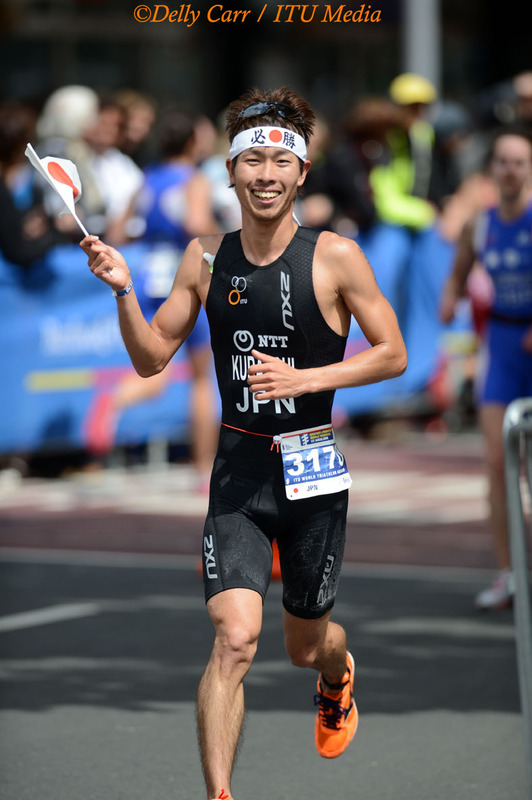 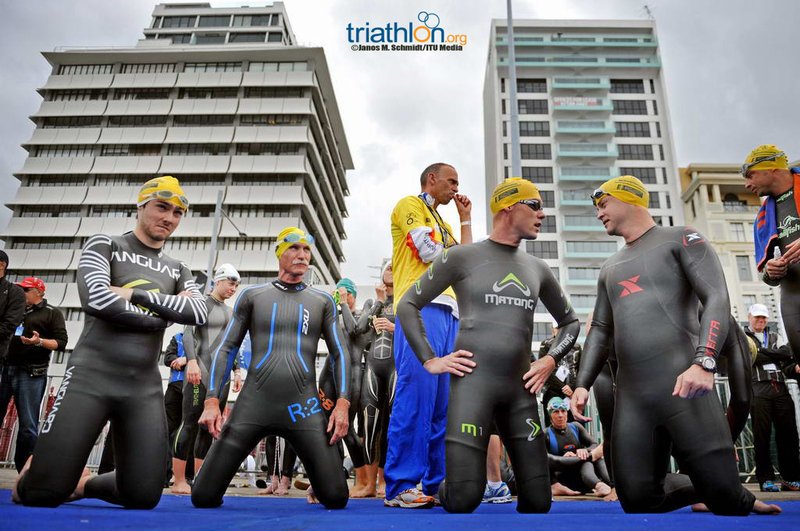 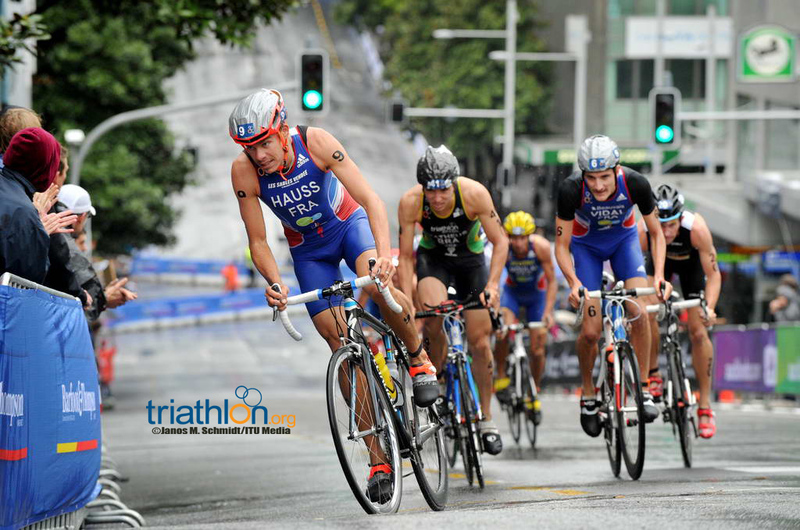 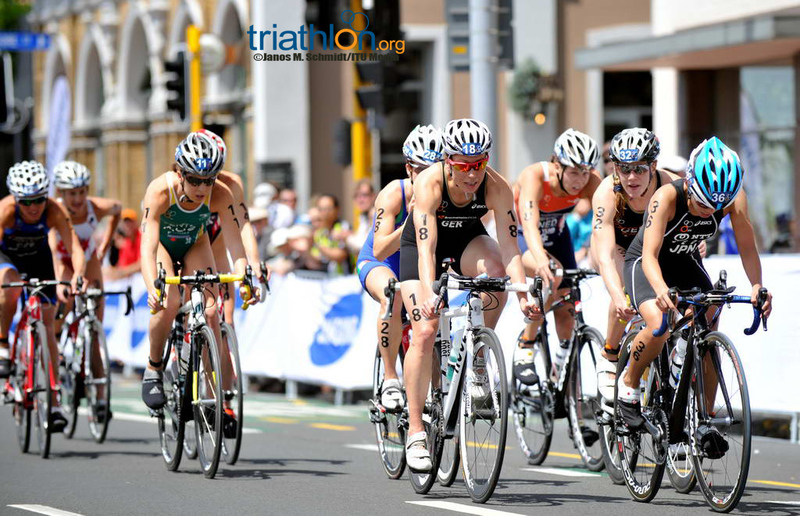 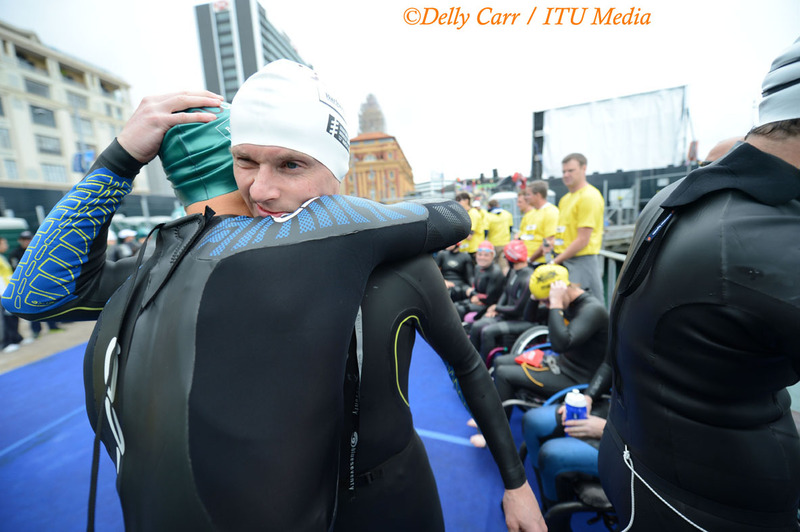 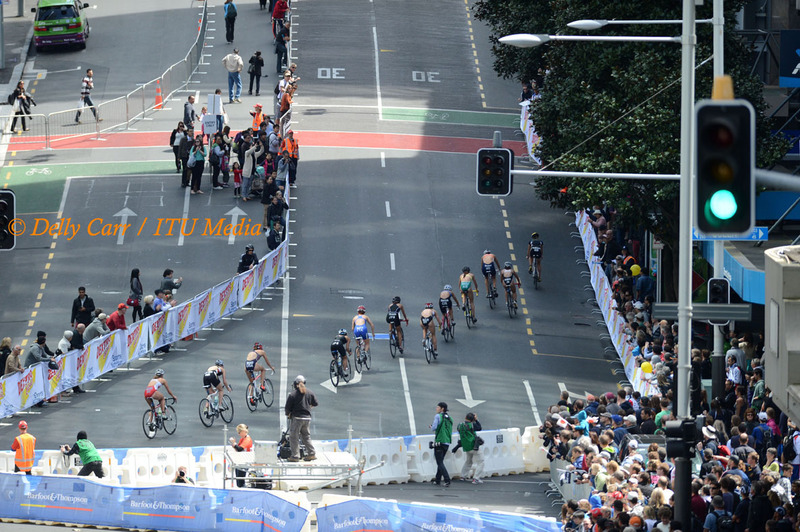 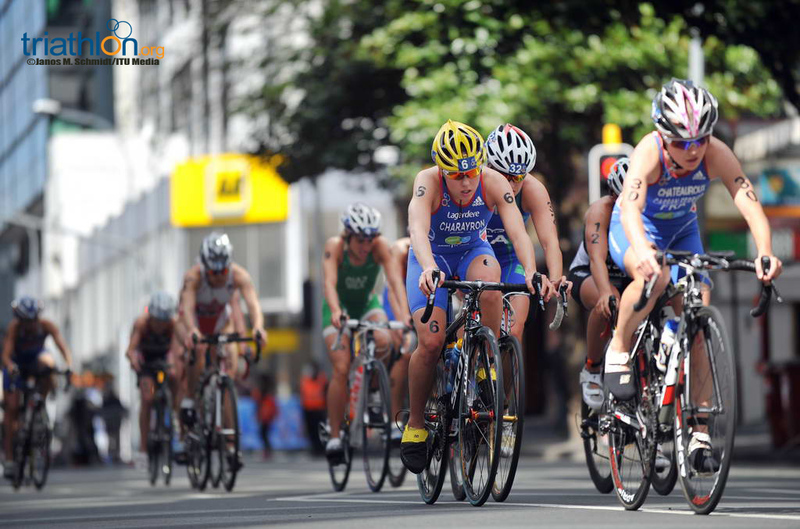 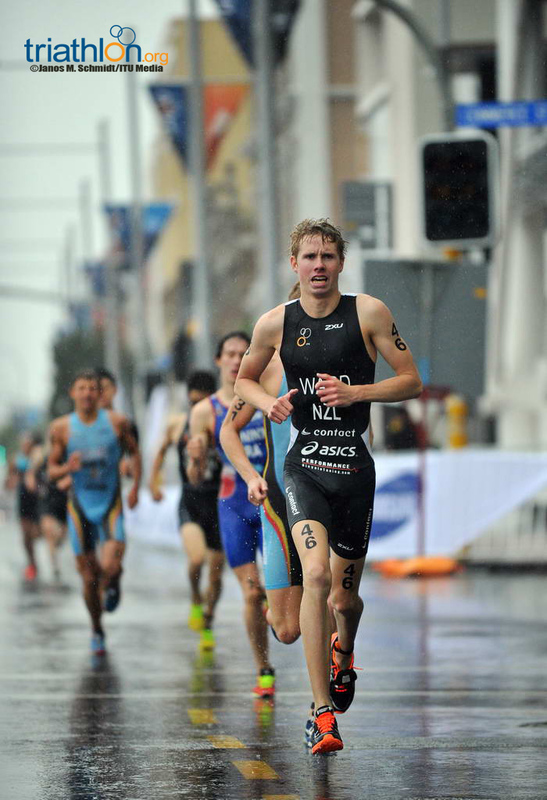 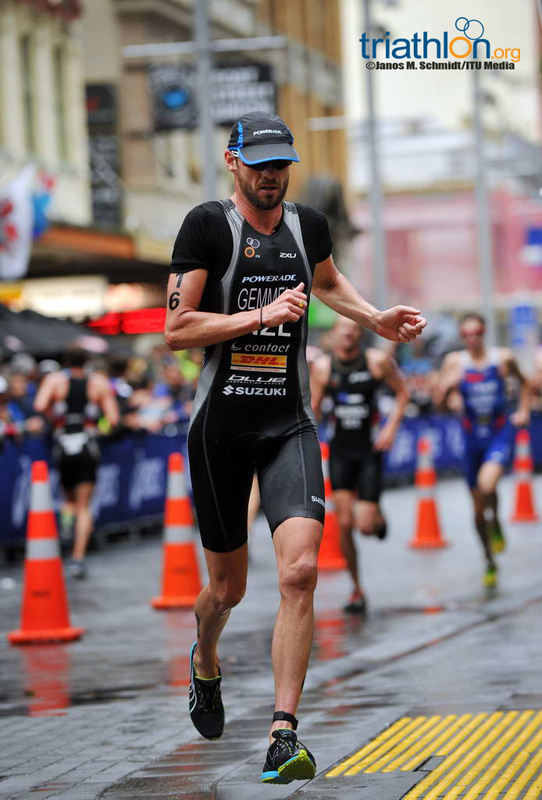 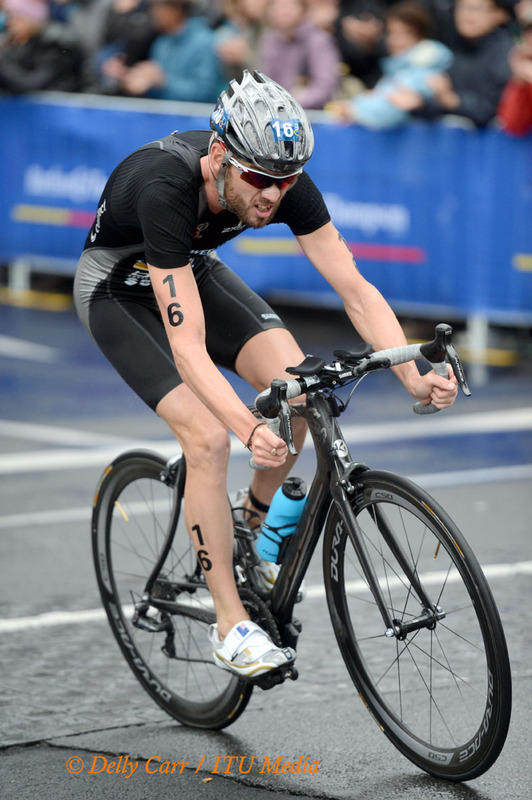 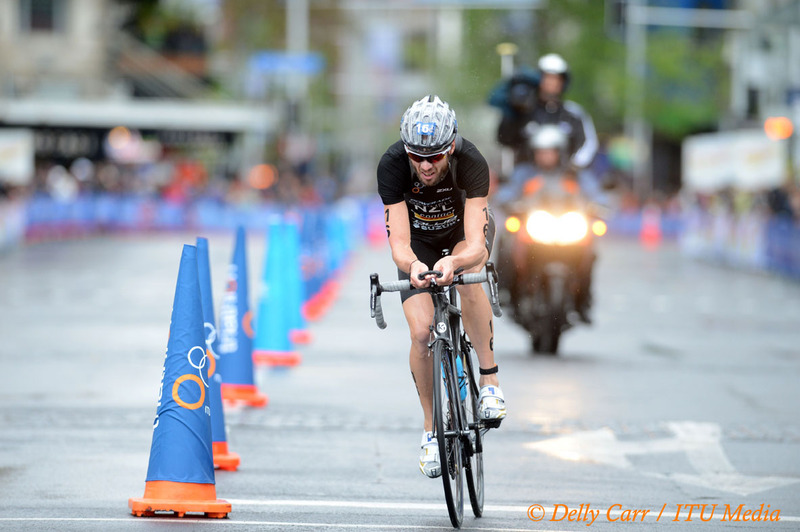 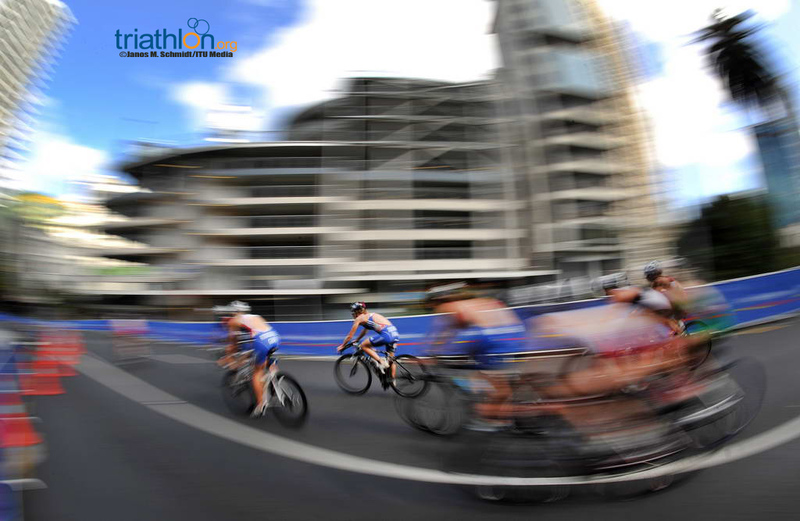 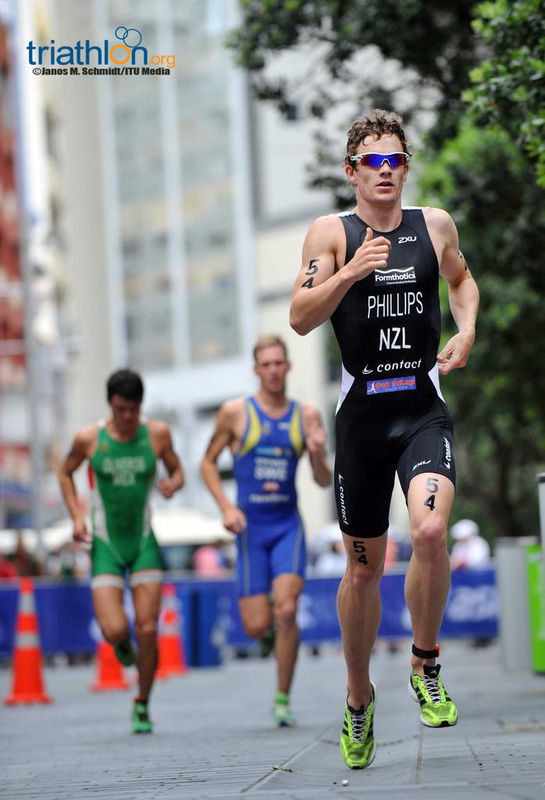 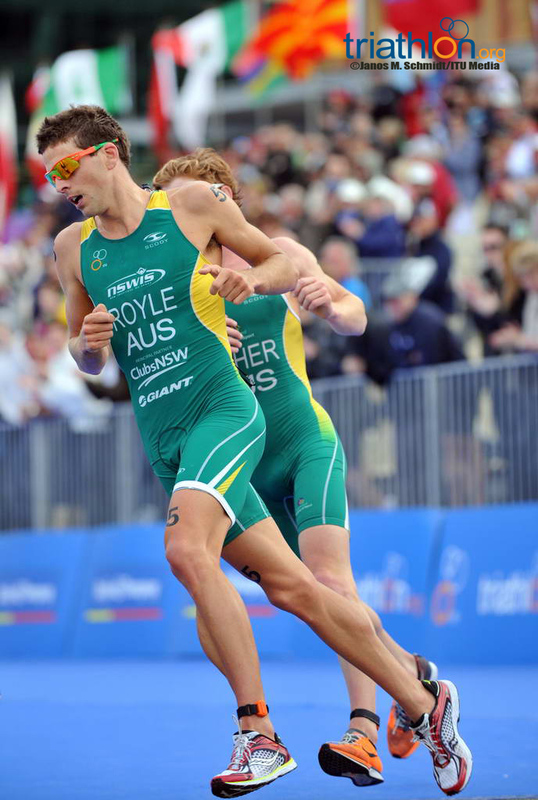 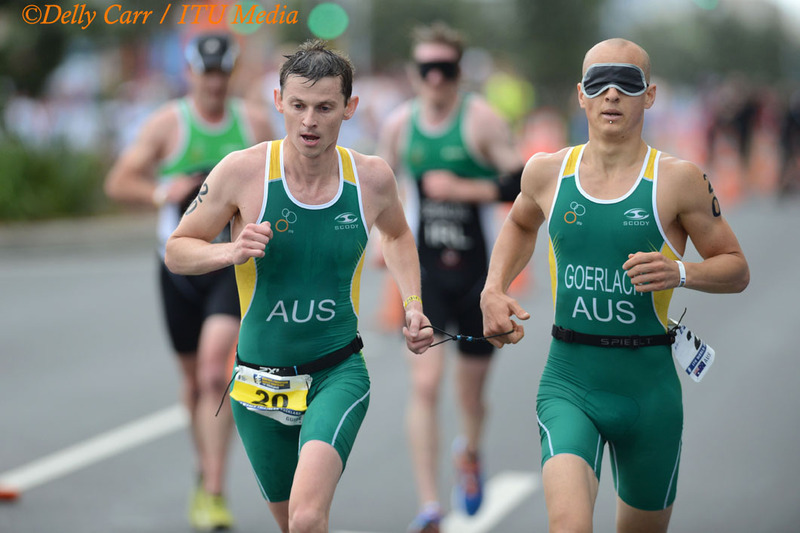 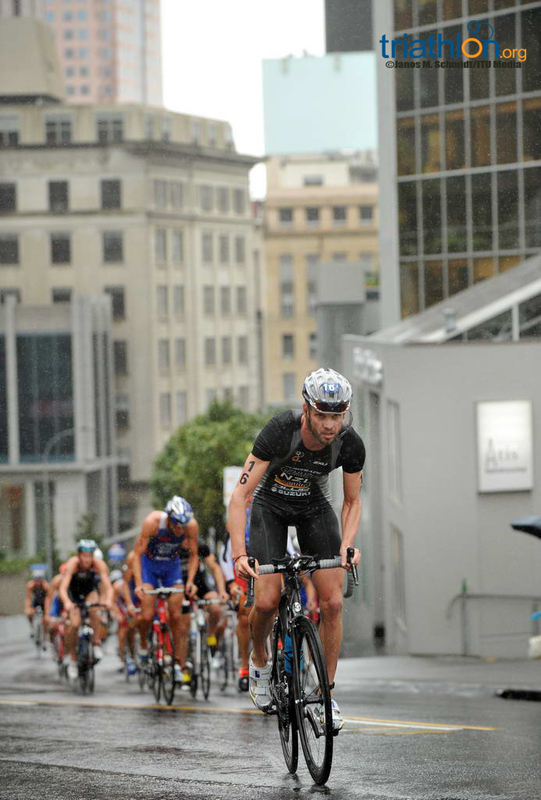 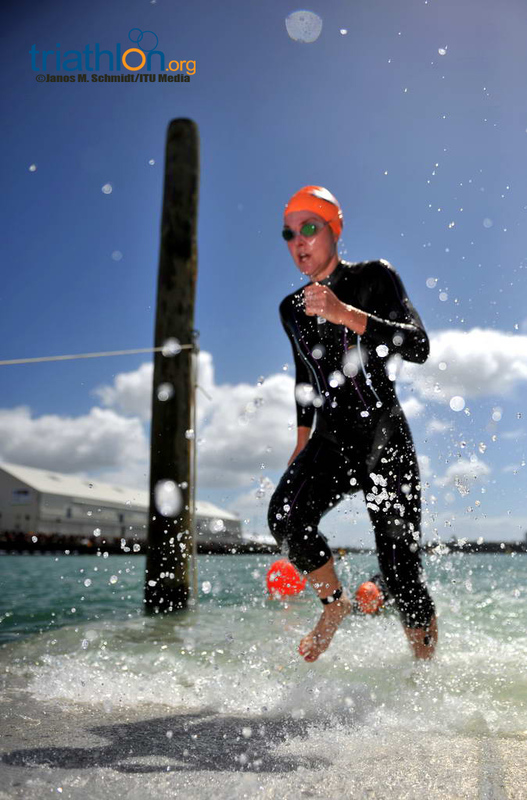 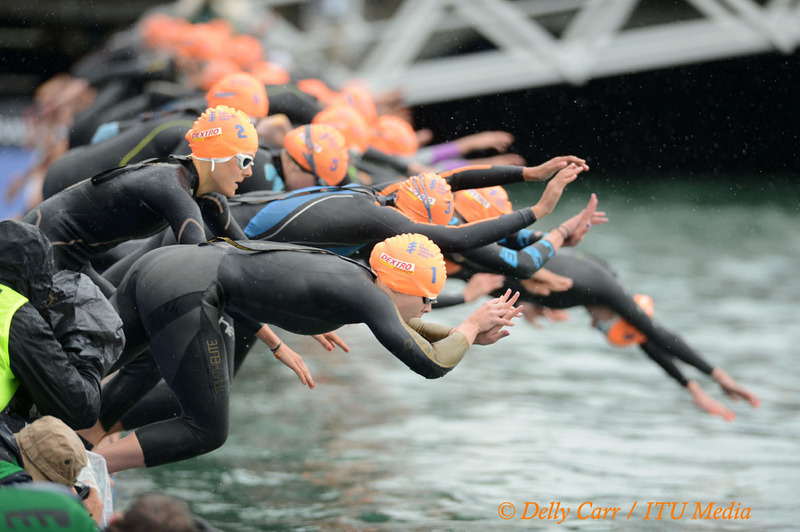 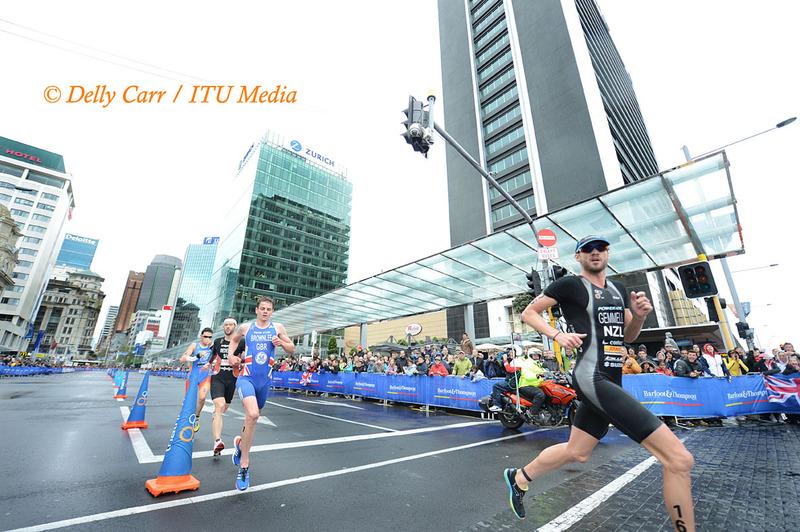 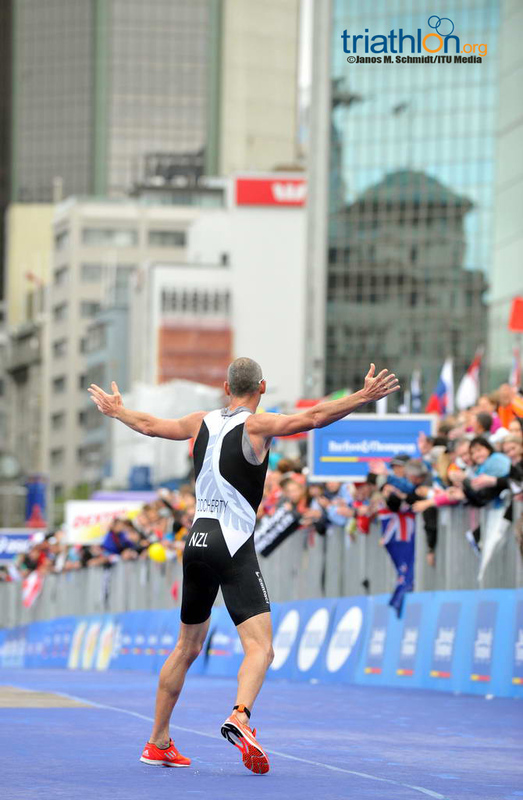 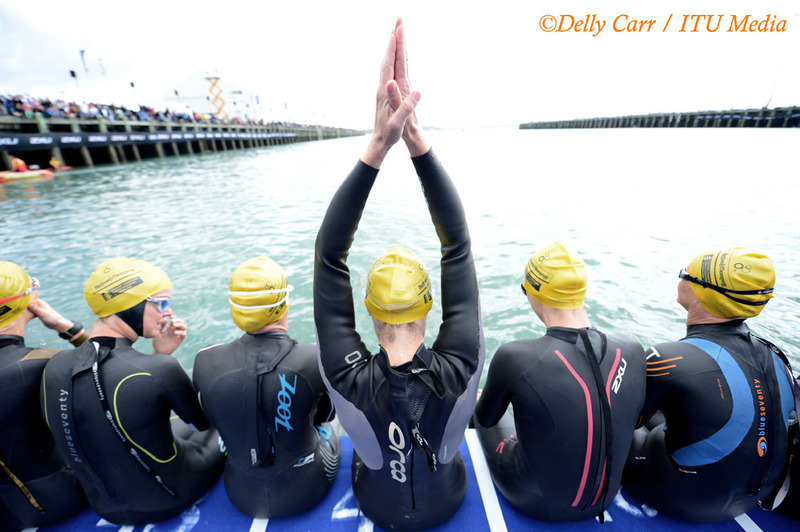 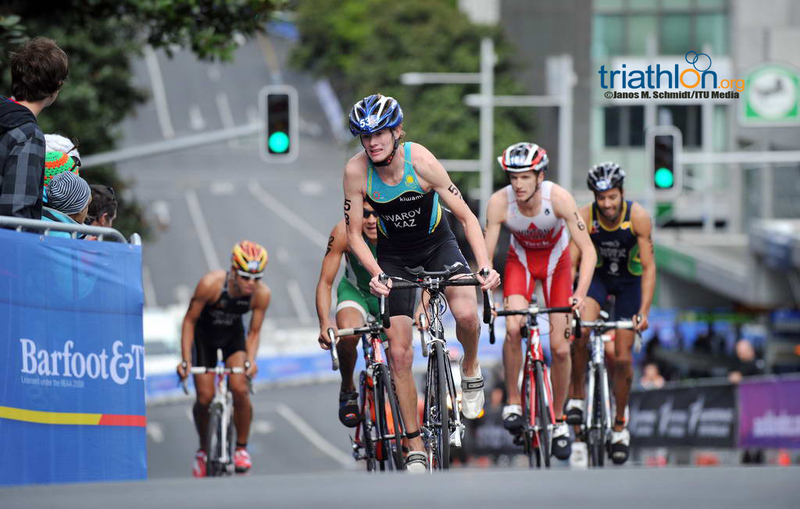 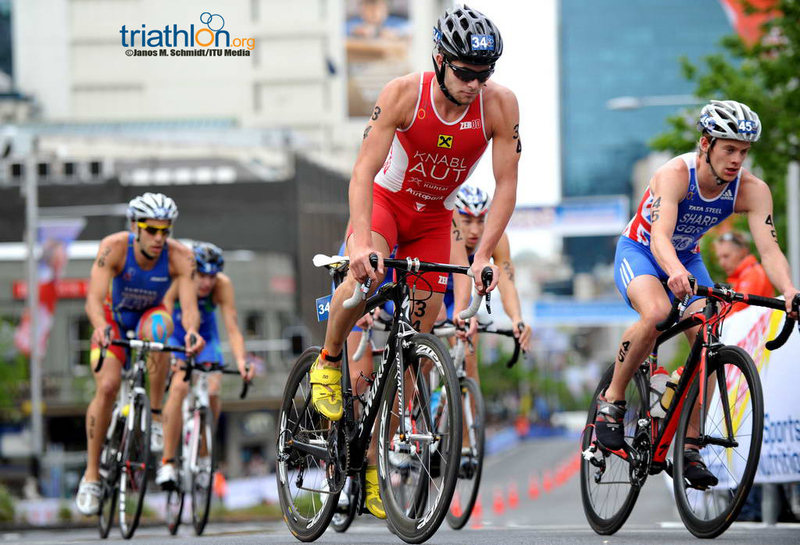 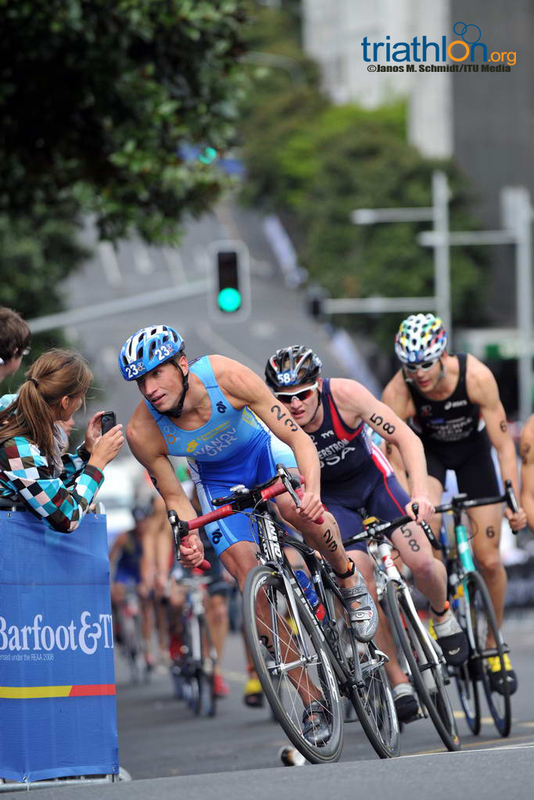 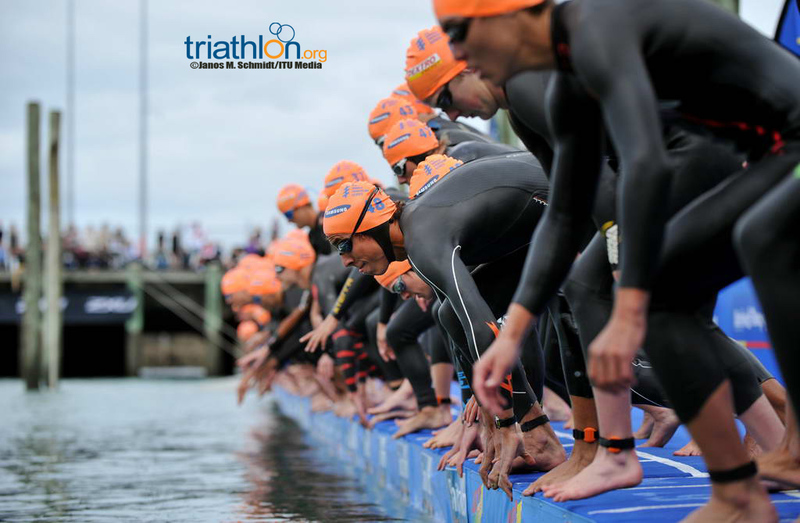 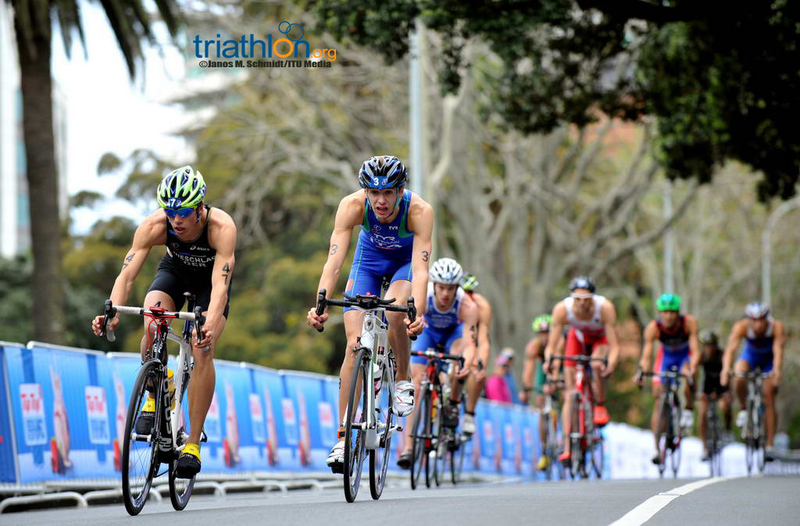 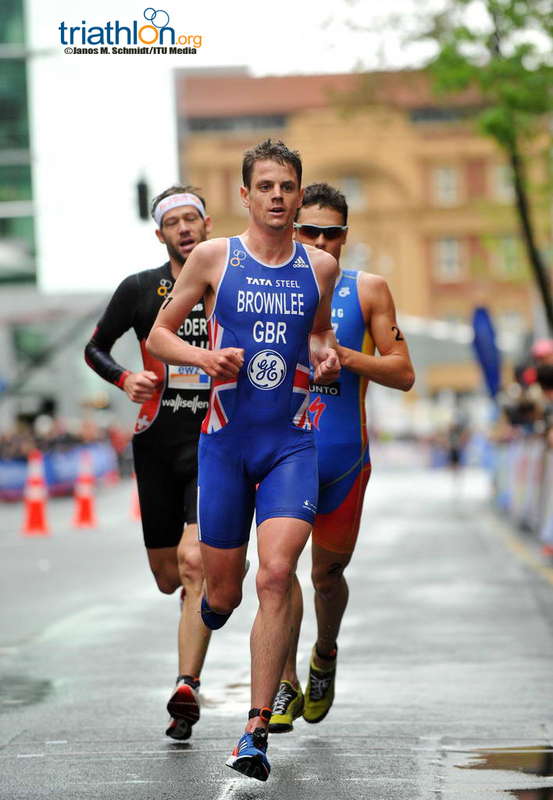 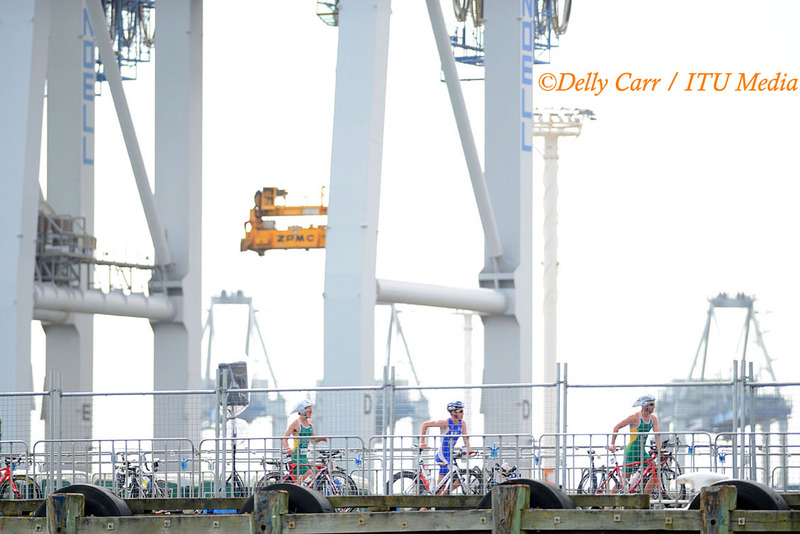 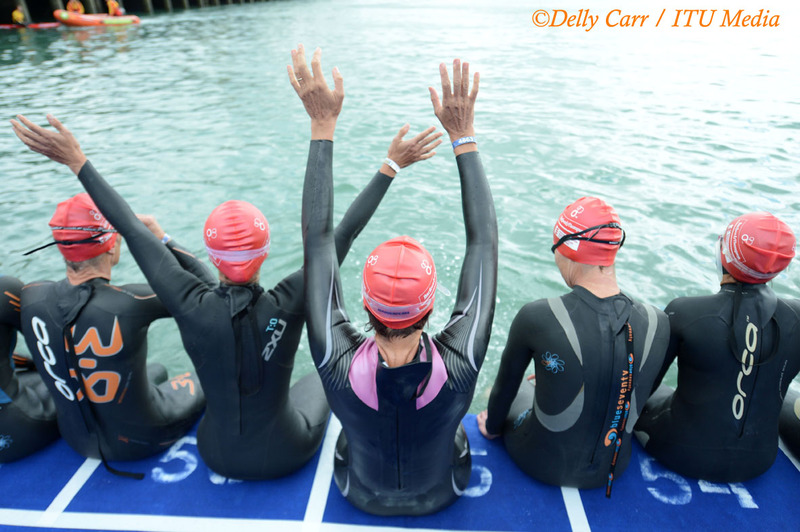 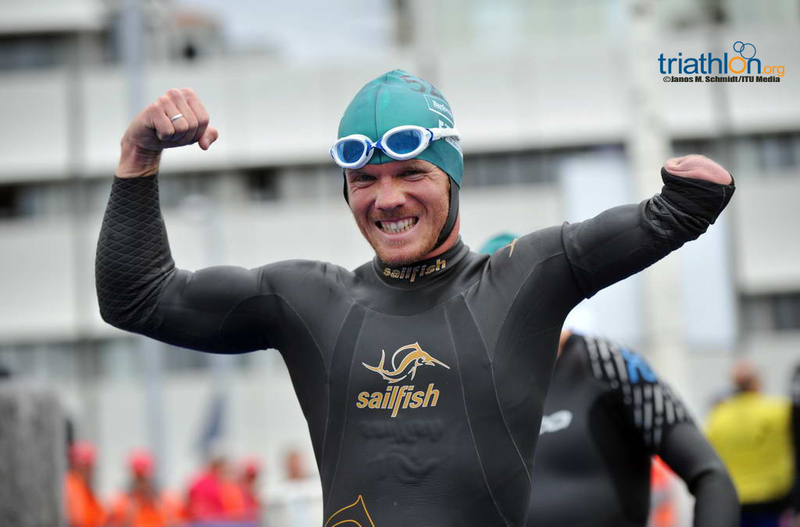 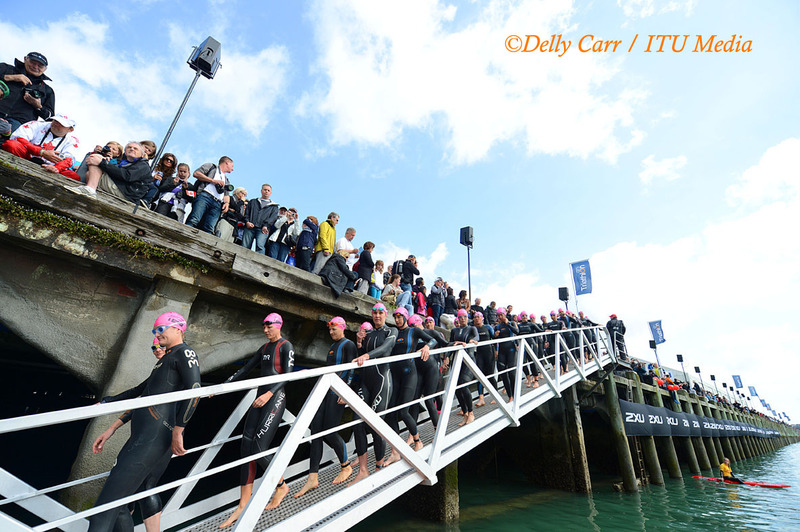 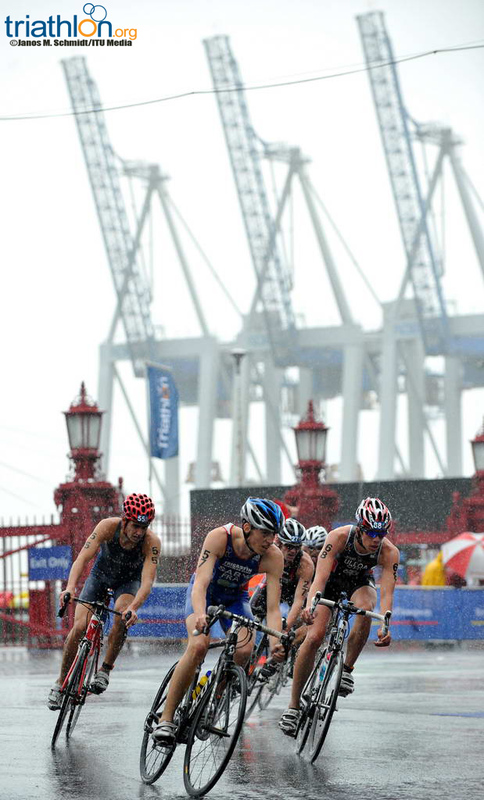 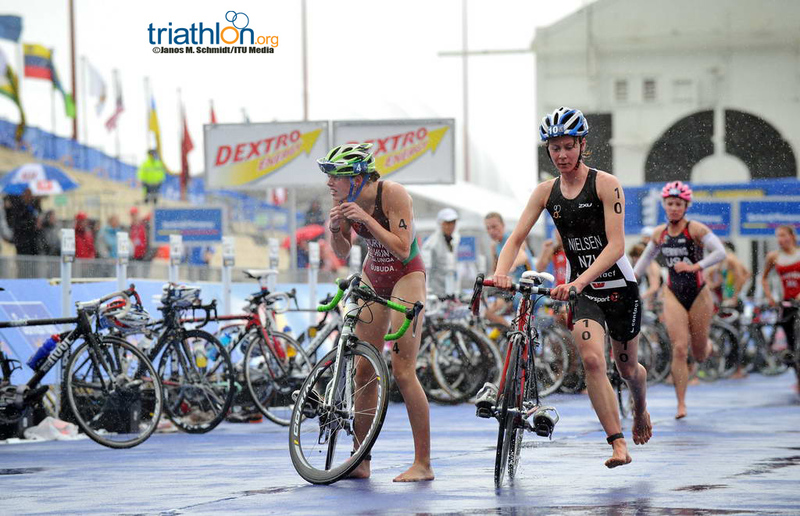 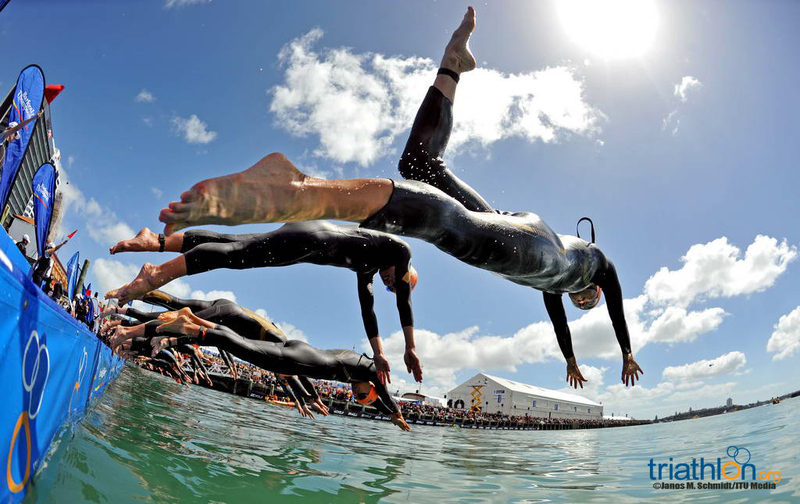 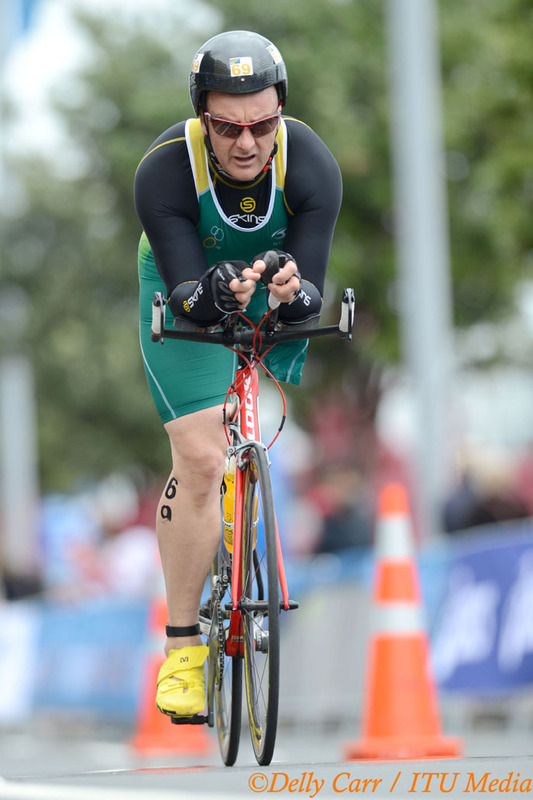 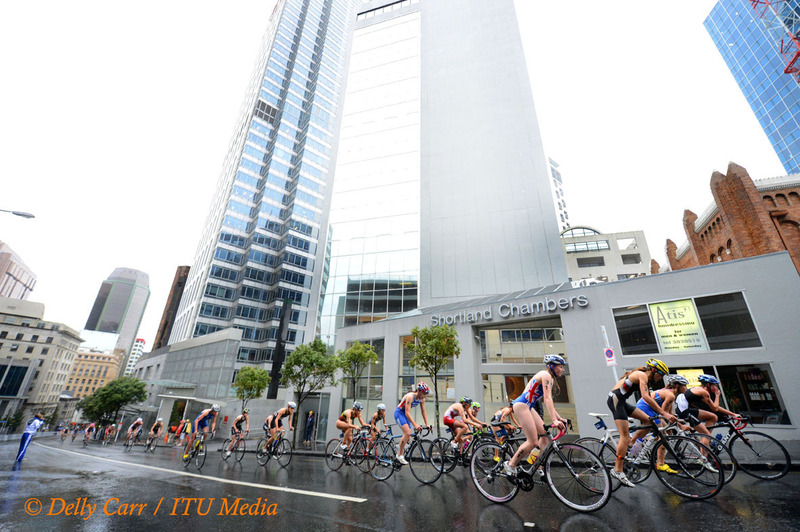 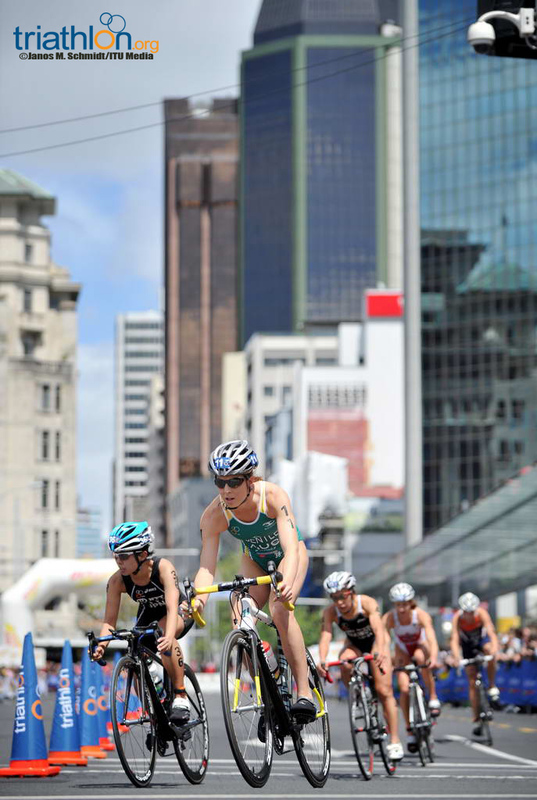 The start list is peppered with a string of rising triathlon stars ready to race the vicious Auckland course. 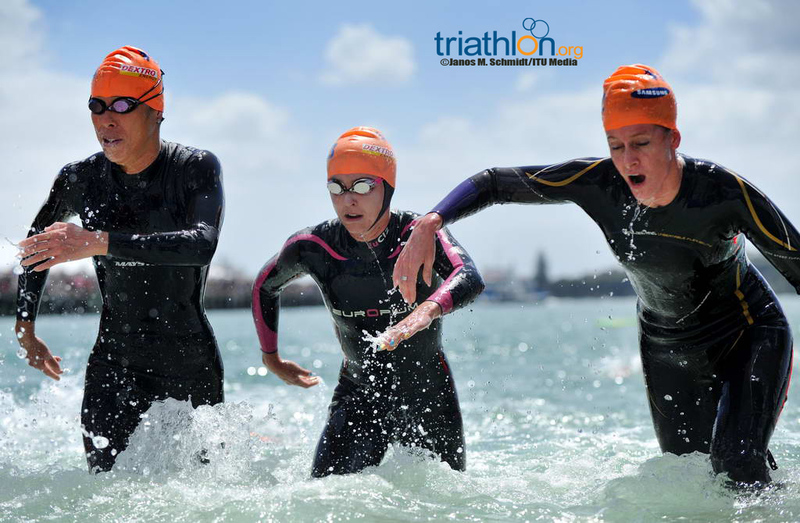 Past champions in this category have gone on to tremendous elite success, including Lisa Norden, Erin Densham, Andrea Hewitt, Annabel Luxford, Daniela Ryf and Emma Jackson. 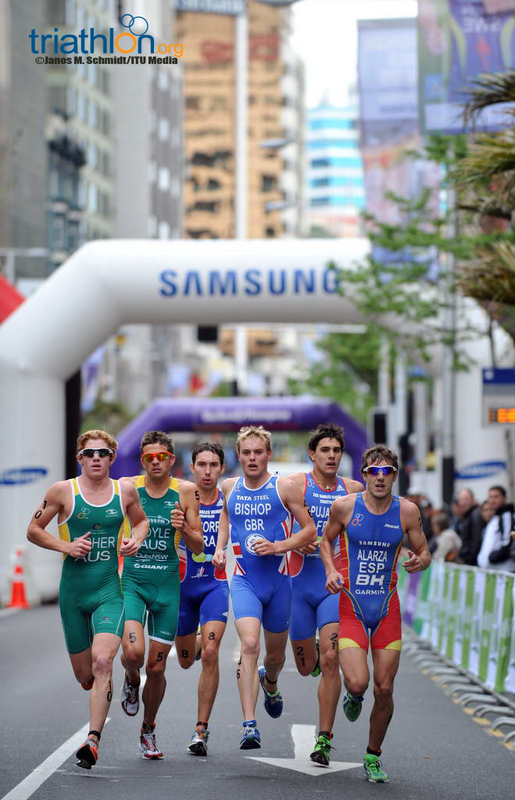 If the U23 line-up is any hint of what’s to come this week, you’re in for a treat. 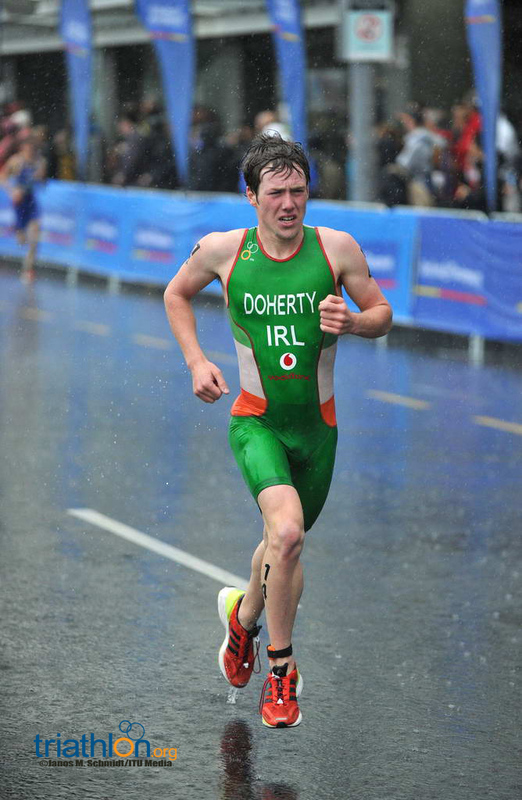 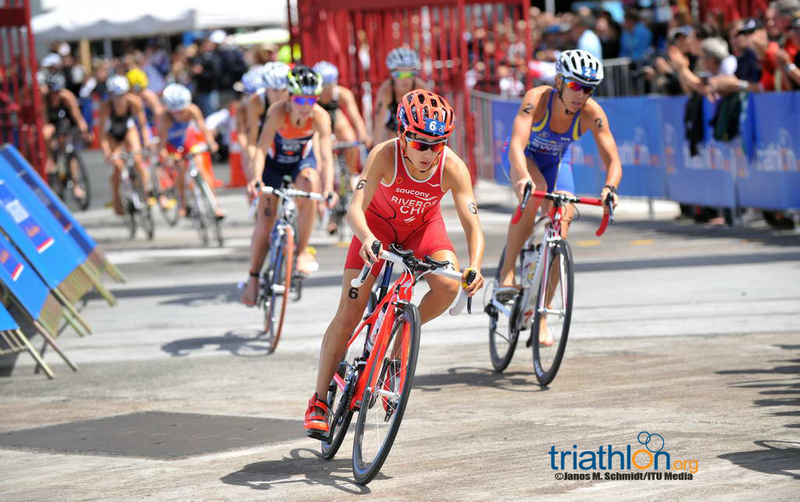 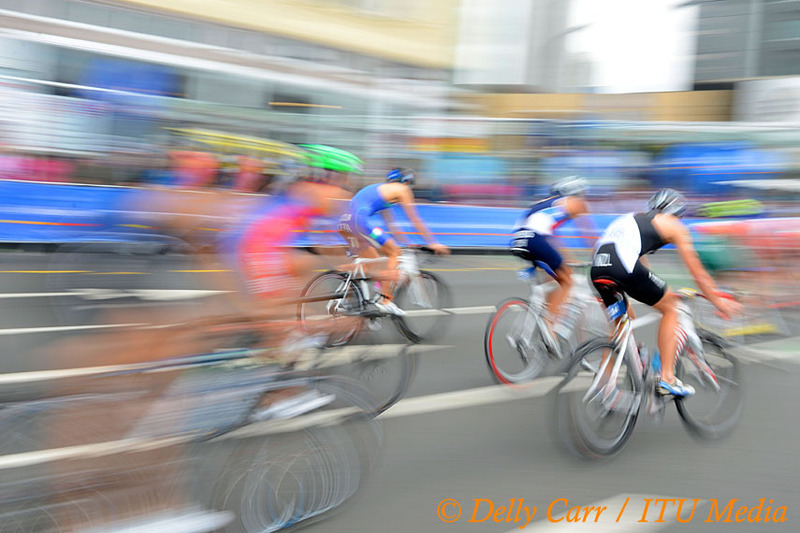 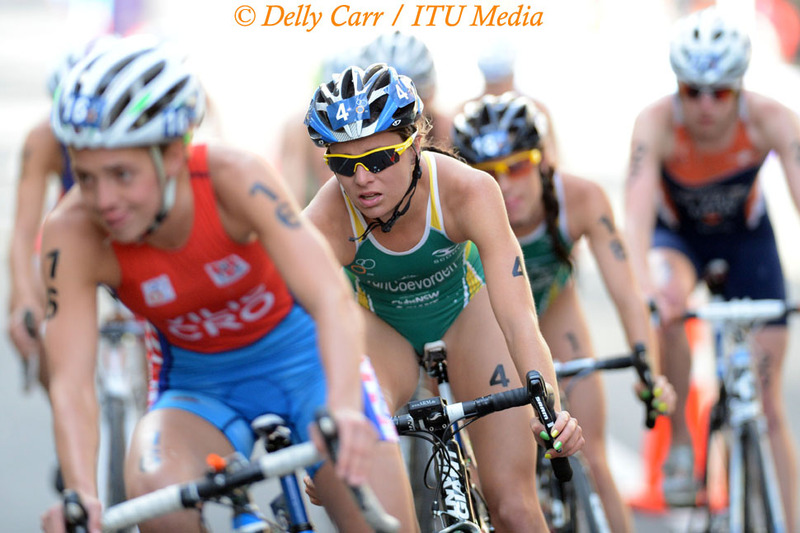 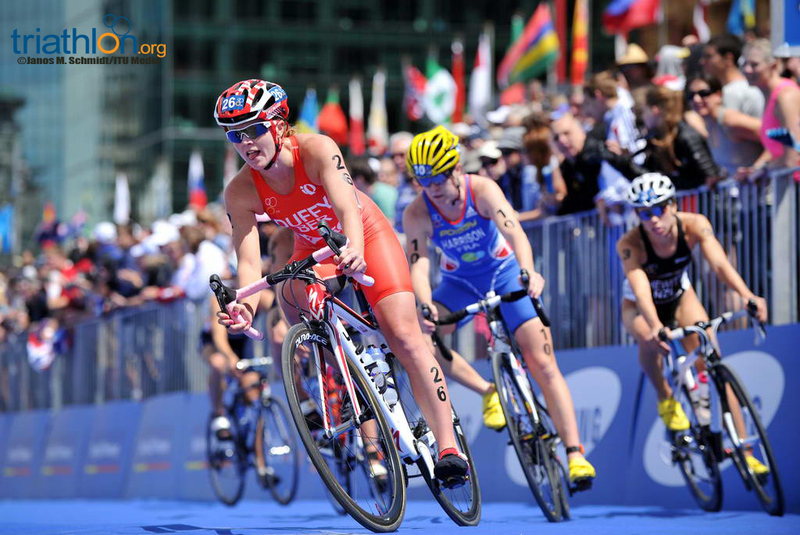 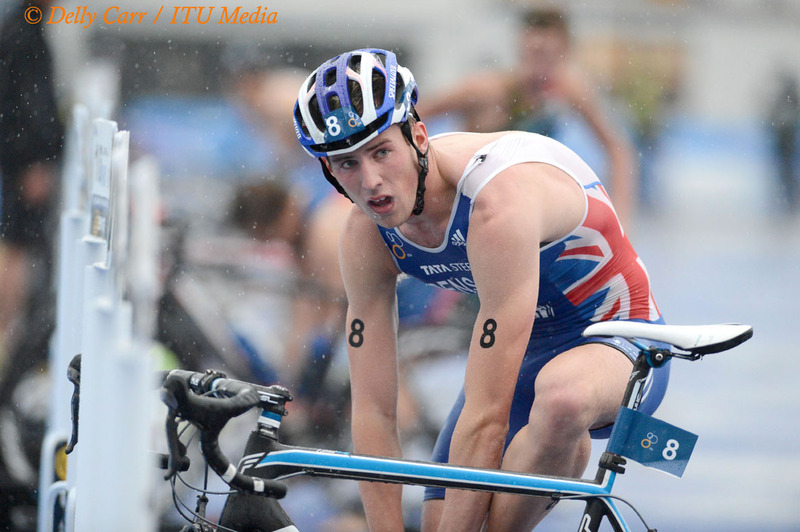 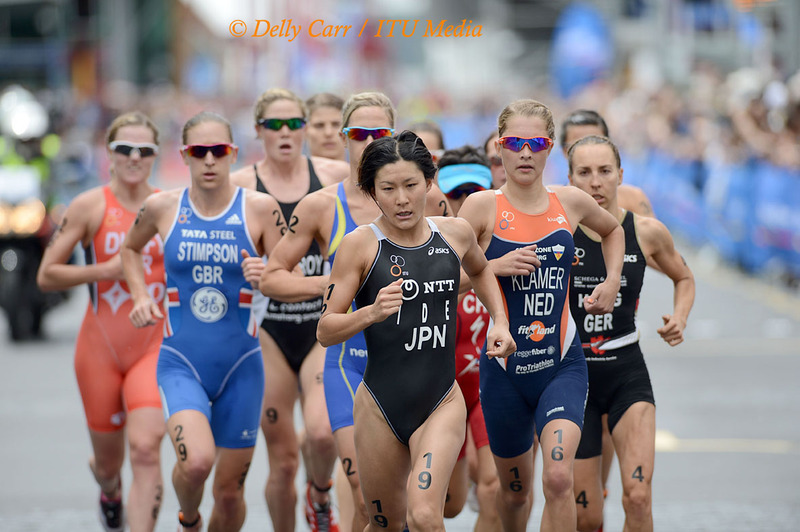 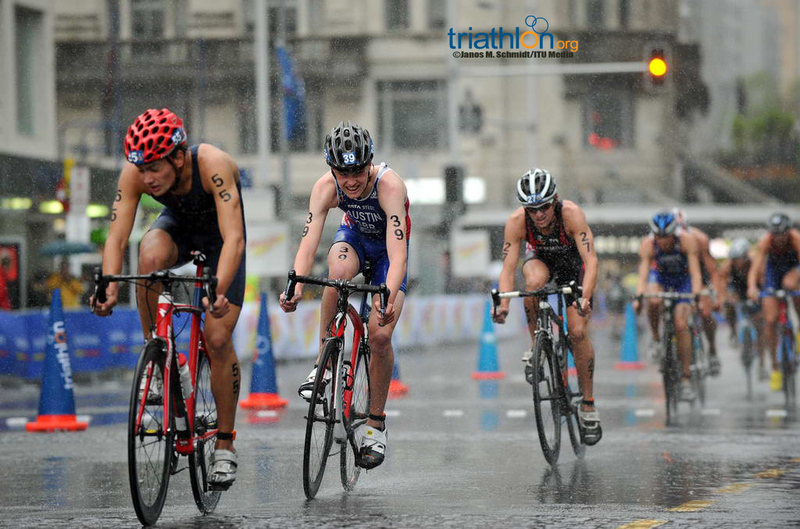 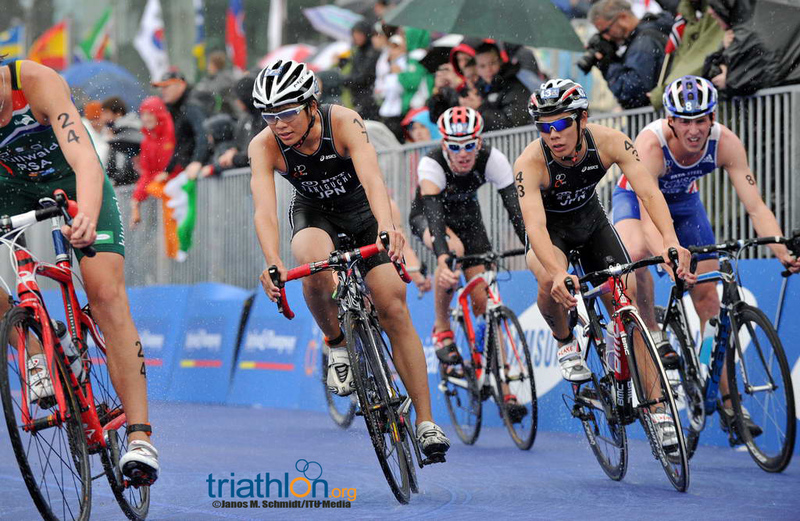 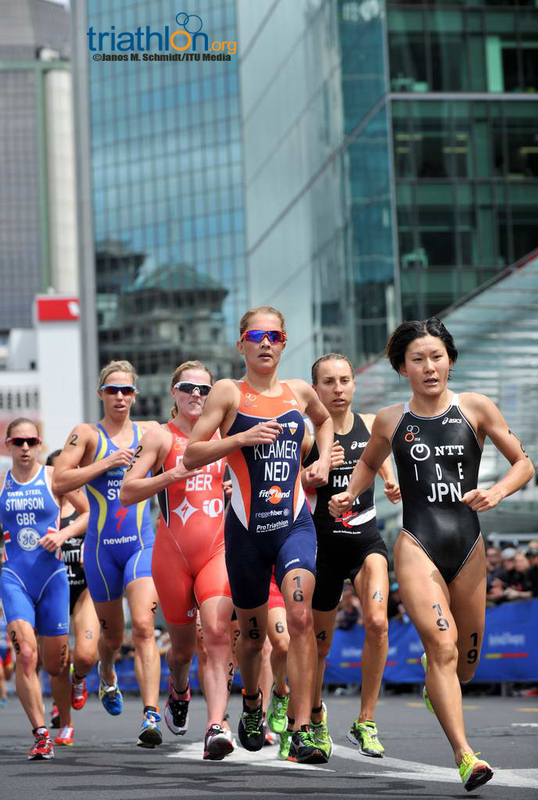 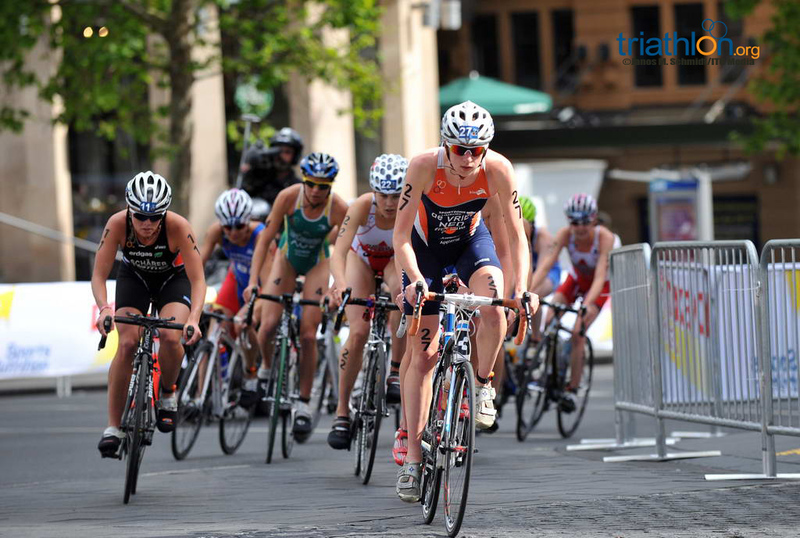 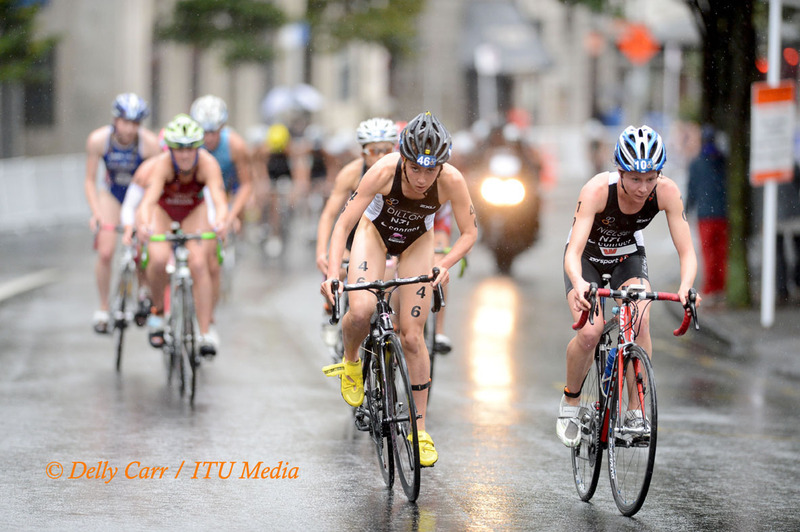 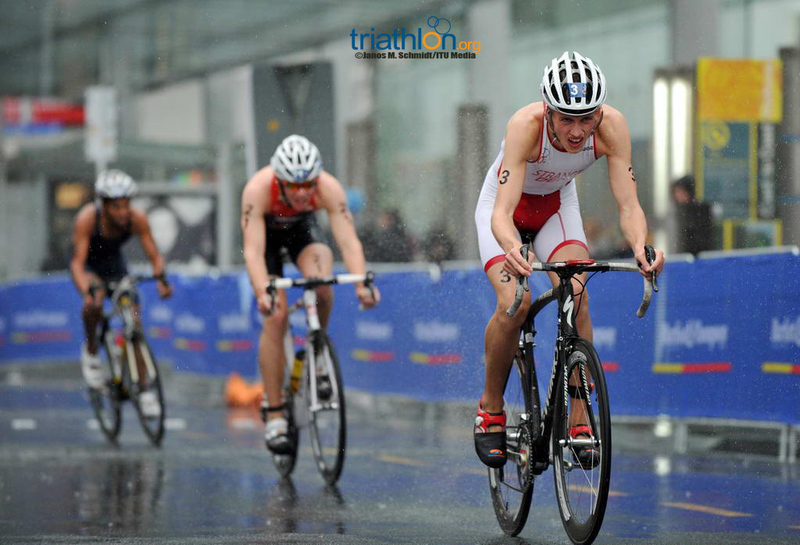 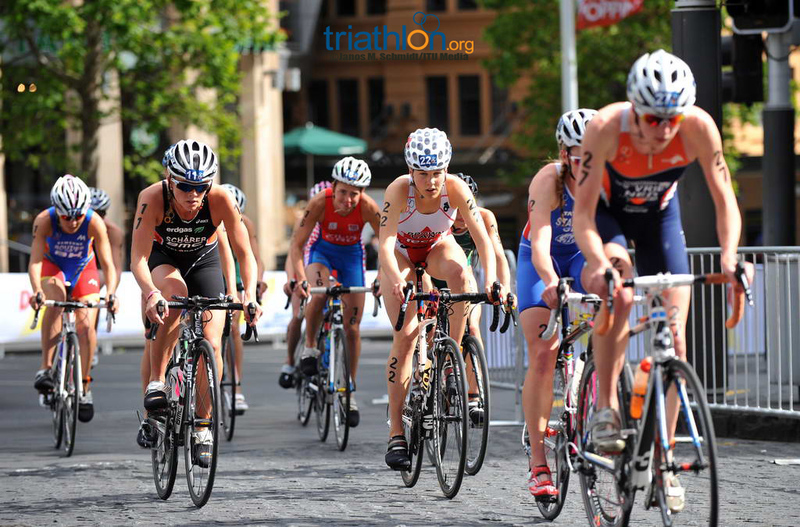 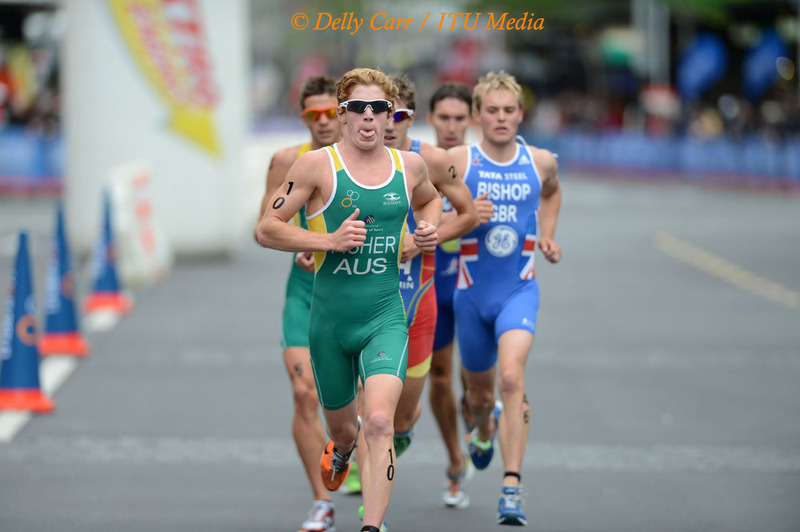 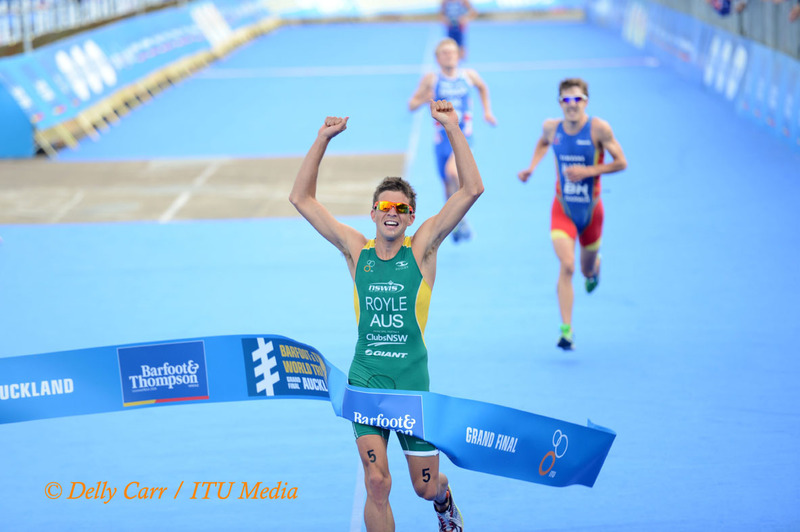 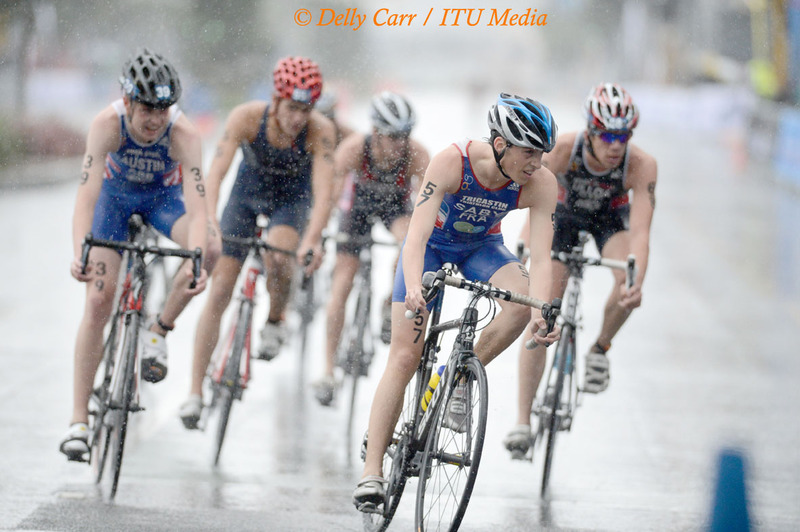 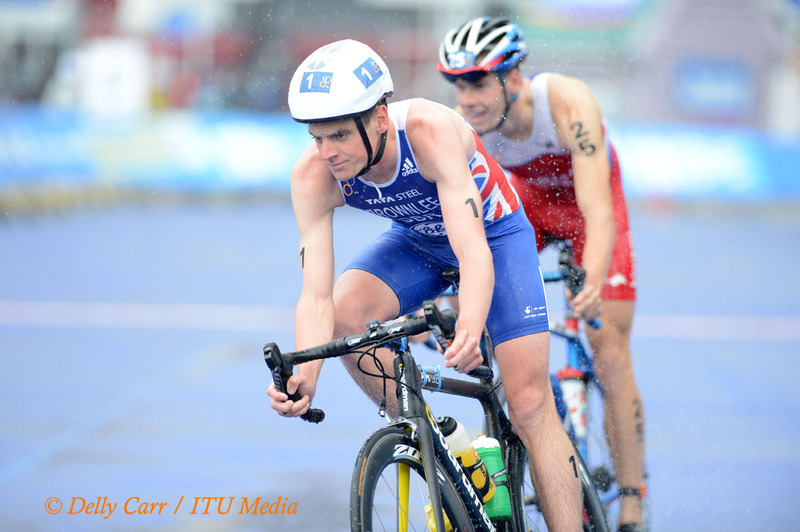 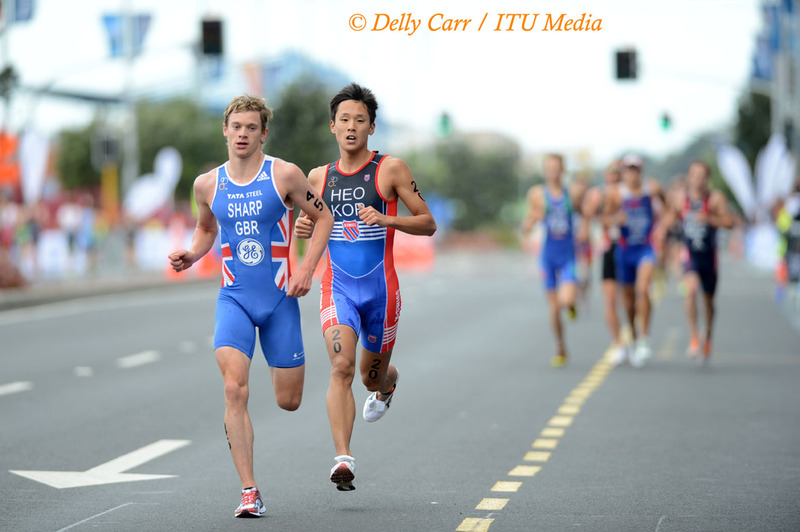 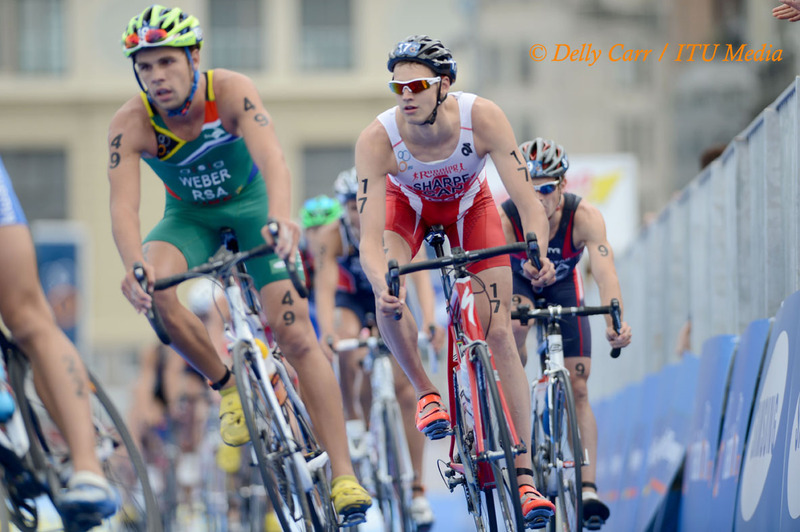 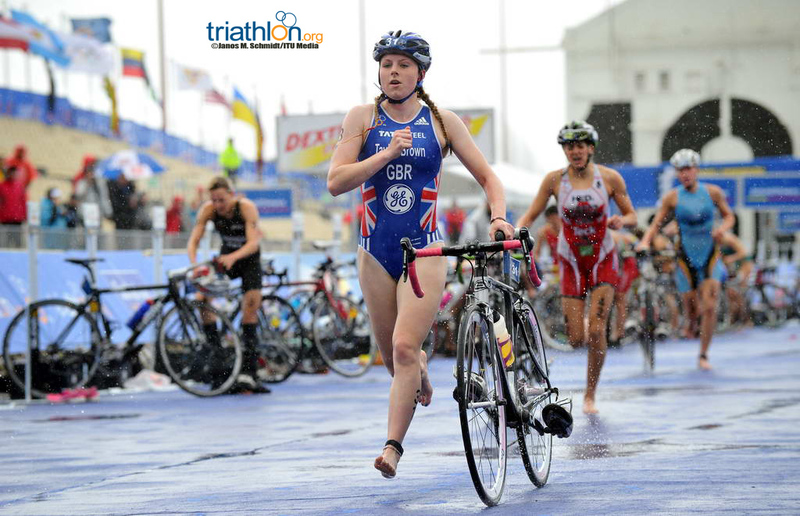 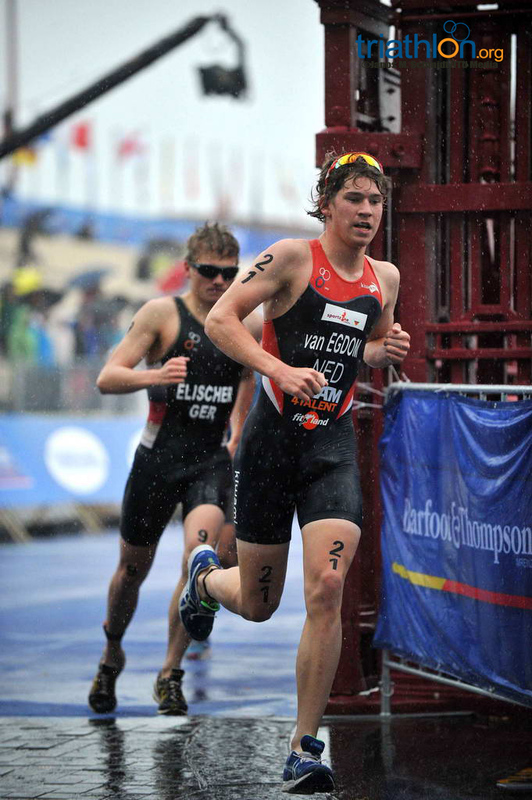 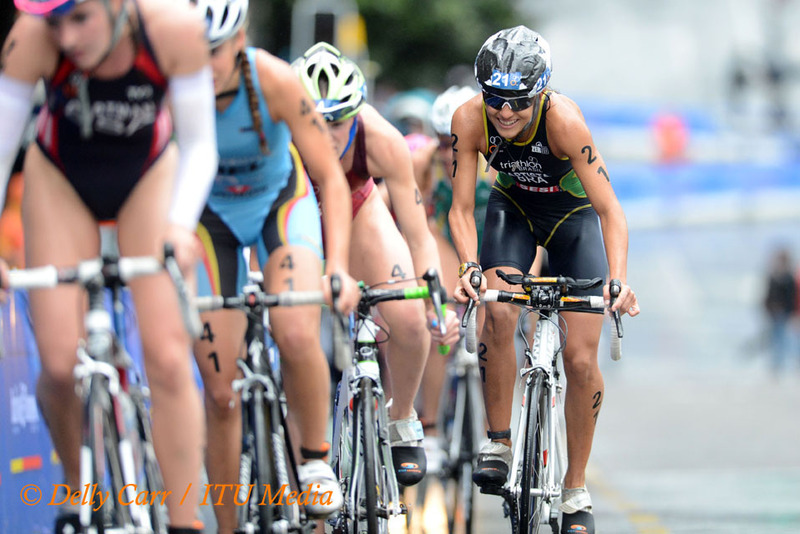 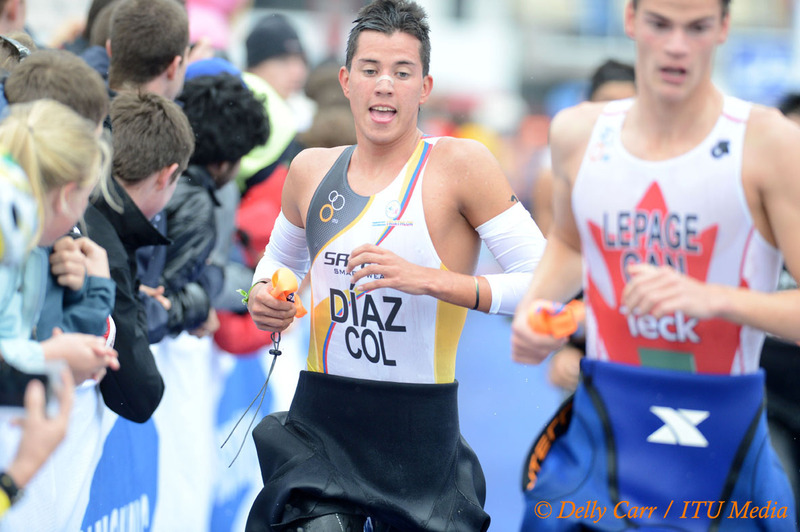 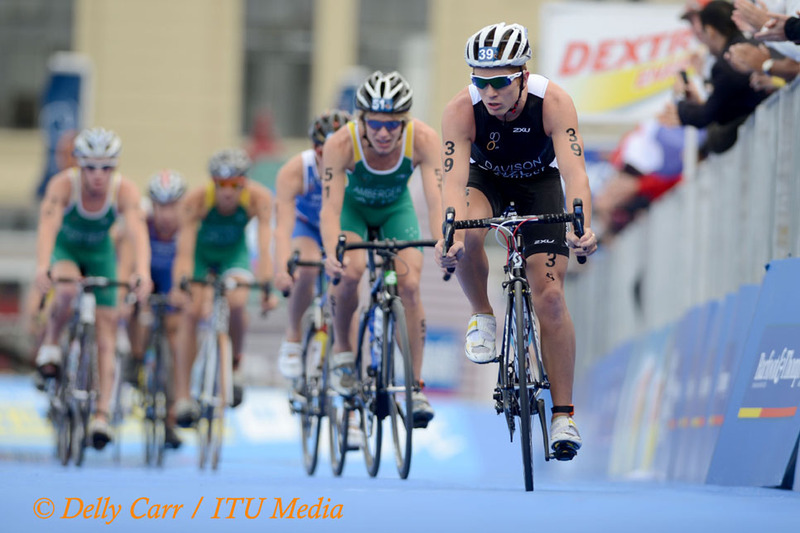 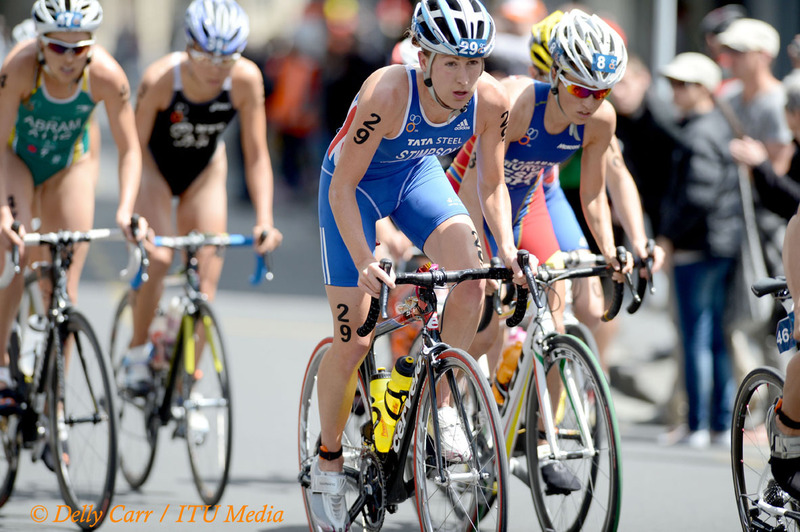 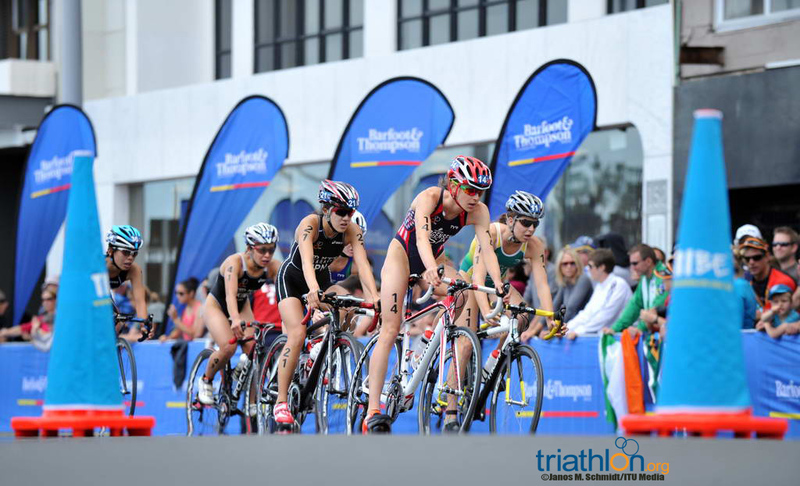 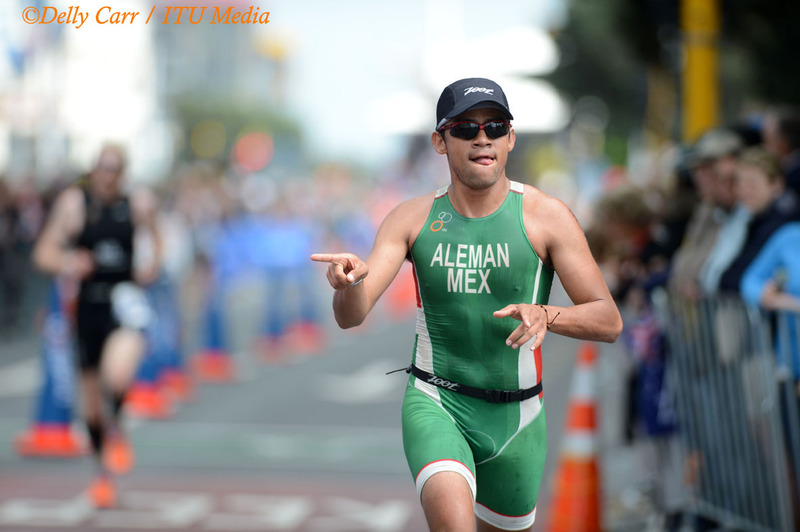 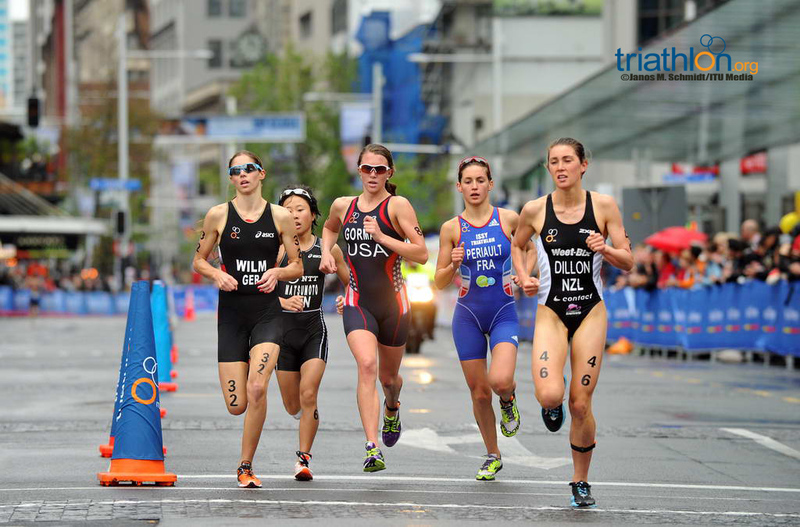 A number of familiar names fill the U23 women’s start list including Olympians and regulars on the ITU World Triathlon Series. 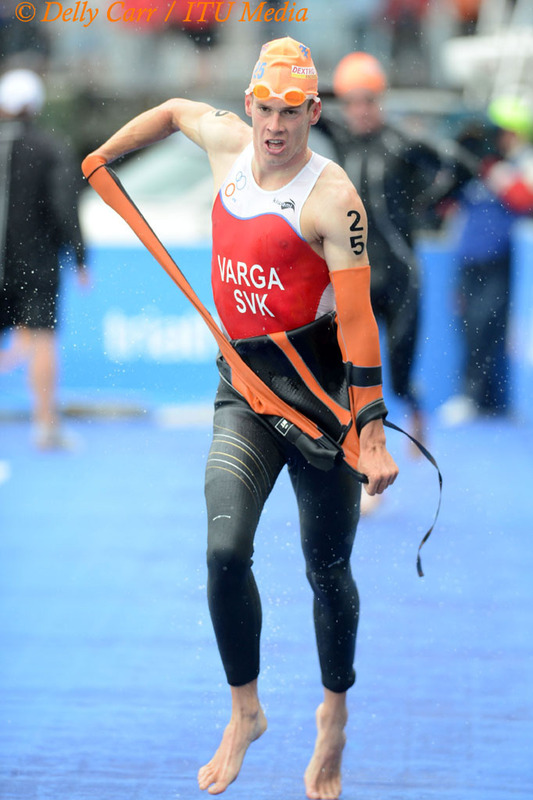 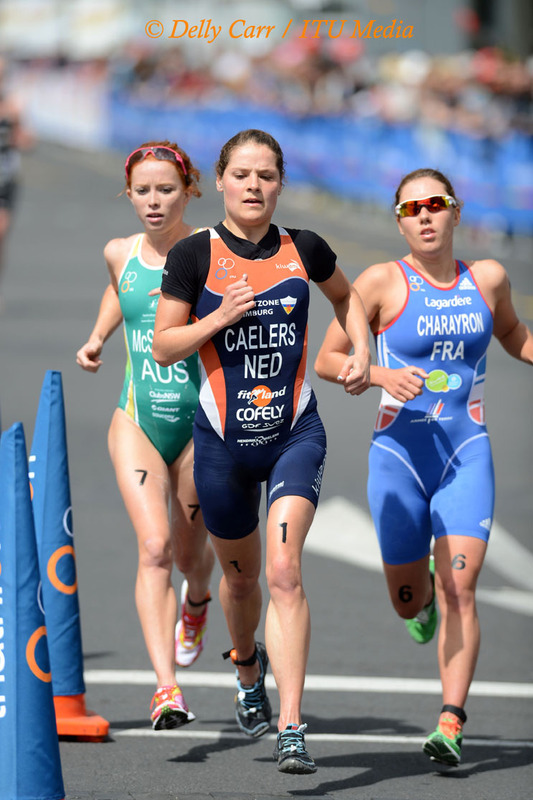 Wearing number one in the race will be rising Dutch star Maaike Caelers (NED), who stormed the podium in the last two ITU World Triathlon Series races. 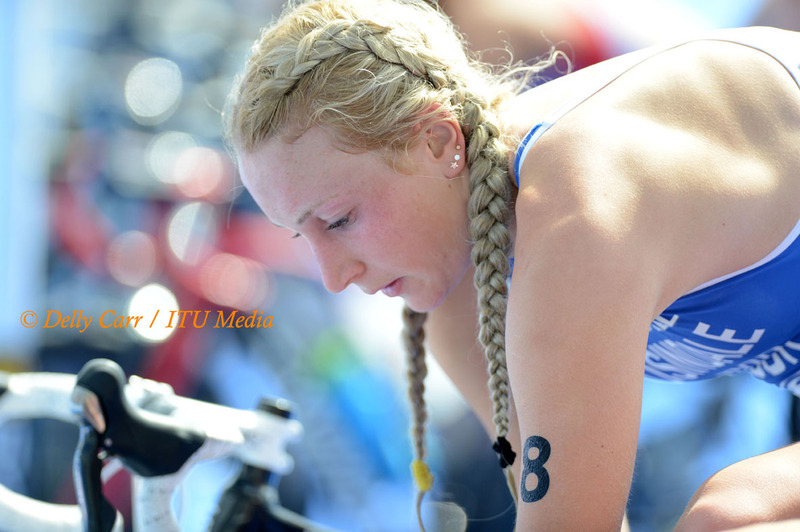 Caelers has been on fire in the last half of her season with silver in Tiszaujvaros, her first Olympic appearance in London, silver in Stockhom and bronze in Yokohama. 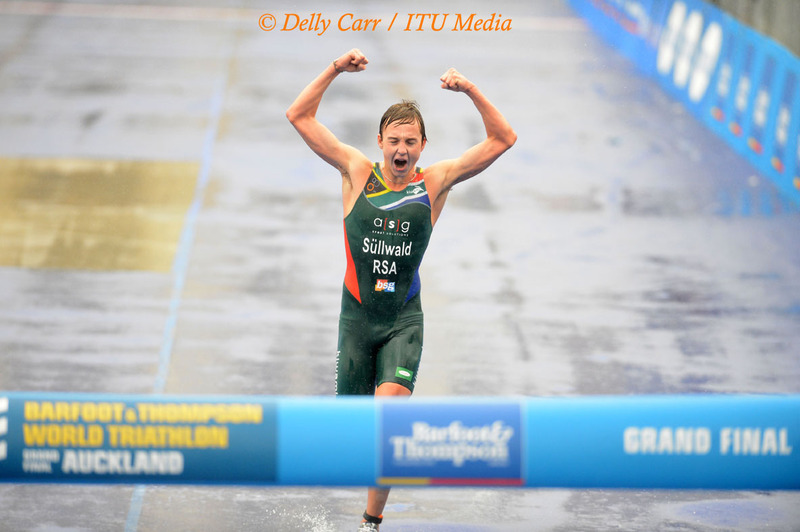 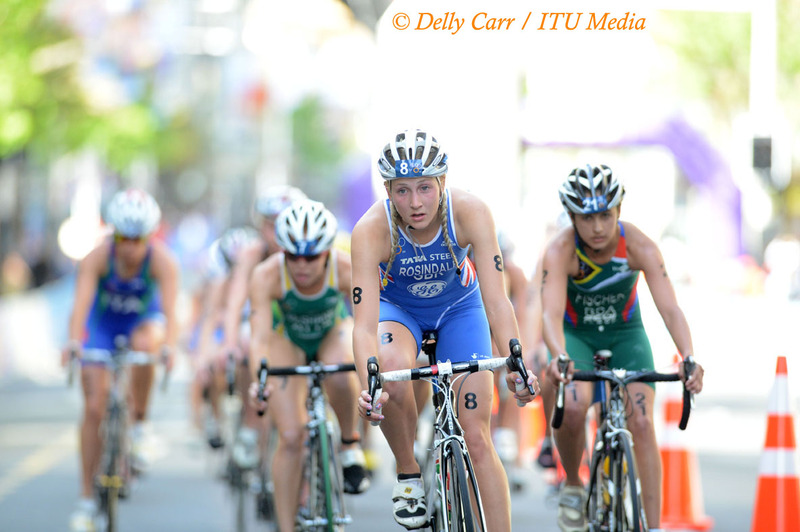 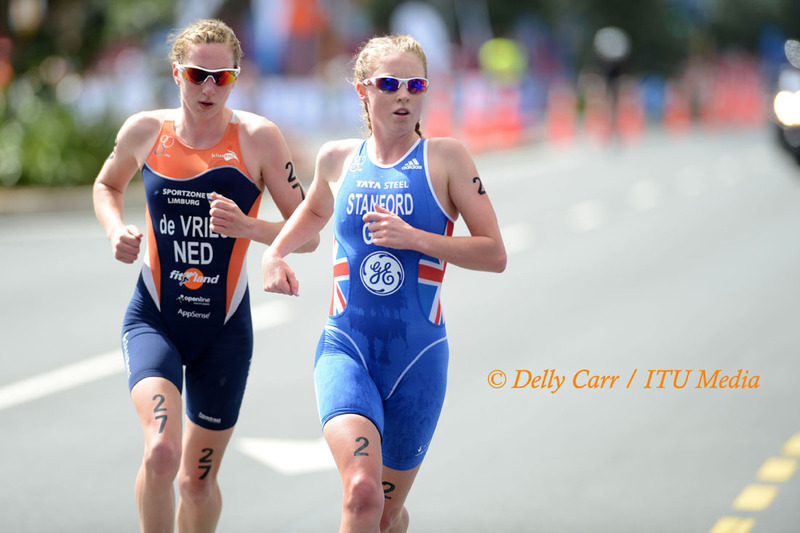 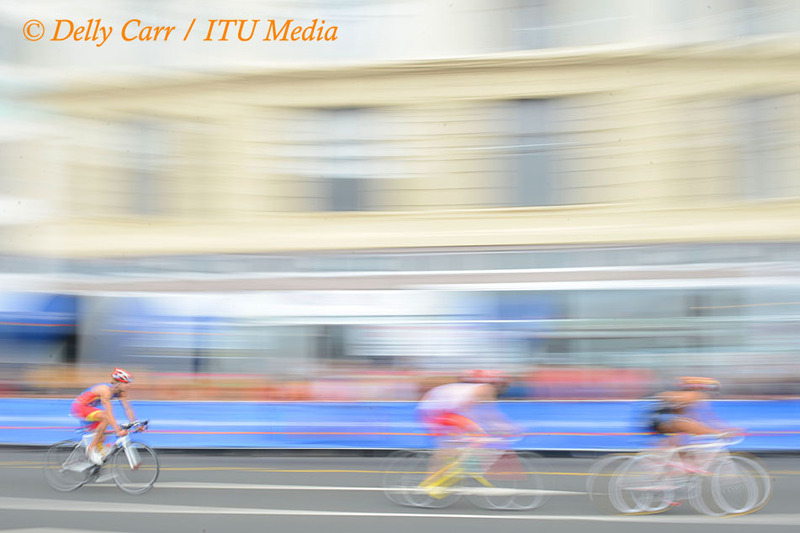 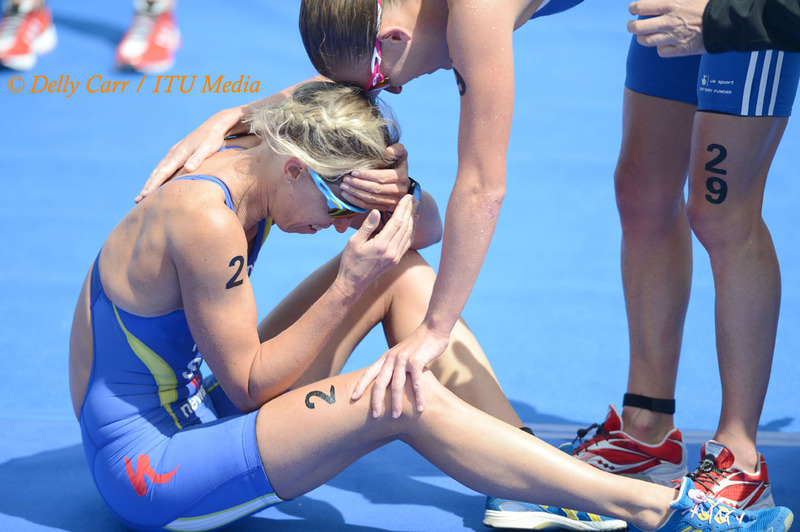 A swift runner, Caelers will need to keep the contingency in sight on the swim if she wants to become the first Dutch U23 World Champion in ITU history. 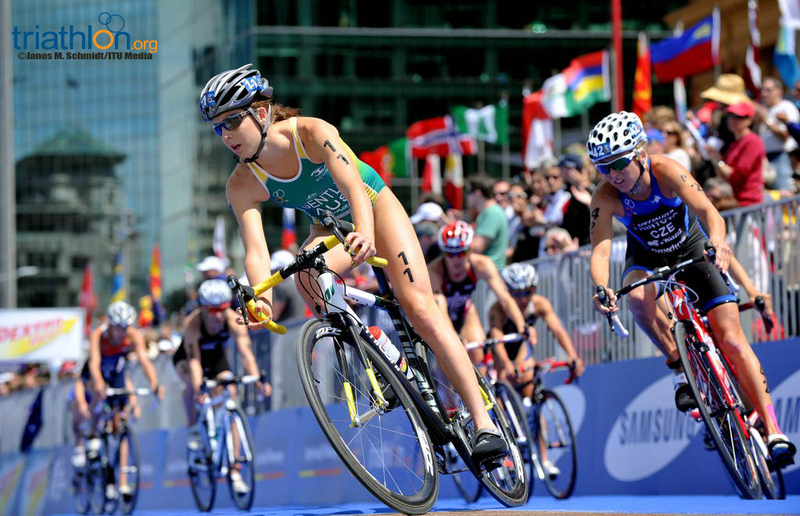 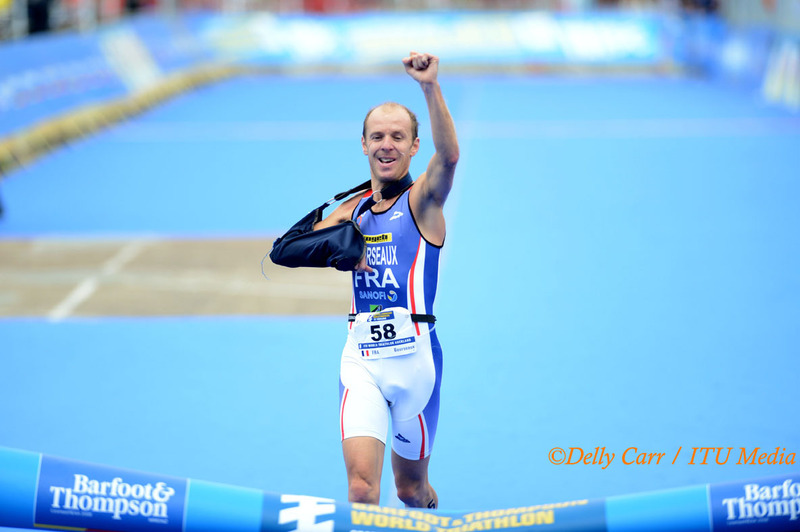 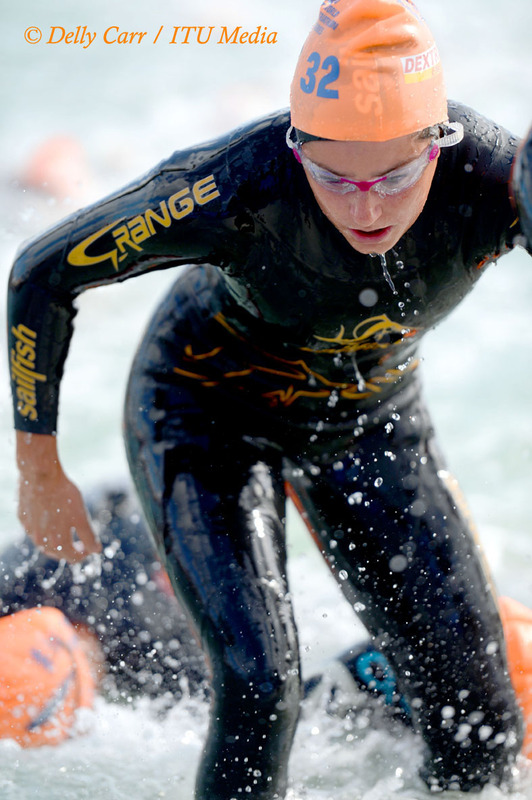 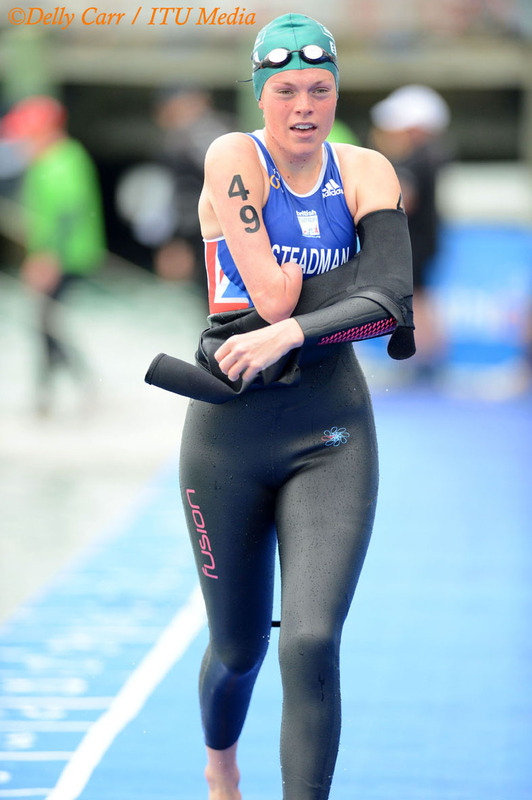 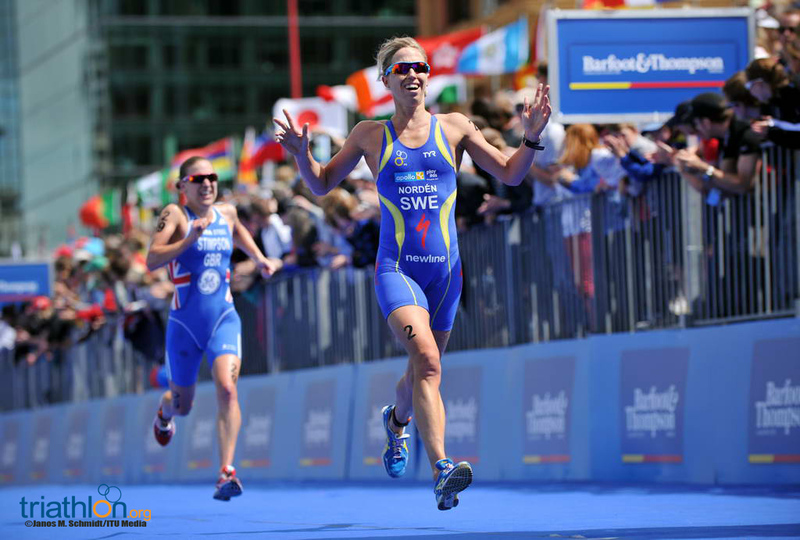 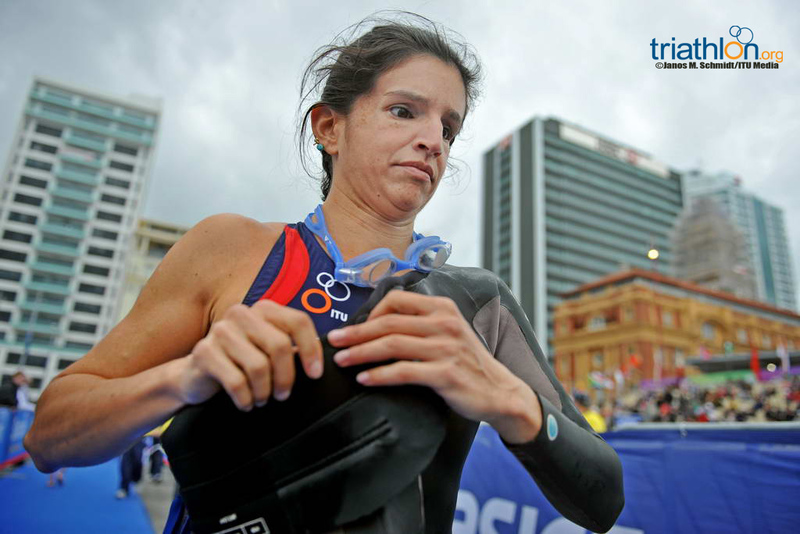 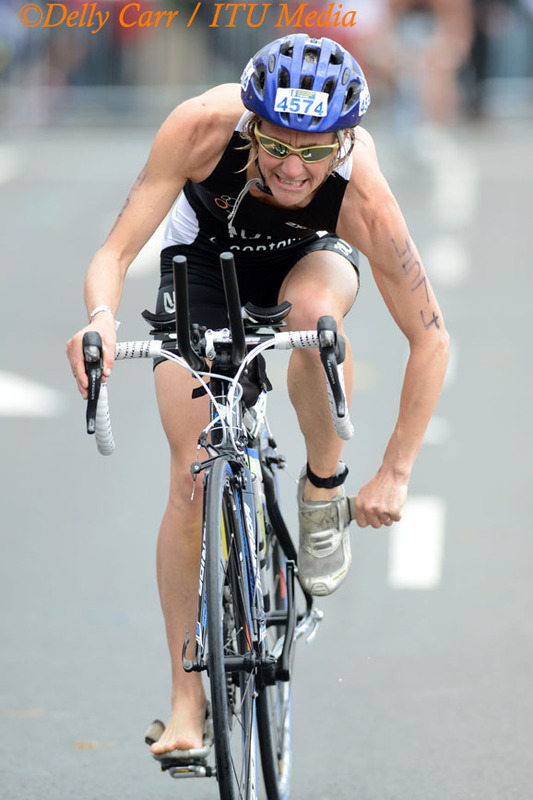 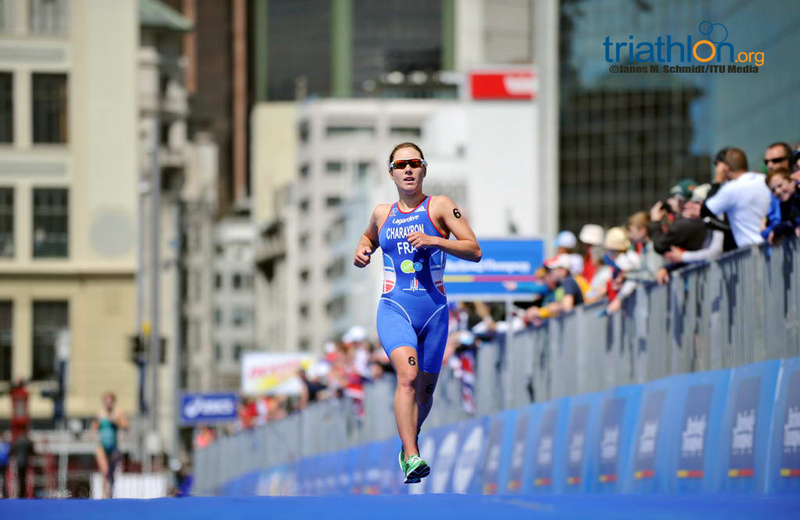 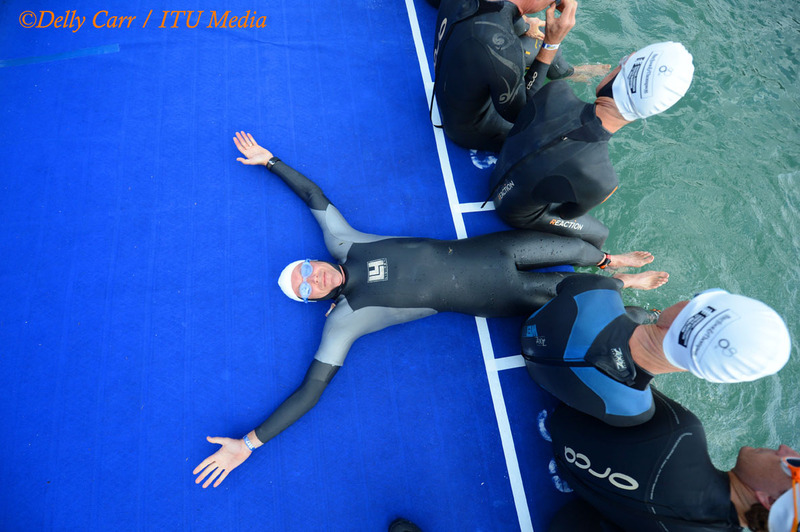 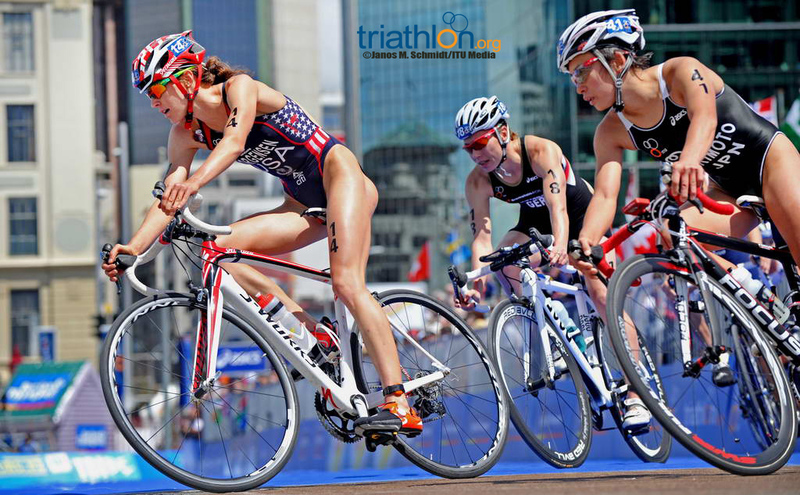 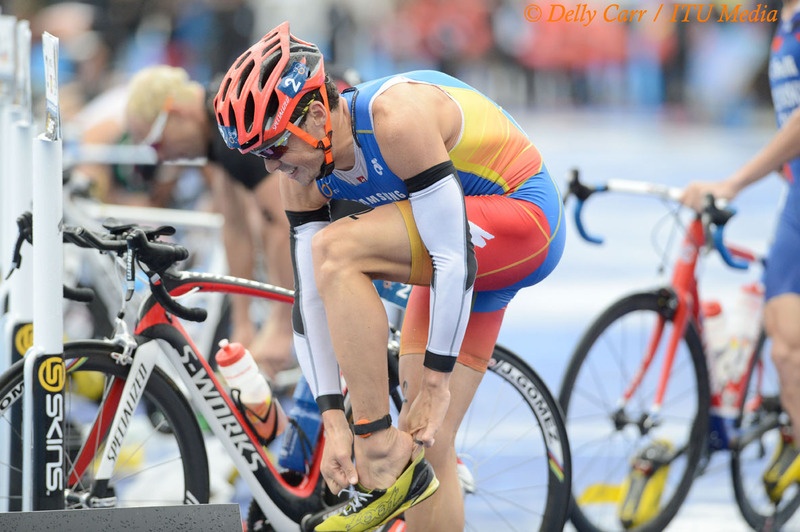 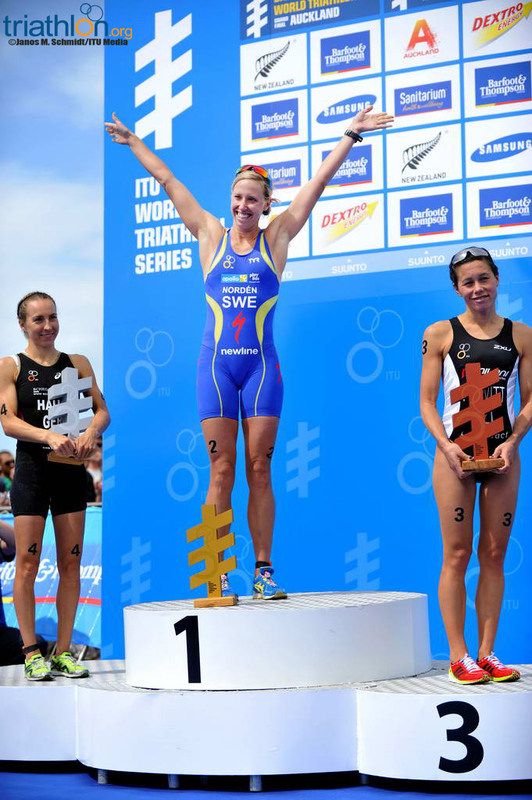 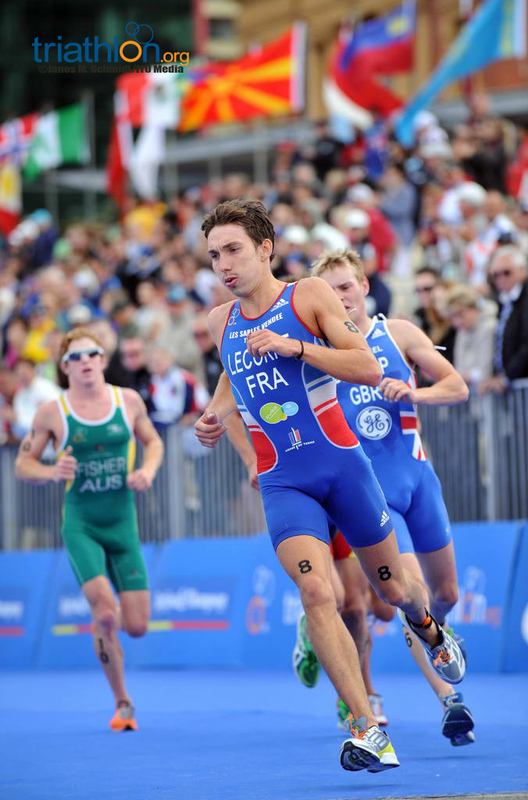 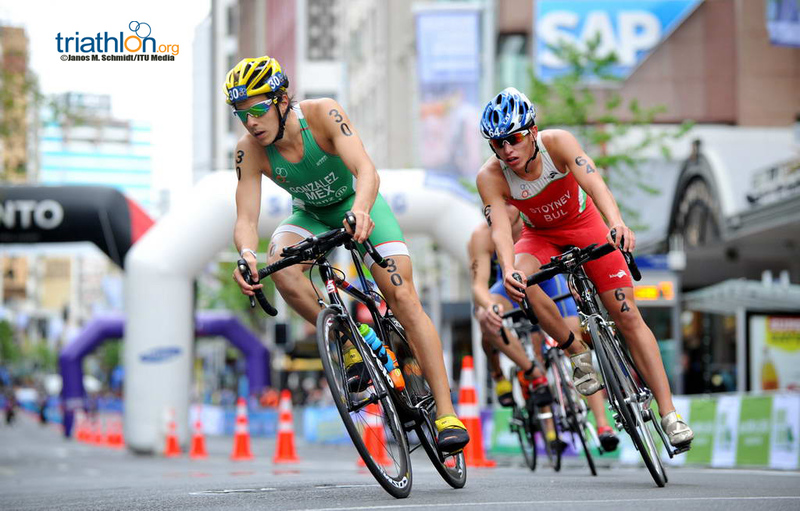 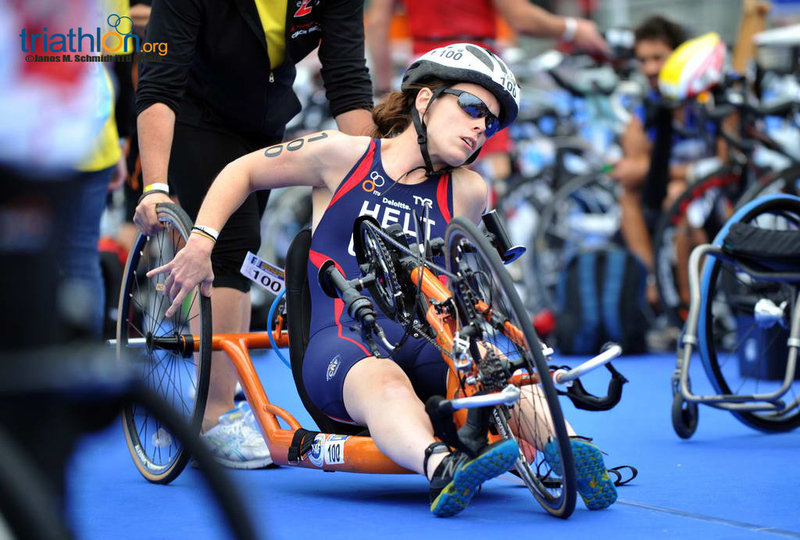 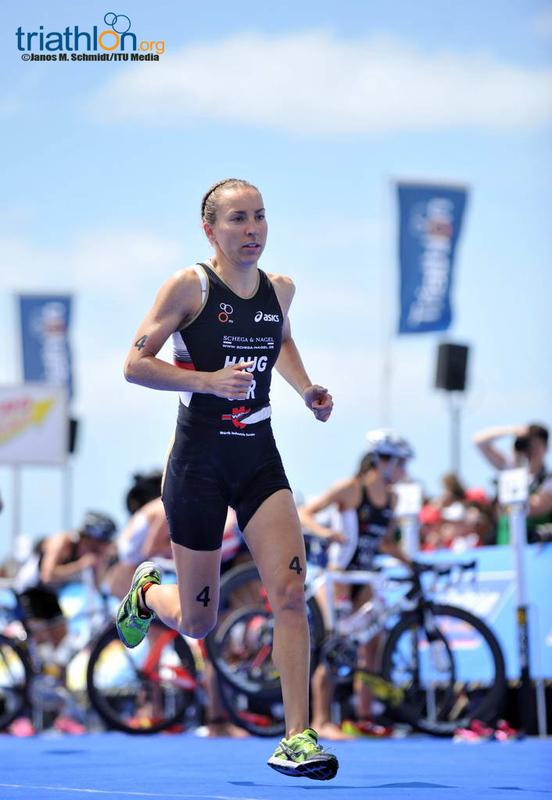 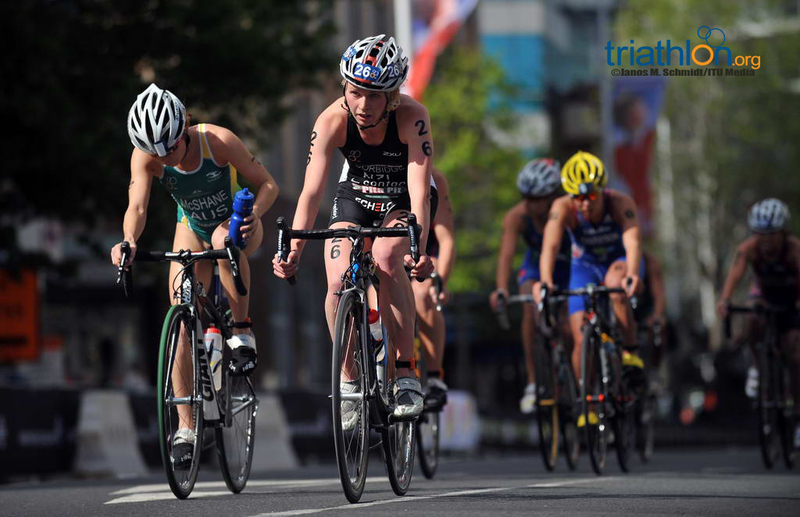 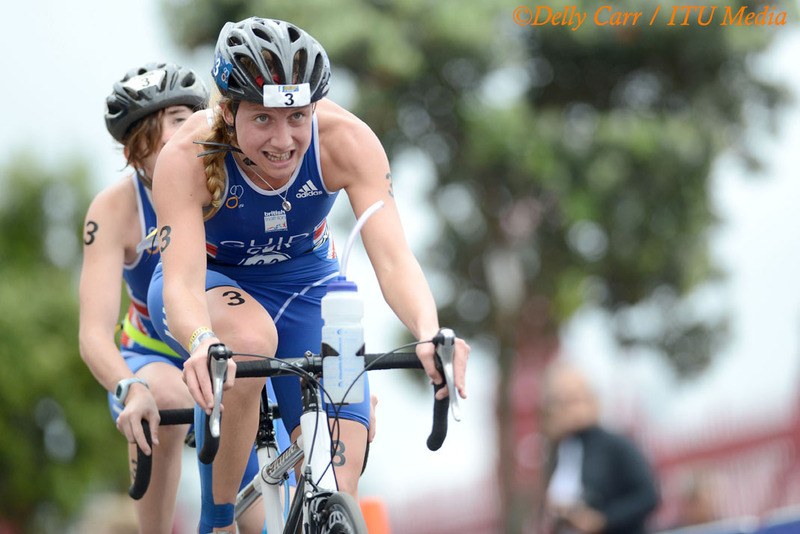 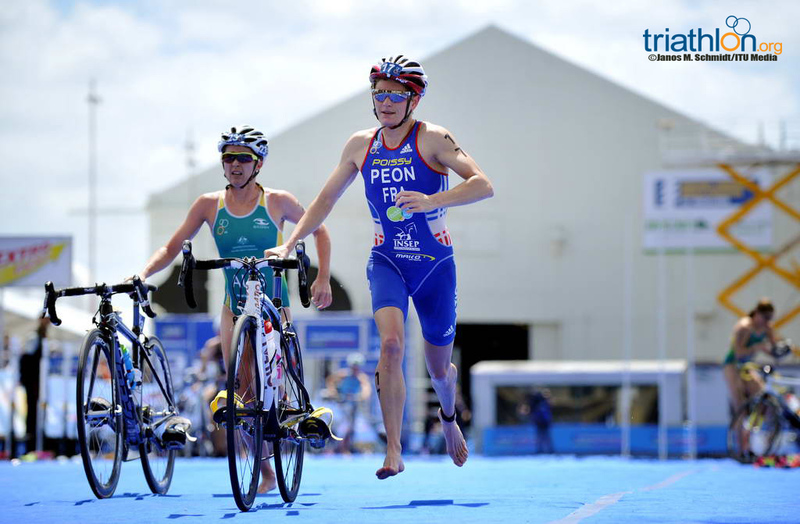 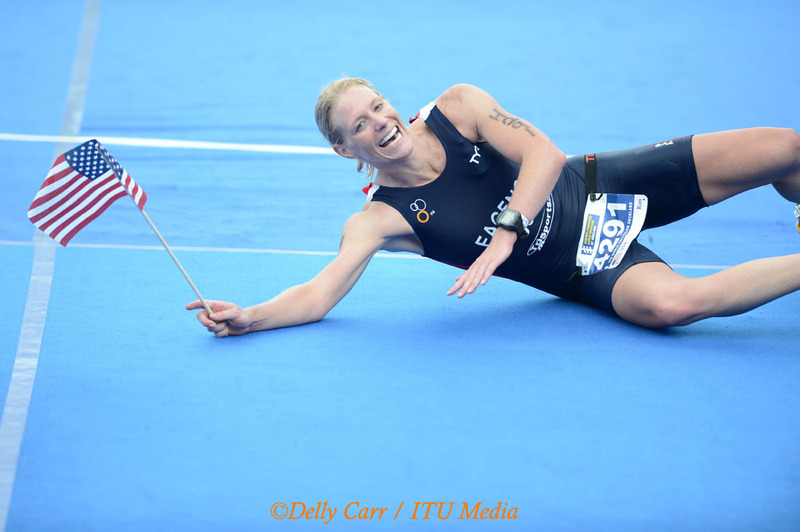 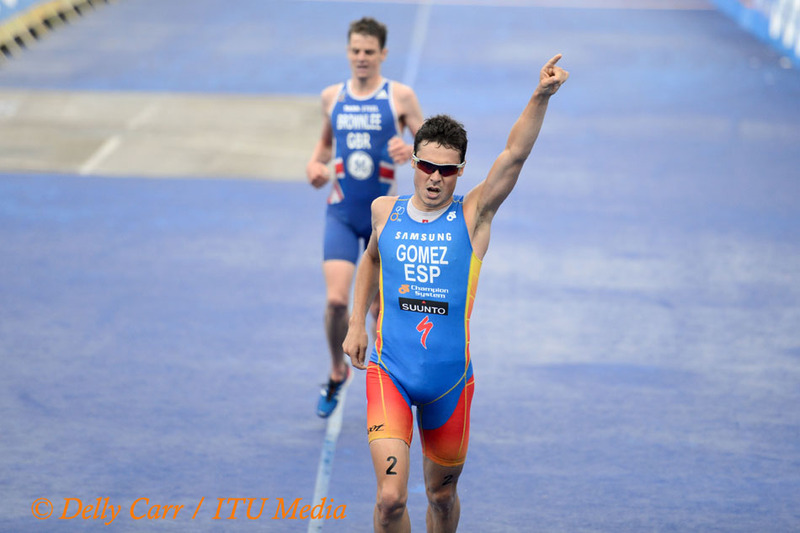 Many eyes will also be focused on Emmie Charayron (FRA), who has already had plenty of success at the elite level, winning the 2010 European championships plus bronze this year, and twice been on the podium at the Madrid round of the ITU World Triathlon Series. 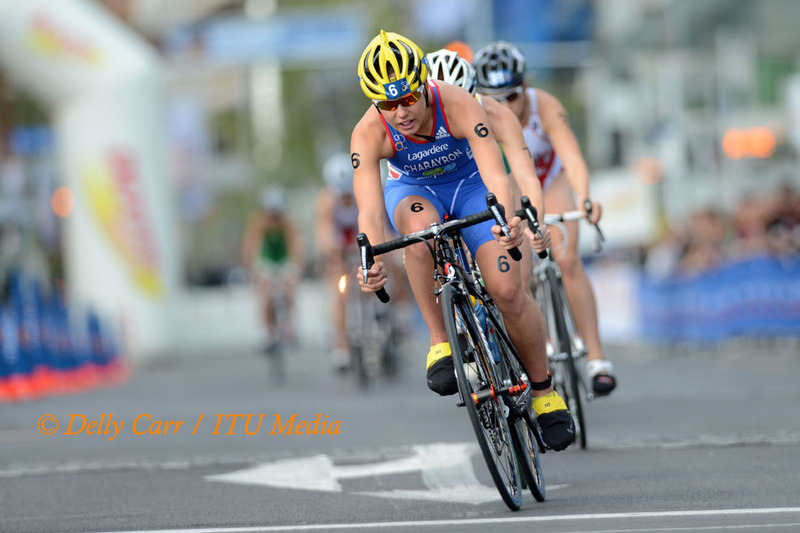 She has proven to deliver at the World Championships as well, having won gold as a junior in 2009 and U23 bronze in 2010. 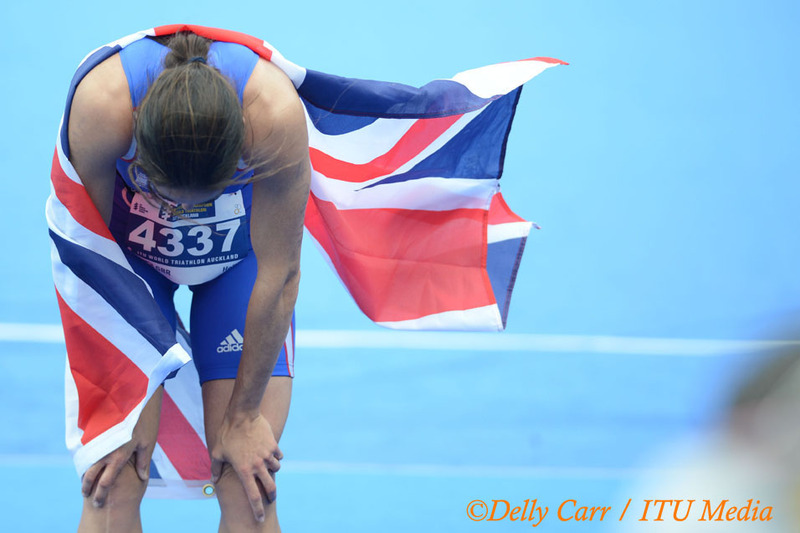 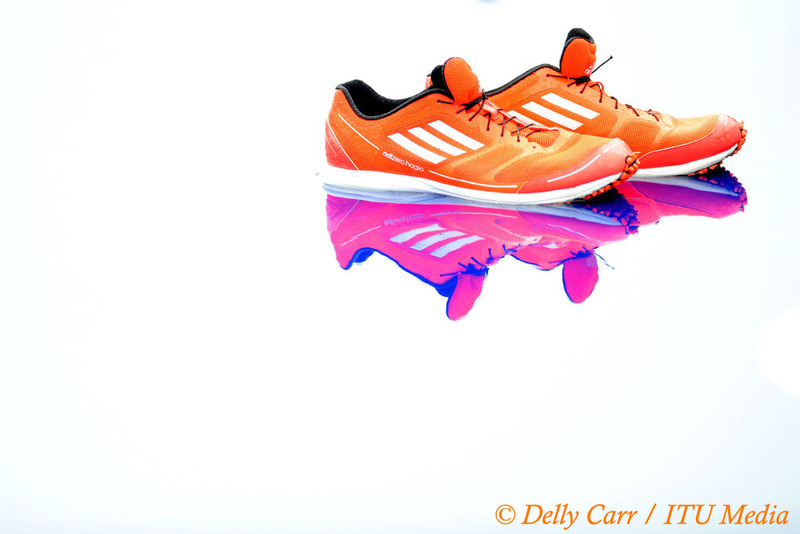 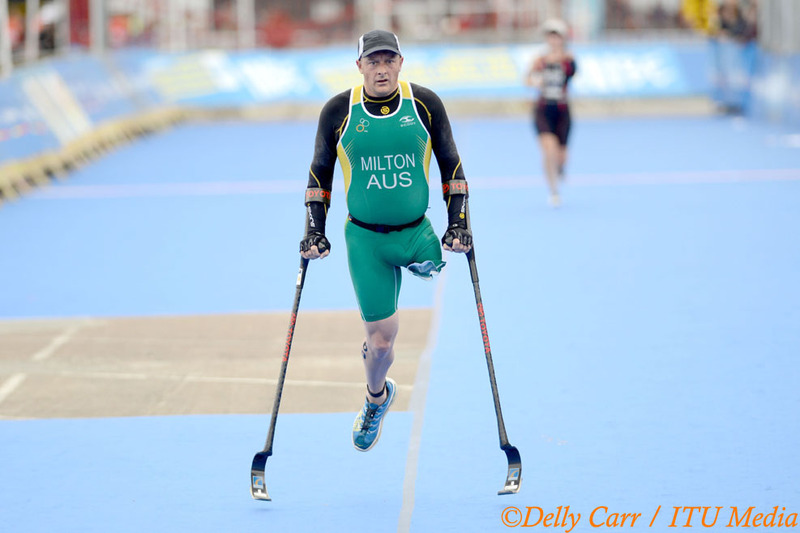 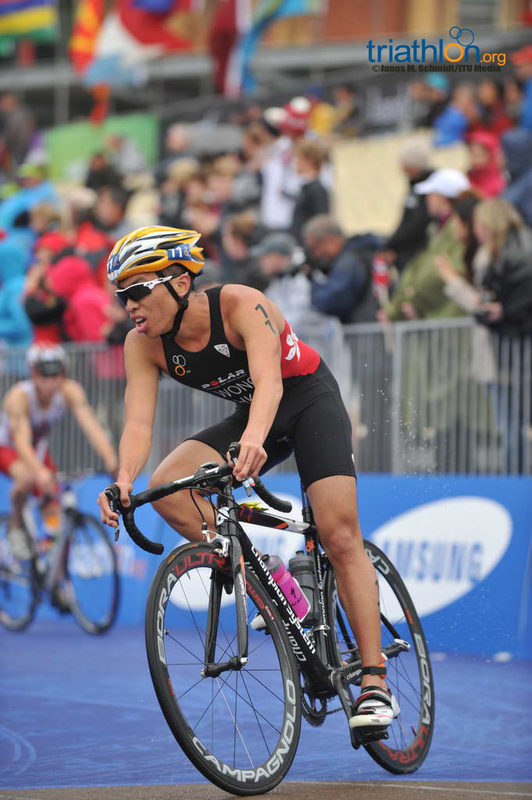 She brings with her a wealth of experience, including a start at the London Olympic Games. 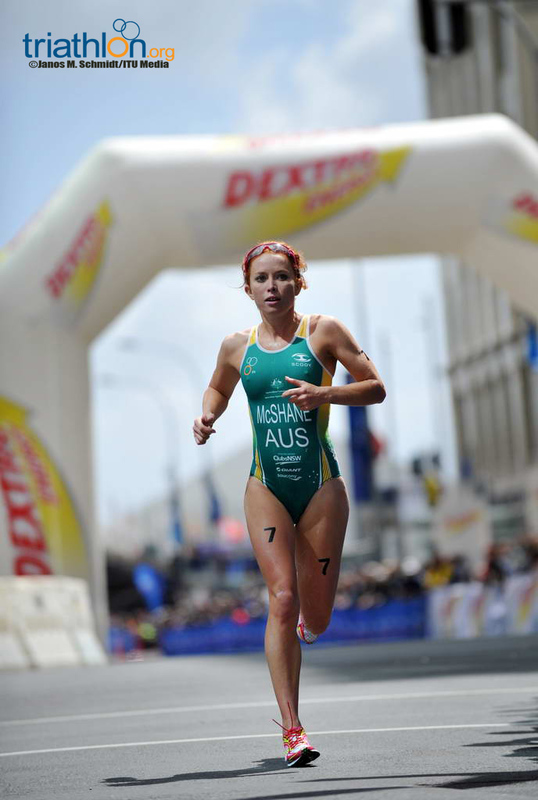 One of the sport’s top runners, she could rival Caelers down the finish chute. 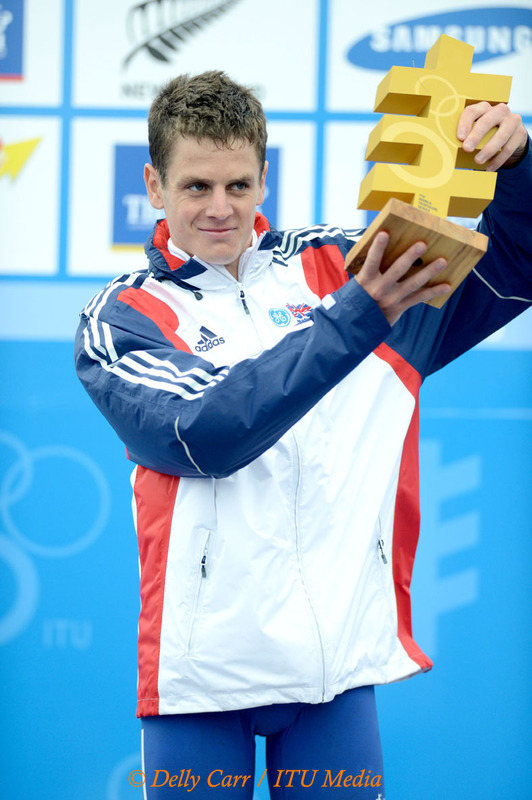 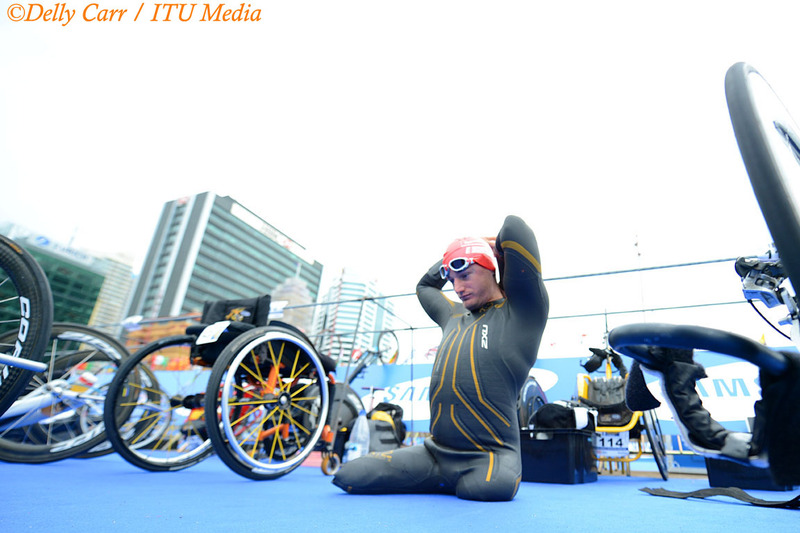 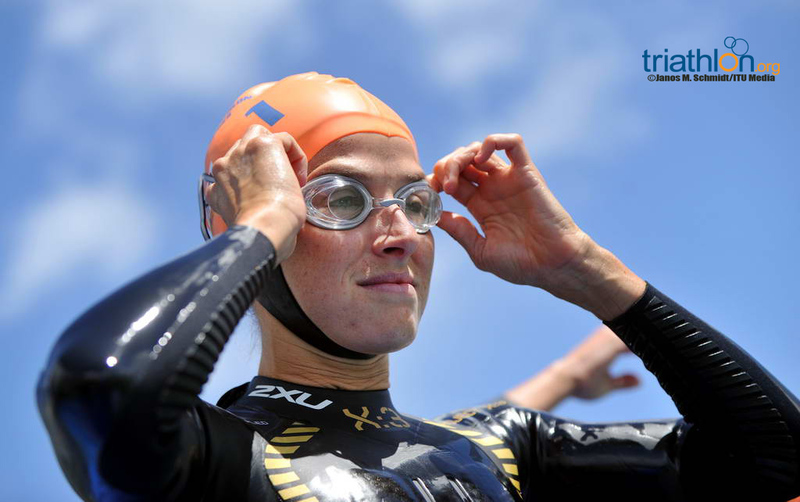 Olympian Lucy Hall (GBR), known for her exceptional swimming, will no doubt set the pace in the water and exit the 1.5km swim first, just as she has done at the Olympic Games and previous WTS races. 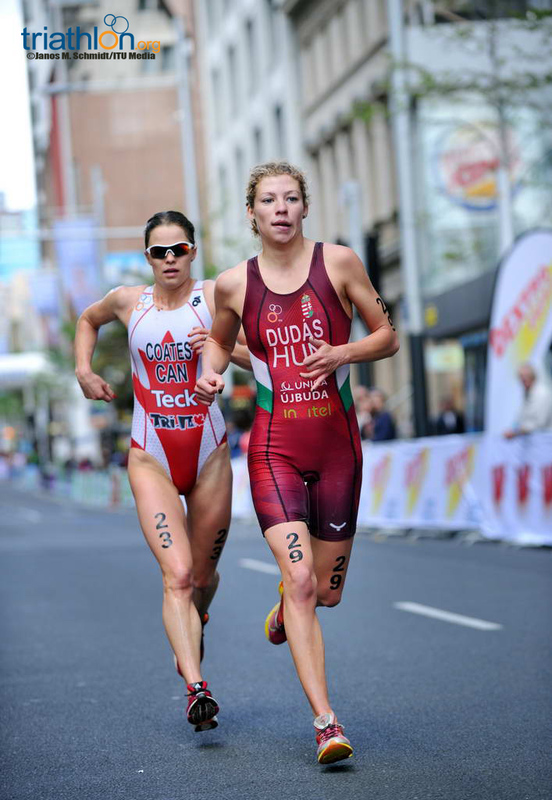 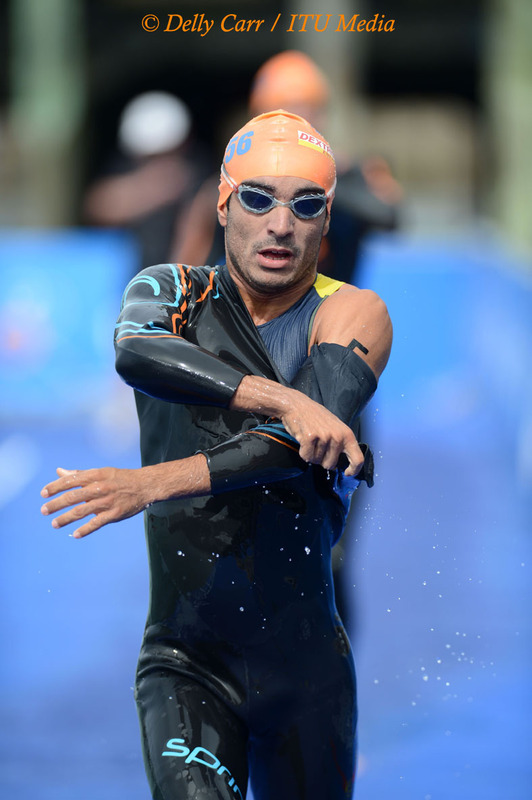 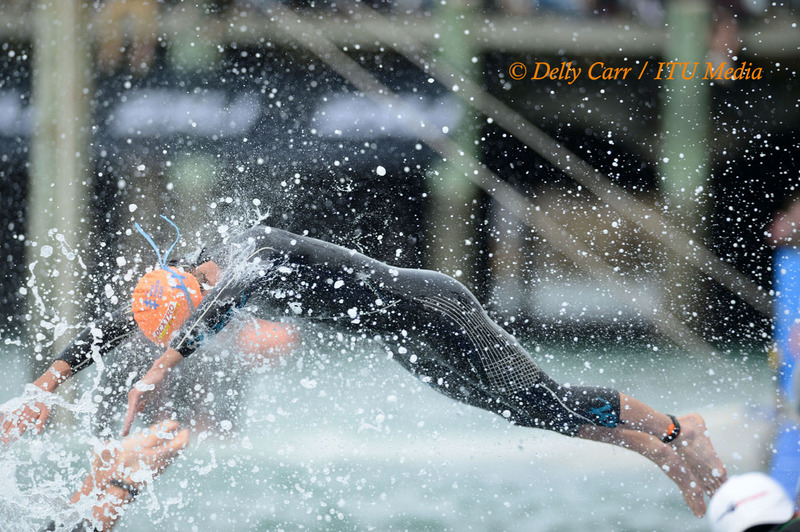 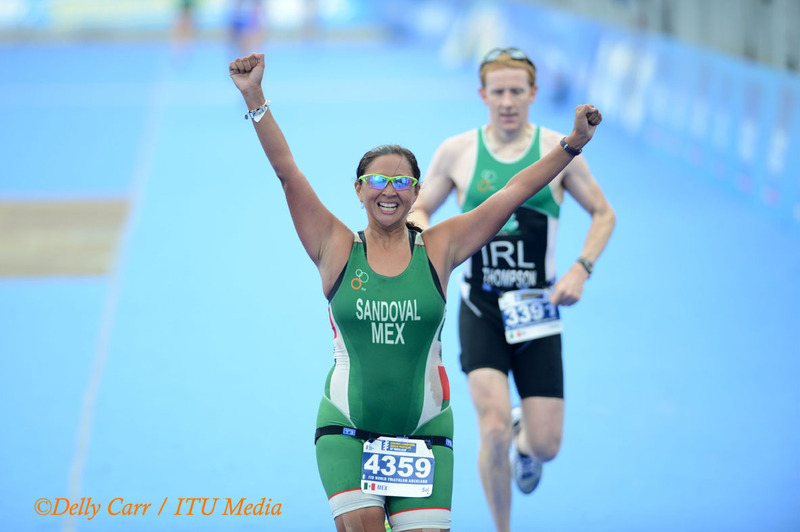 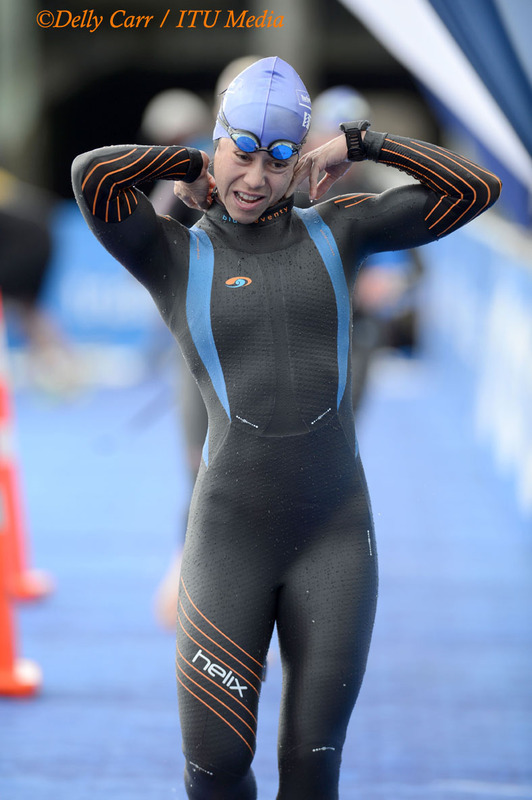 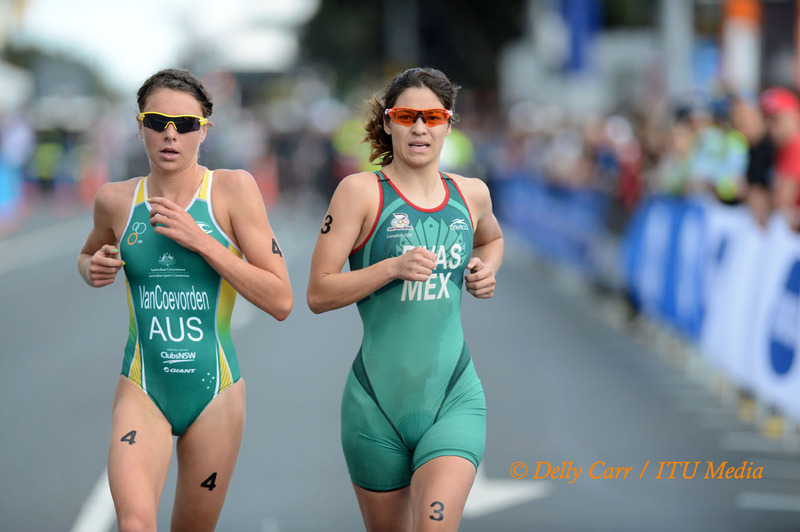 Look for Claudia Rivas (MEX) to also push the pace on the swim, much like at the Huatulco and Cancun World Cups. 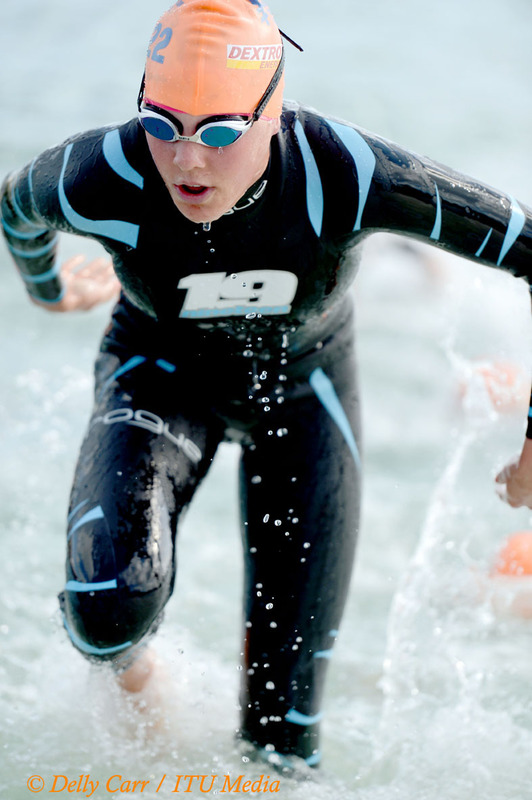 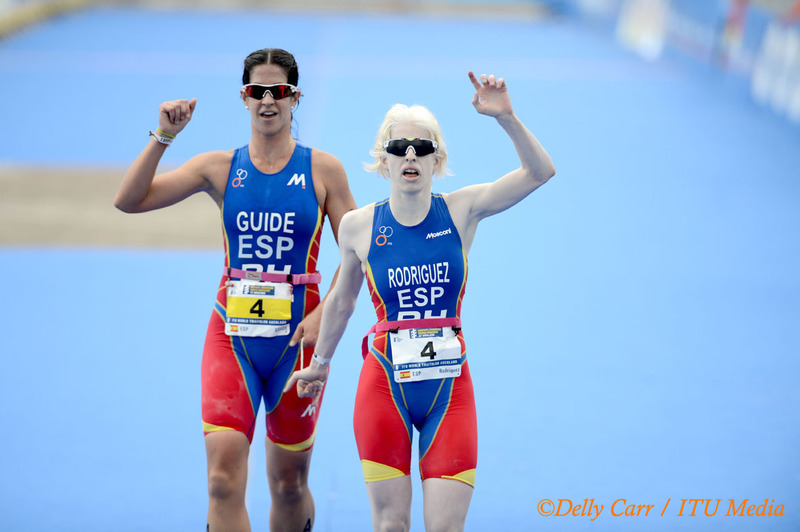 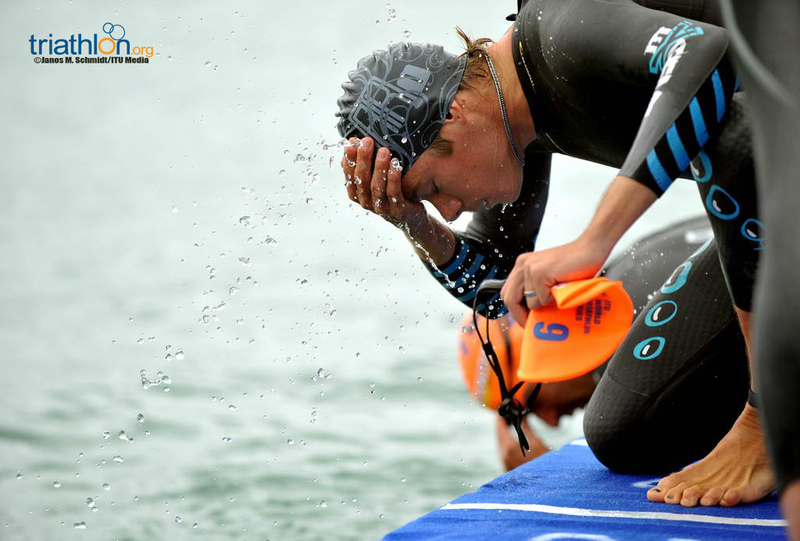 Carolina Routier (ESP) will also likely emerge from the swim among the leaders, as she was in Hamburg and Banyoles earlier this year. 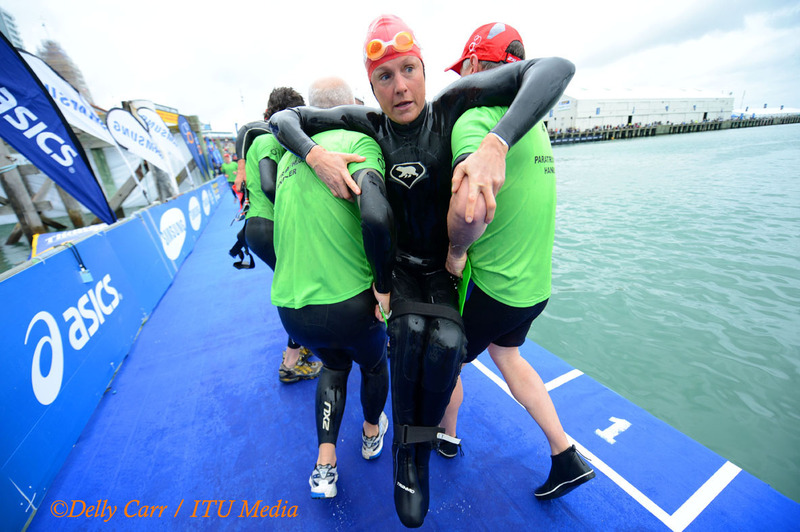 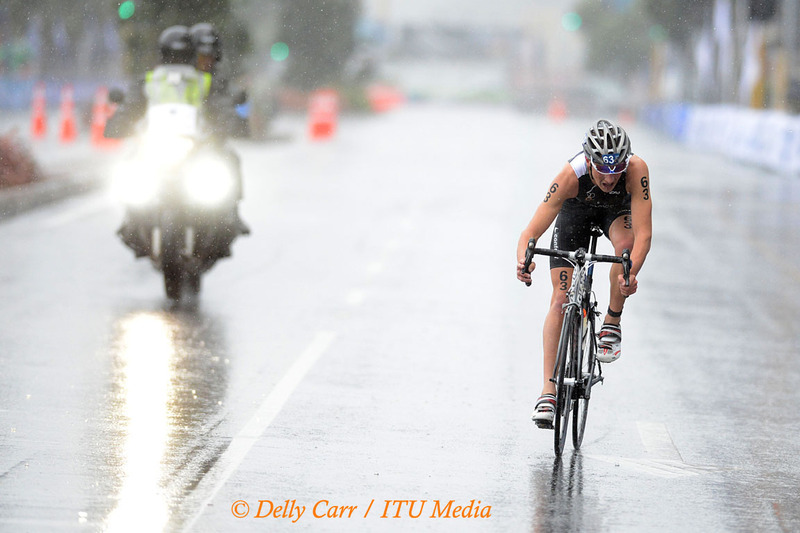 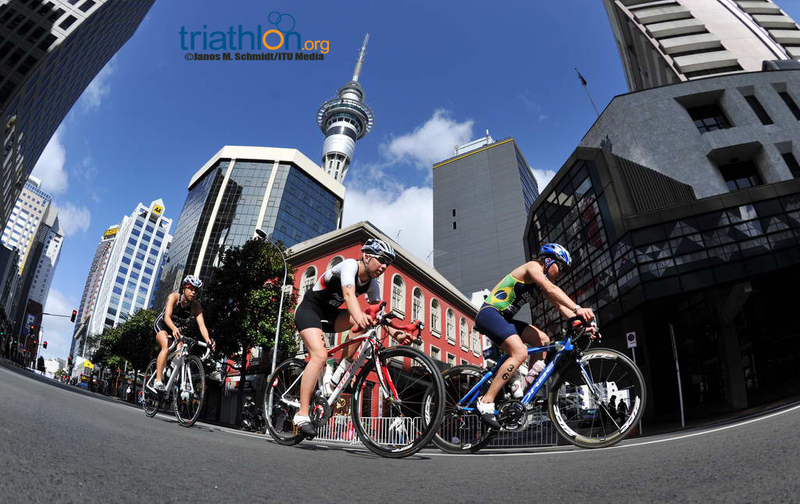 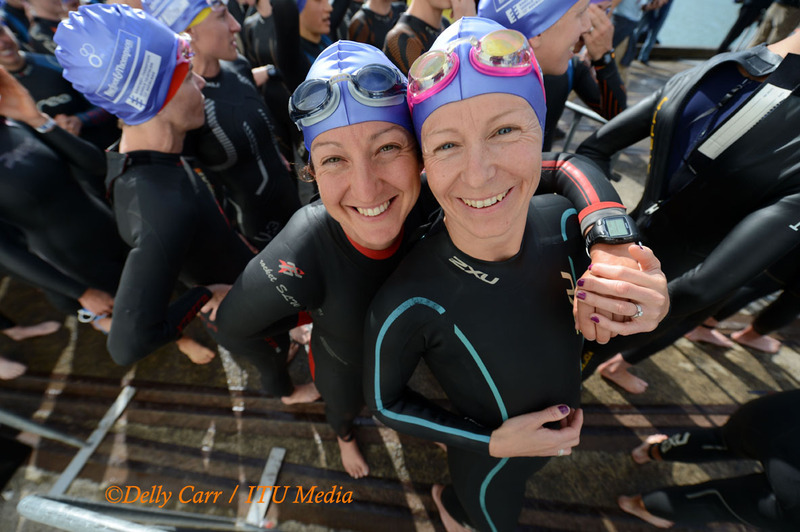 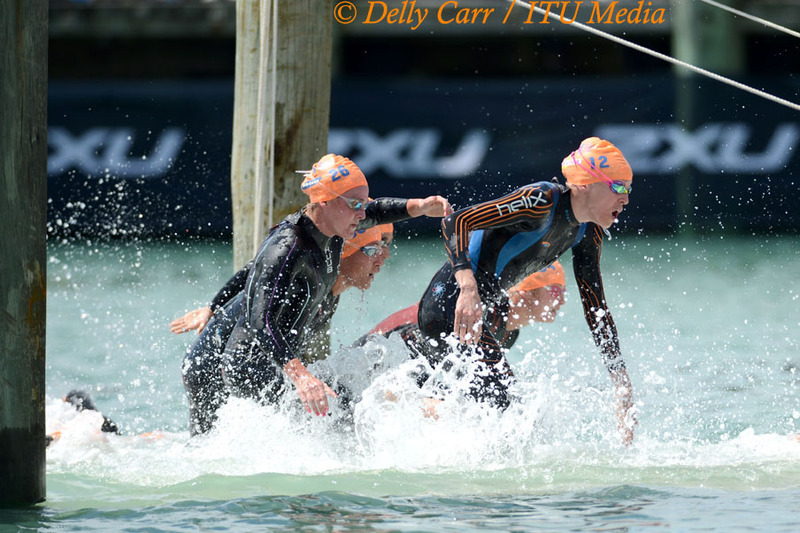 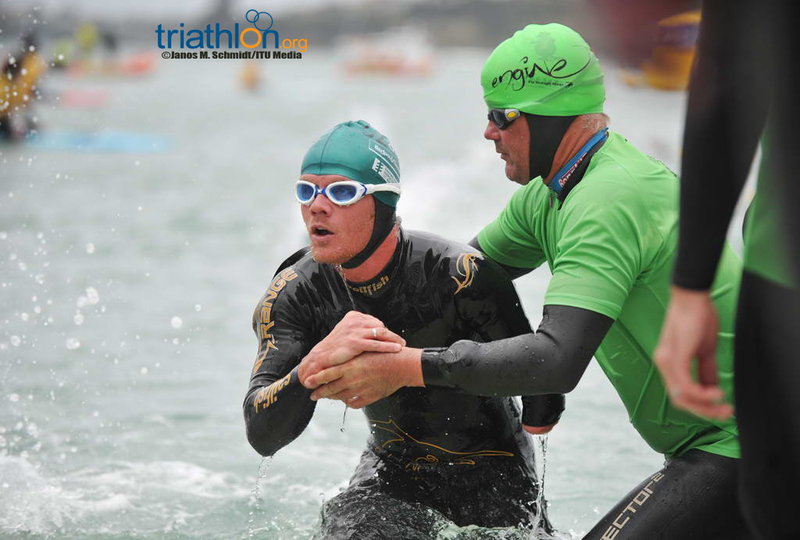 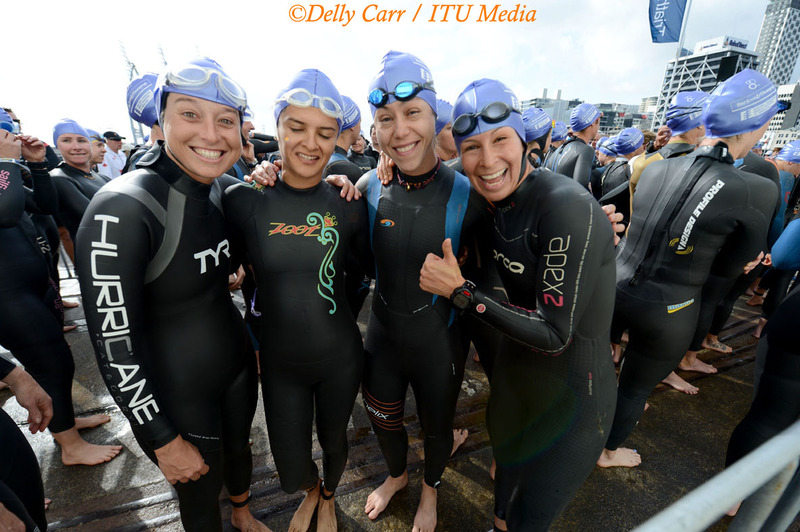 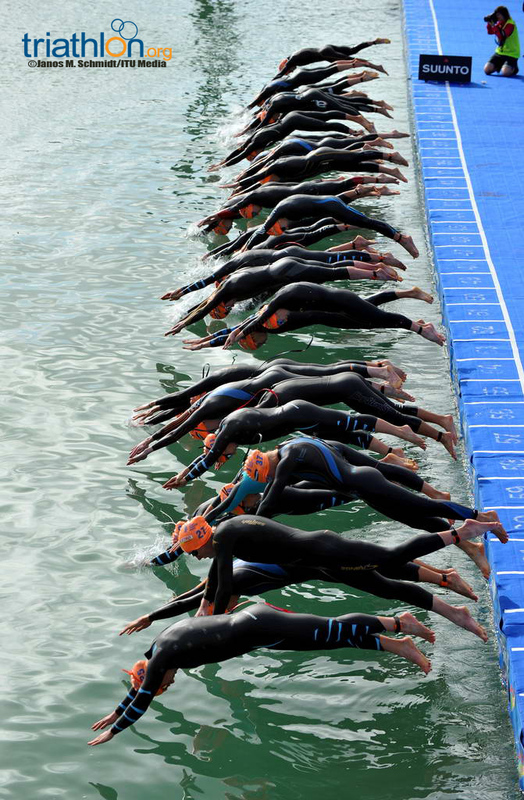 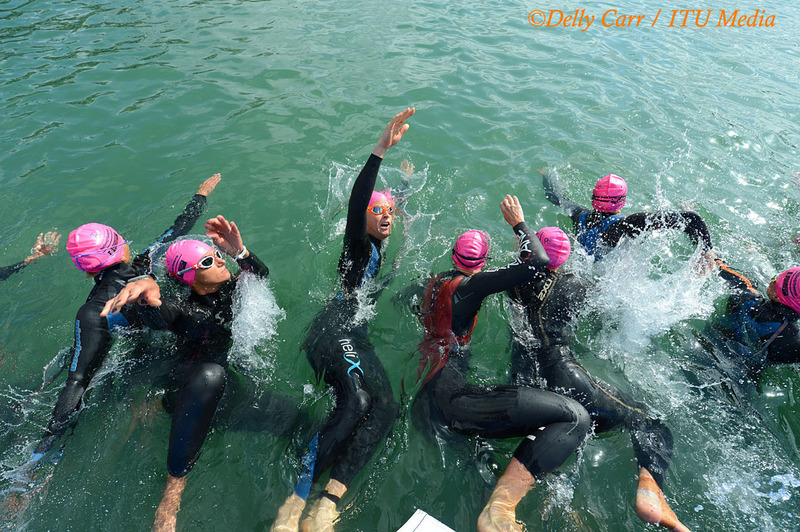 The ladies will need to work together for an exceptionally strong swim in Auckland if they want a chance leading on the testing bike course. 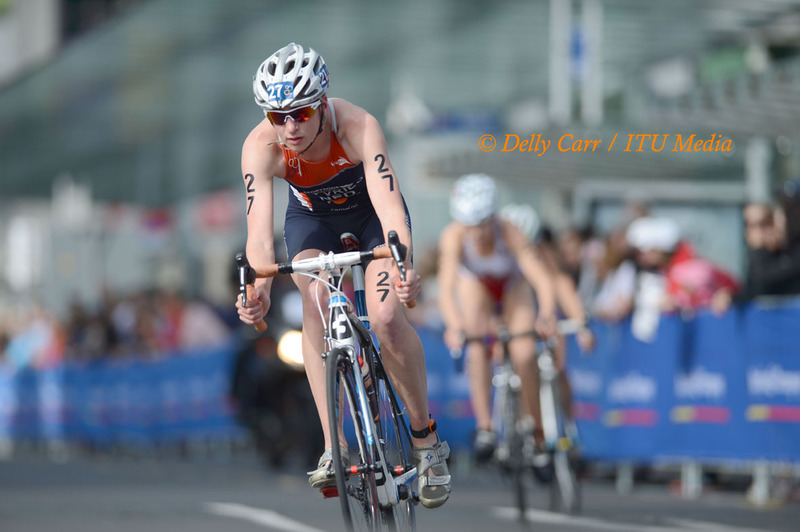 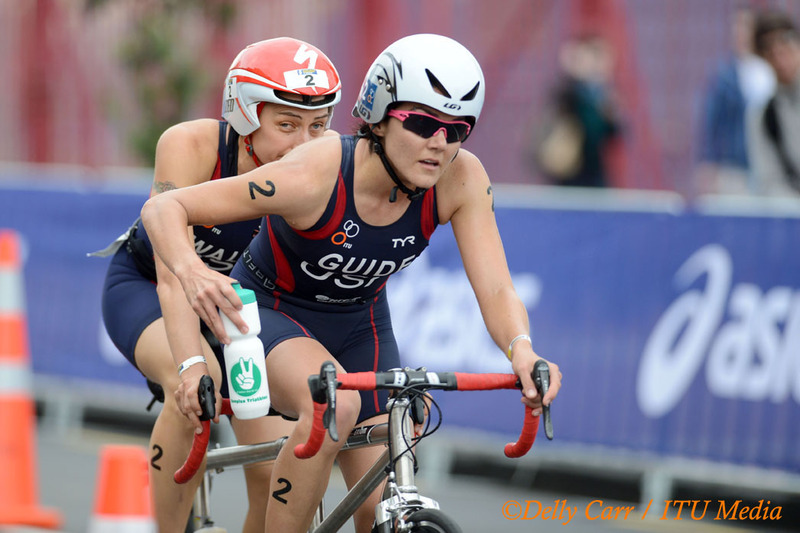 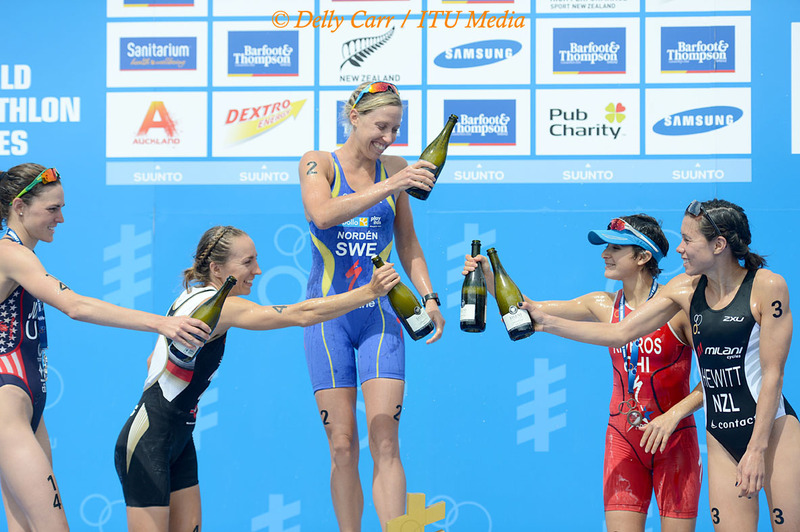 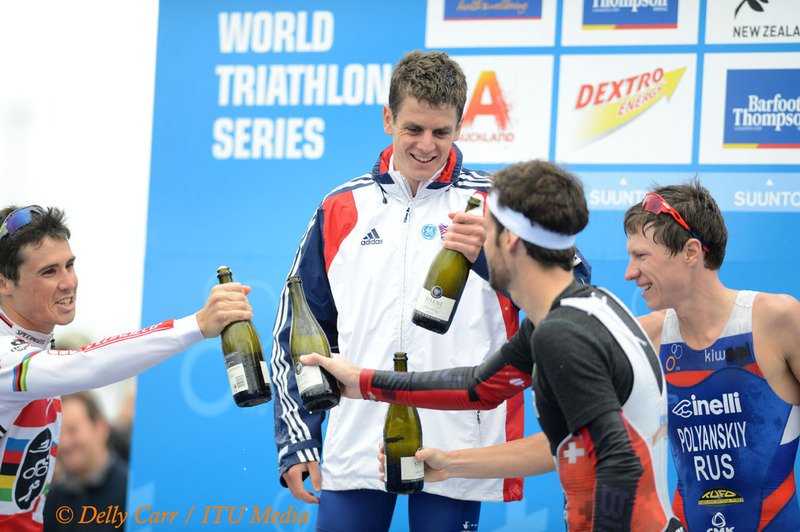 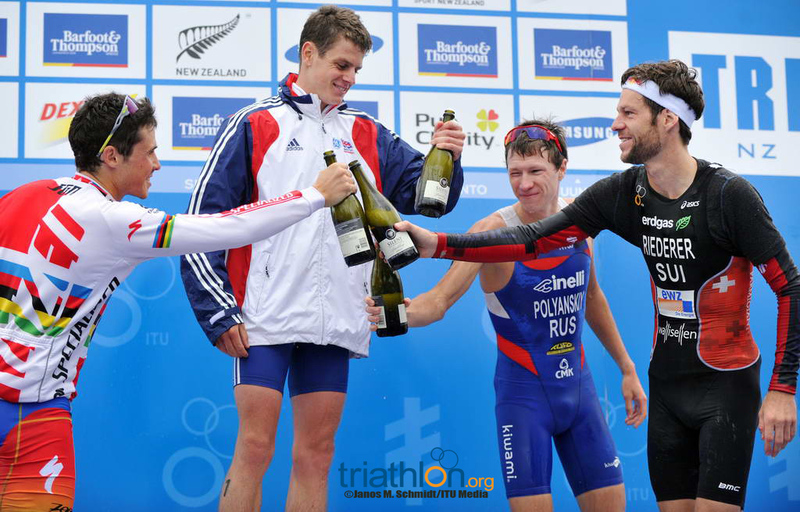 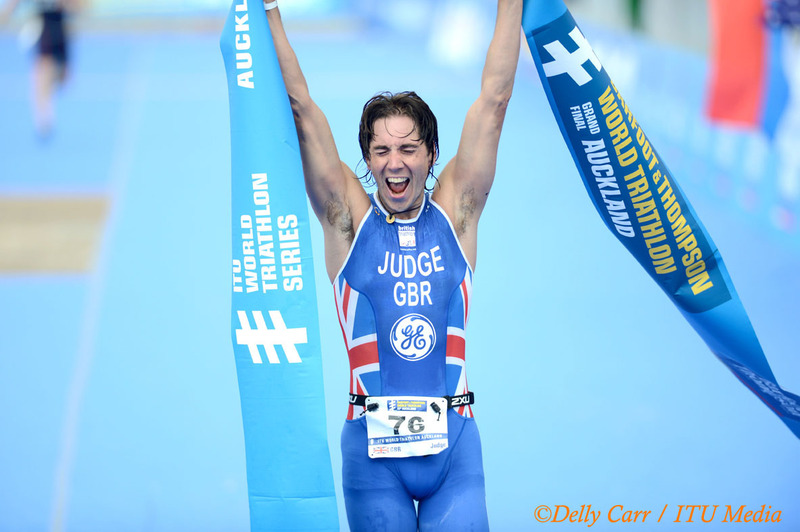 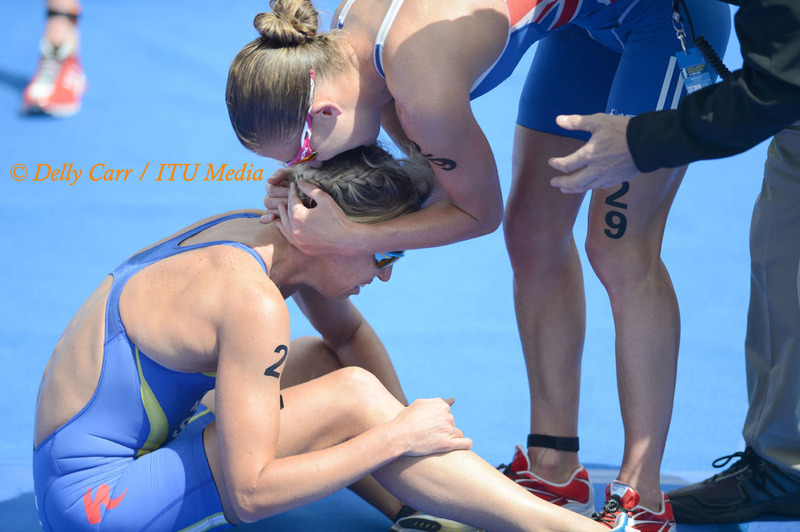 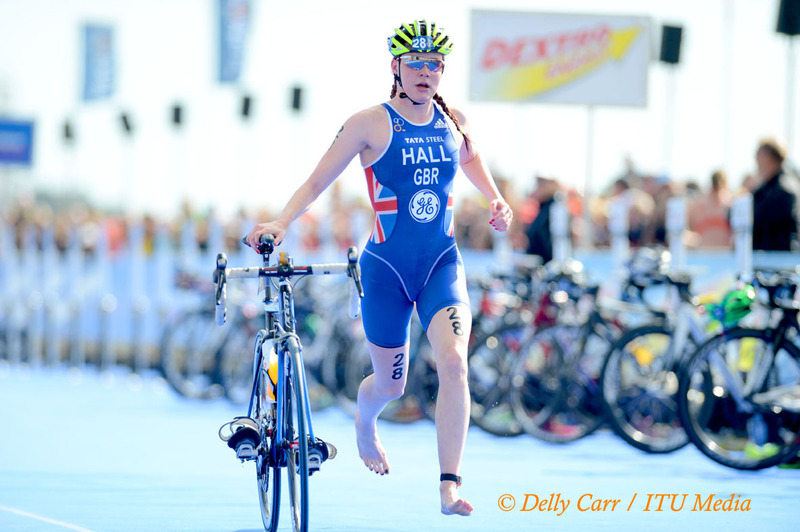 Hall’s teammate Non Stanford (GBR) got a taste of elite gold when she shared the podium with Great Britain teammates in the Mixed Team Relay World Championships in Stockholm. 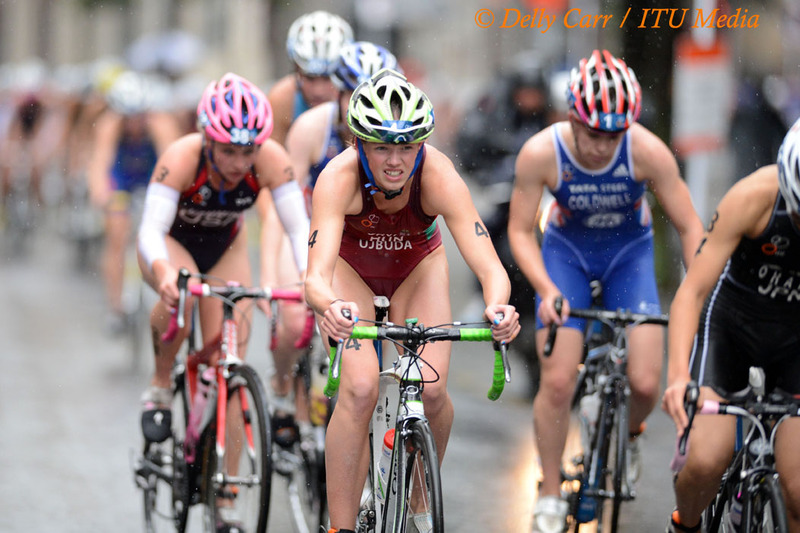 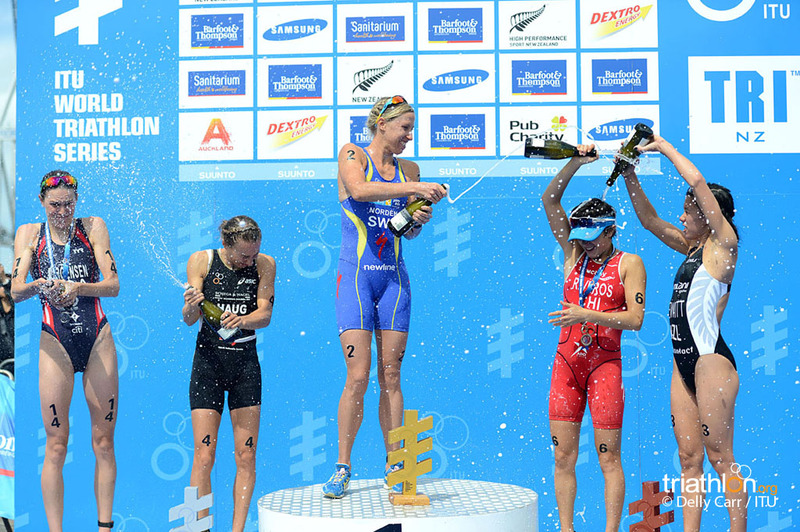 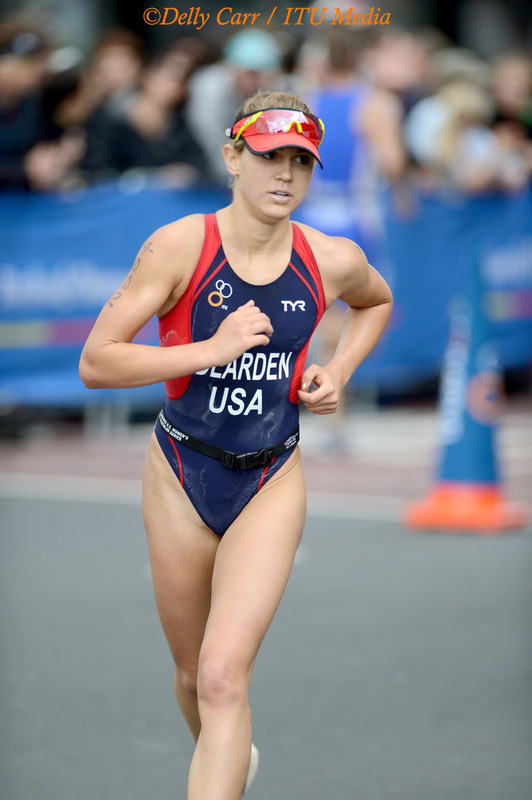 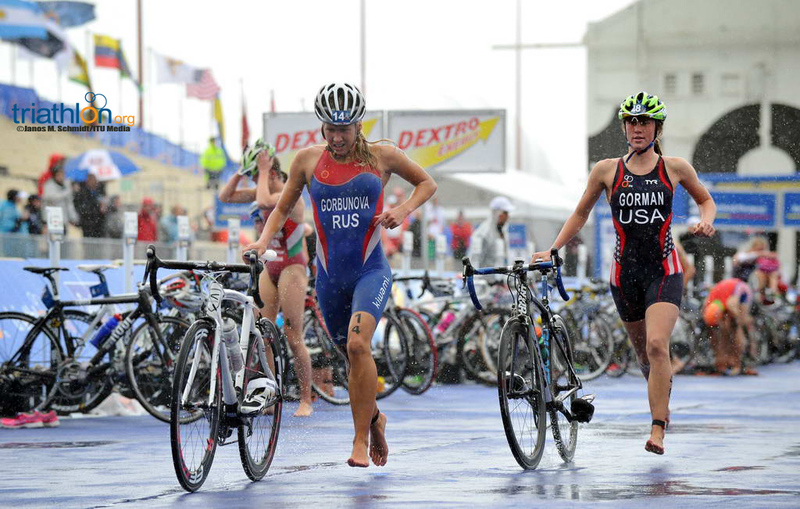 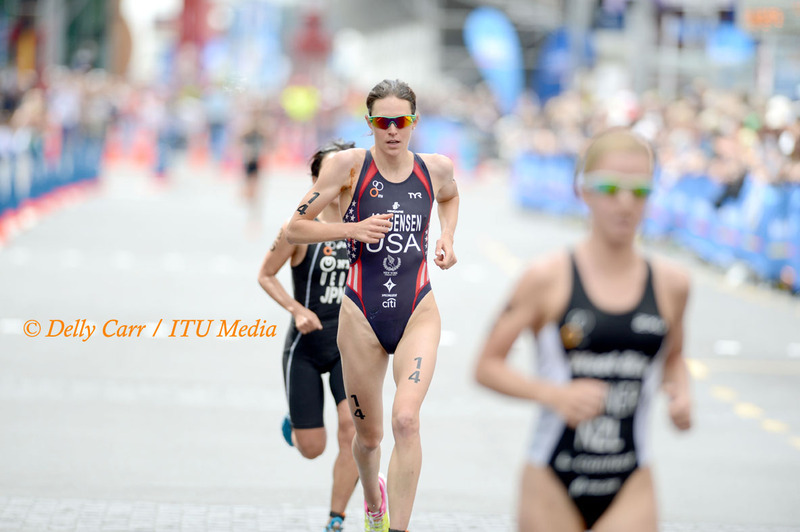 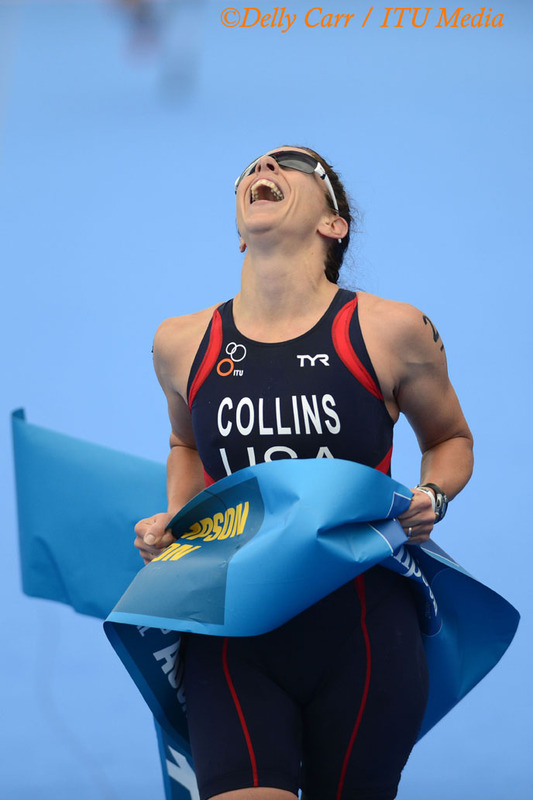 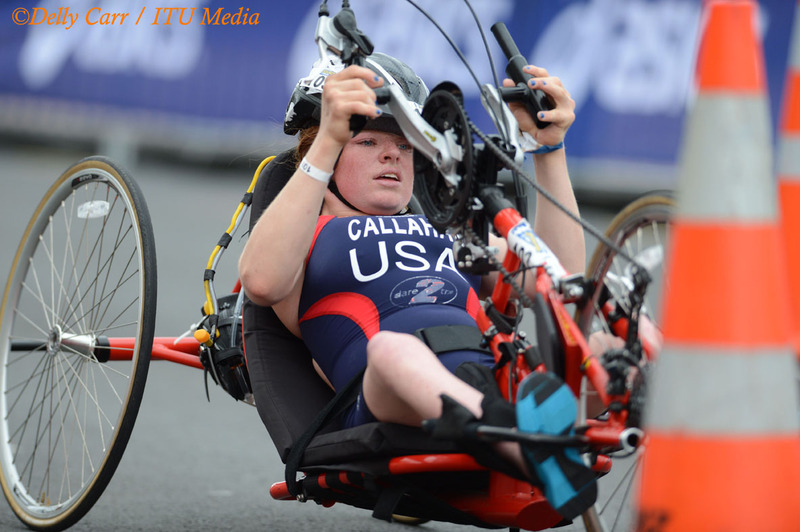 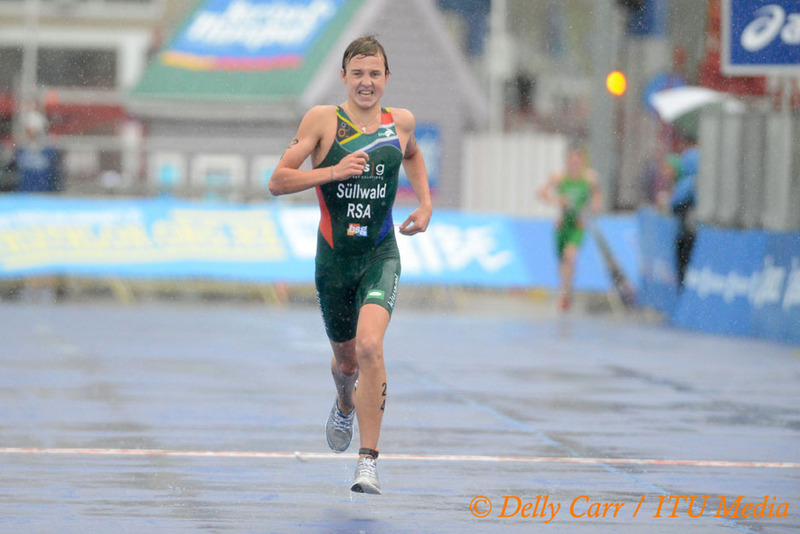 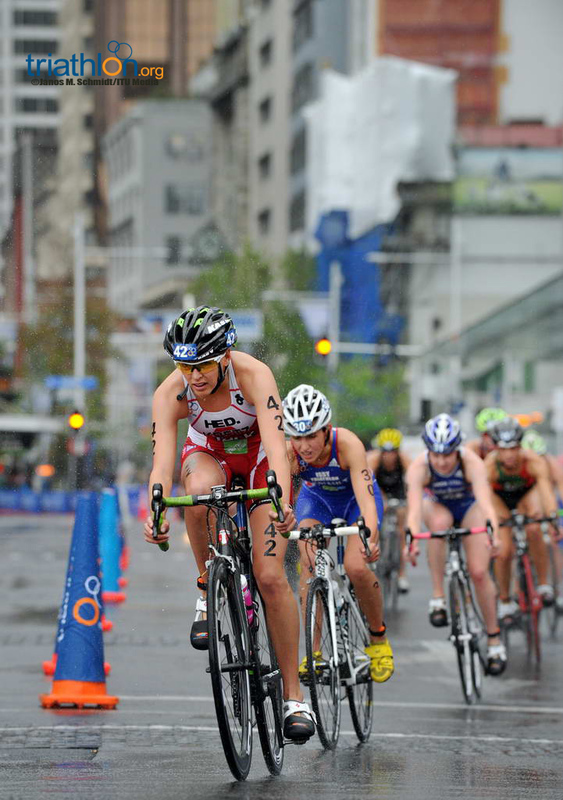 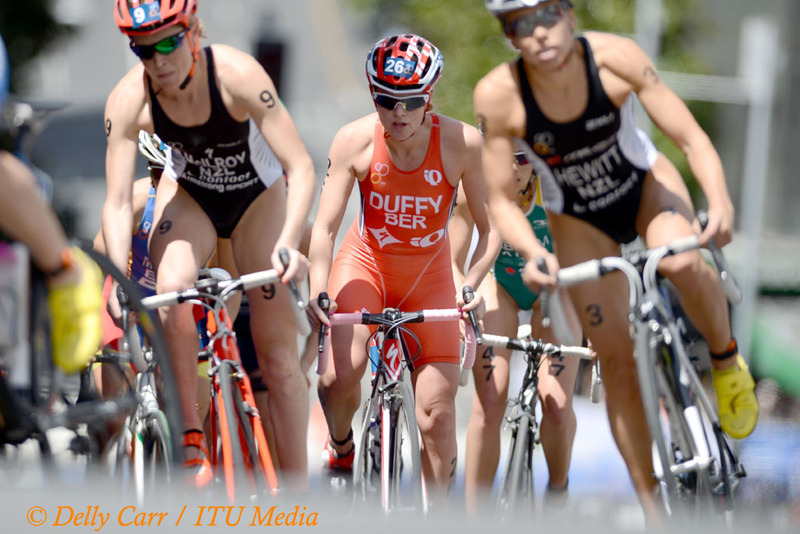 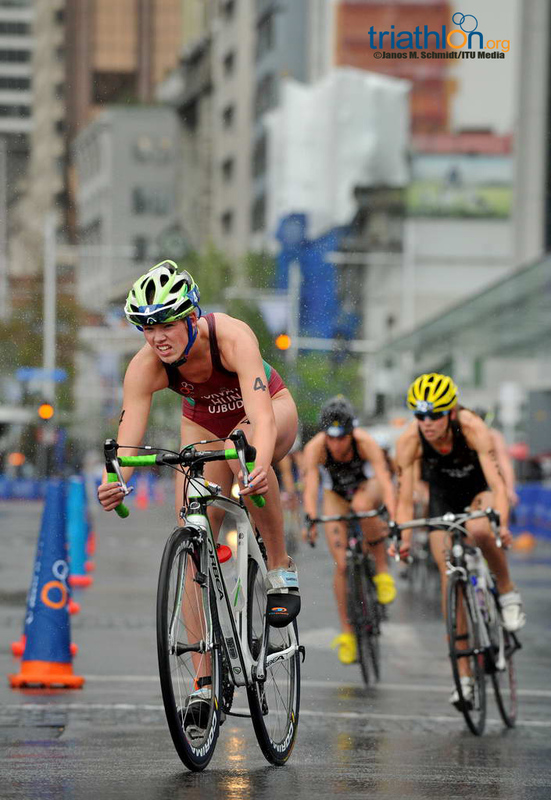 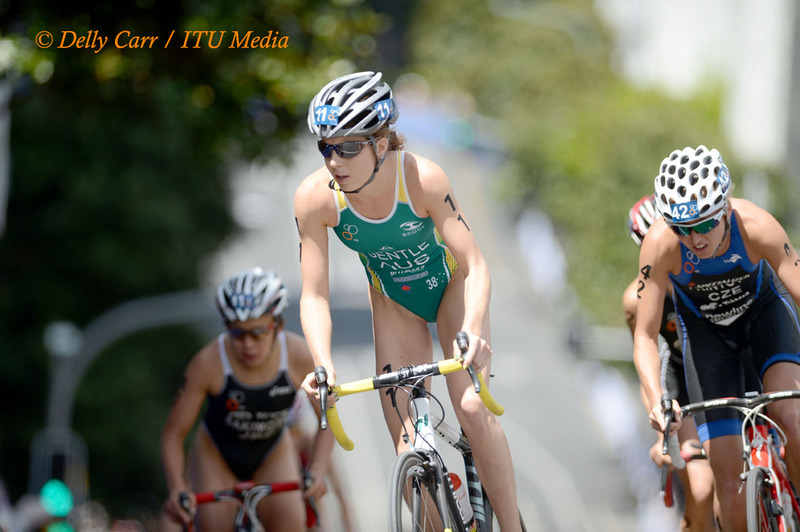 The city proved fruitful for Stanford, as she posted a sixth-place finish in the elite race, as well. 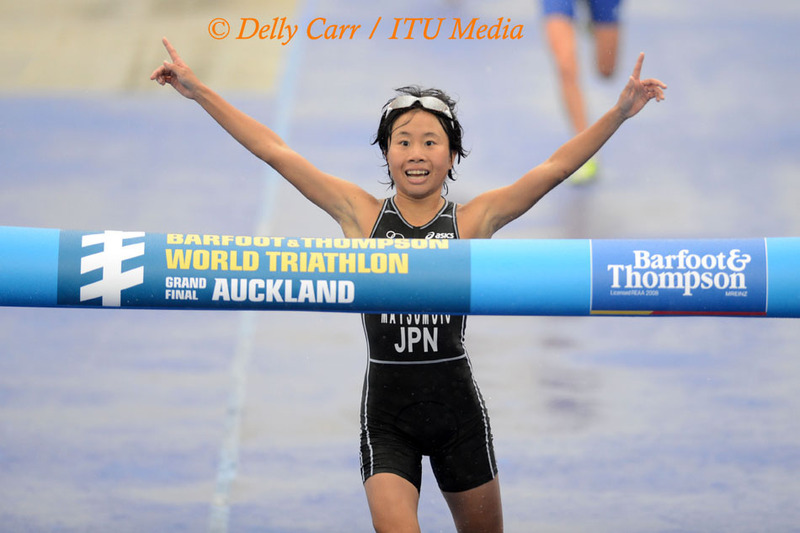 Stanford was also sixth in the U23 Grand Final in Beijing last year, and will surely be looking to improve her place in New Zealand. 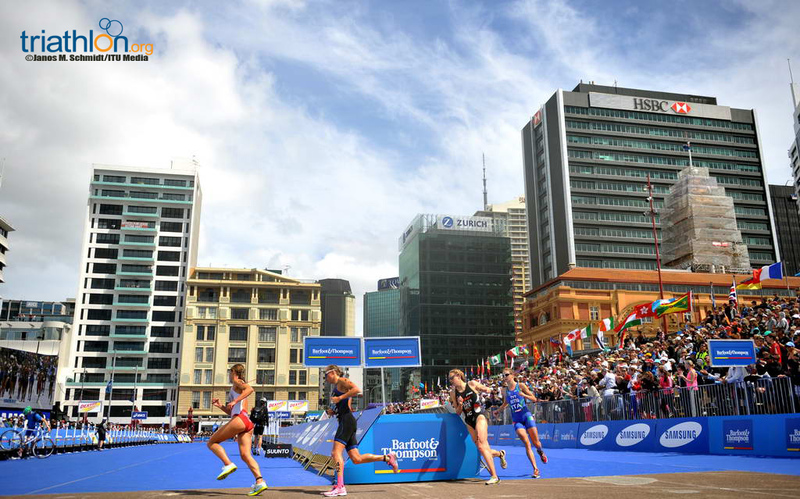 Likely to get the most cheers on the course are the three Kiwis in the field: Rebecca Kingsford, Simone Ackermann and Sophie Corbidge. 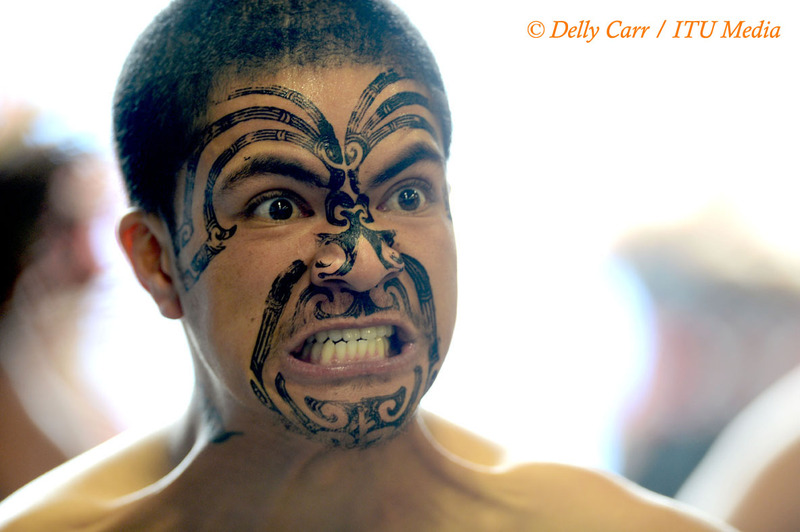 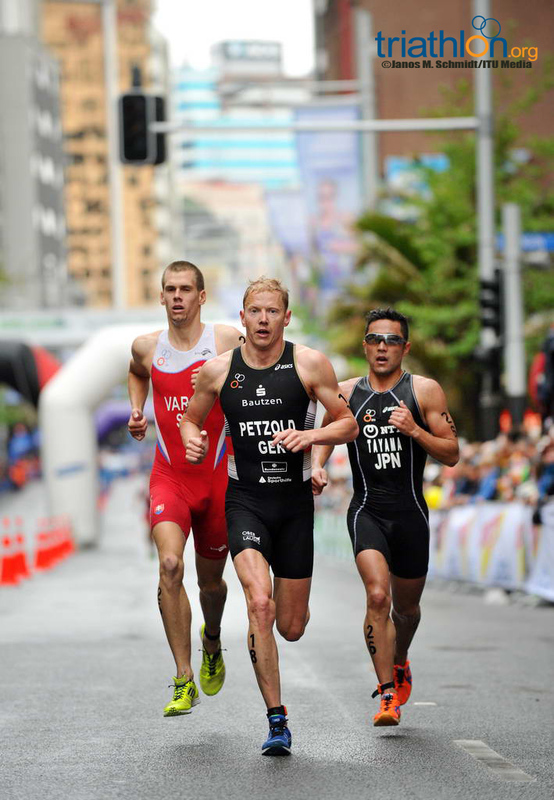 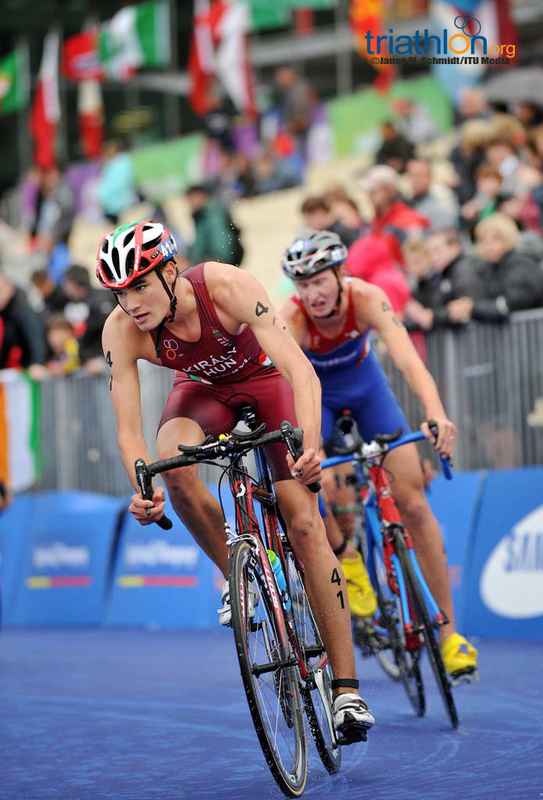 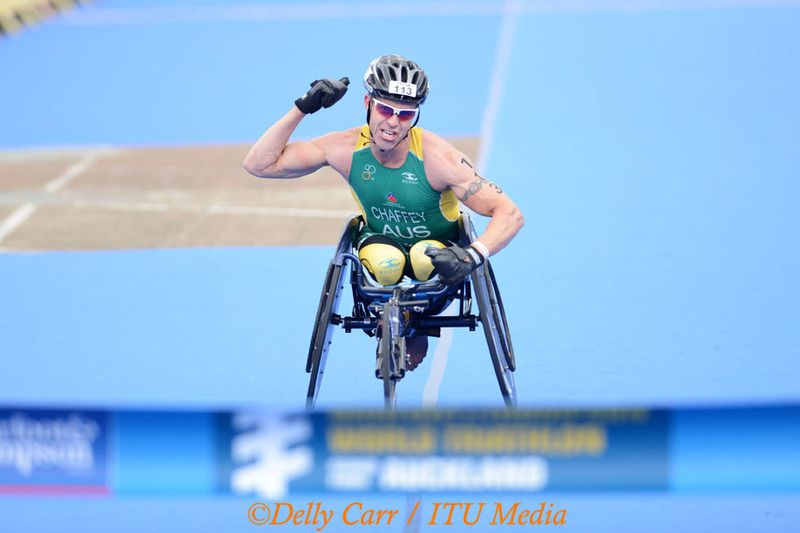 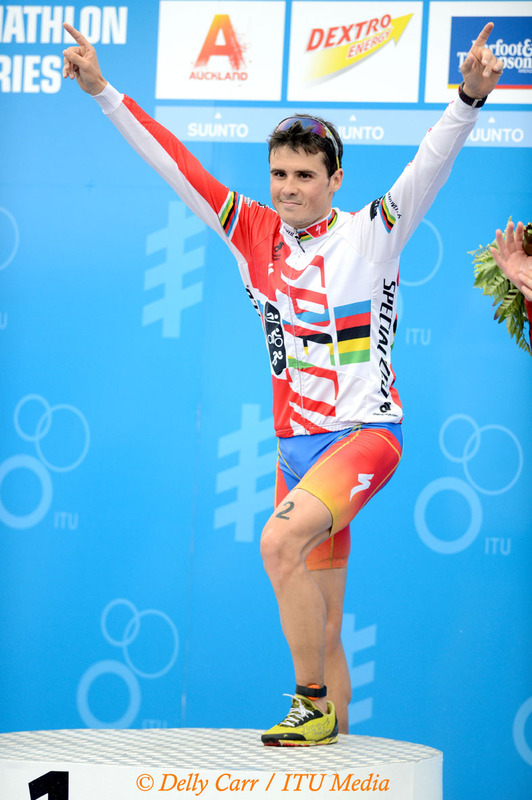 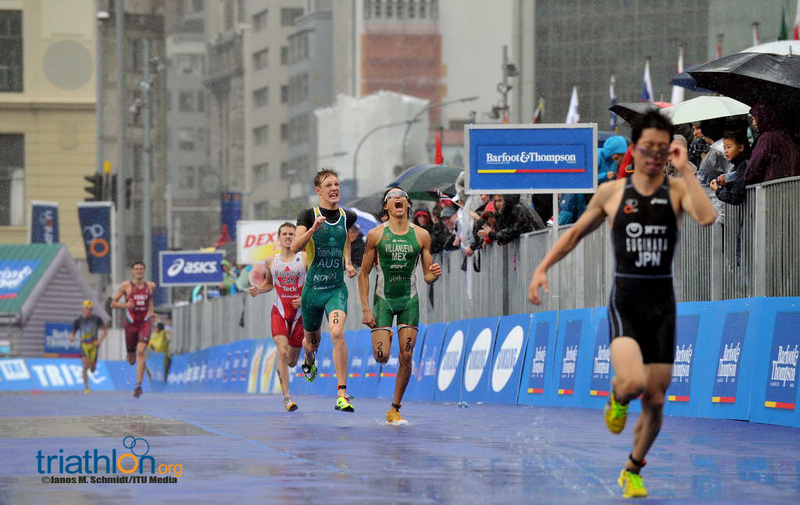 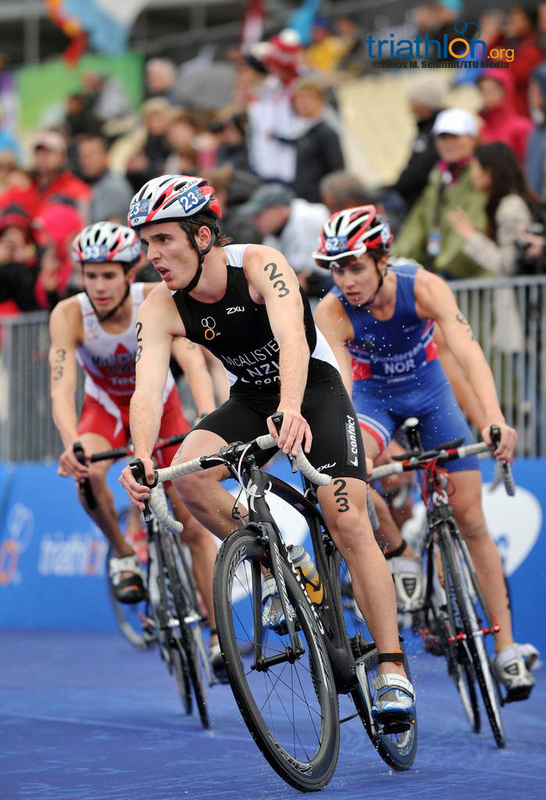 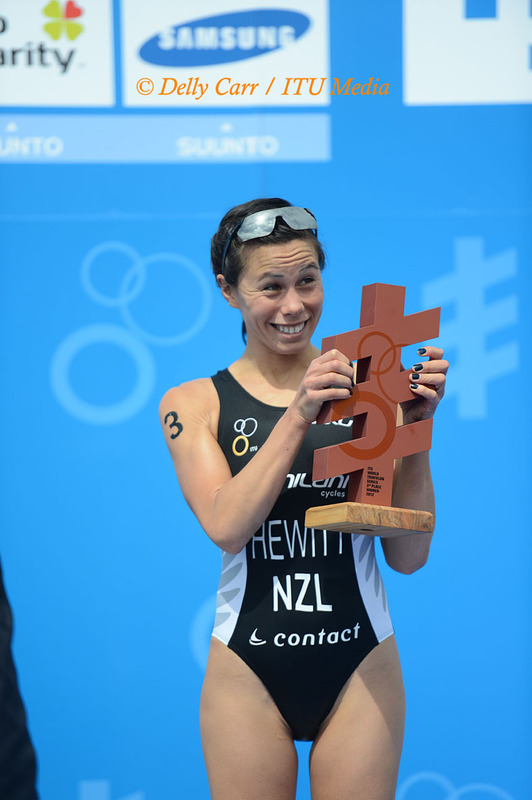 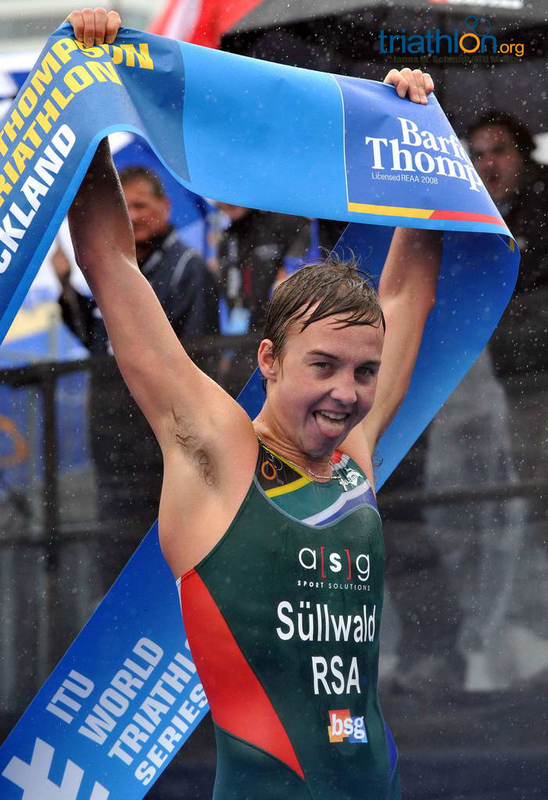 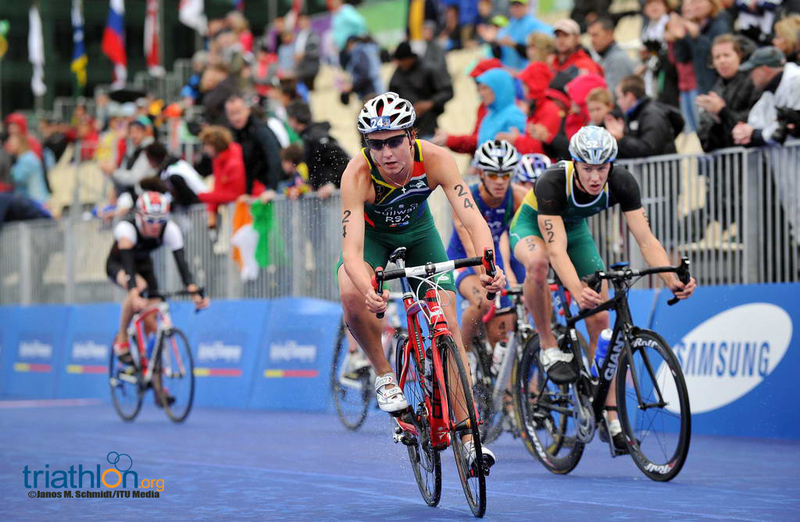 They will be gunning to follow in Hewitt’s footsteps as the only Kiwis to be crowned Under23 World Champion. 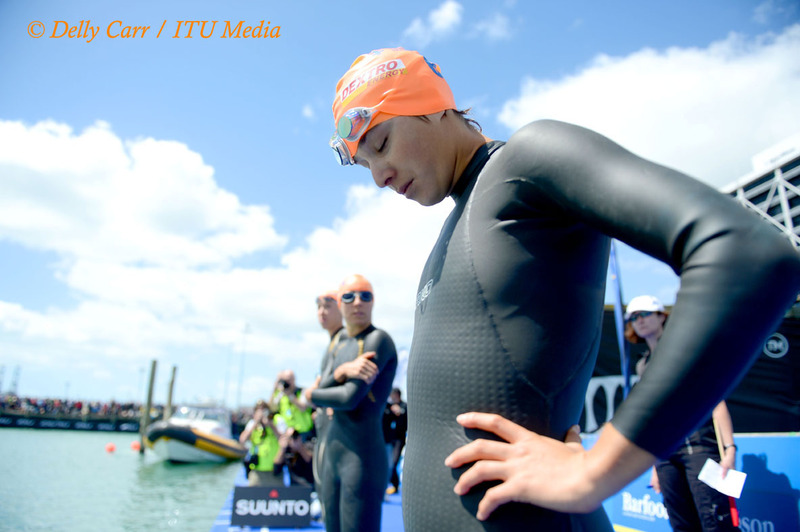 Natalie Van Coevorden (AUS) made the jump from juniors to elite in the last year, but has yet to secure a major breakthrough this season. 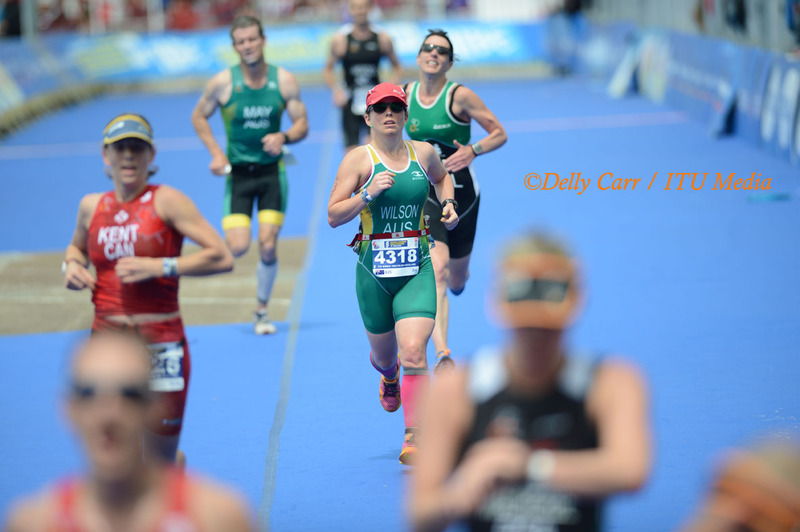 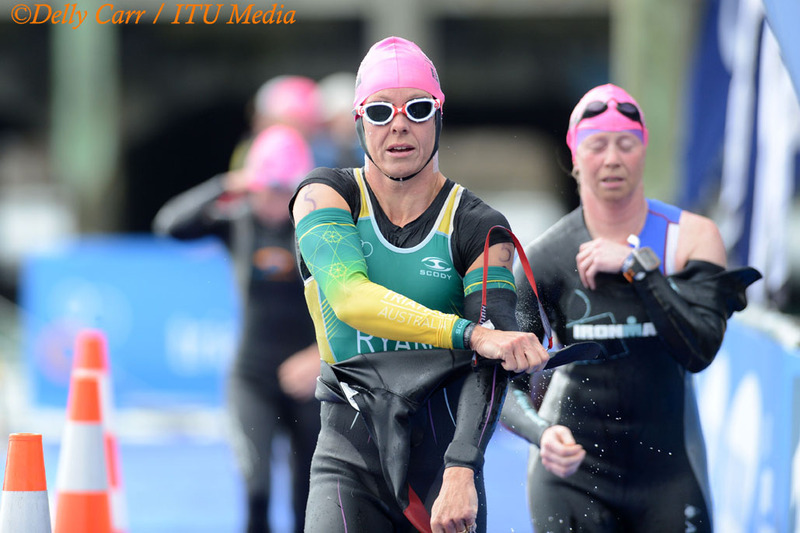 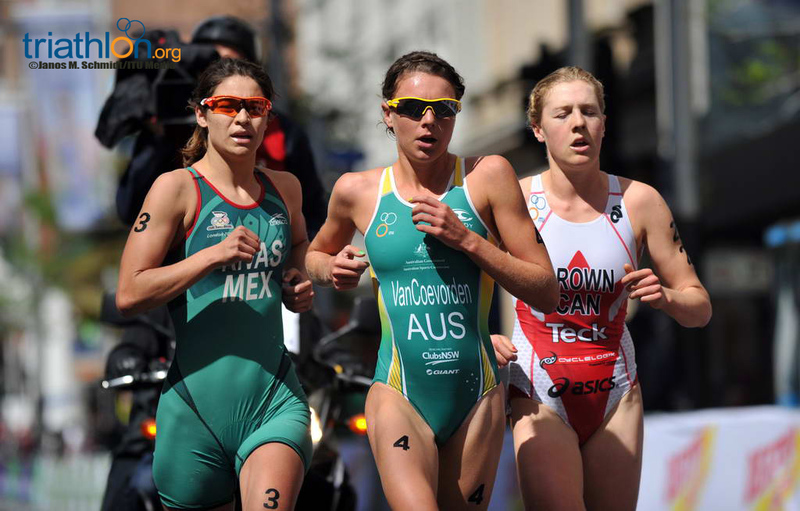 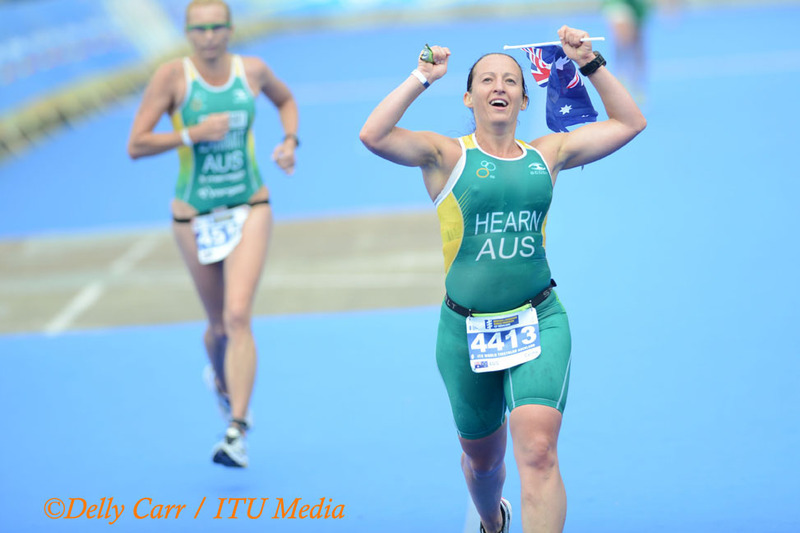 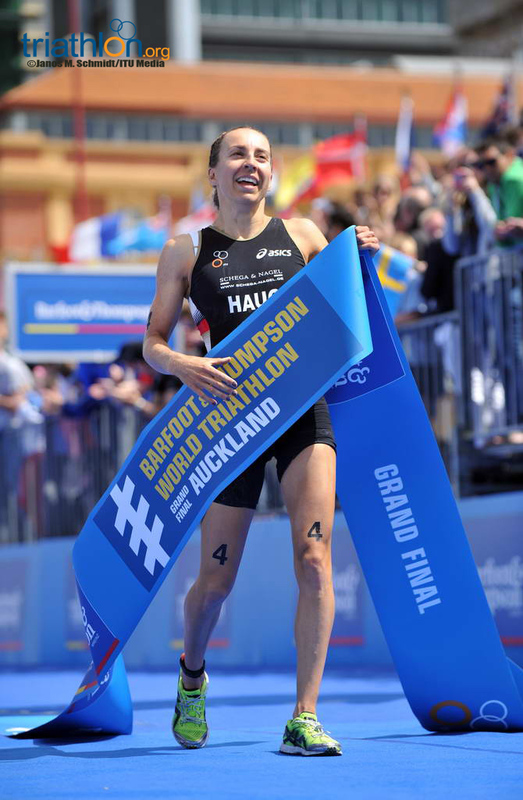 However, she has had the advantage of learning from an impressive crew of Australian triathlete veterans, as well as a host of elite starts to her name since 2011 that should not be underestimated. 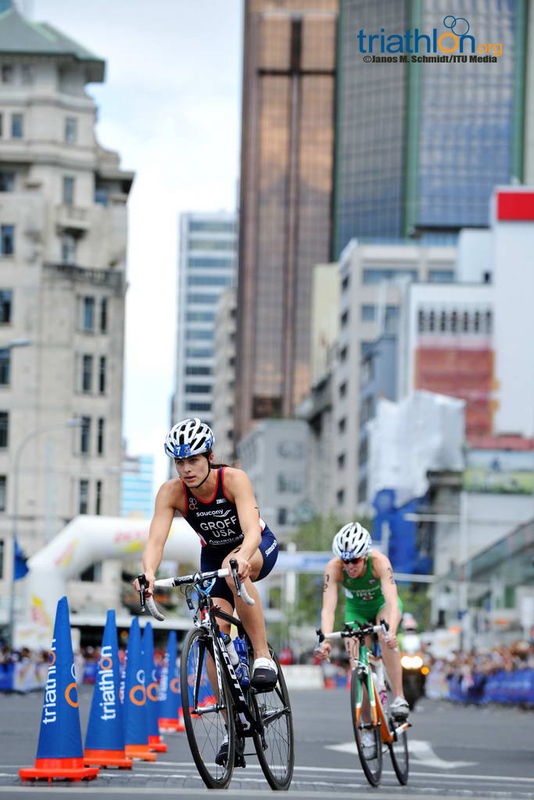 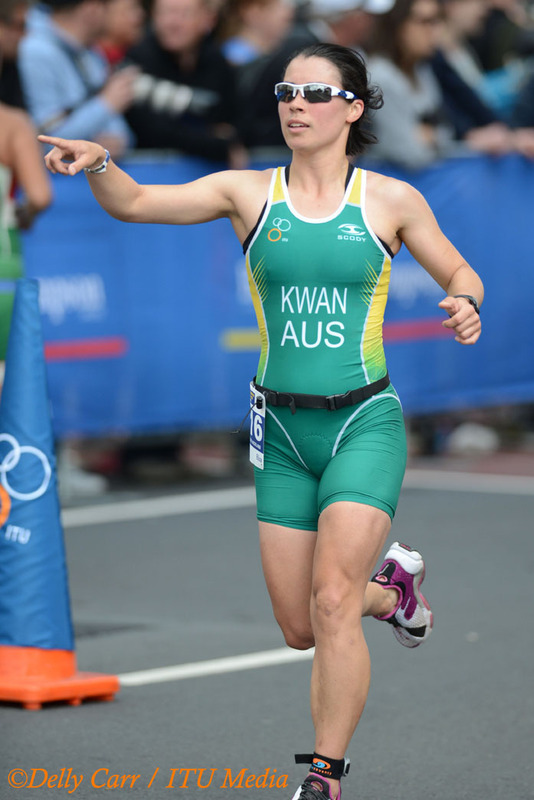 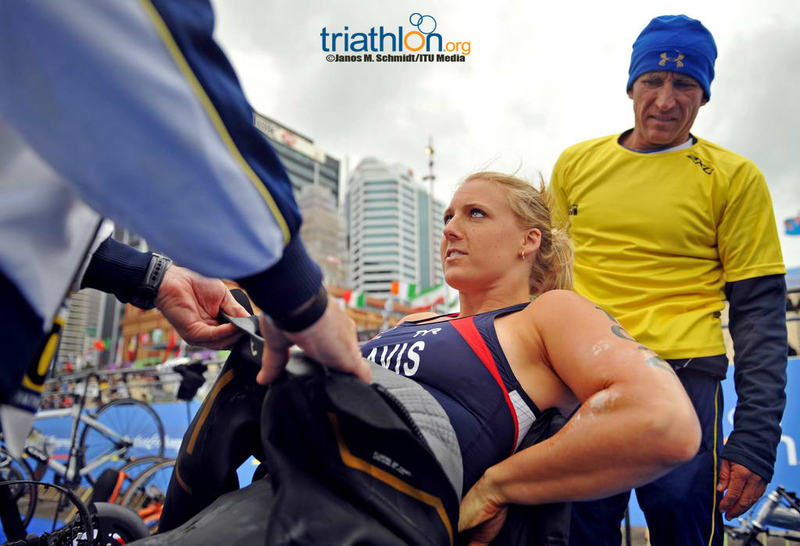 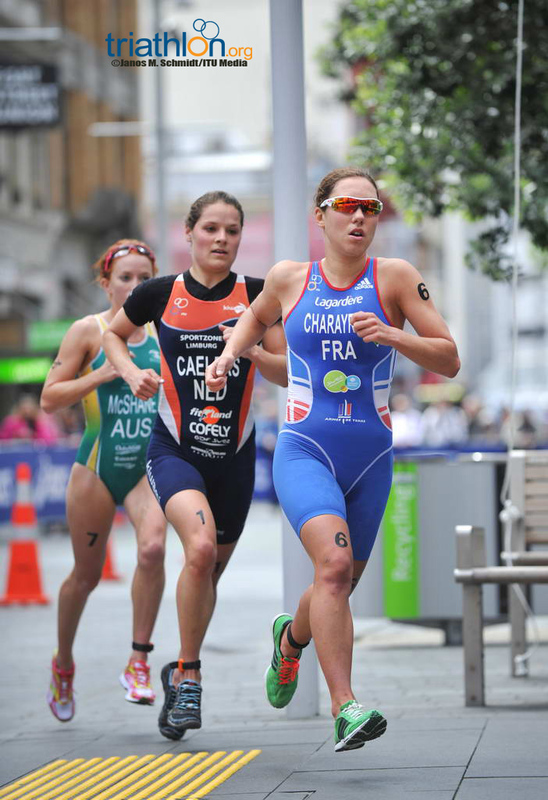 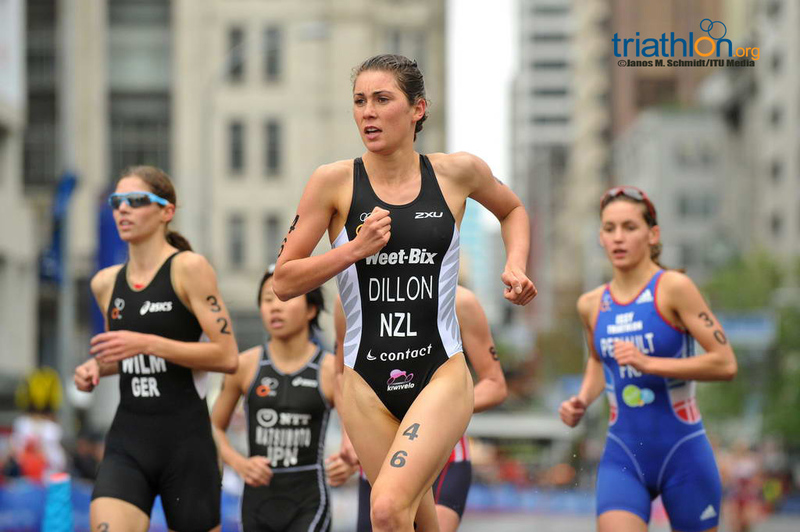 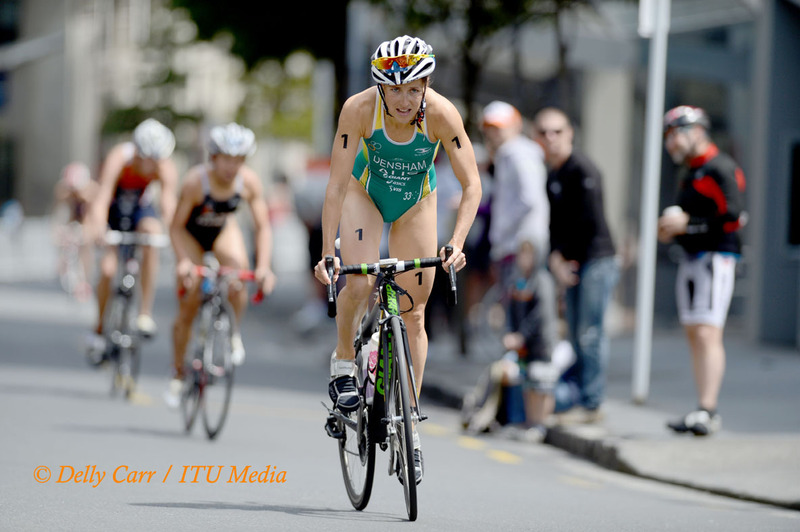 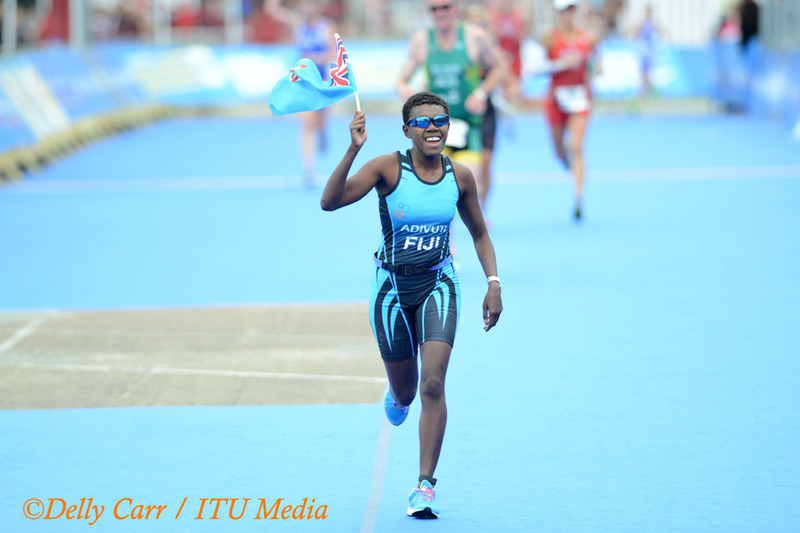 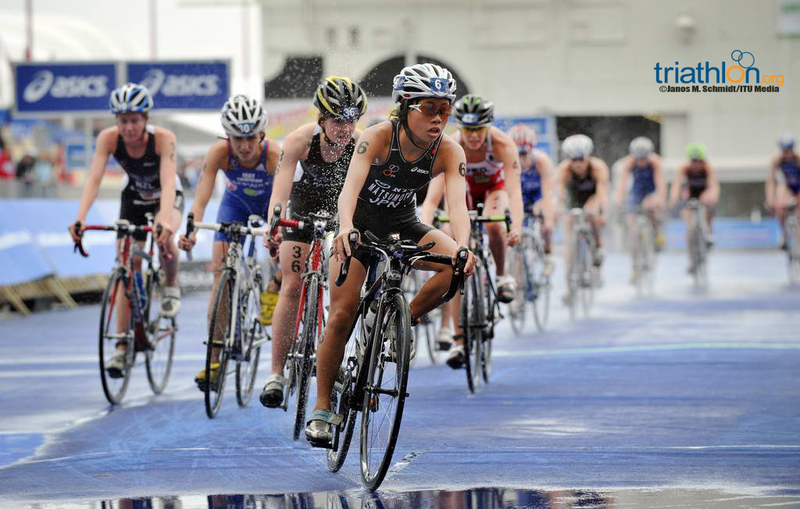 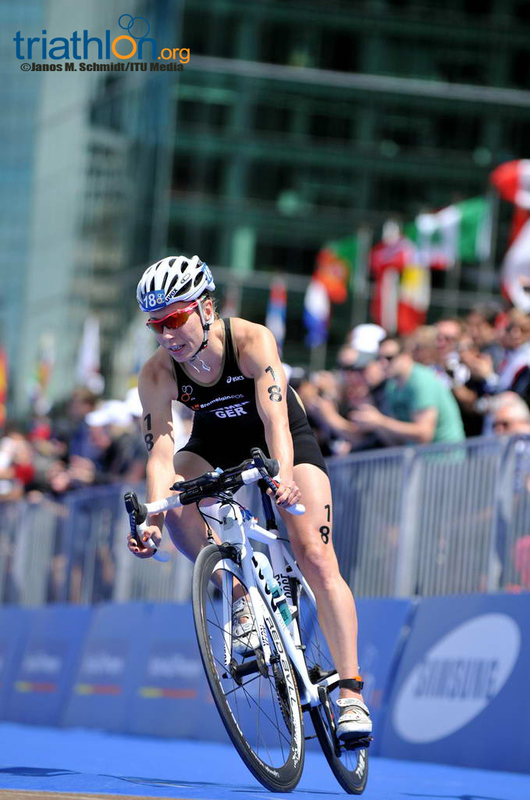 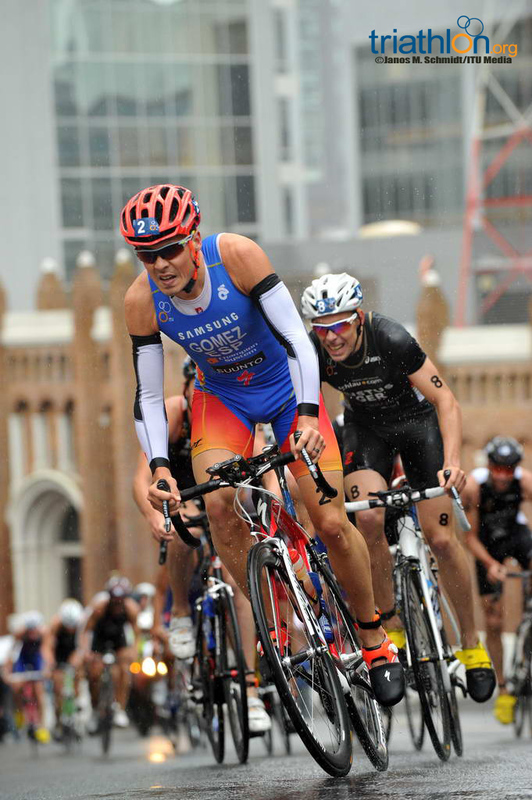 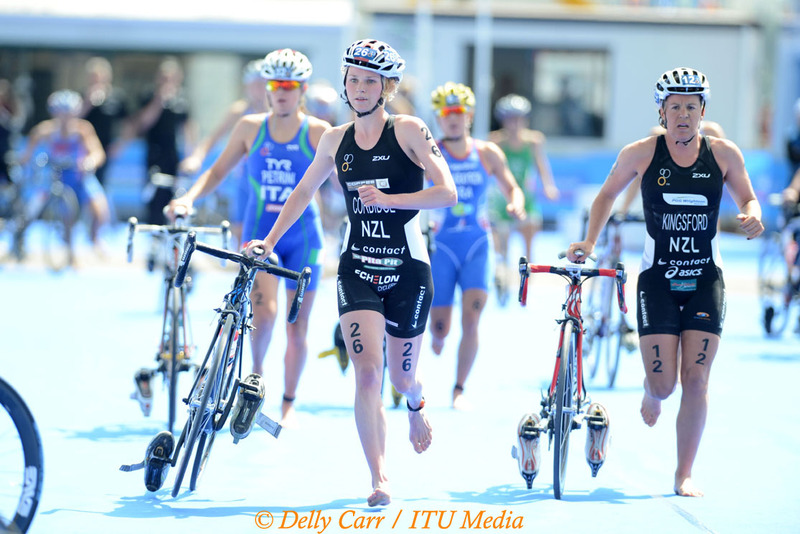 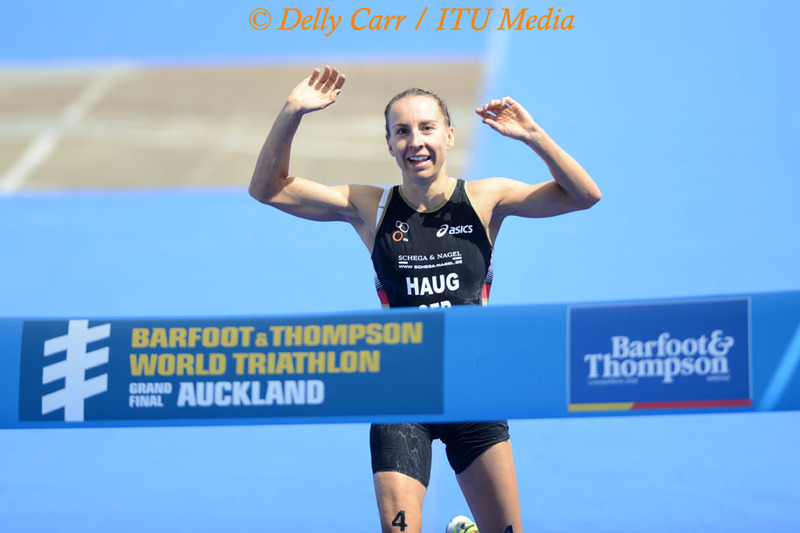 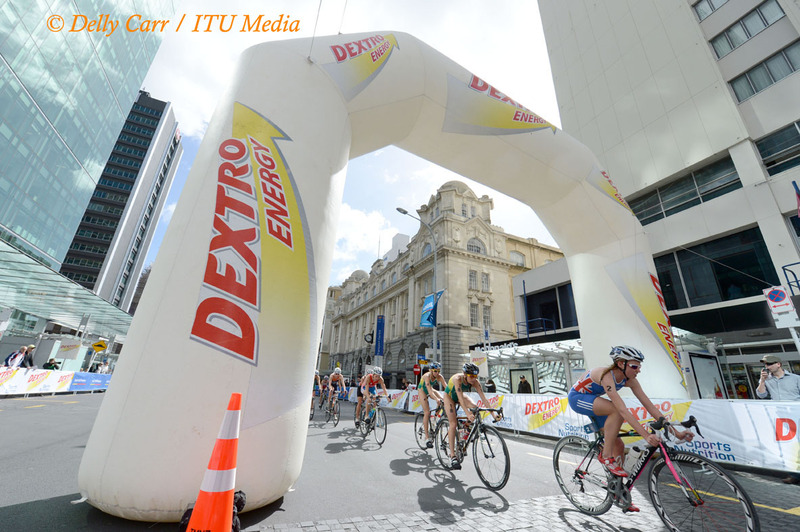 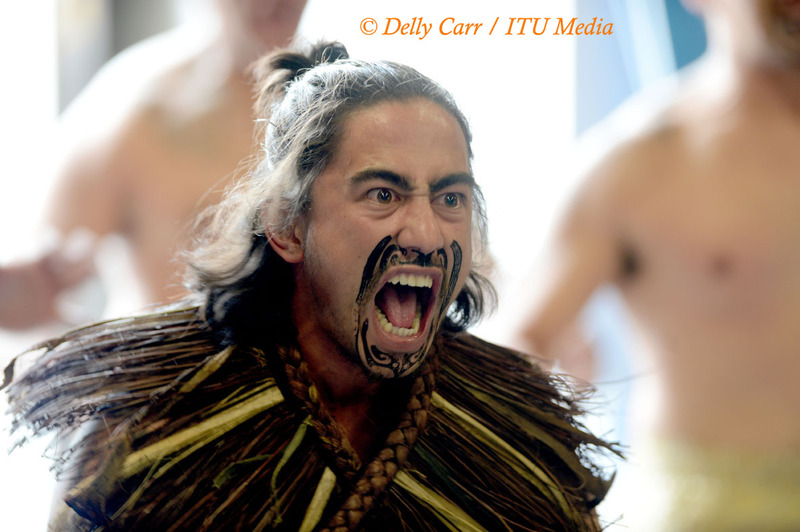 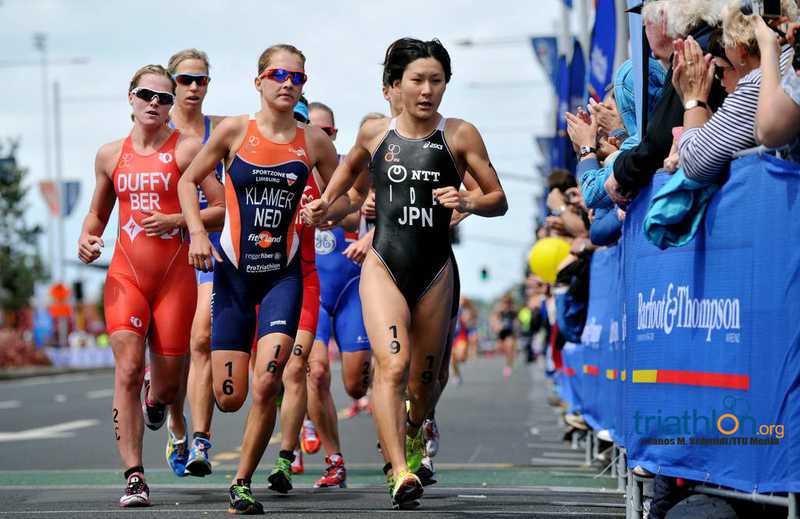 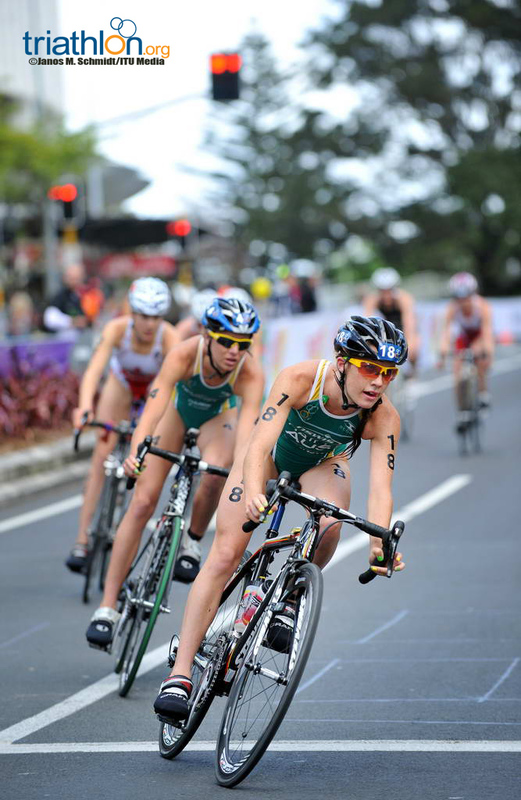 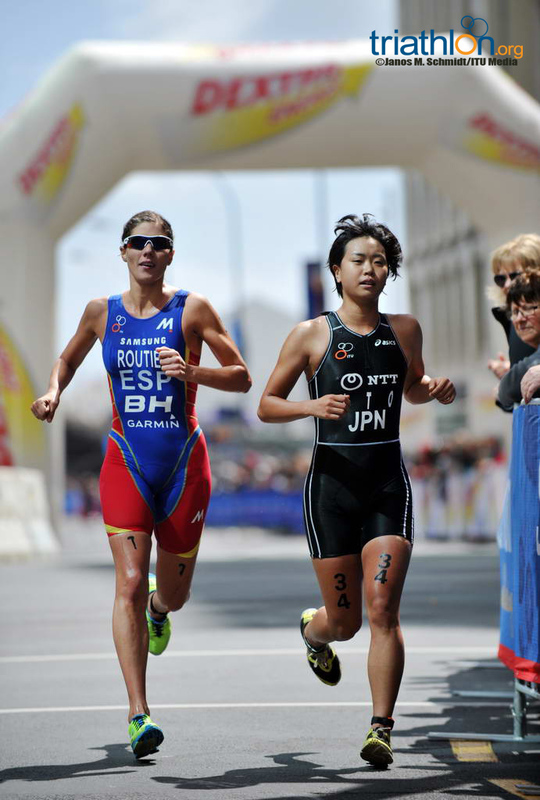 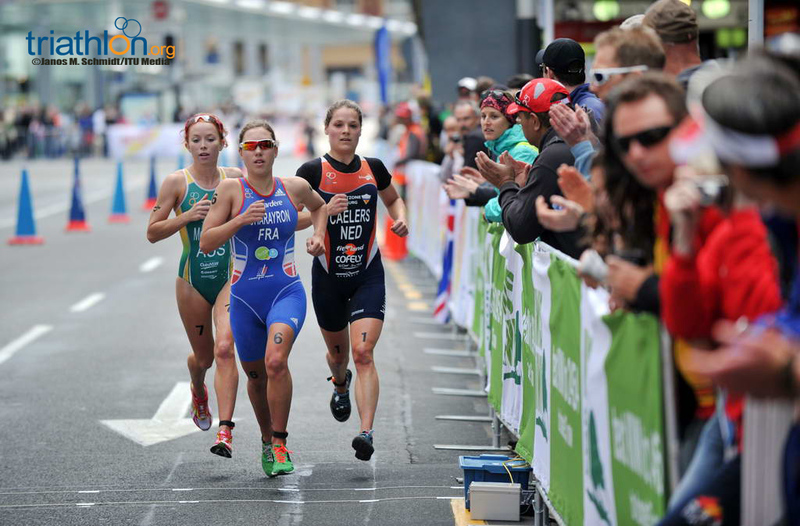 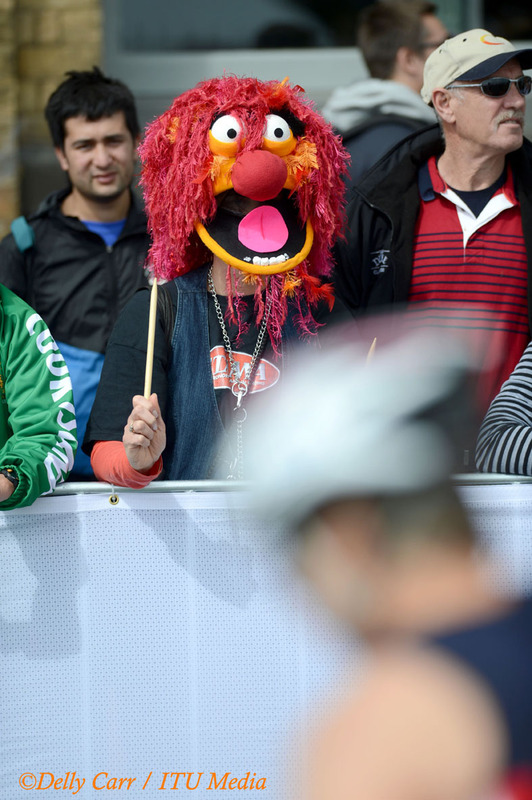 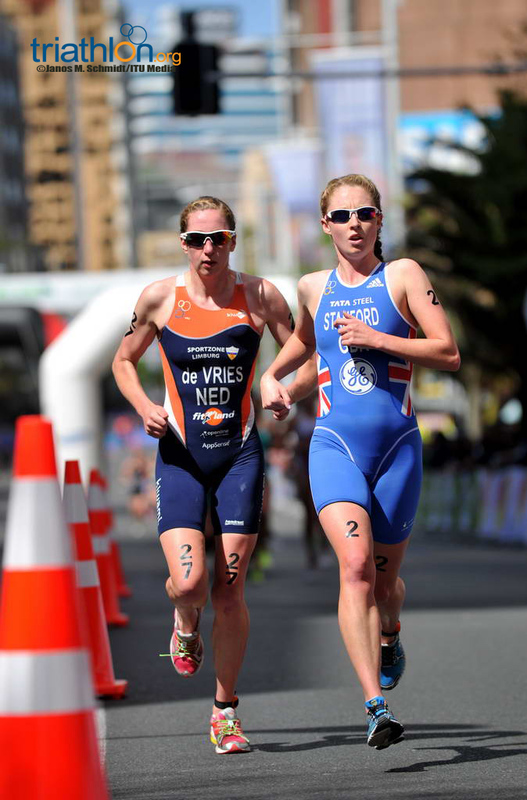 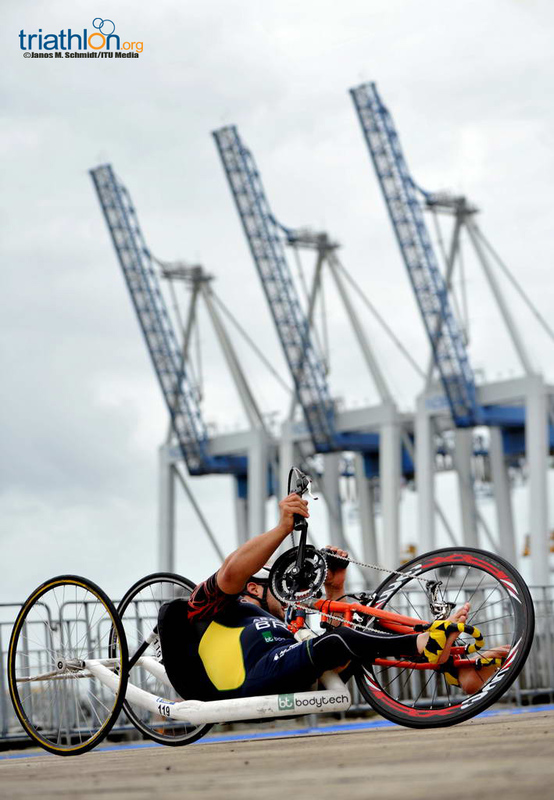 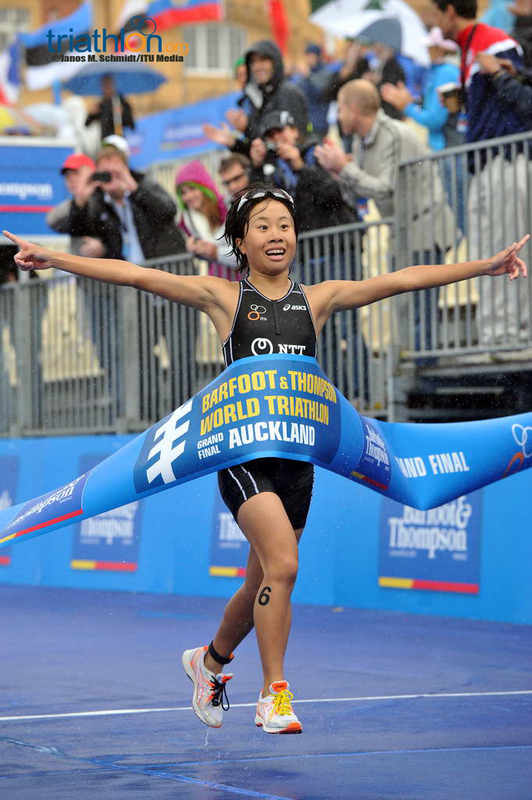 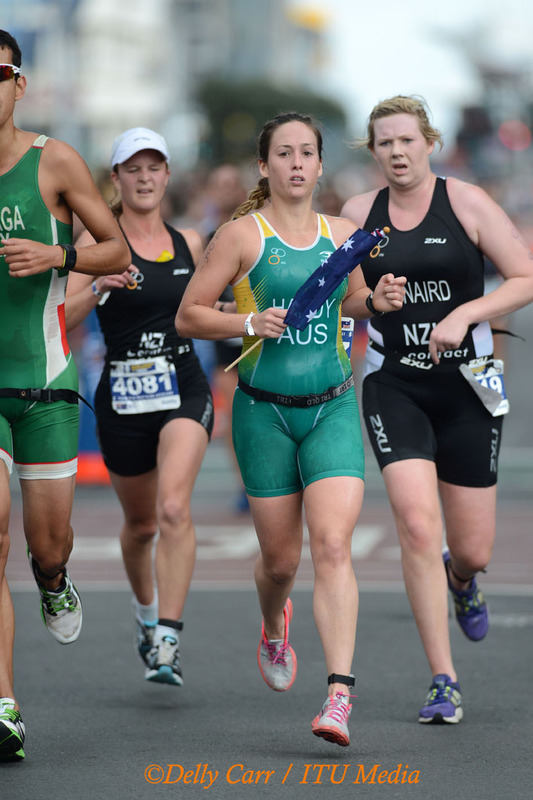 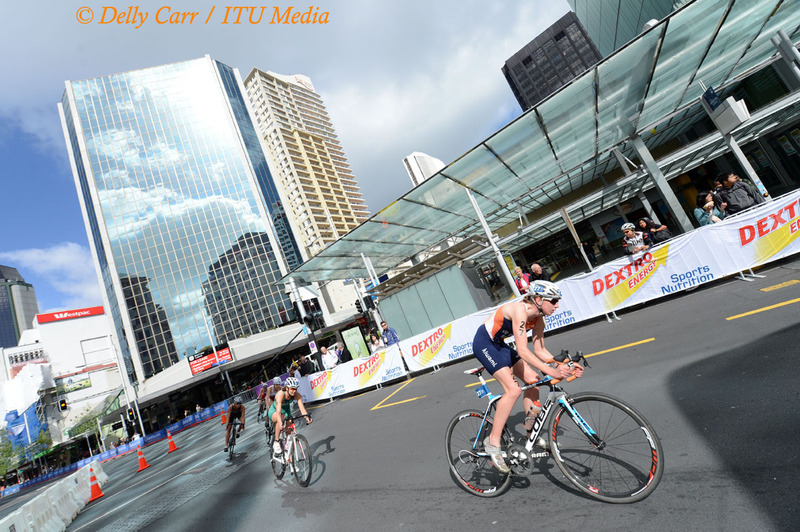 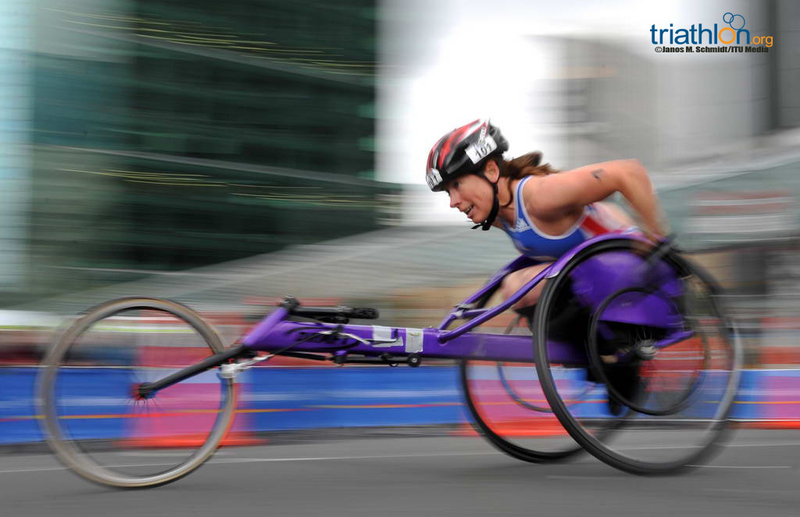 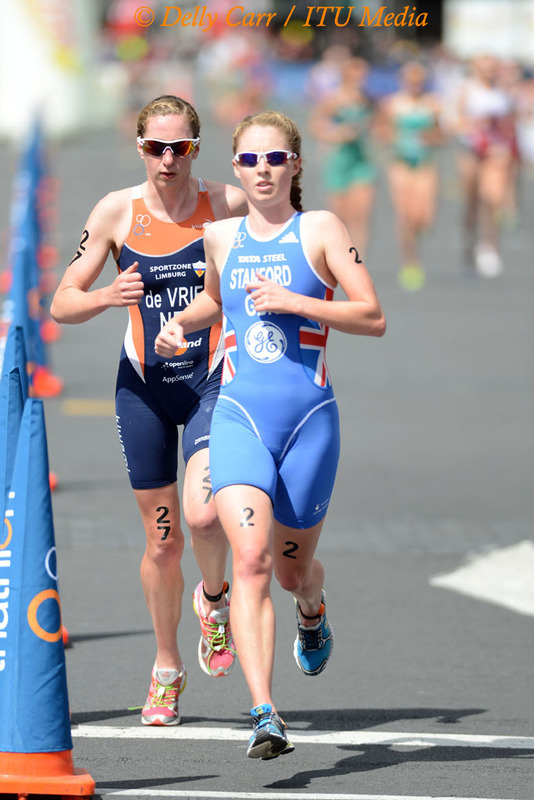 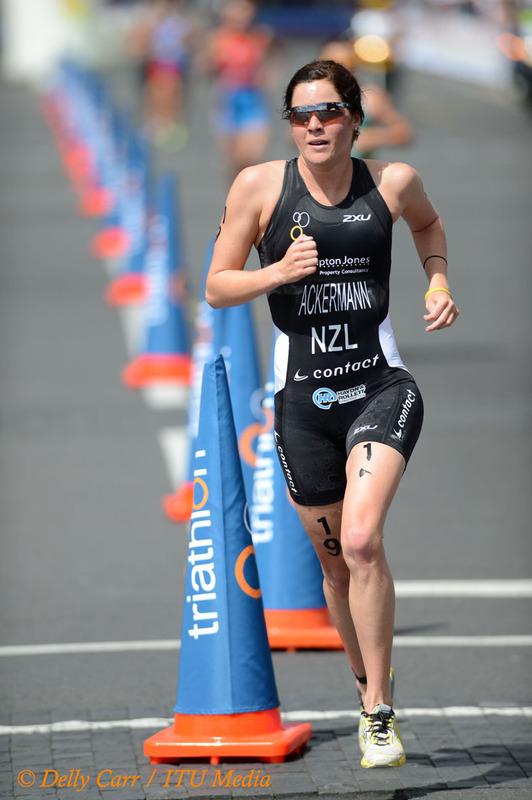 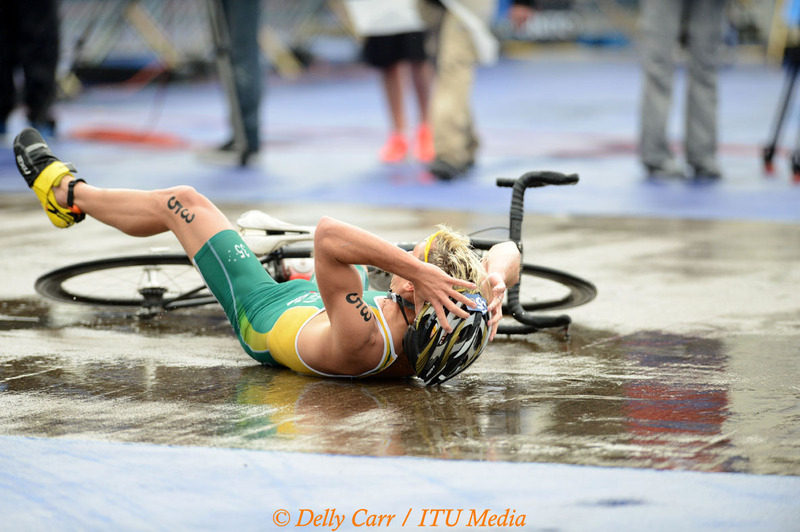 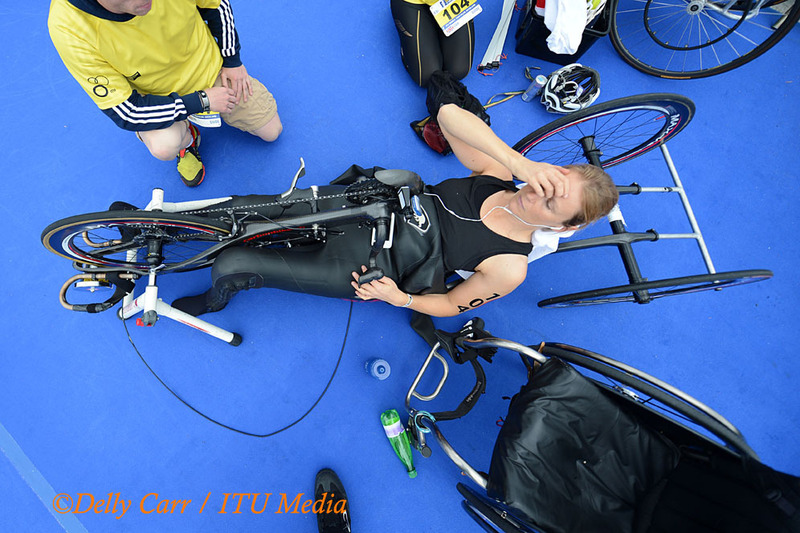 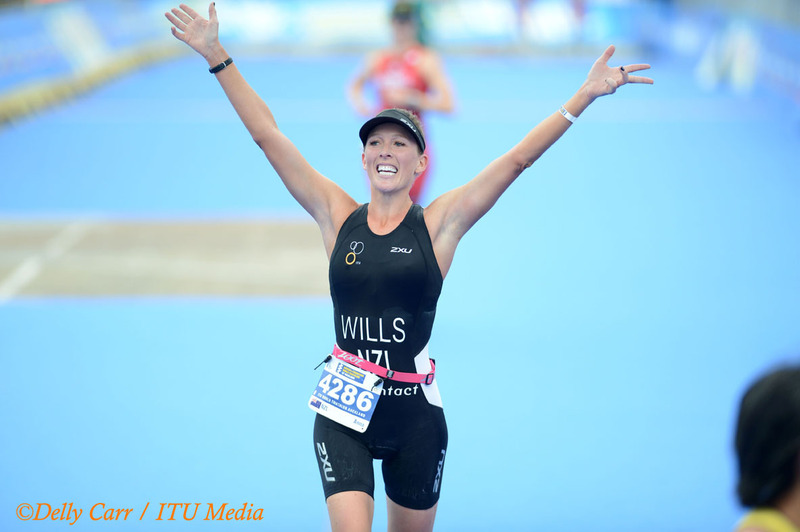 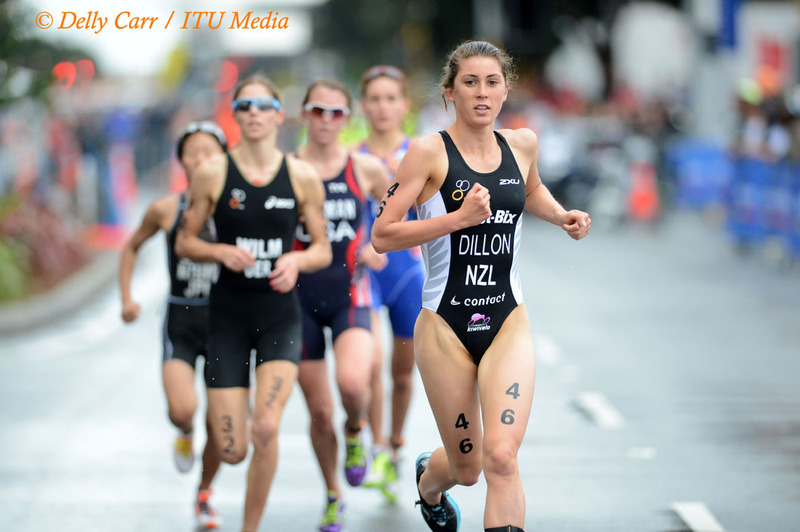 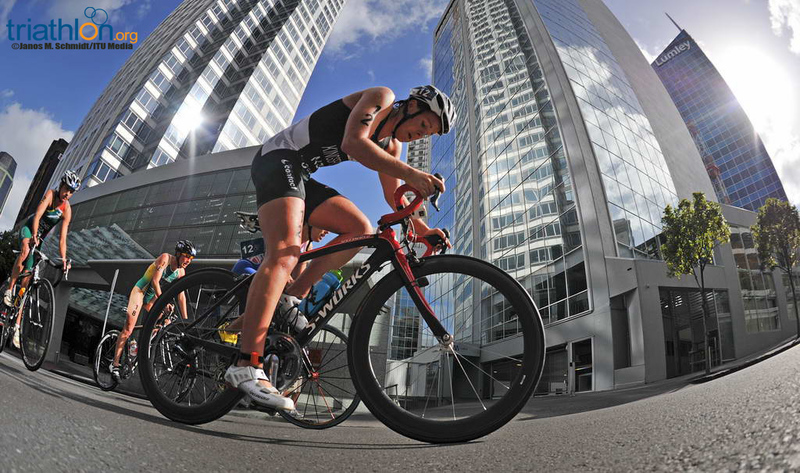 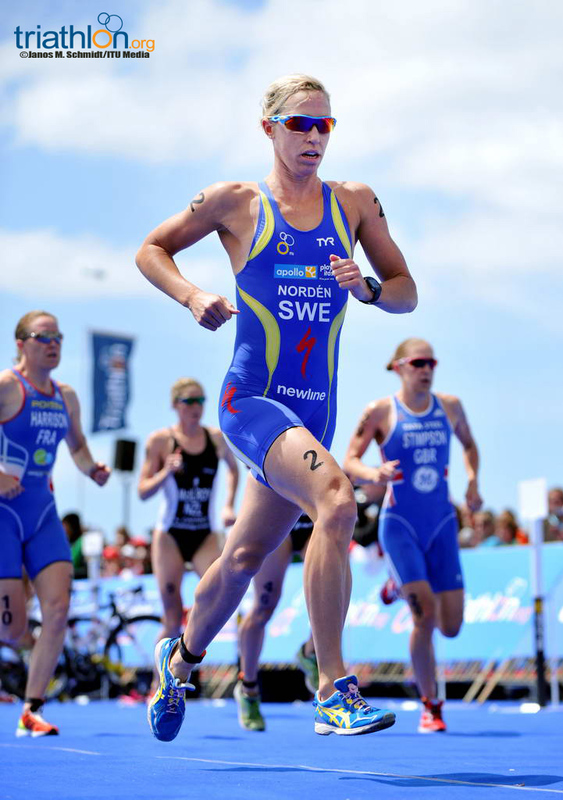 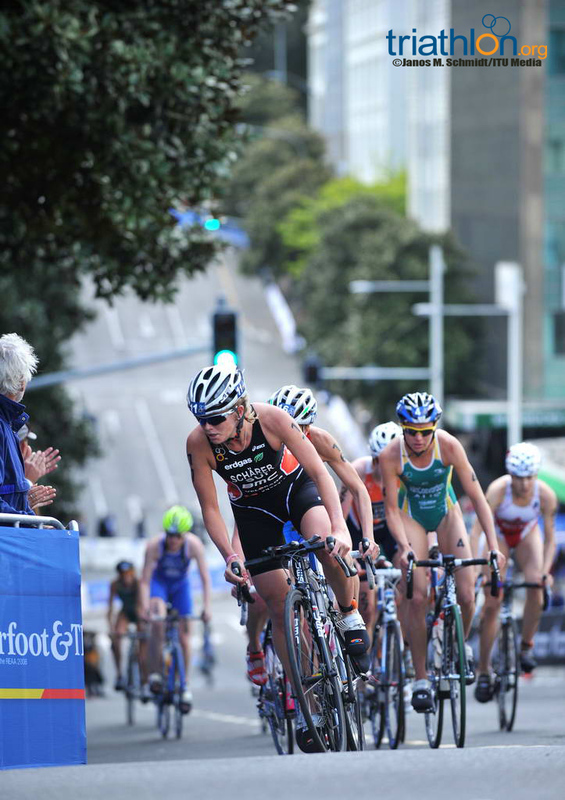 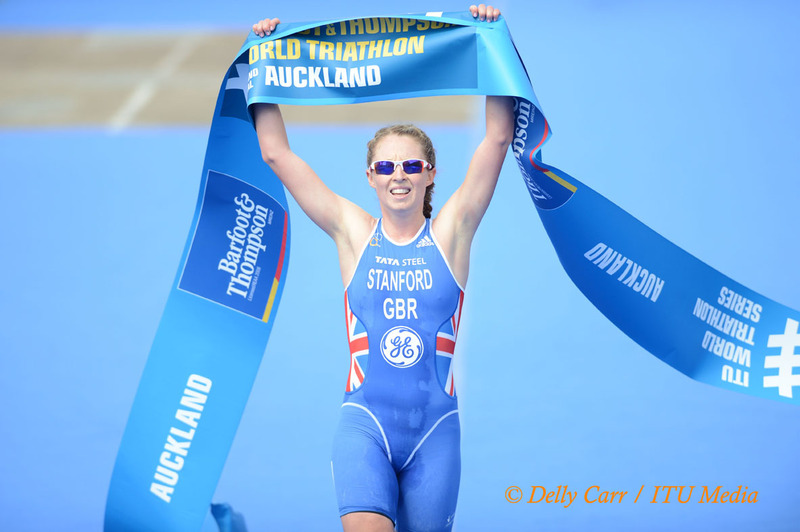 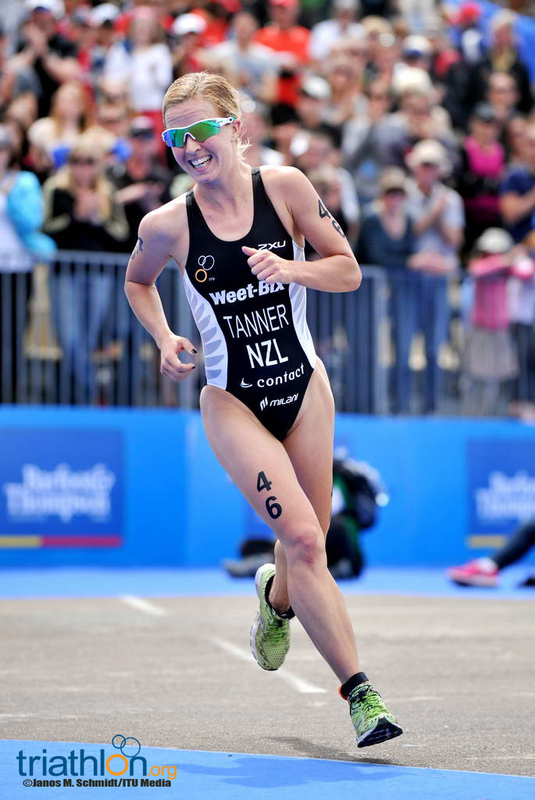 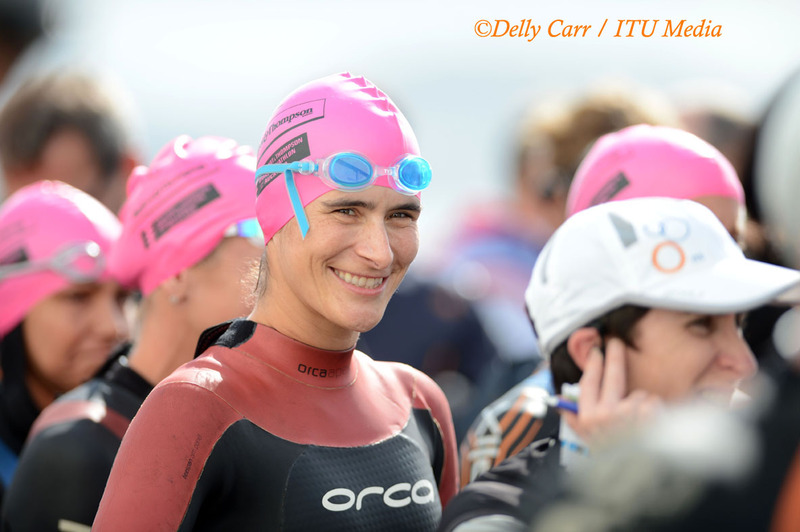 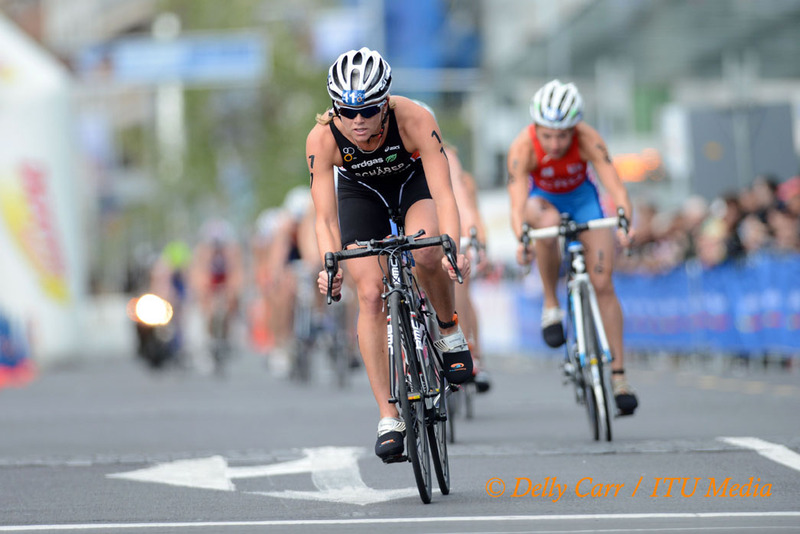 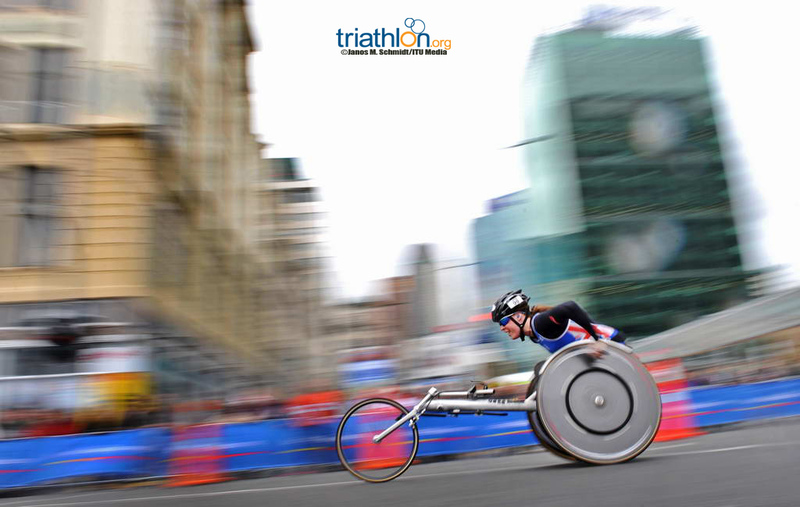 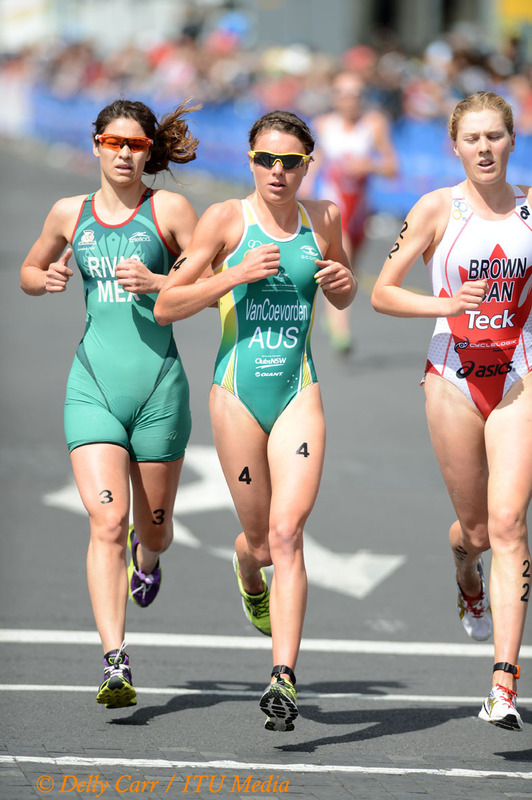 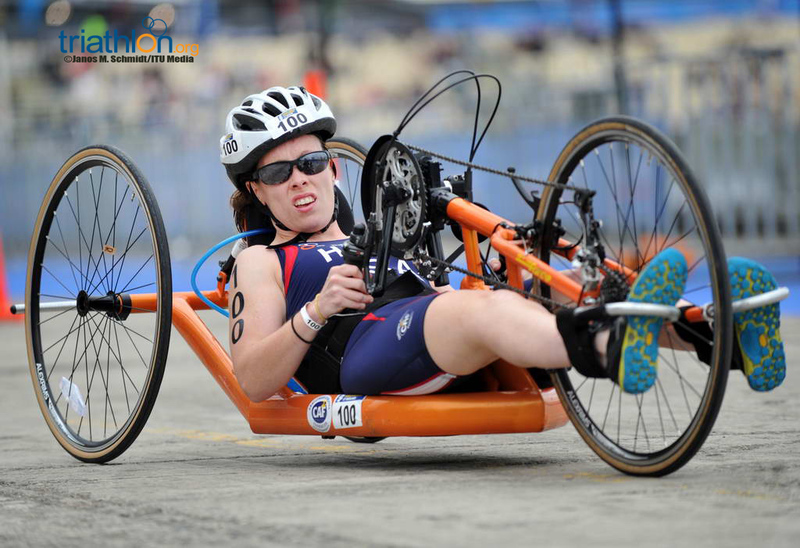 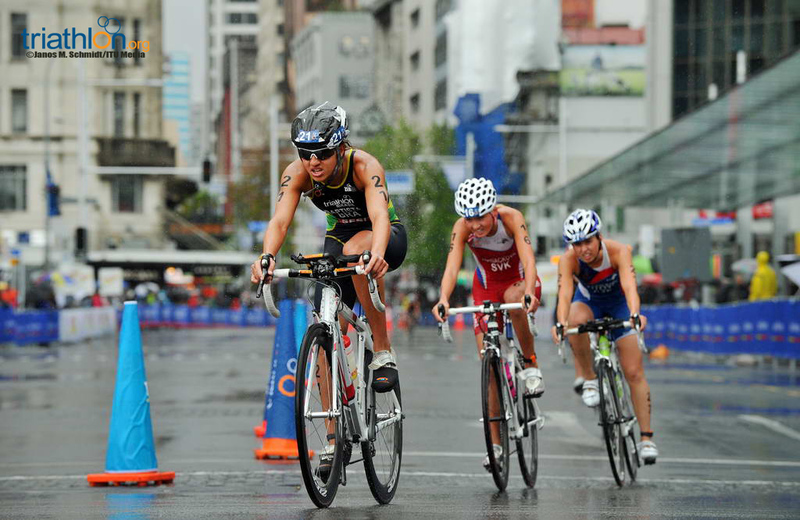 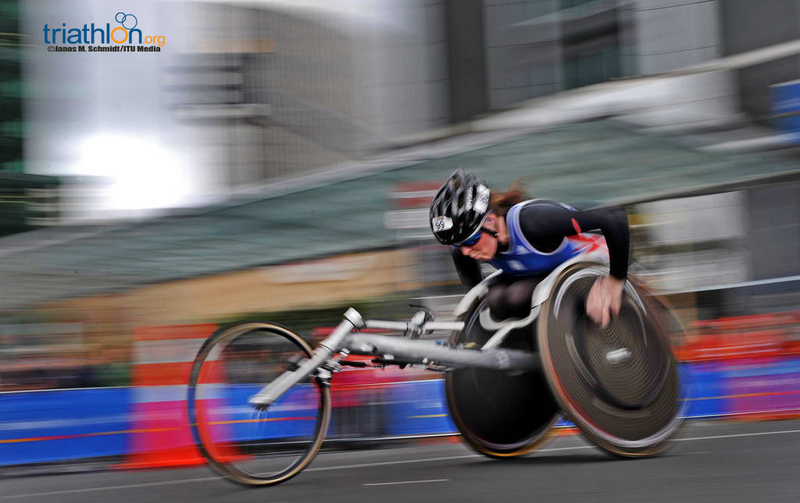 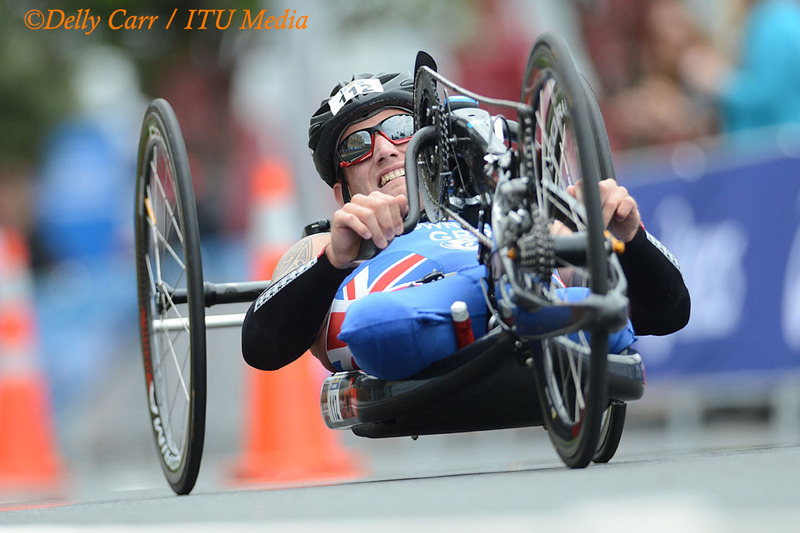 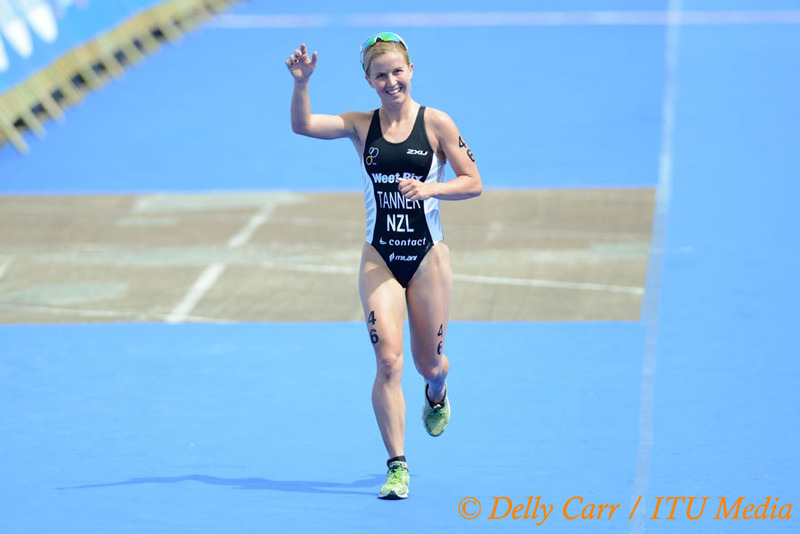 Her experience racing the world’s best will no doubt prove useful in Auckland. 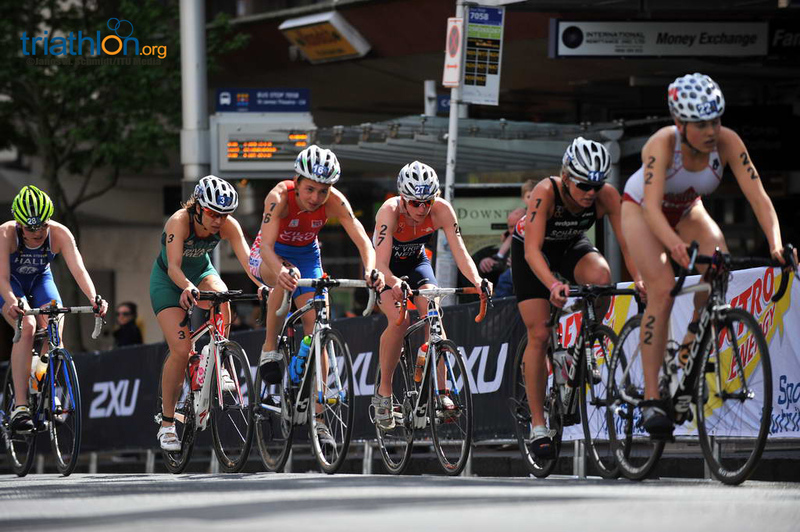 Like Van Coevorden, Charlotte McShane (AUS) has spent the last year ramping up her elite racing experience. 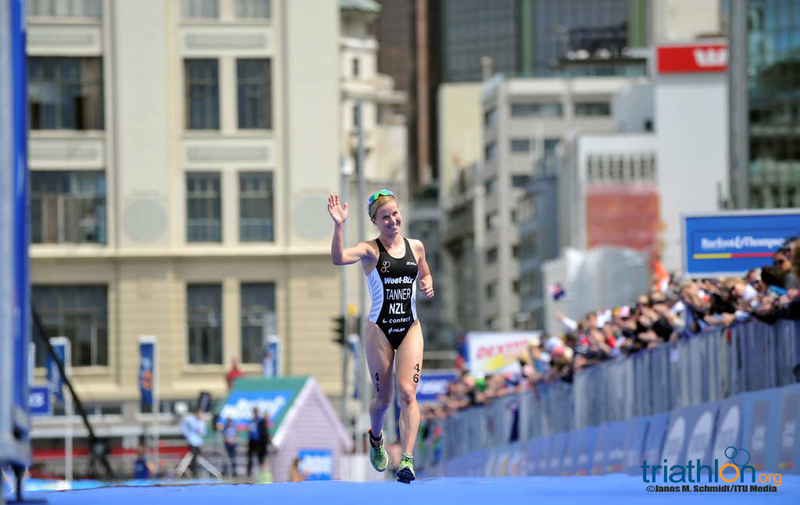 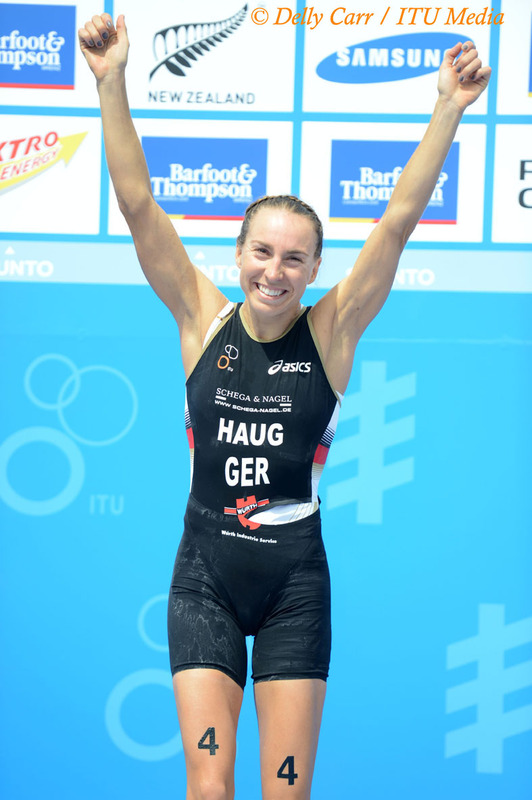 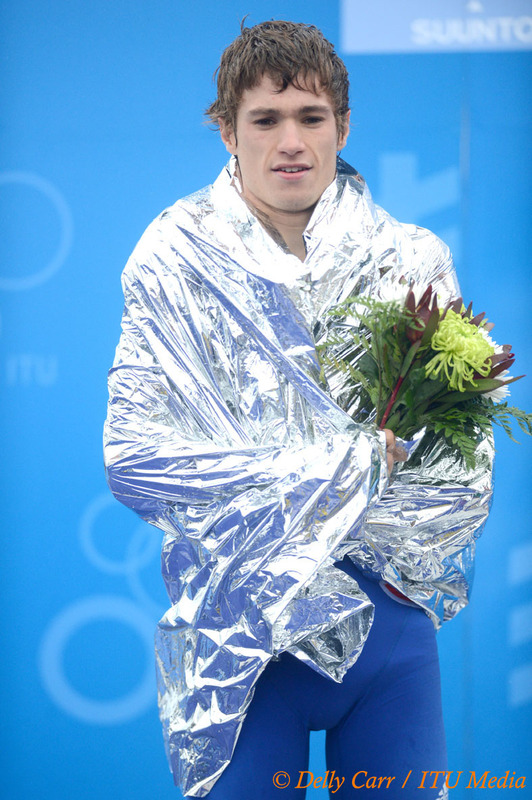 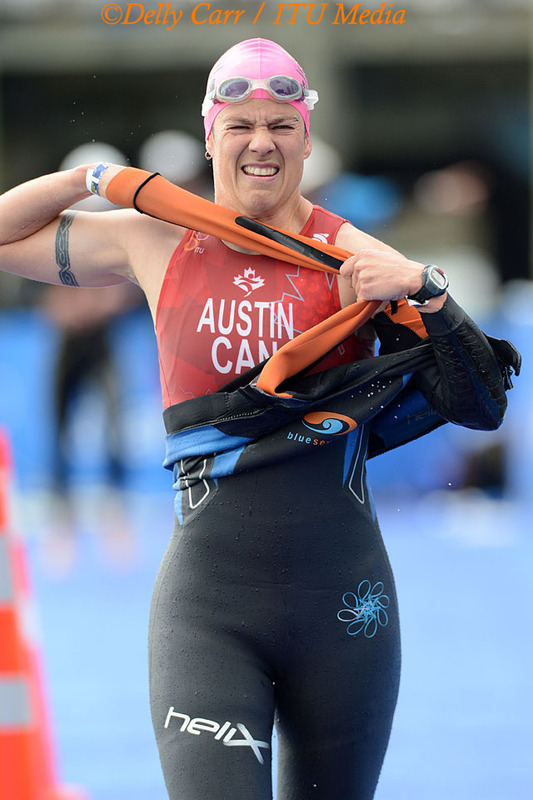 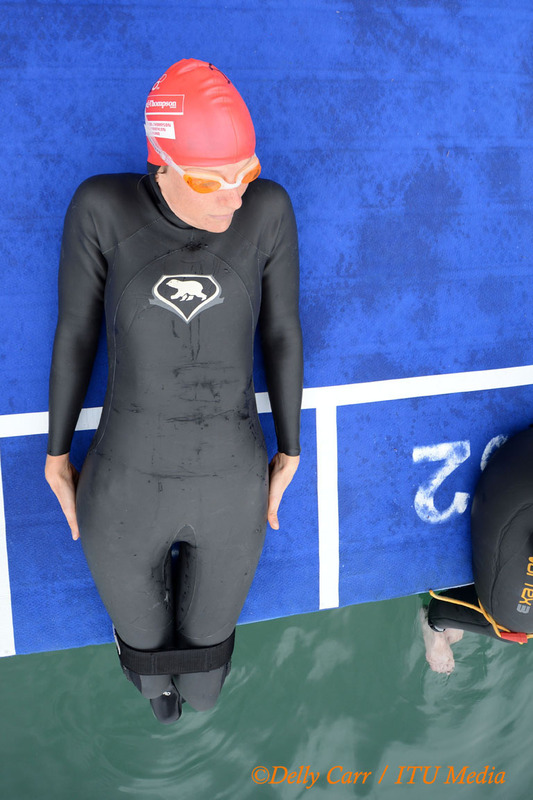 She appears to be gaining steam in the back half of the season, having just barely missed out on two World Cup podiums in Tiszaujvaros and Tongyeong this year. 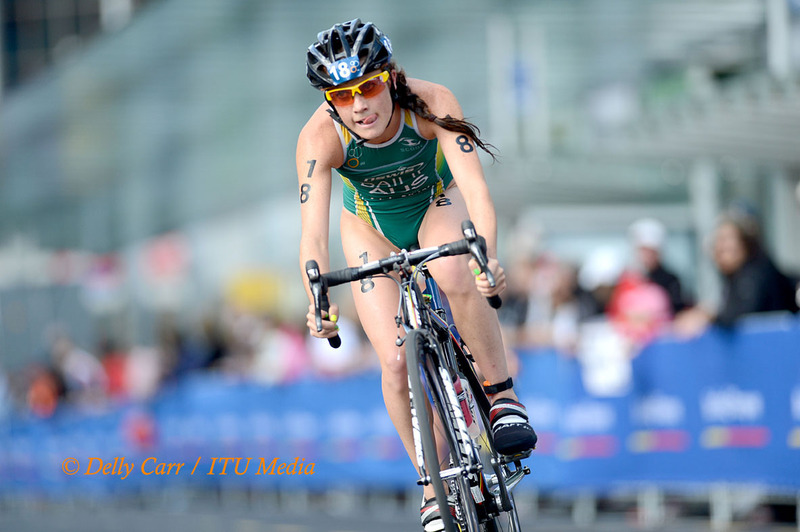 Ashlee Bailie (AUS) jumps up to the U23 category this year after taking silver in last year’s Junior World Championships in Beijing. 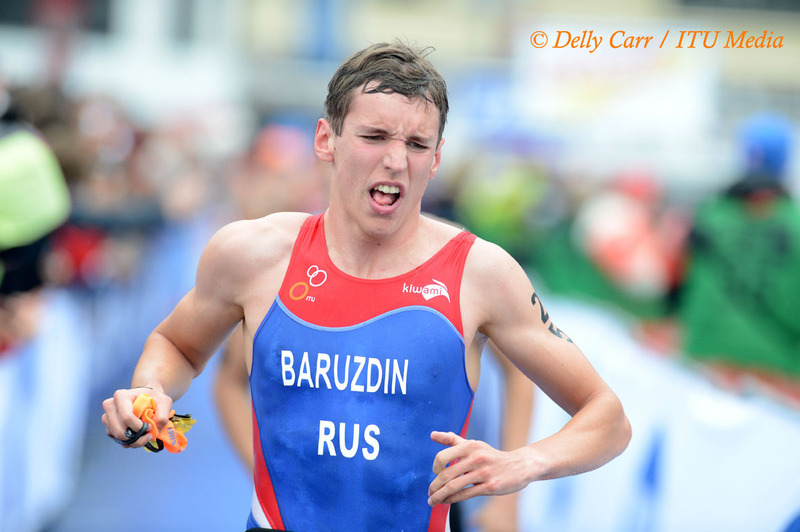 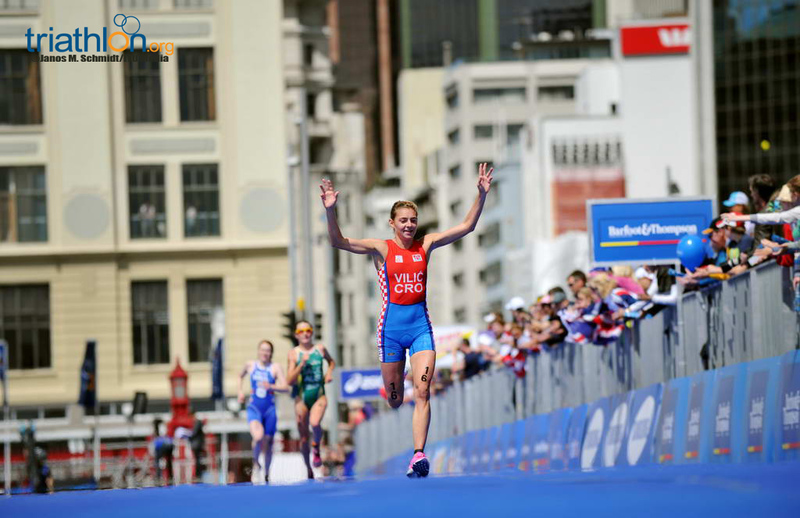 Mariya Shorets (RUS) raced with the elites in the Grand Final in Beijing last year, but like Charayron, has opted to challenge for the coveted U23 title in Auckland. 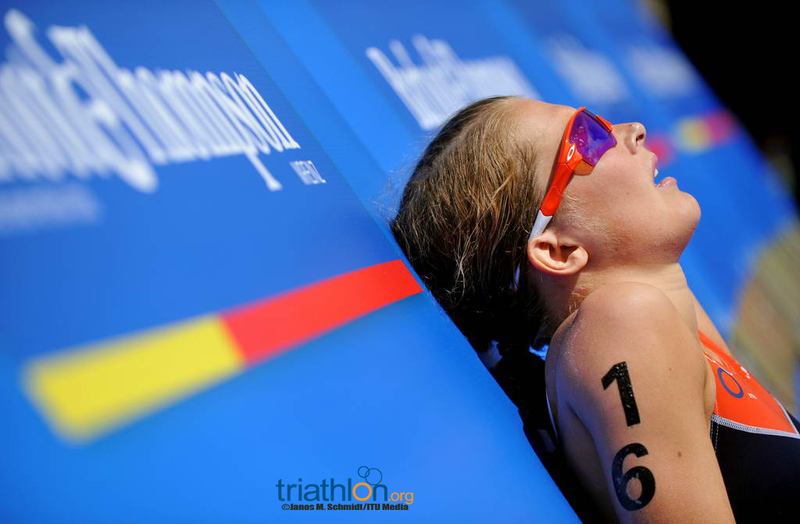 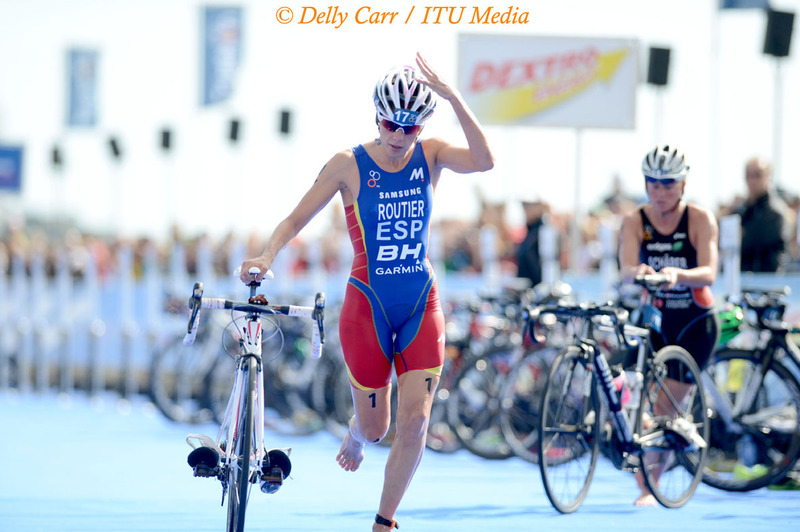 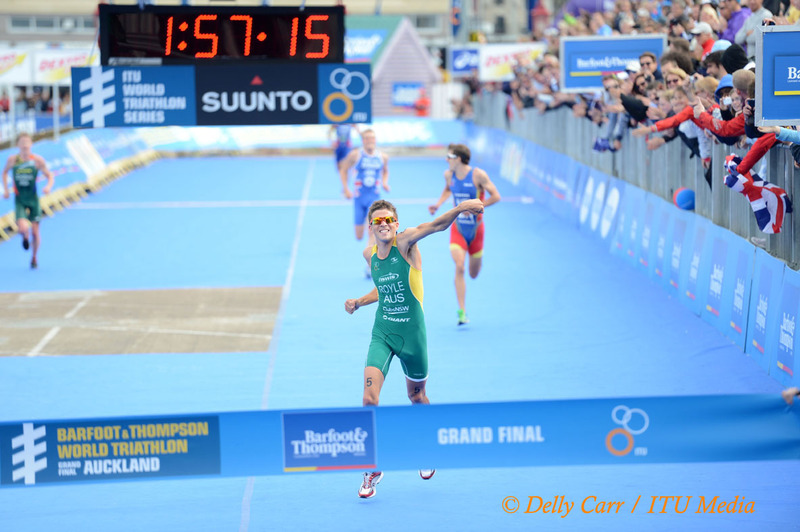 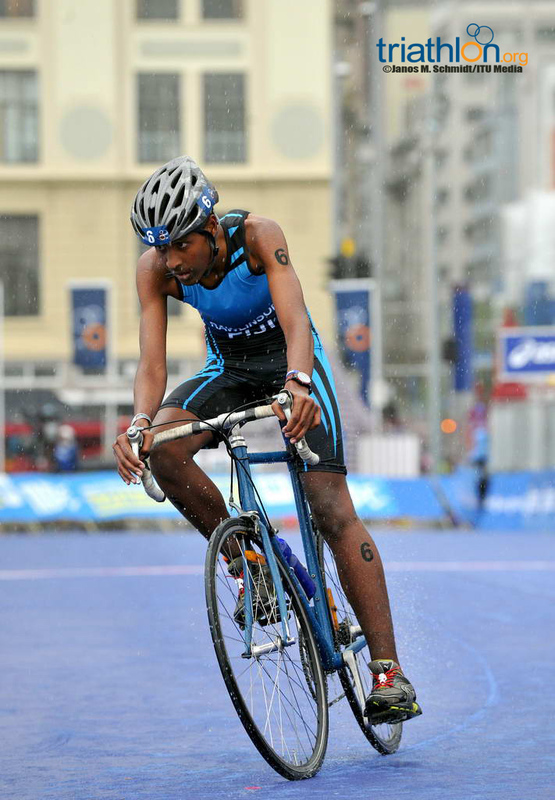 Despite her young age, she has been a consistent face on the elite circuit looking for that breakthrough race. 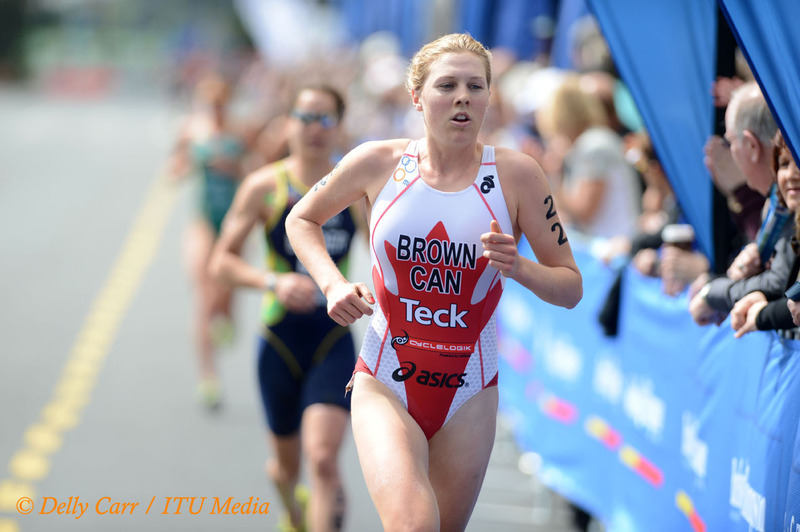 Canada is the most represented country in the U23 women’s field with five entrants, including Joanna Brown, a bronze medallist from the 2010 Junior World Championships, and Ellen Pennock, who like Brown, has won an elite Continental Cup this year. 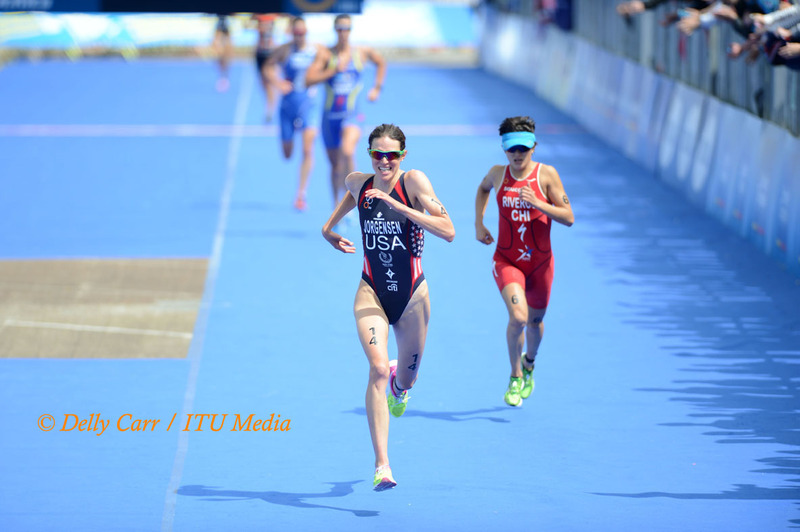 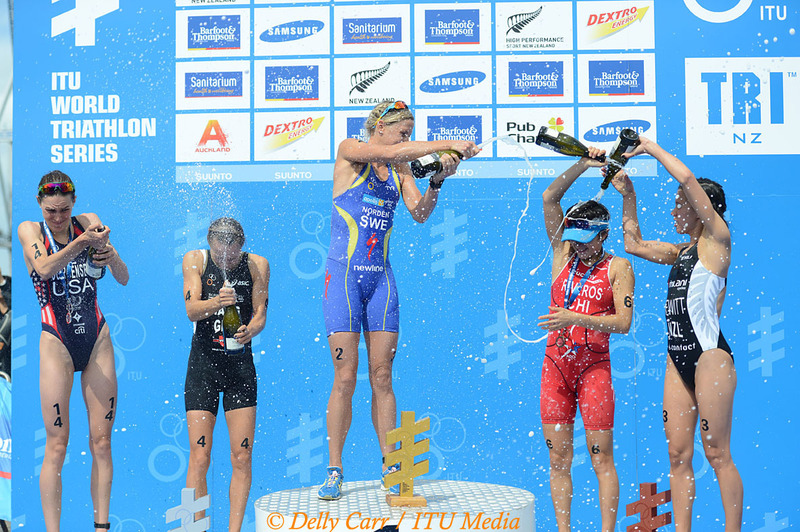 Kaitlin Shiver (USA) finished just off the podium in last year’s U23 World Championships in Beijing but she’ll coming into Auckland riding a wave of confidence after securing first World Cup podium earlier this month in Cancun. 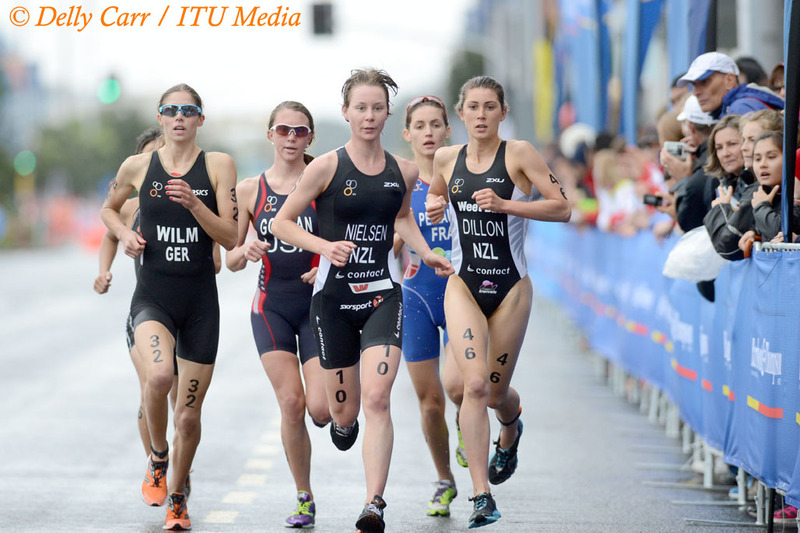 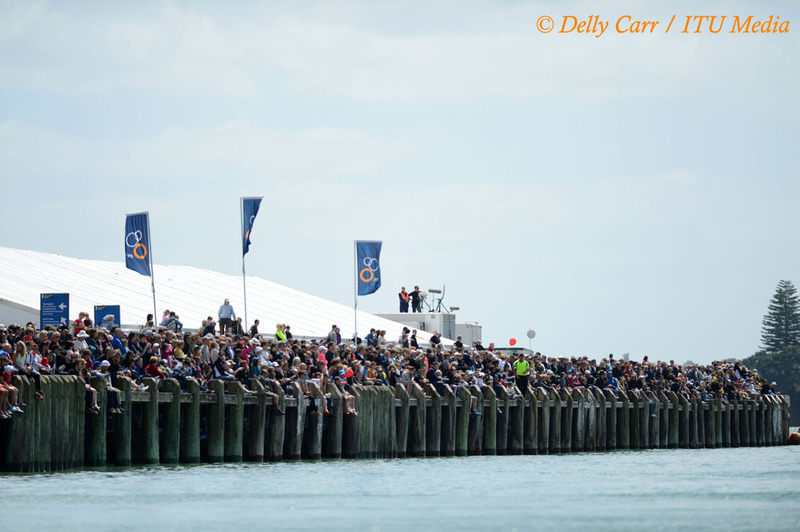 The U23 women will take off at 9:15am local time on October 20. 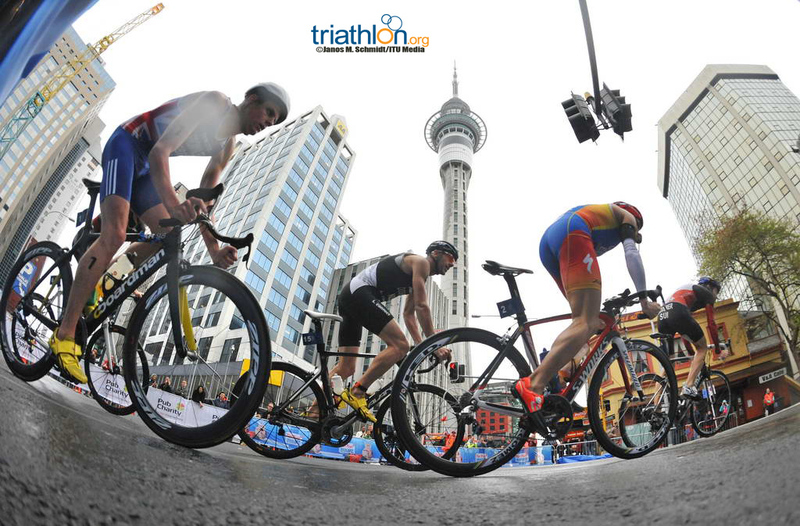 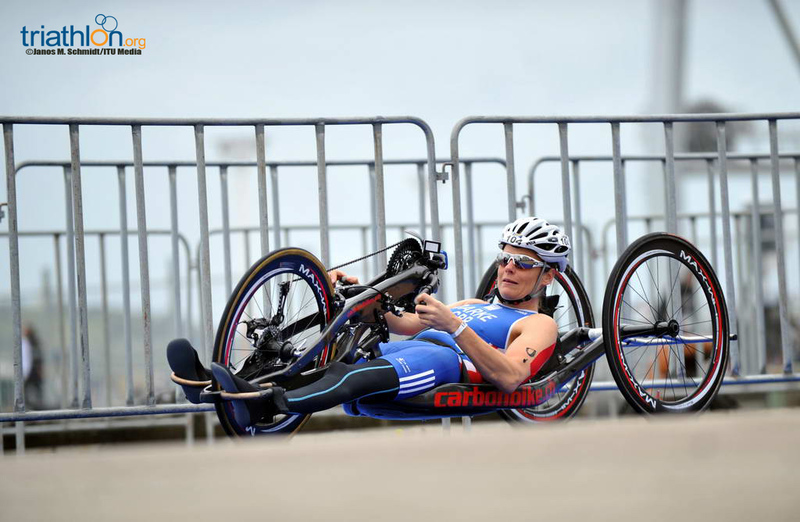 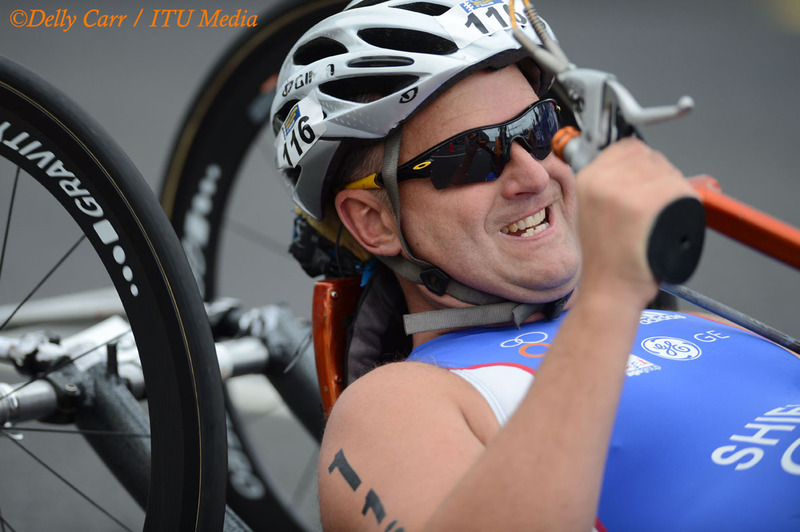 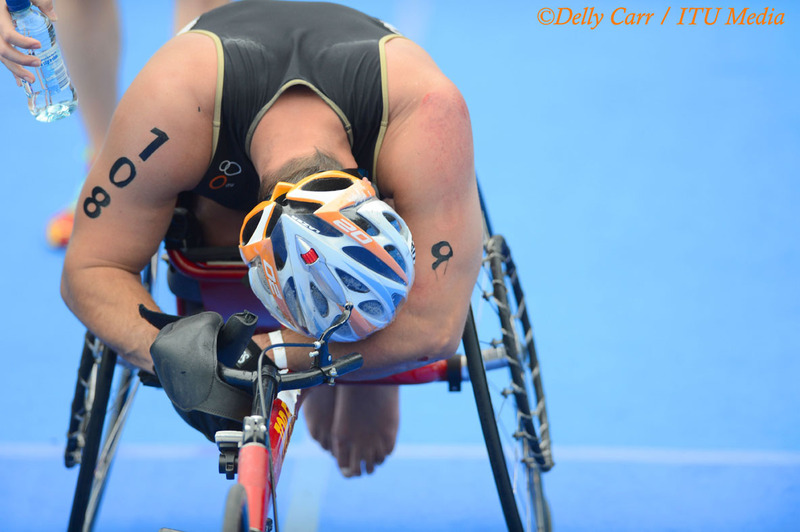 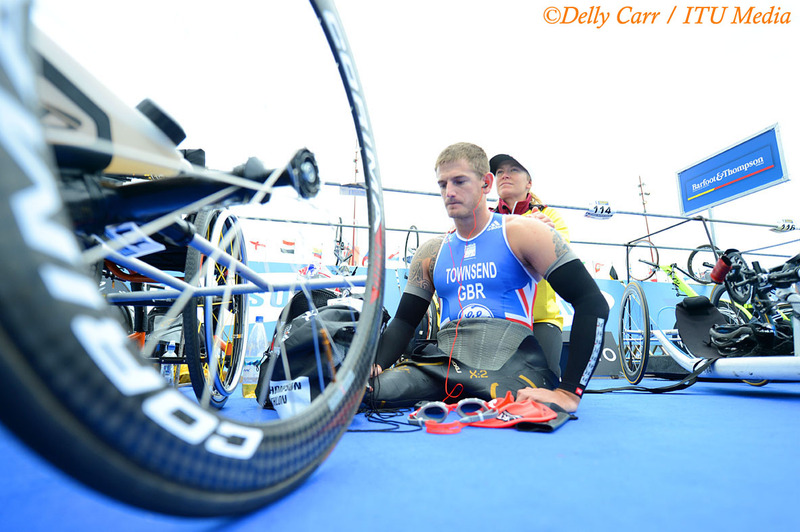 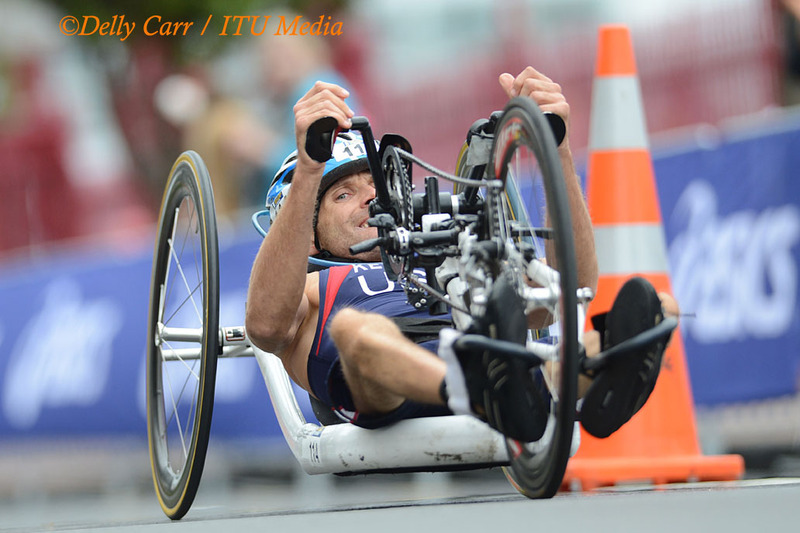 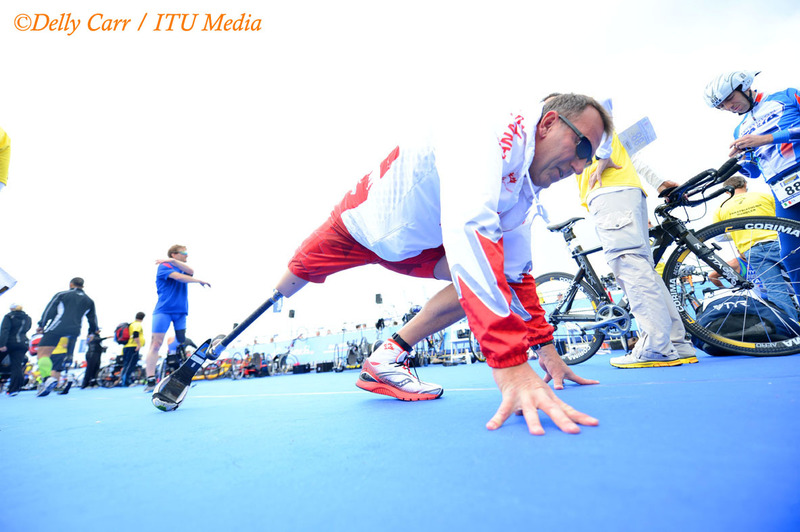 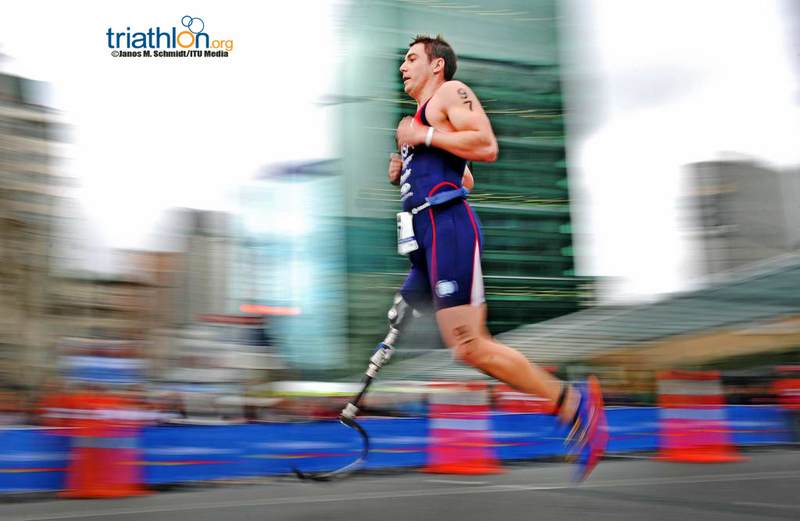 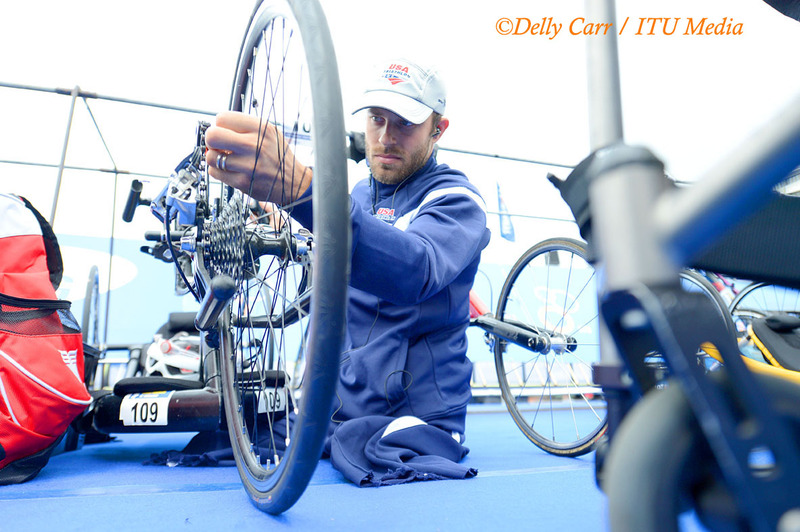 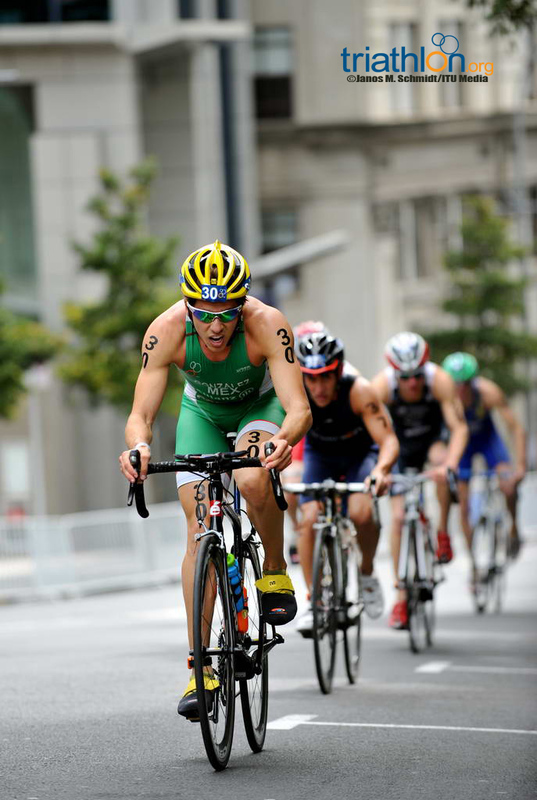 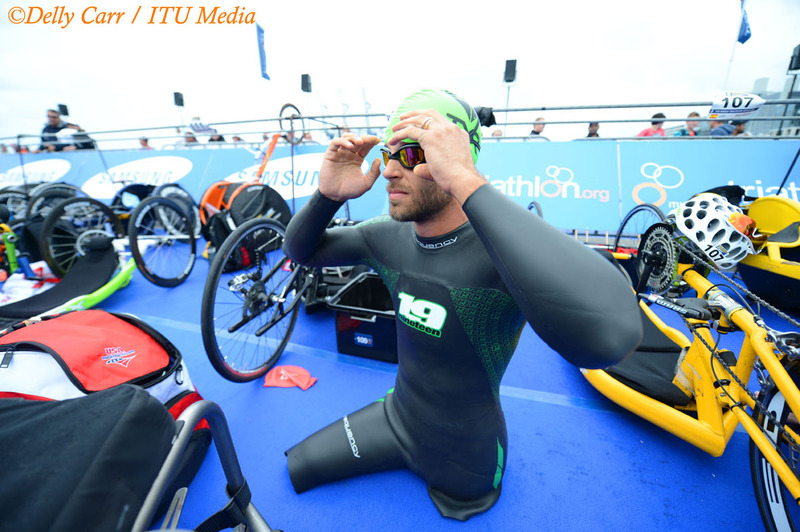 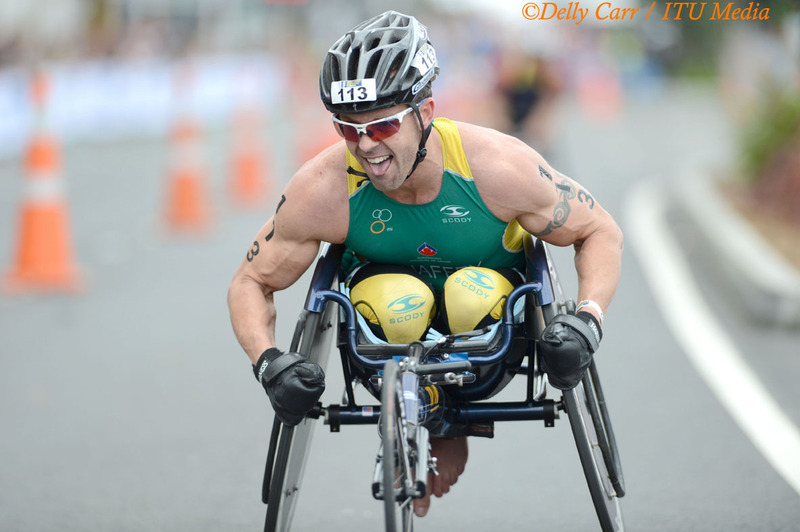 Follow the race at triathlon.org/live with a live finish camera and live timing. 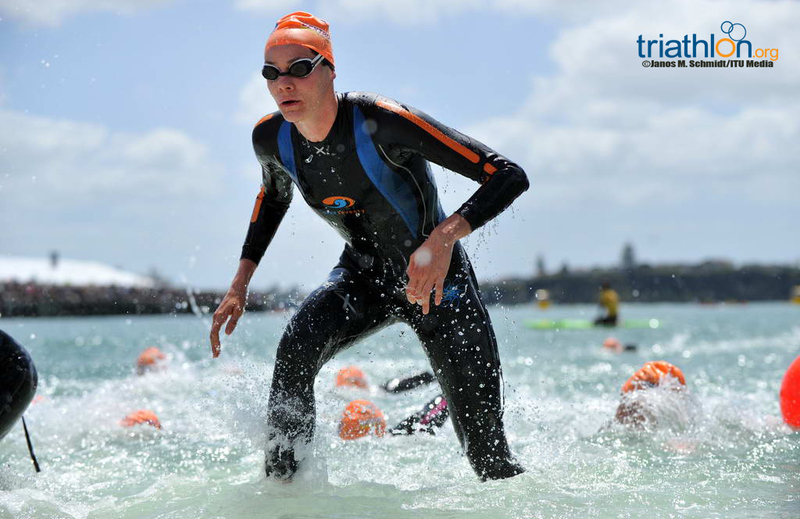 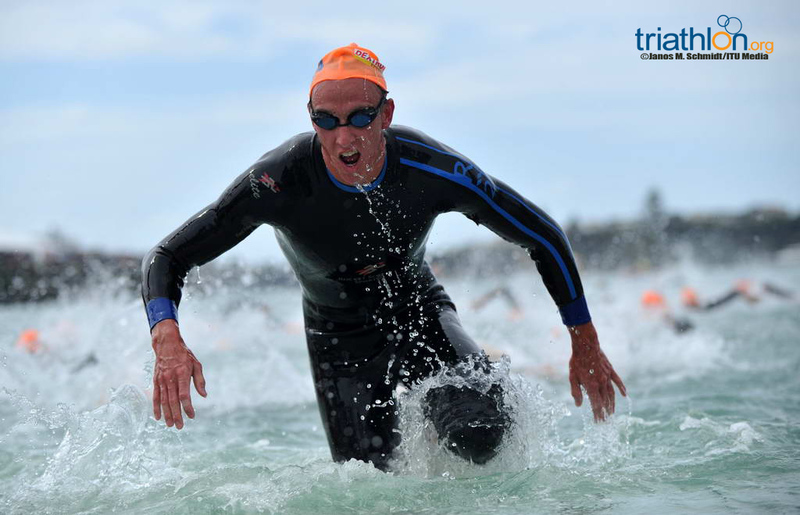 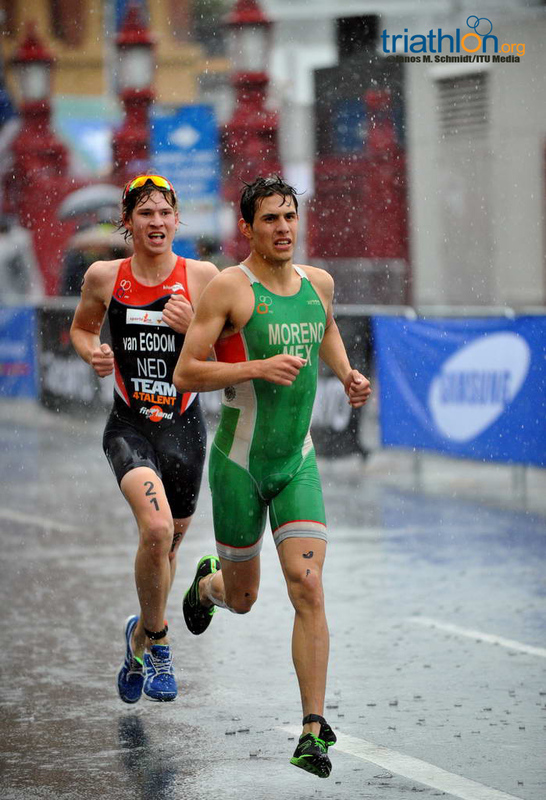 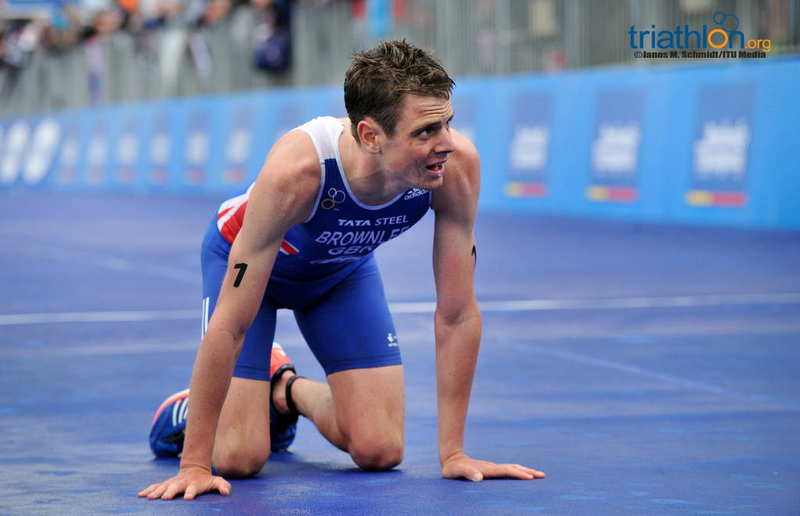 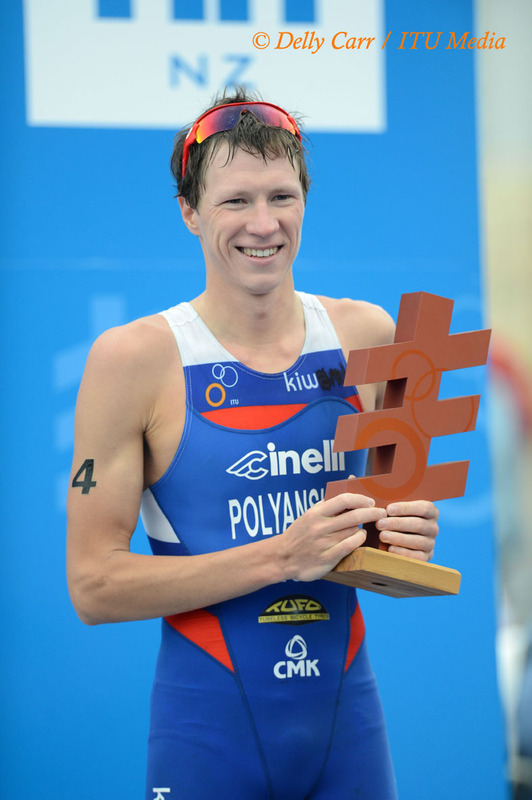 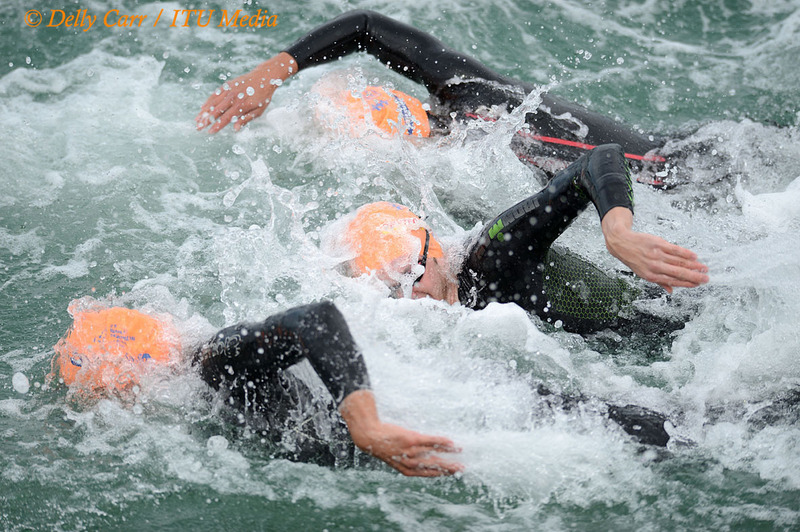 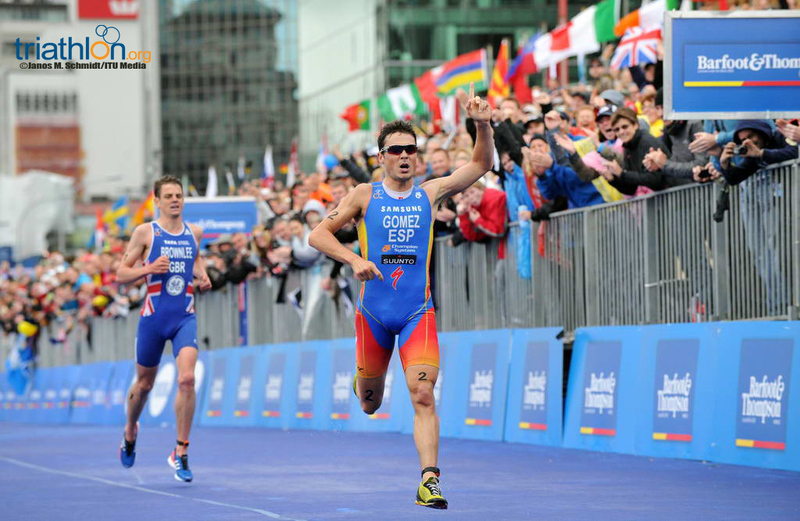 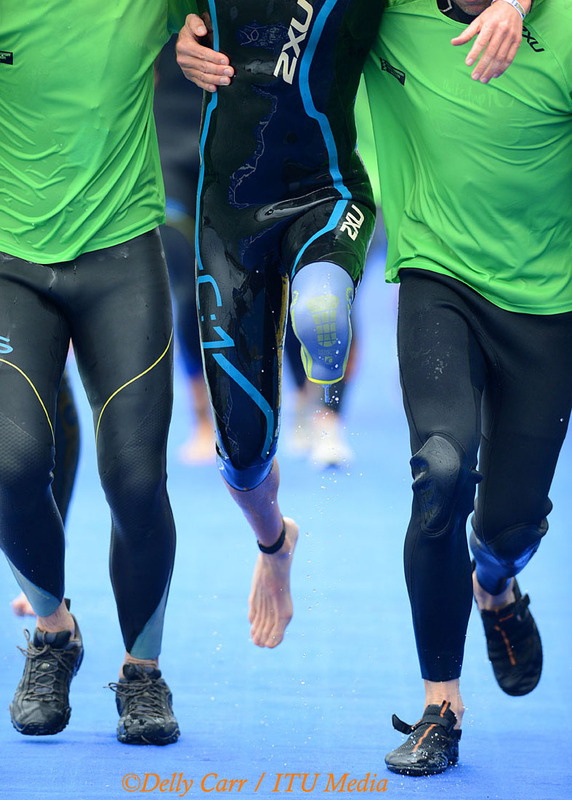 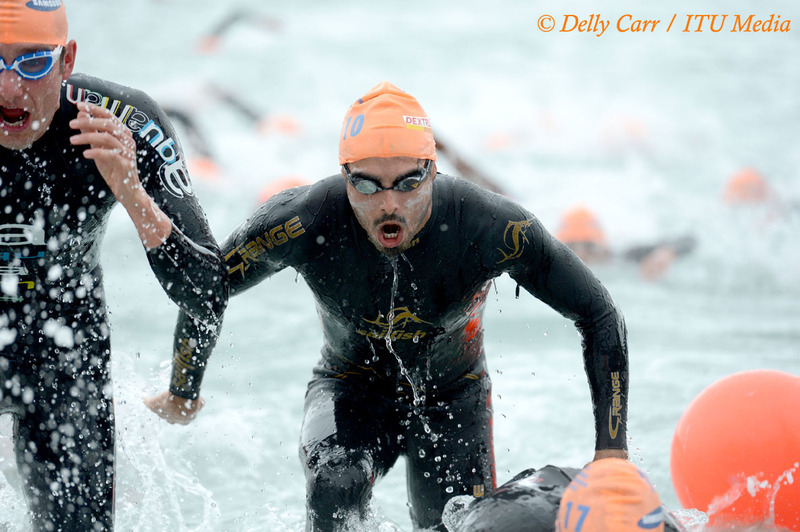 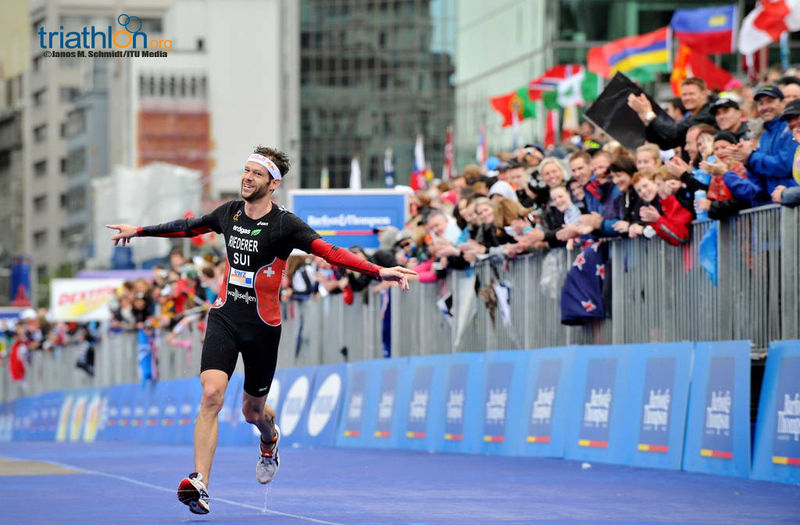 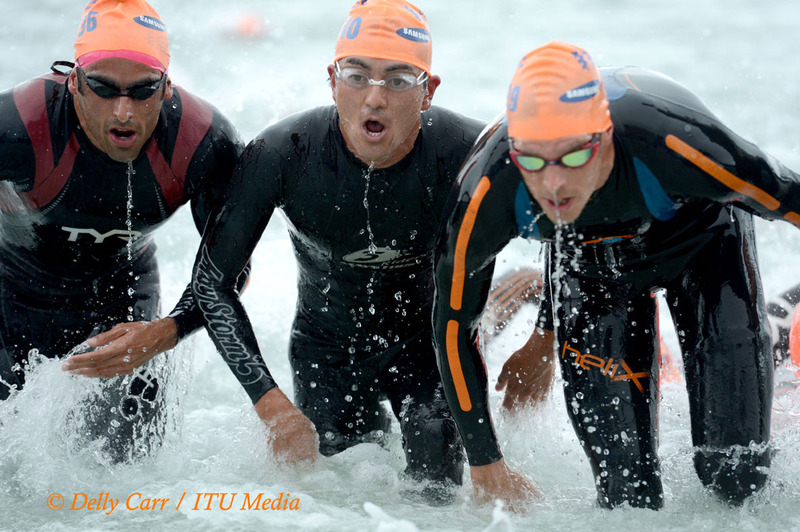 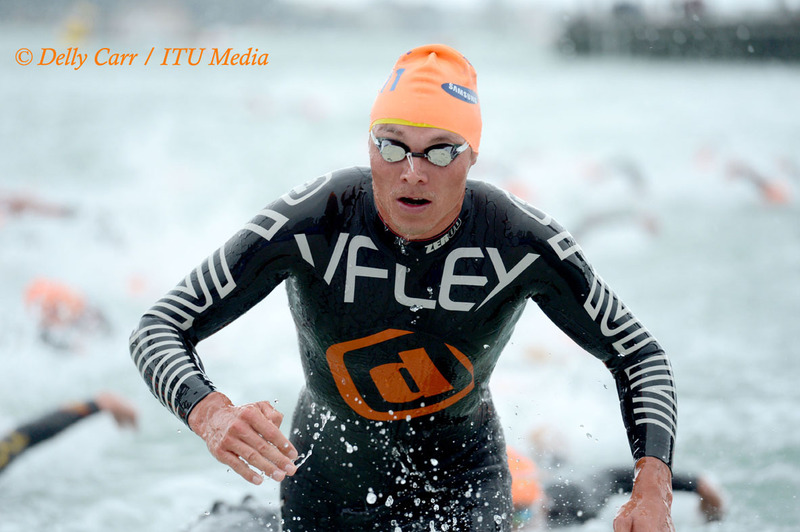 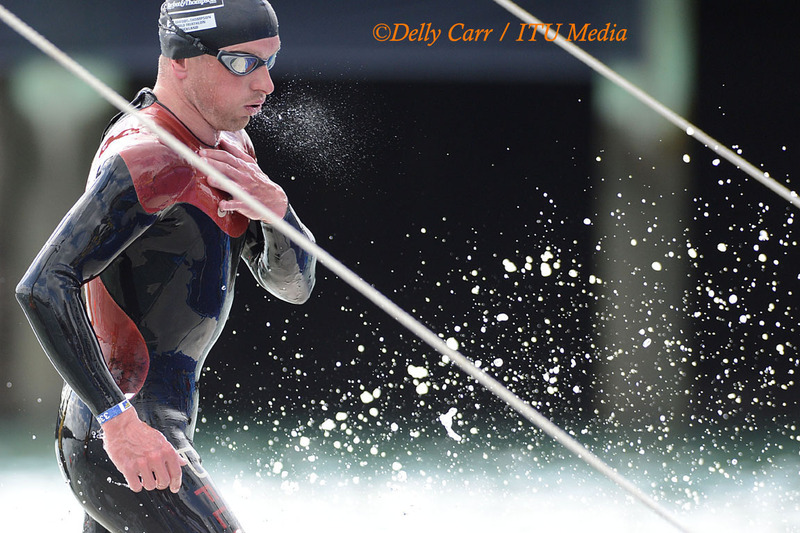 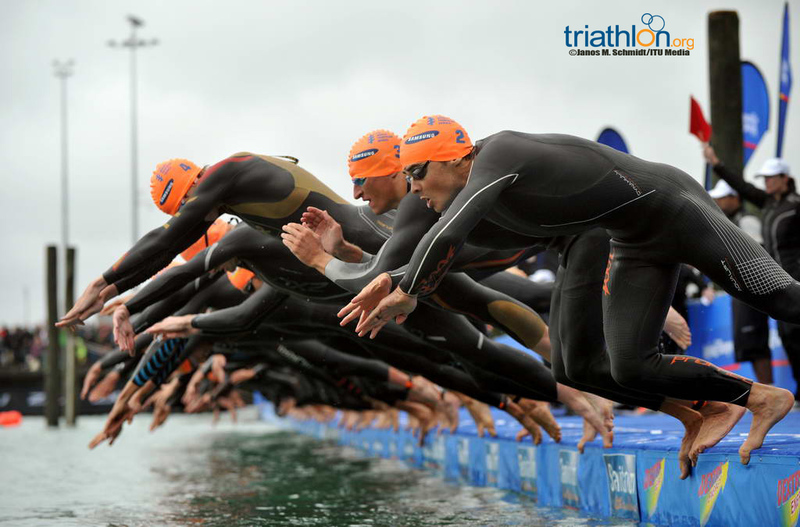 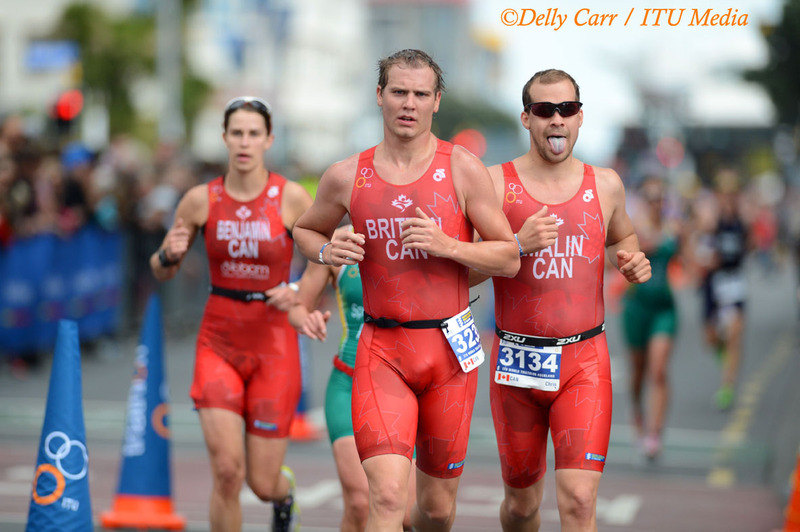 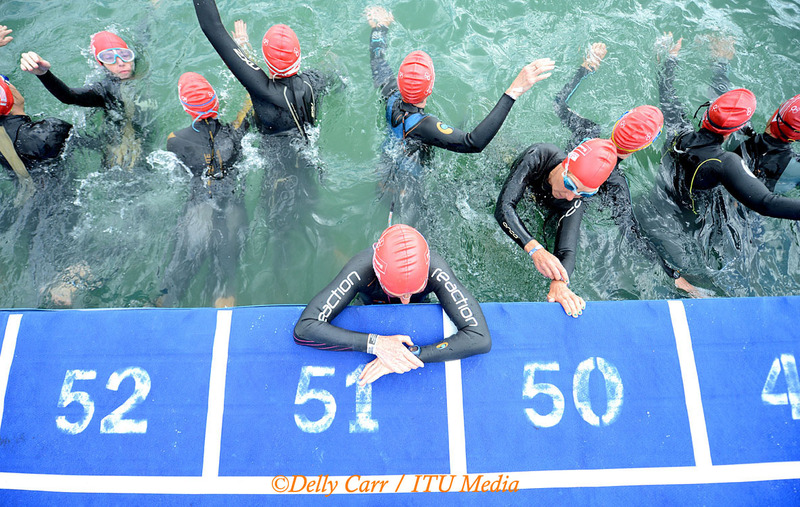 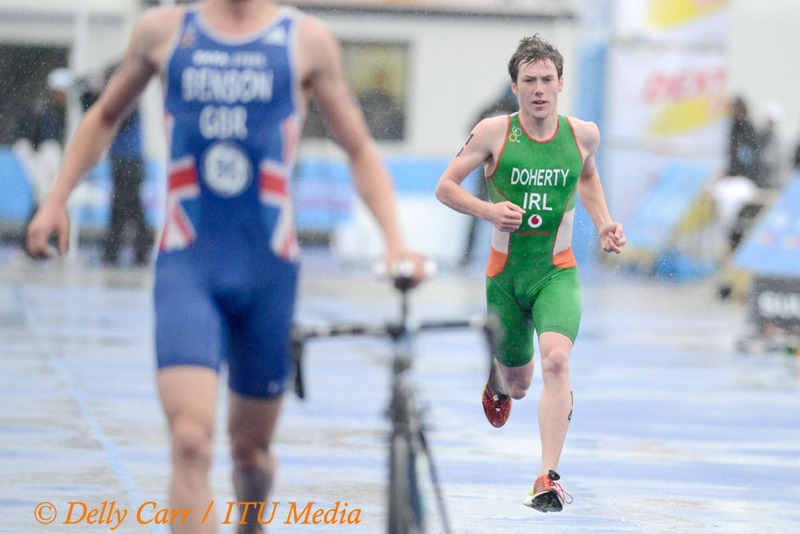 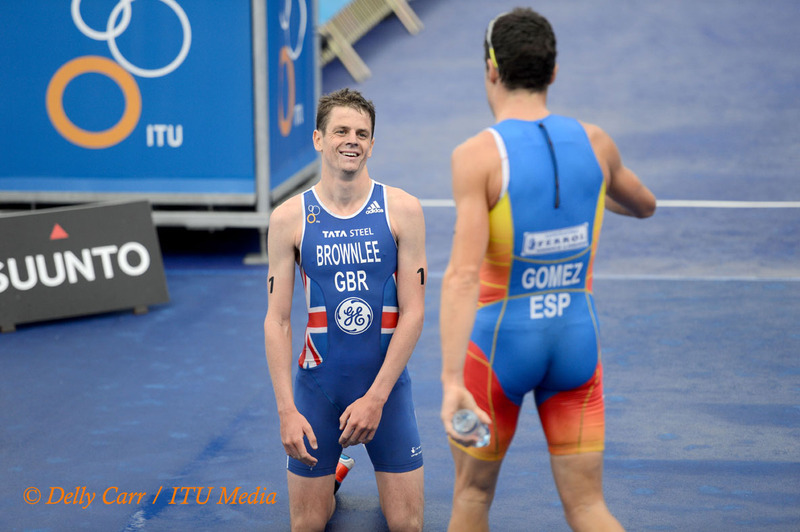 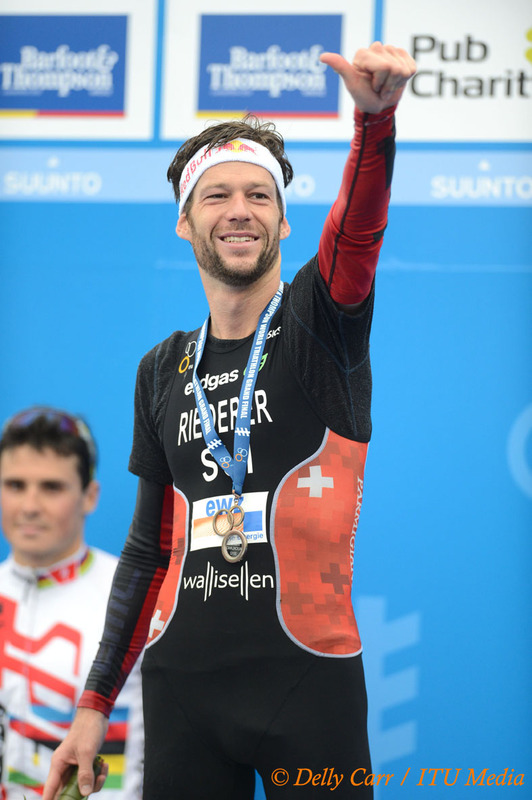 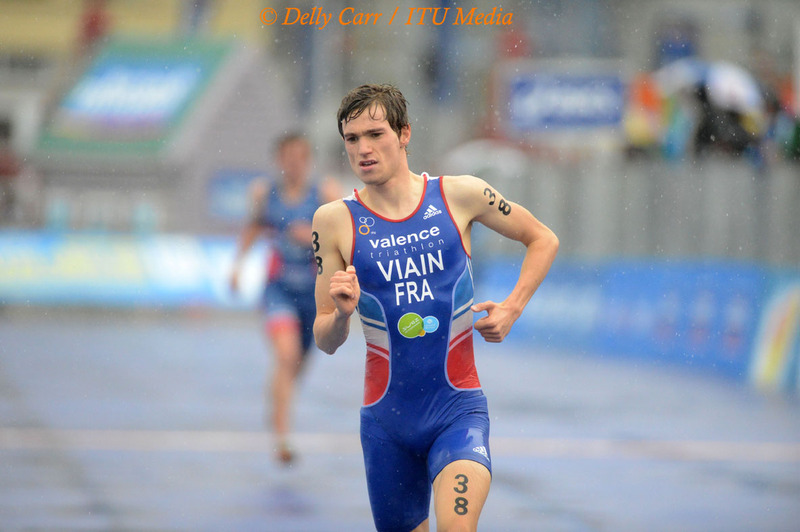 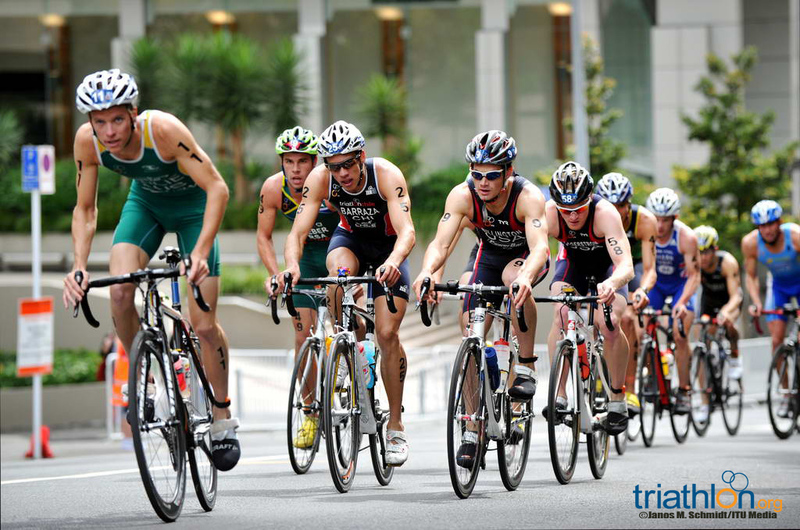 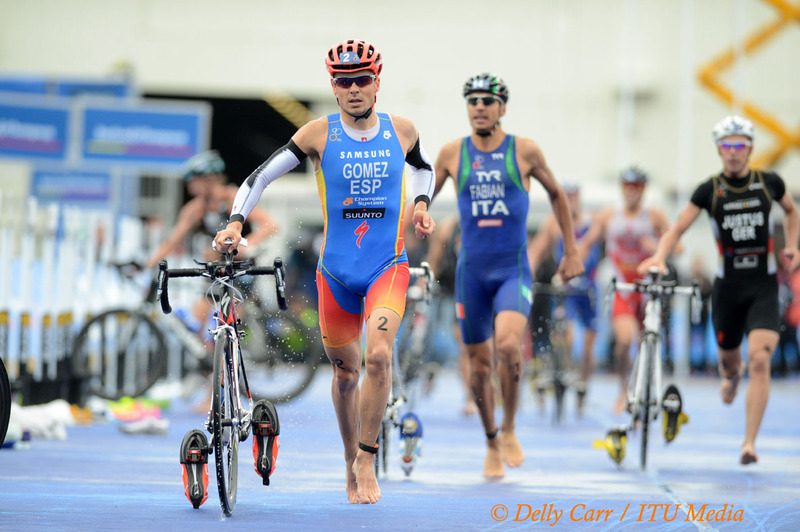 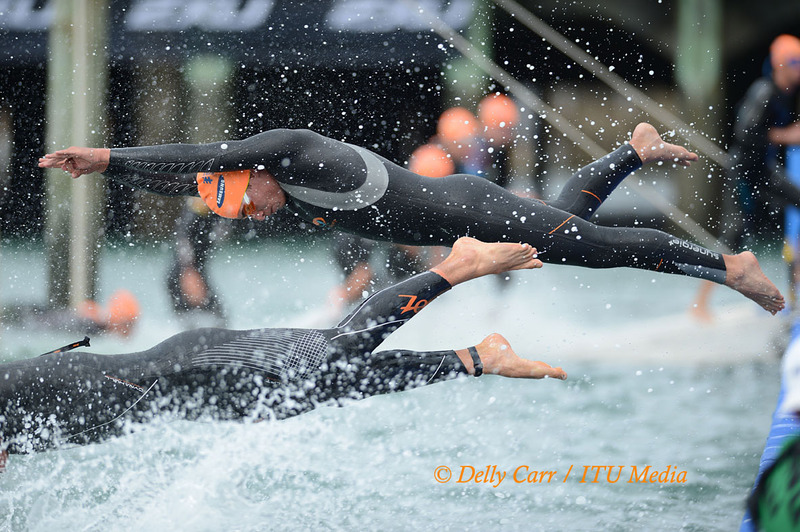 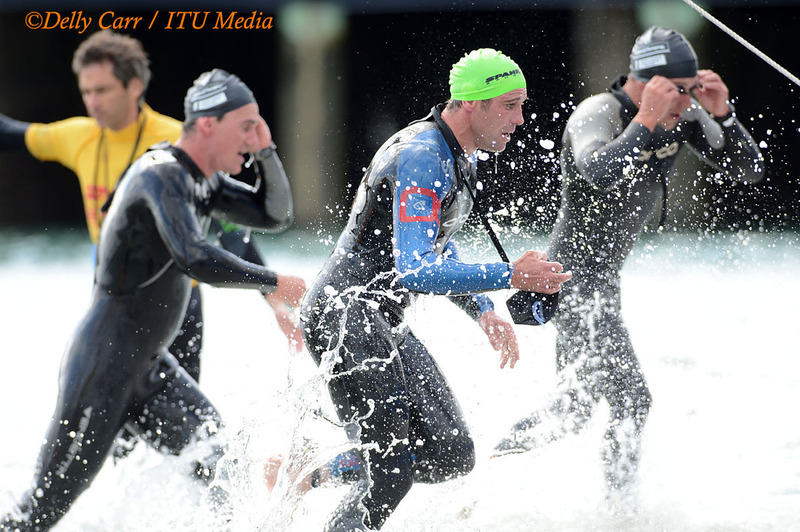 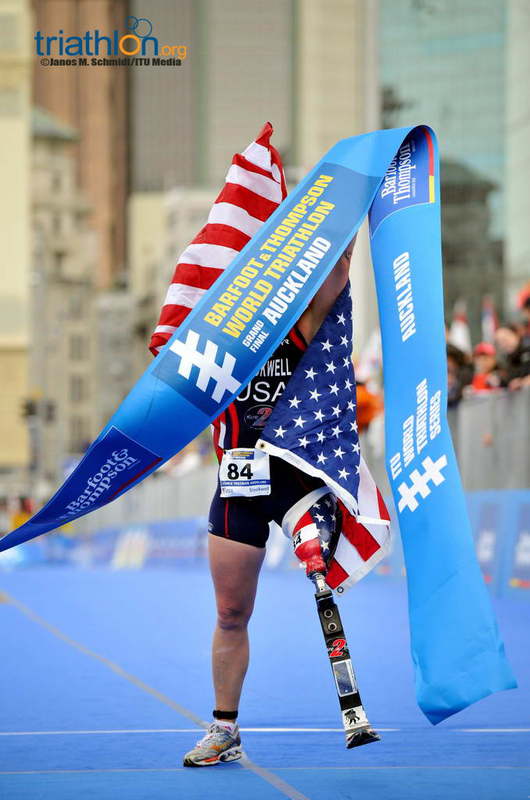 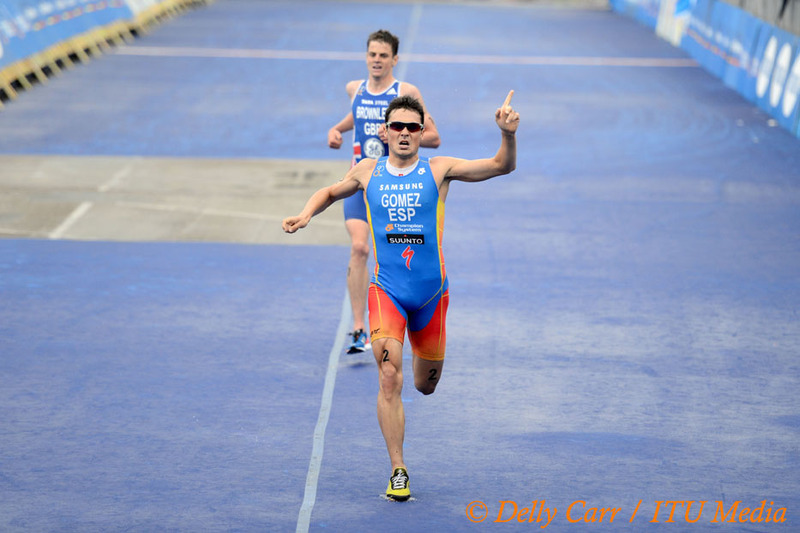 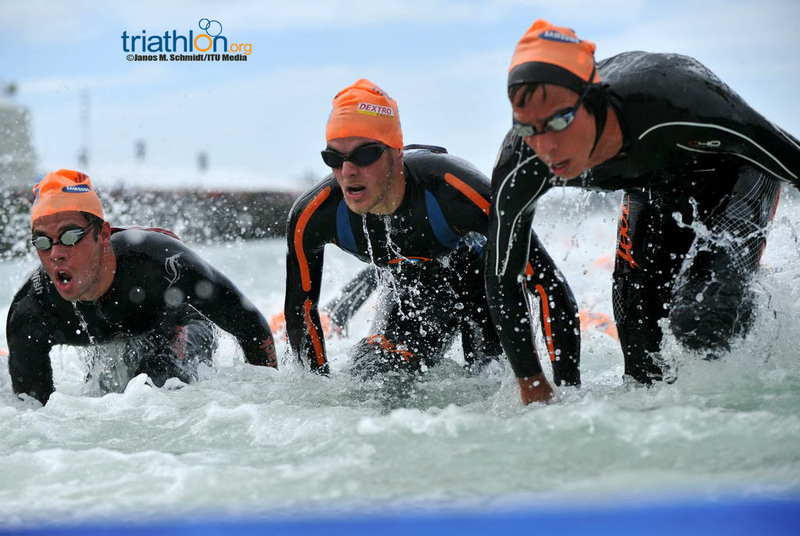 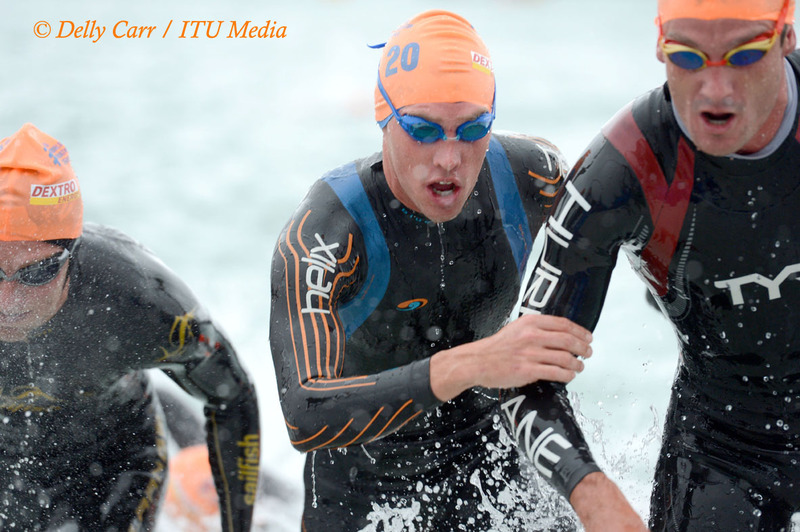 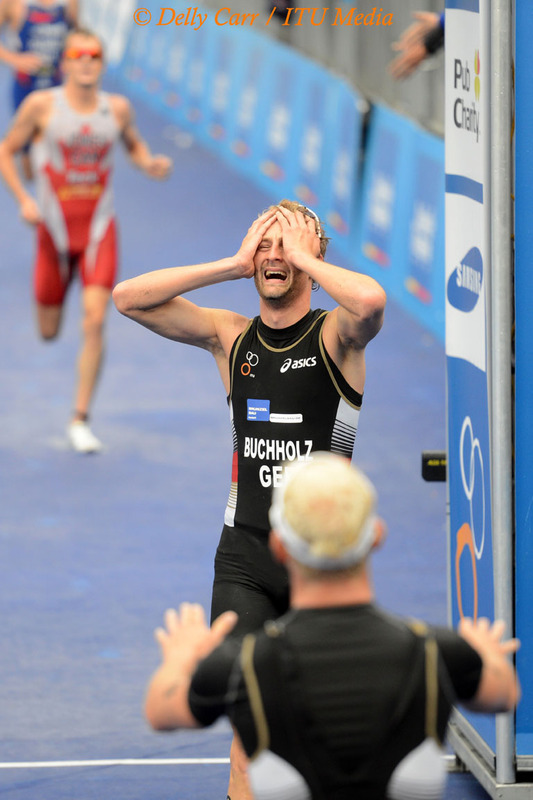 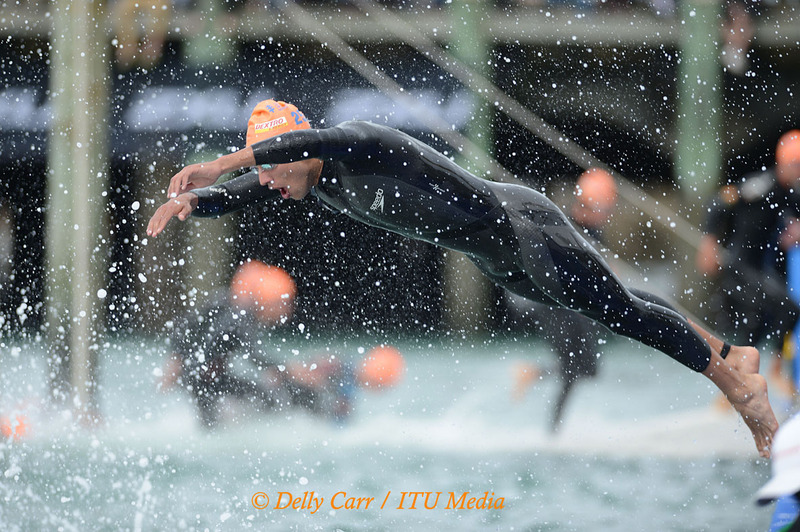 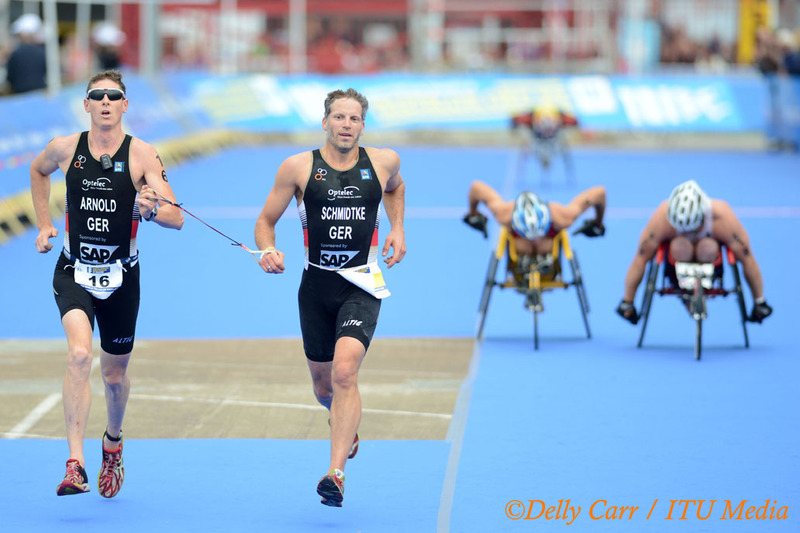 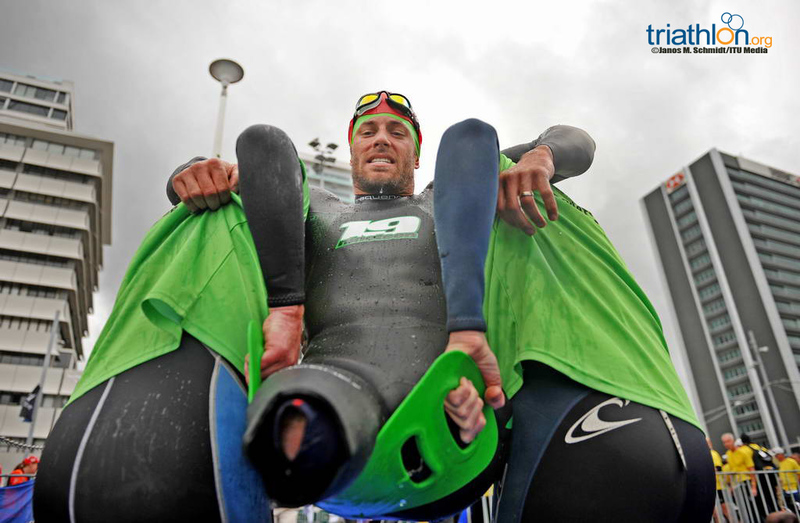 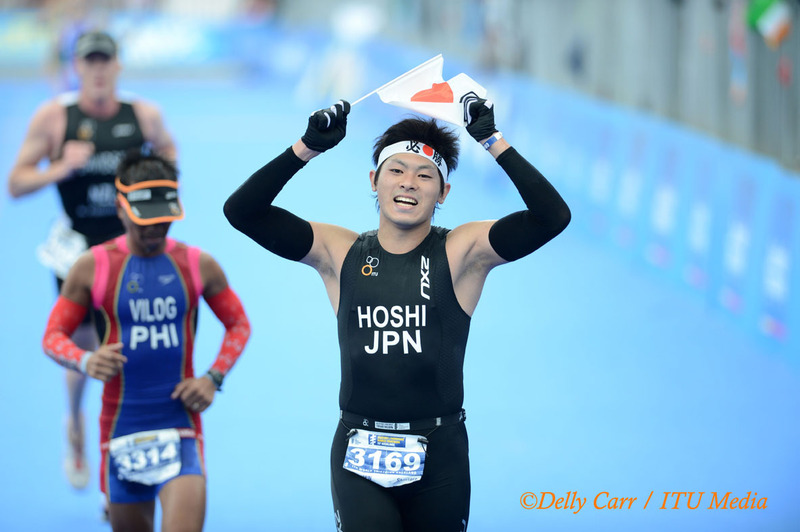 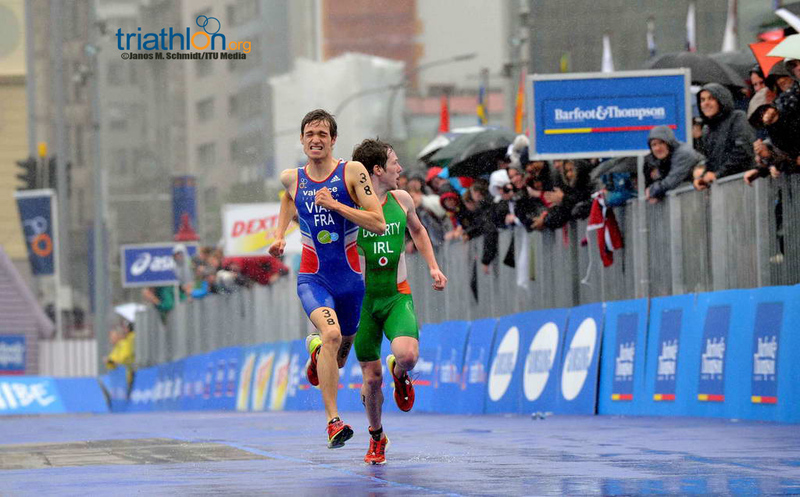 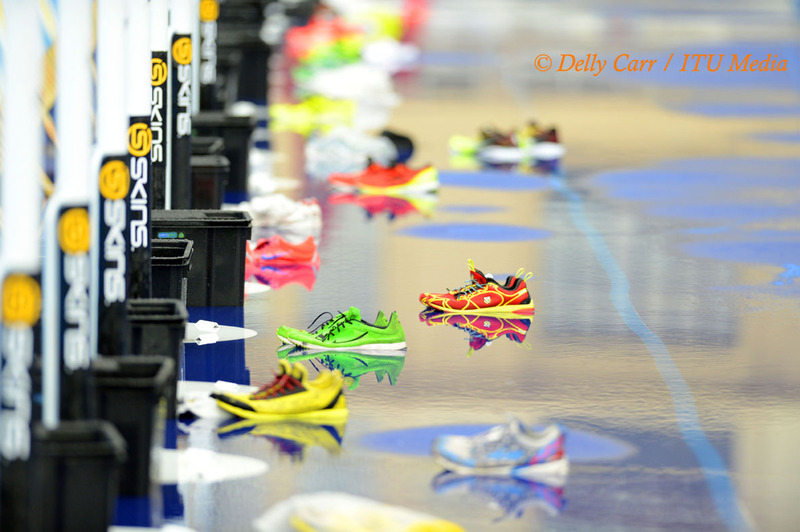 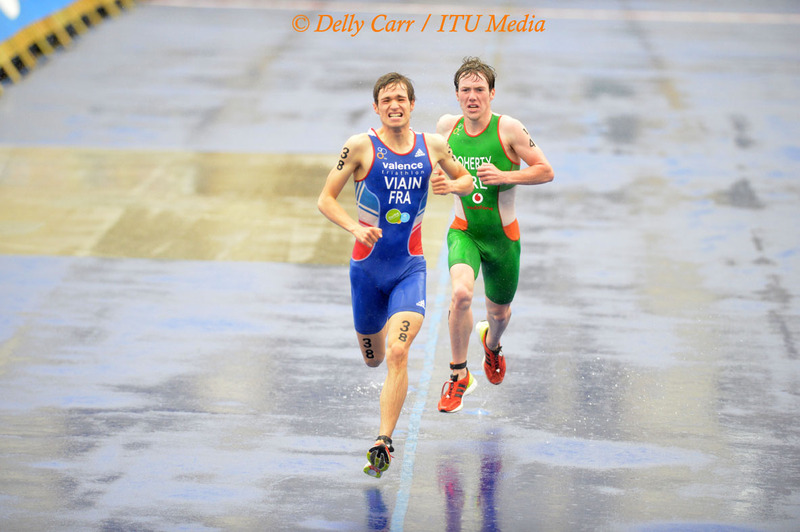 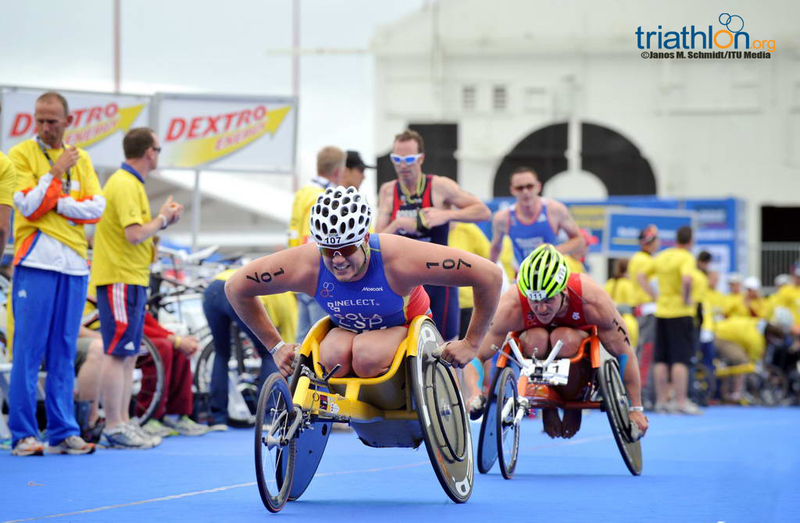 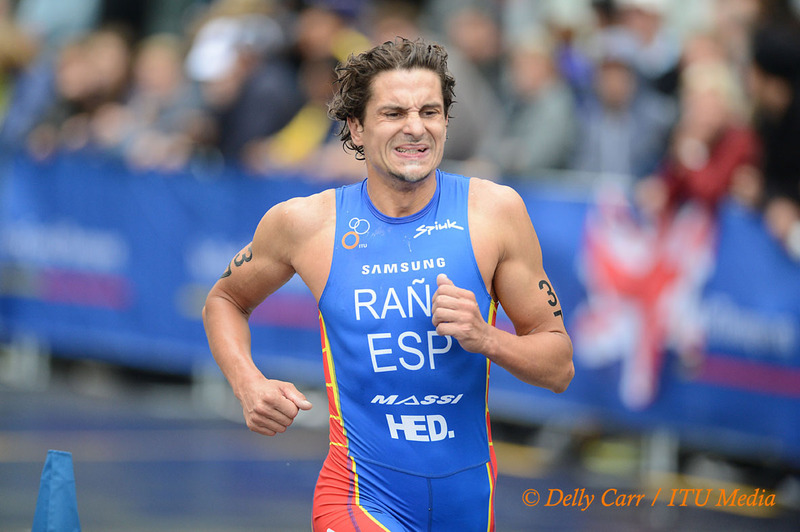 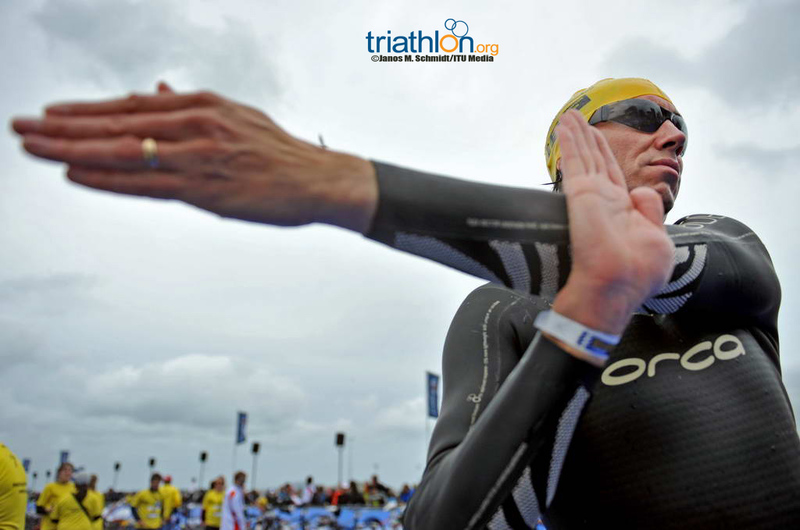 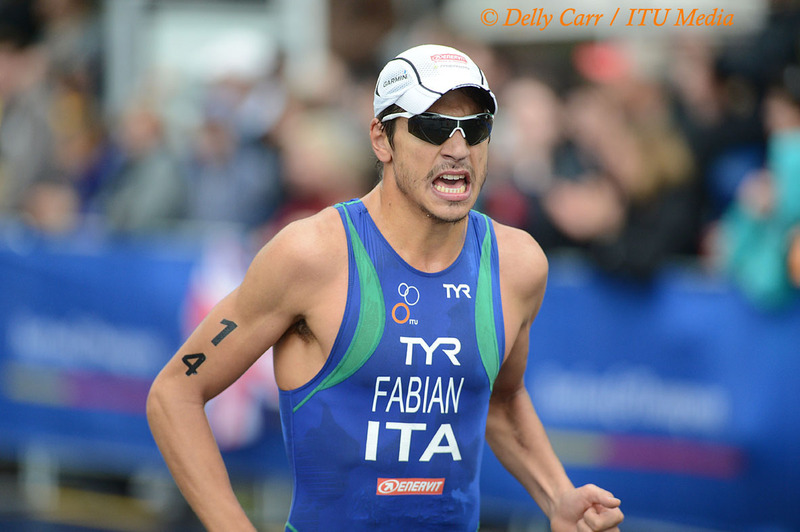 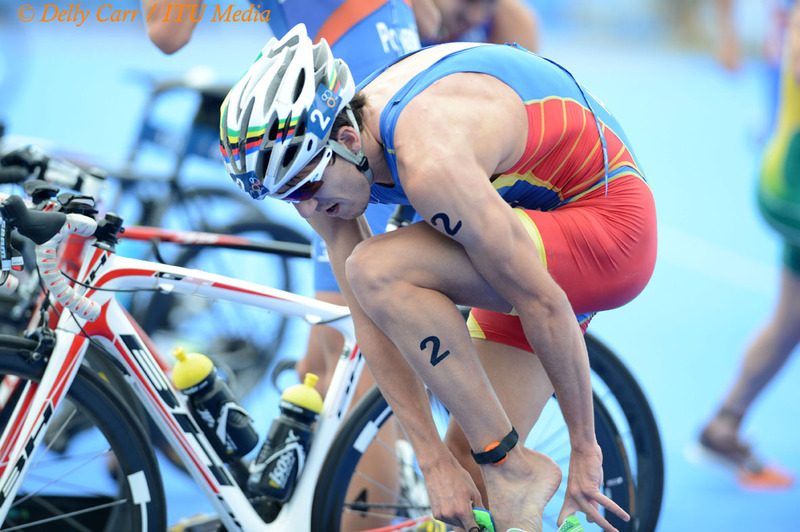 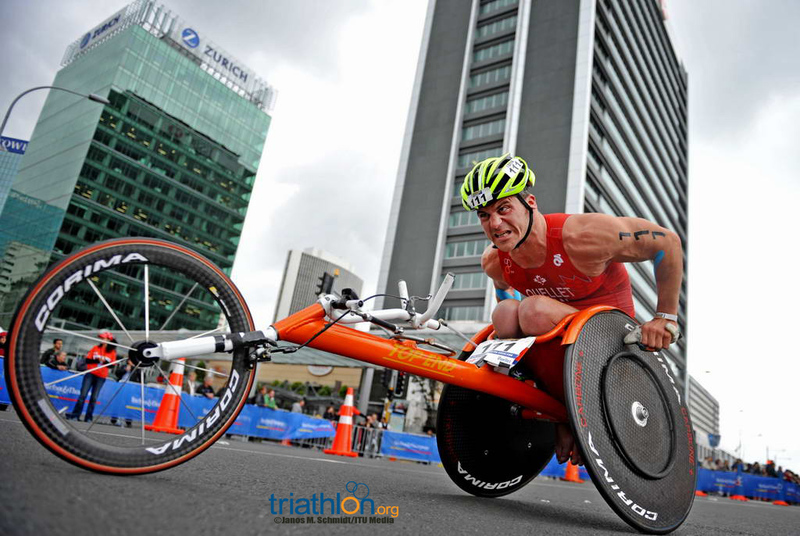 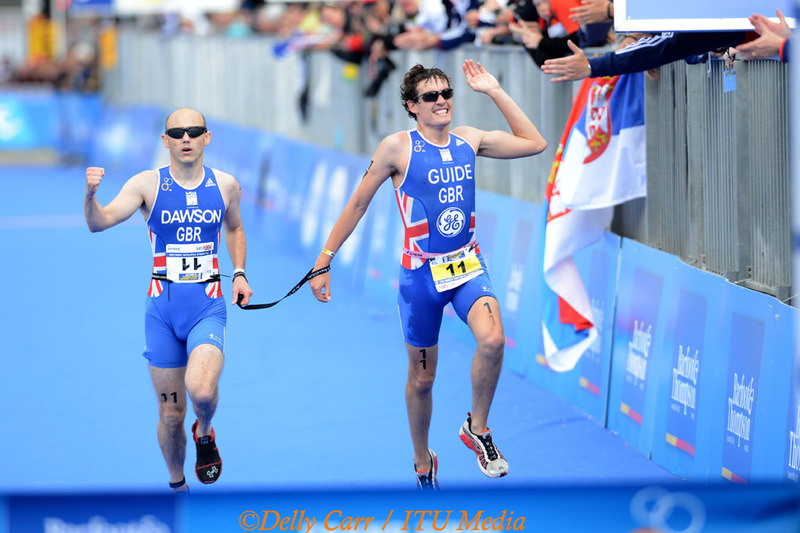 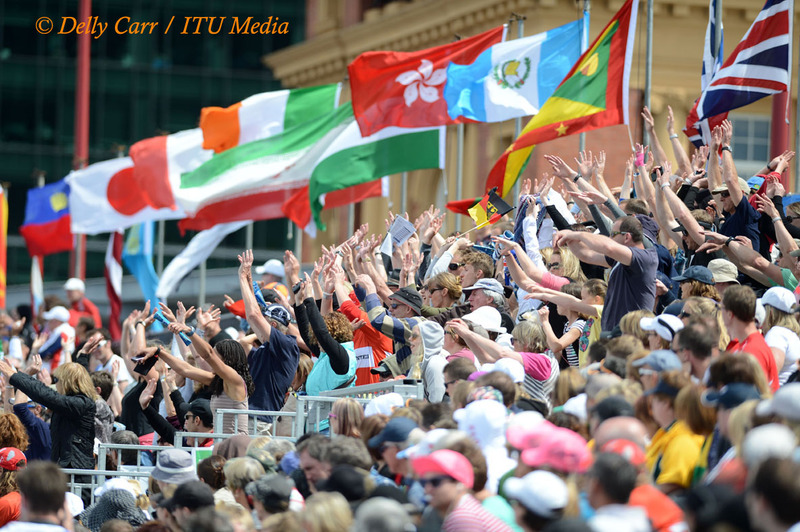 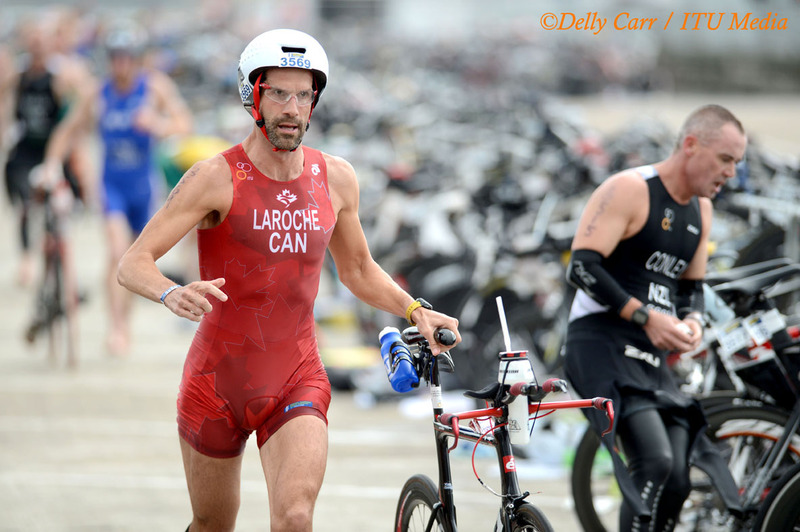 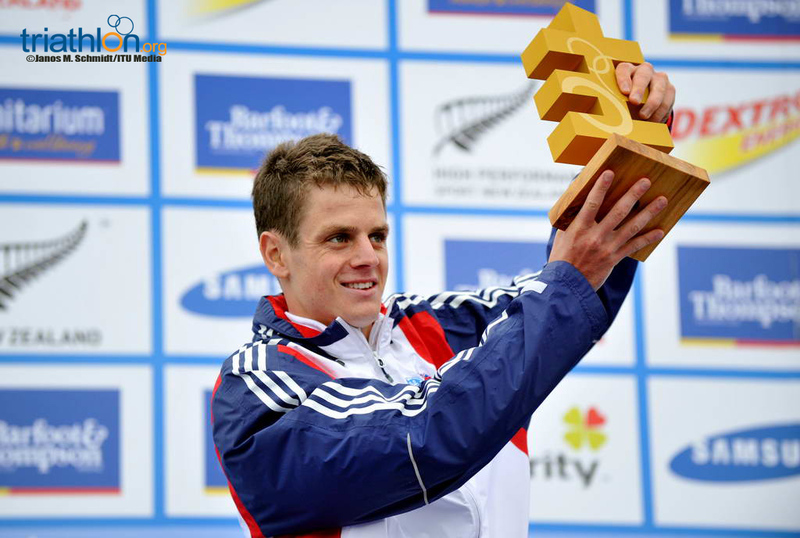 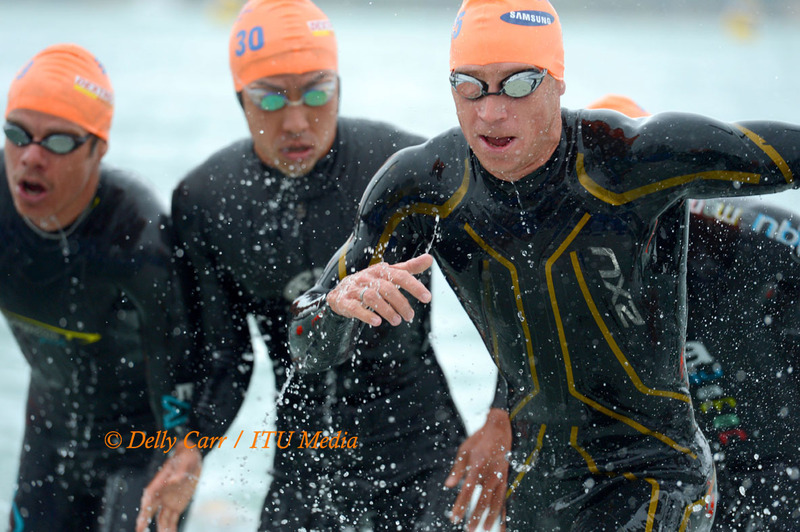 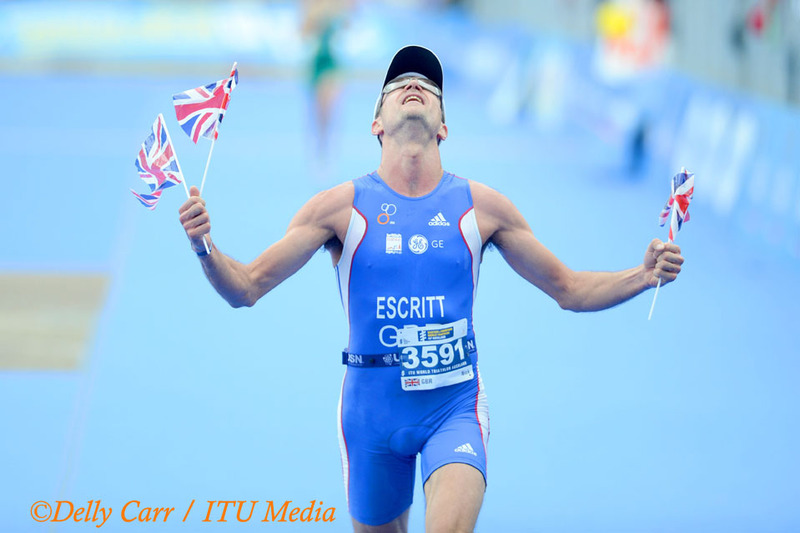 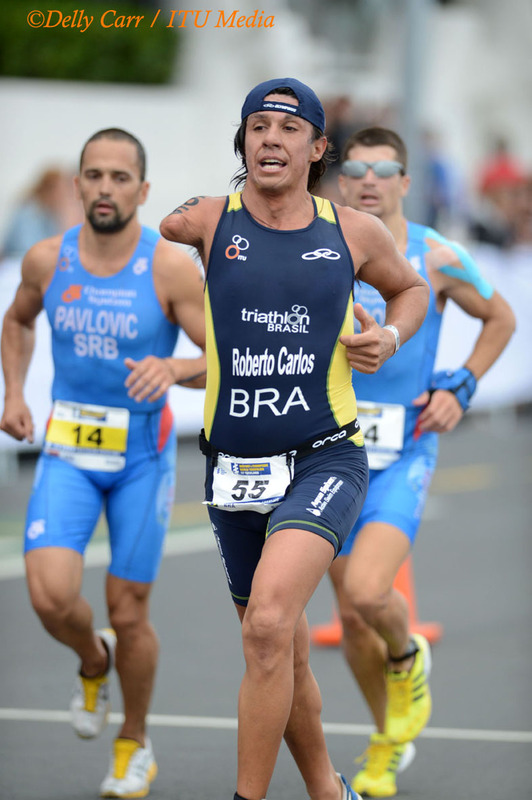 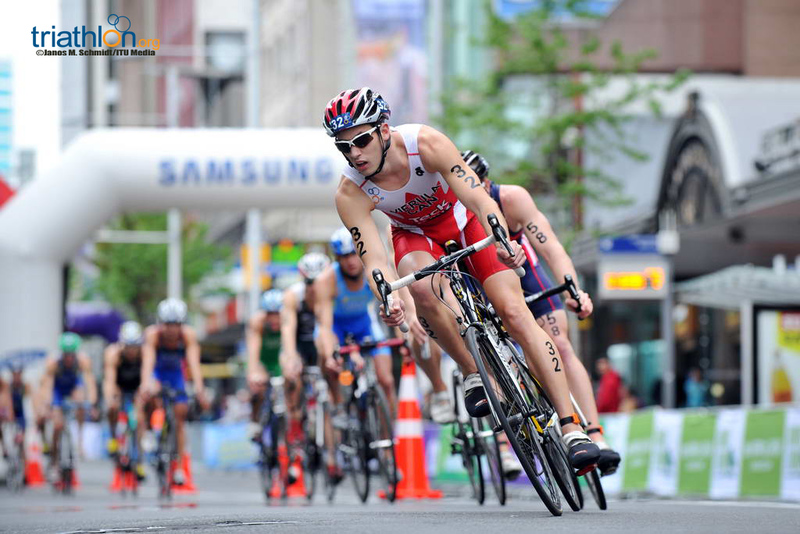 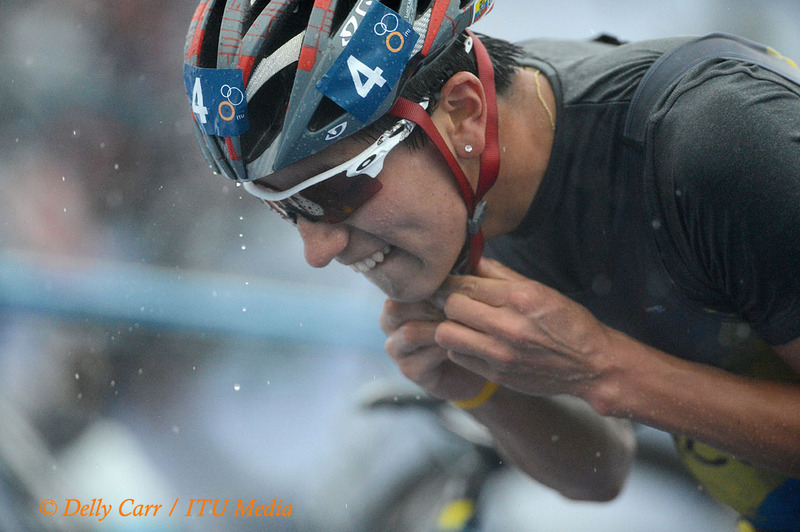 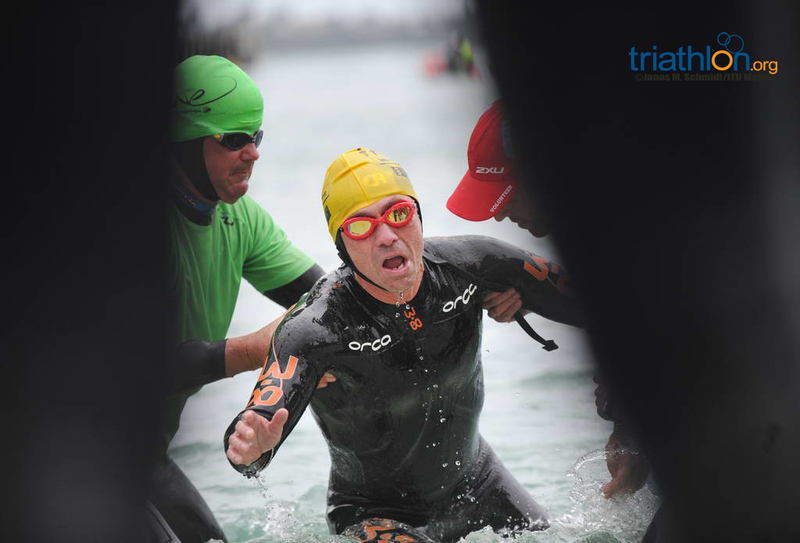 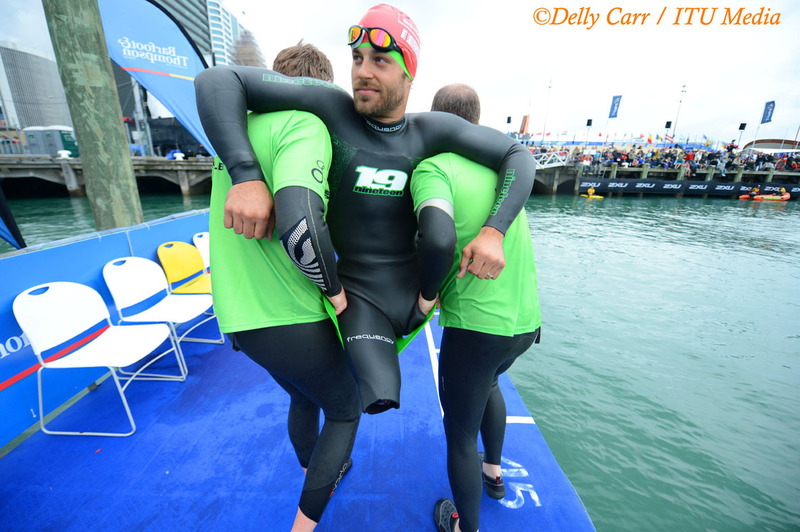 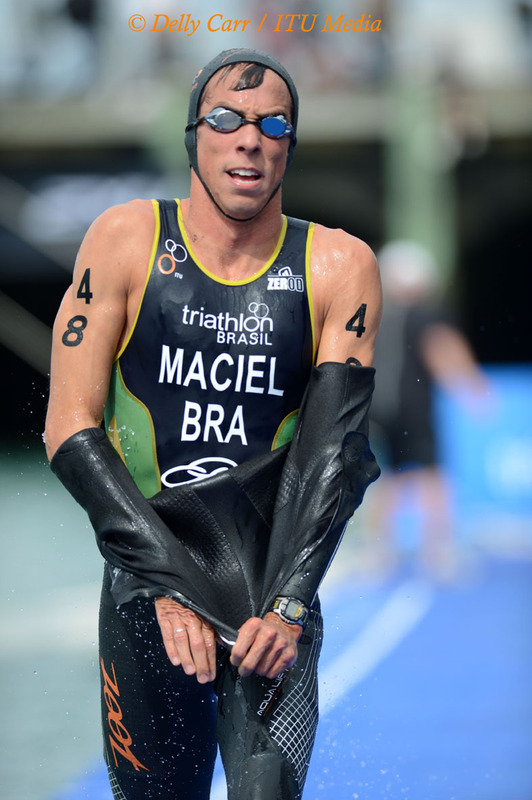 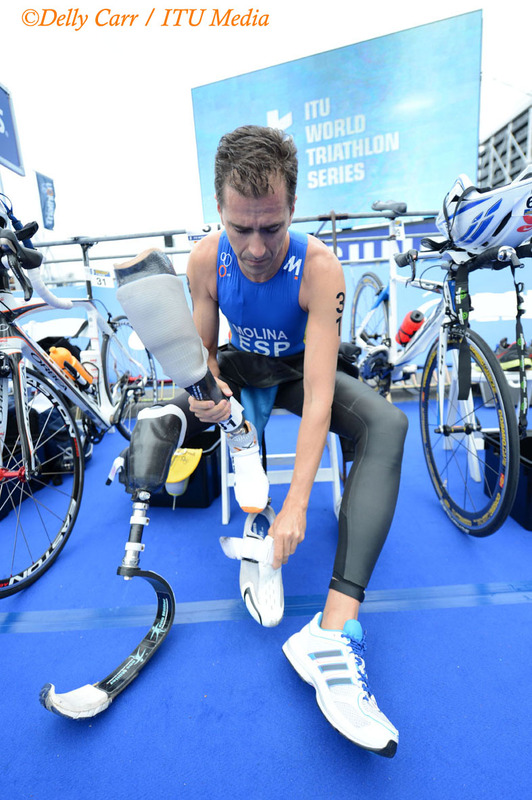 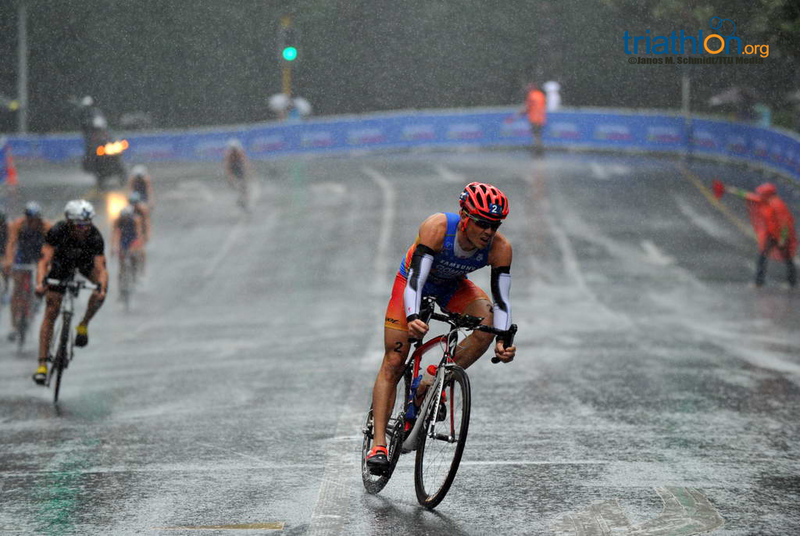 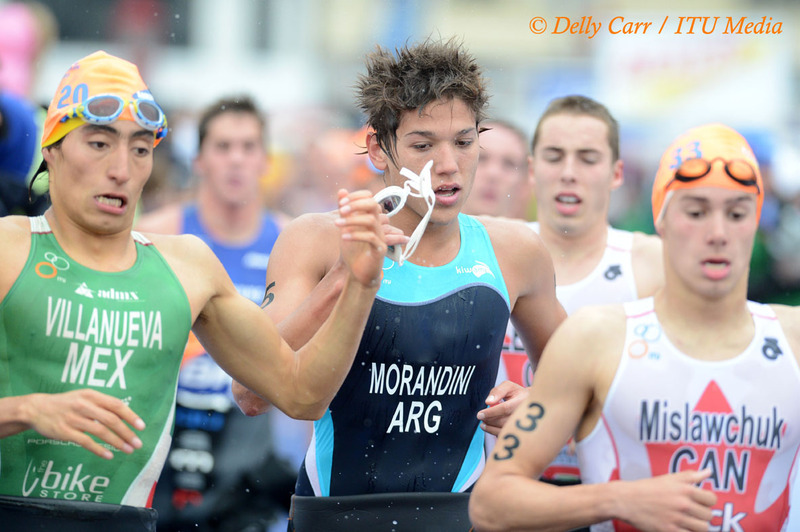 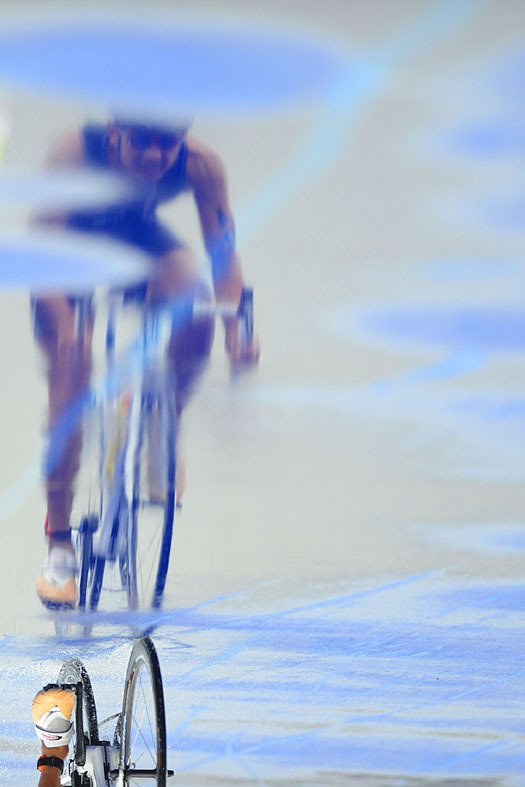 You can also follow on twitter @triathlonlive. 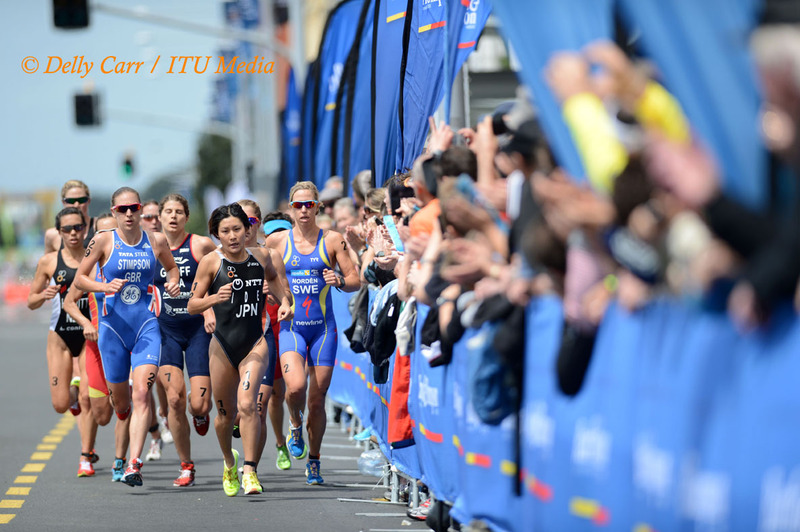 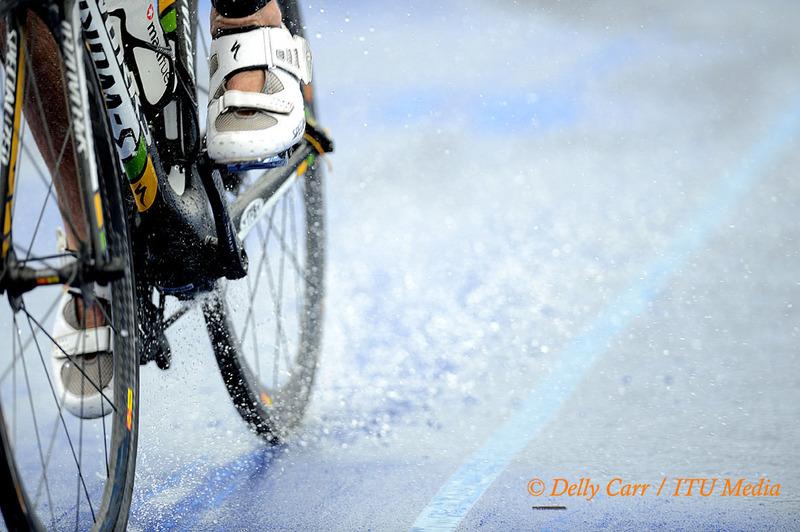 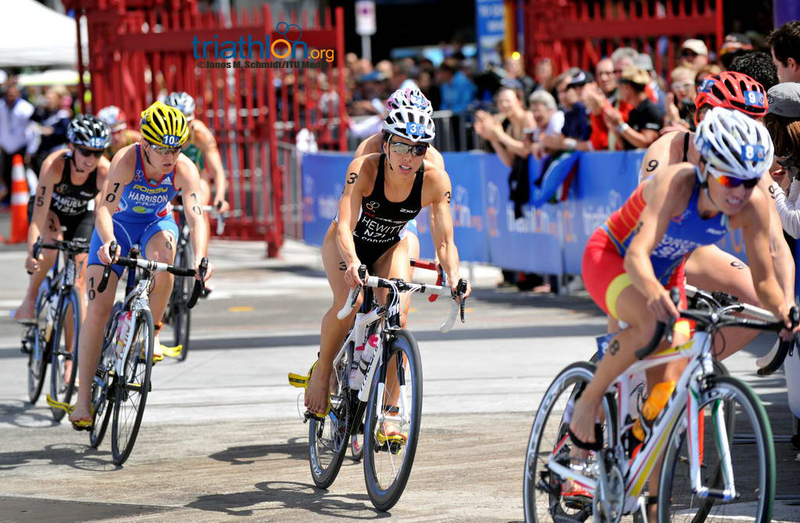 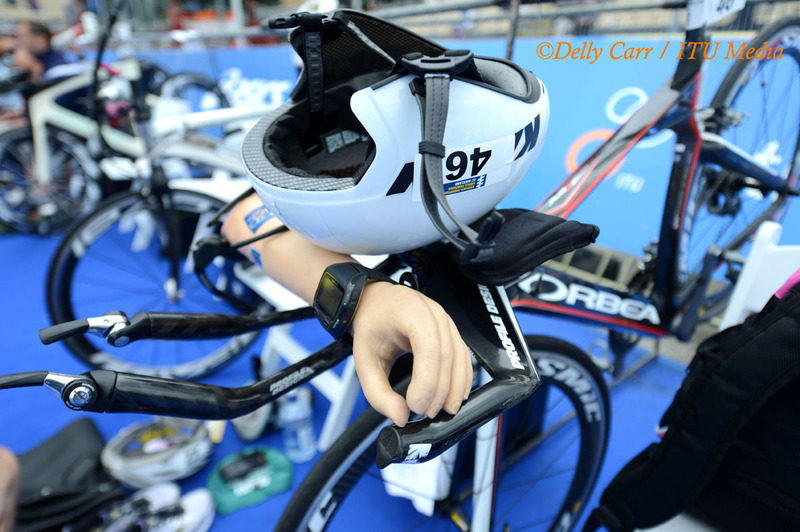 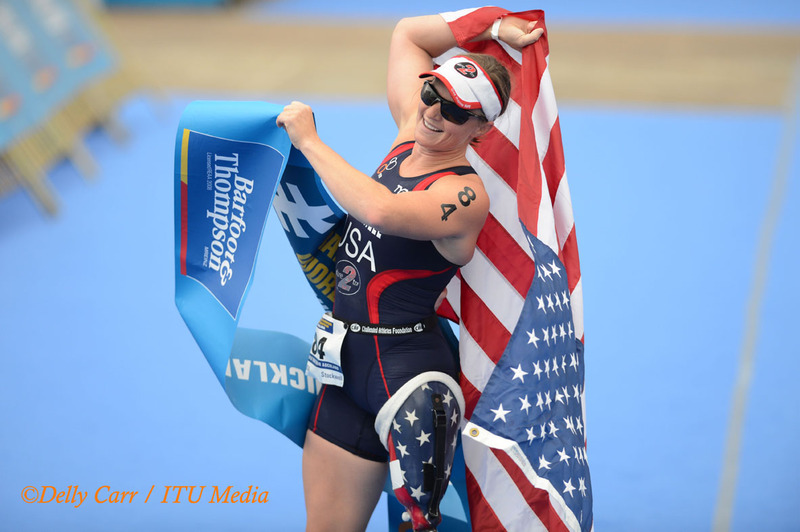 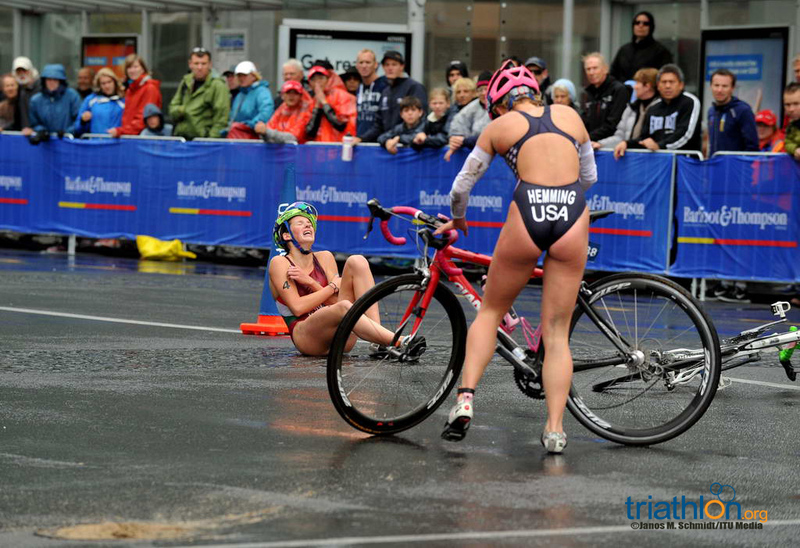 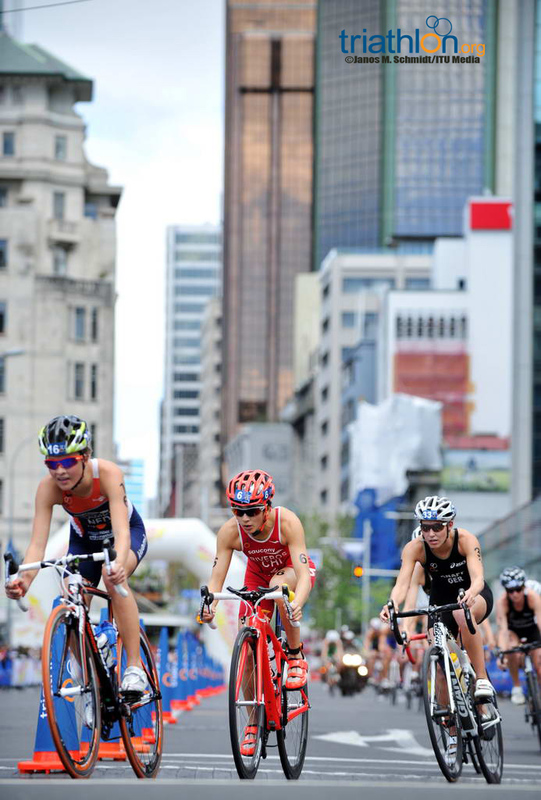 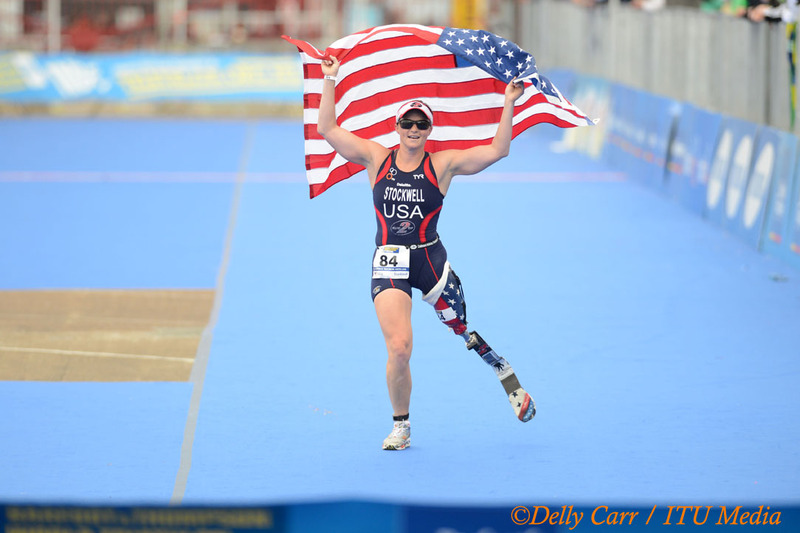 Next up, we’ll set the stage for elite women’s race and the fierce battle to be ITU World Champion.